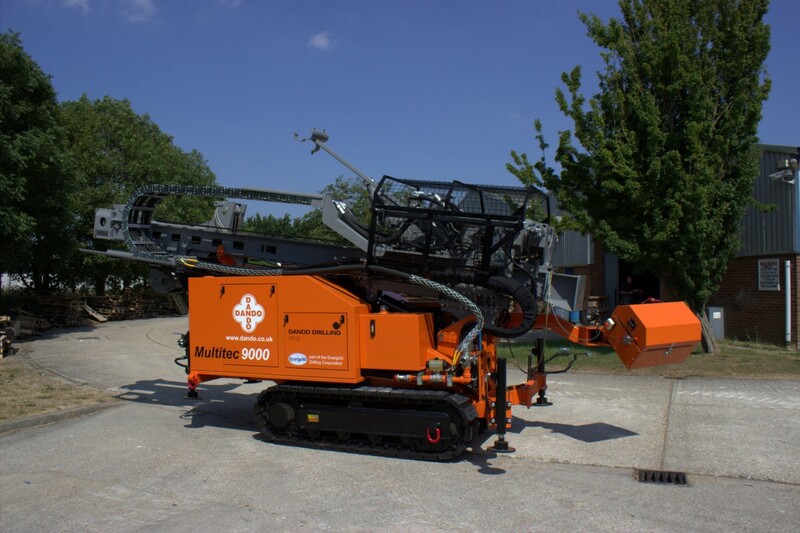 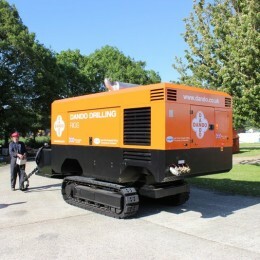 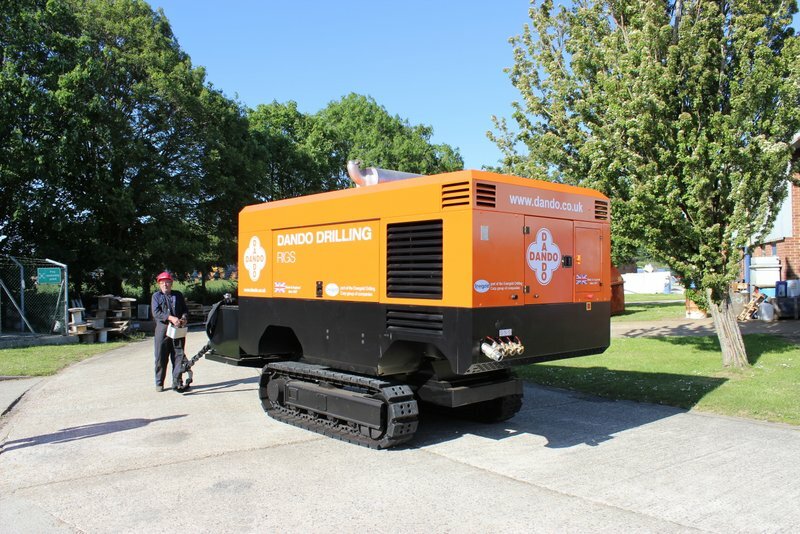 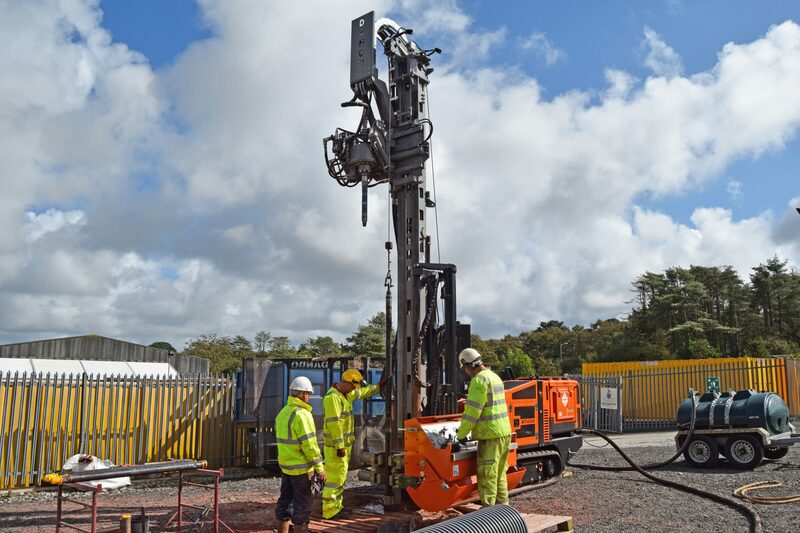 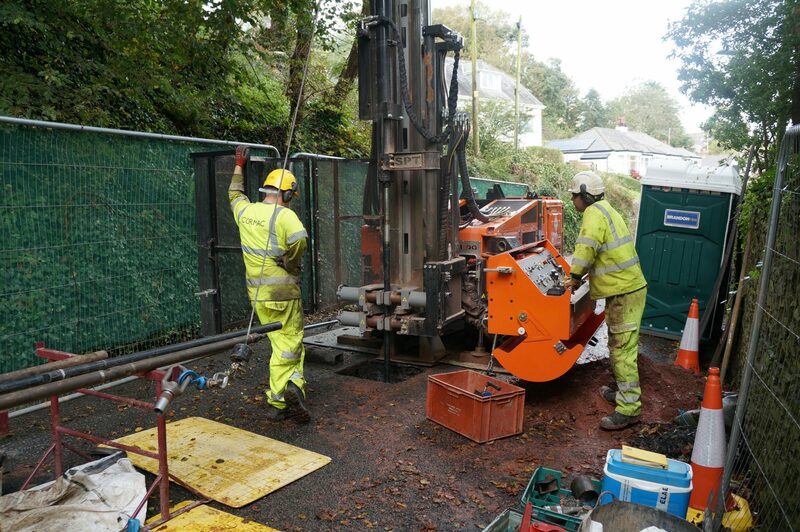 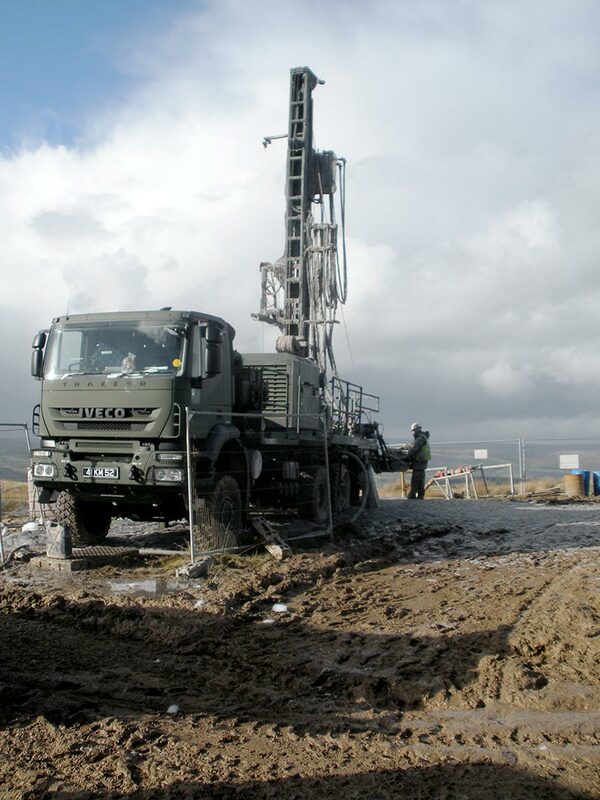 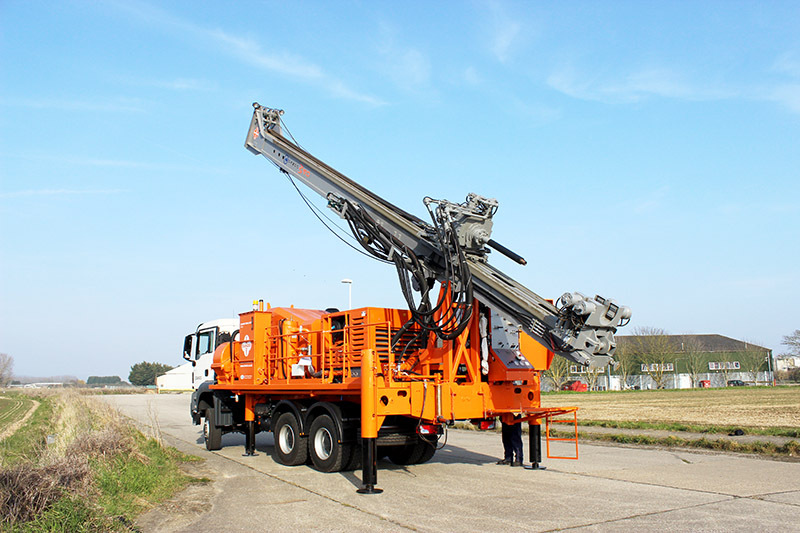 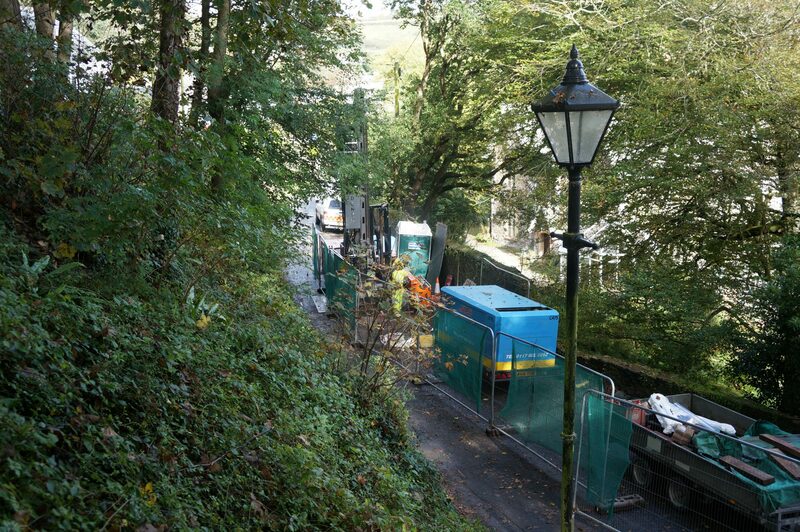 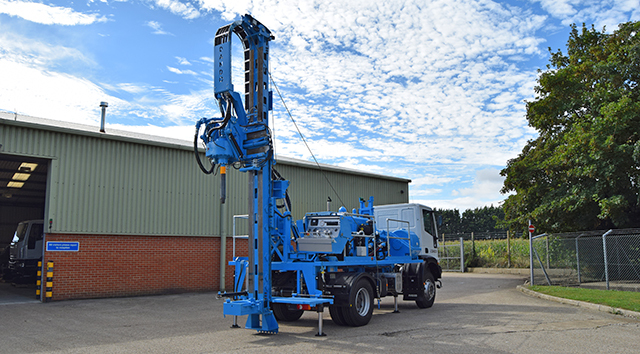 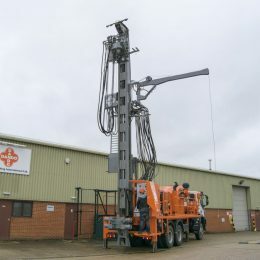 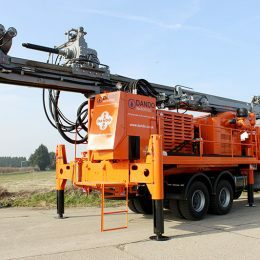 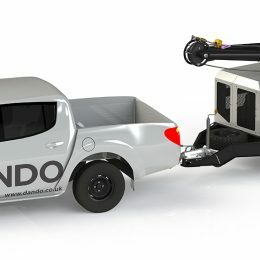 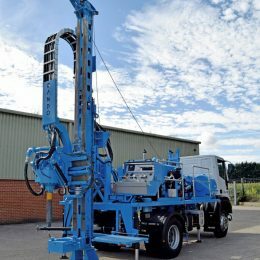 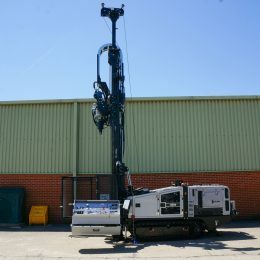 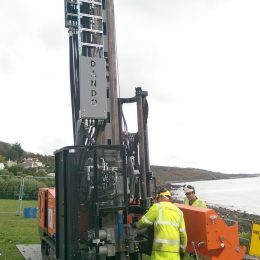 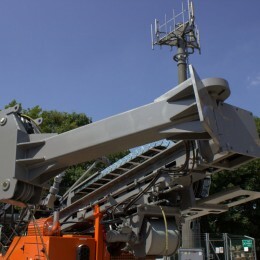 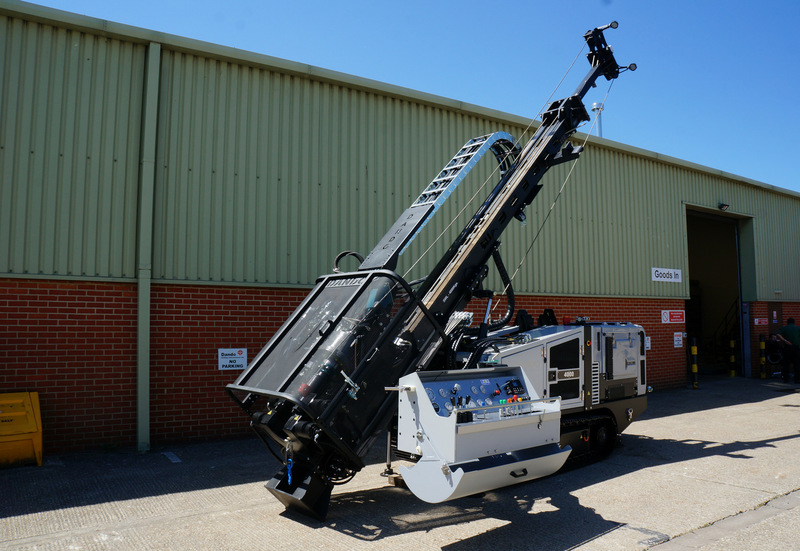 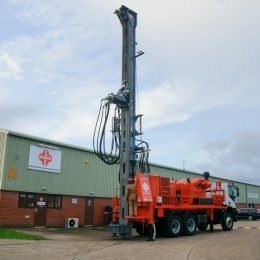 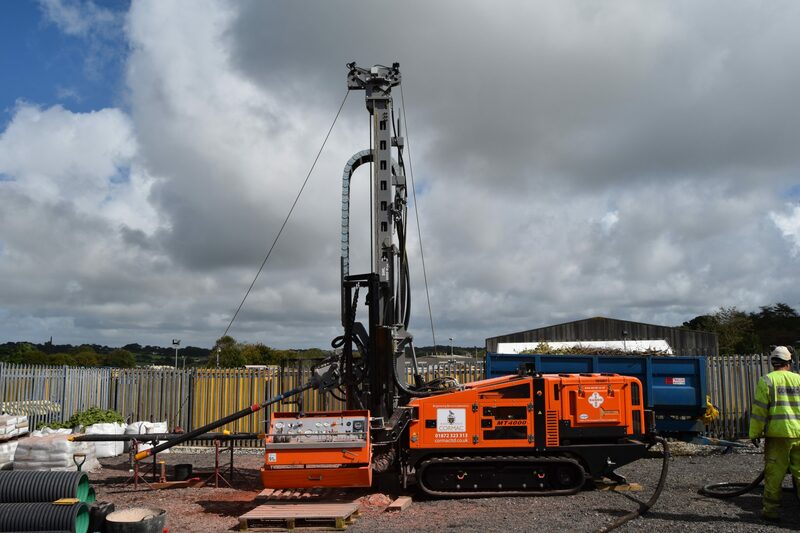 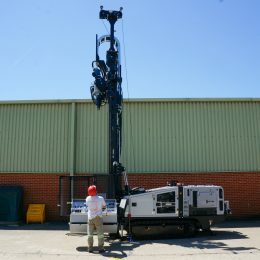 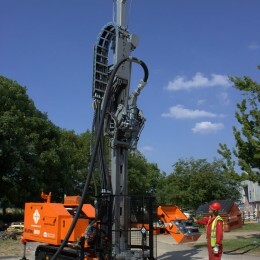 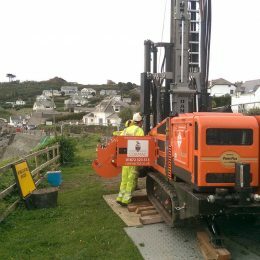 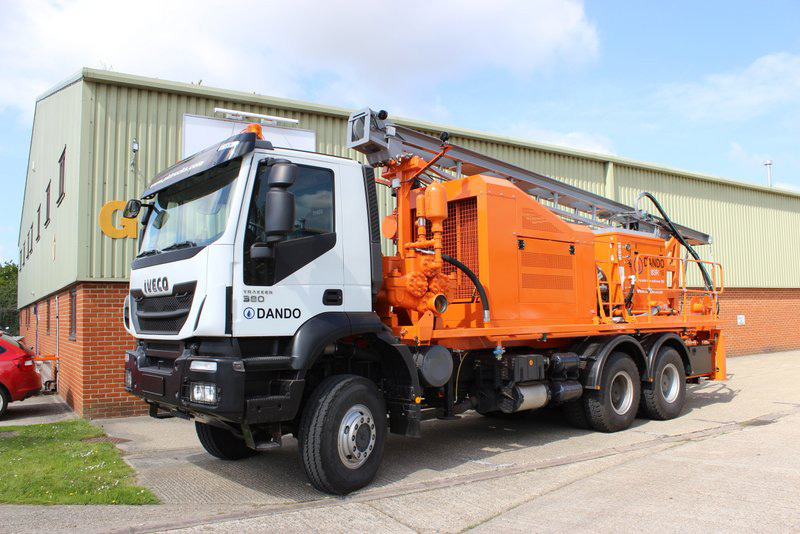 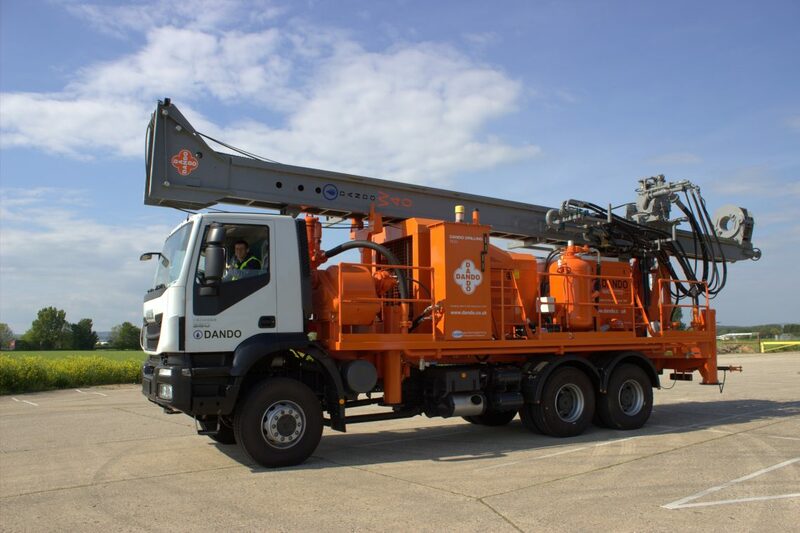 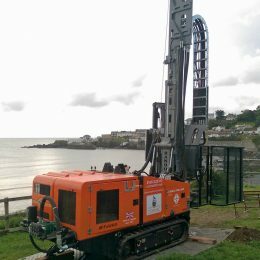 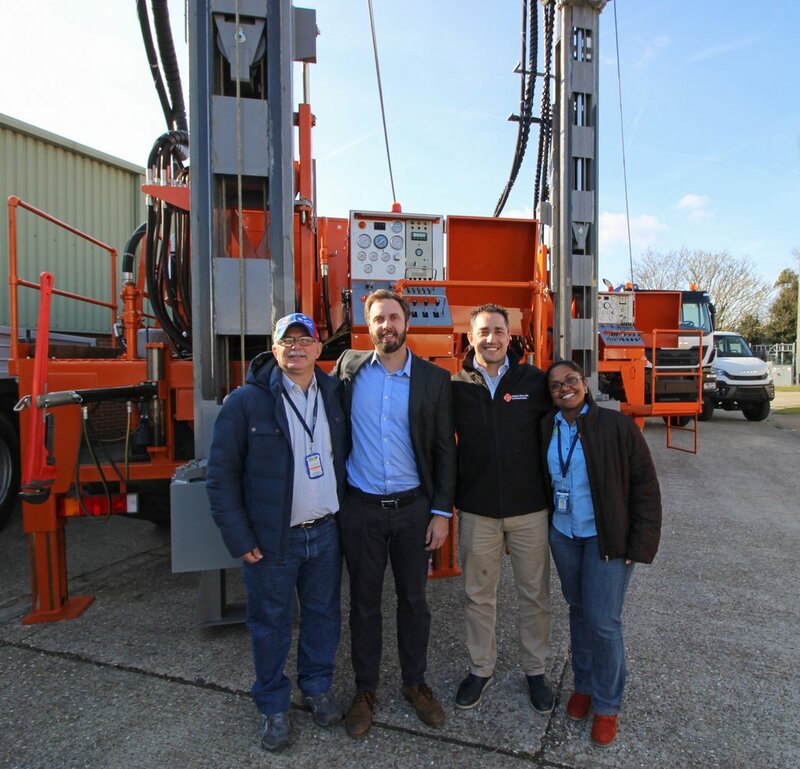 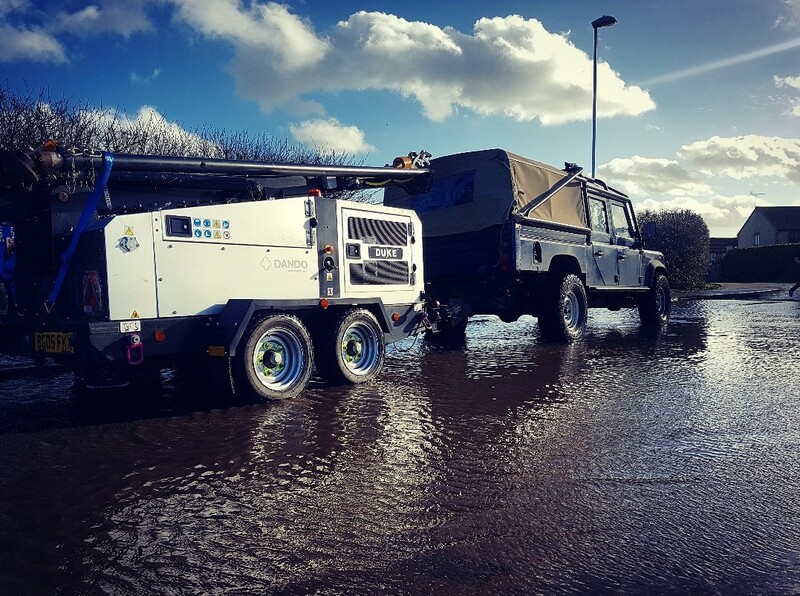 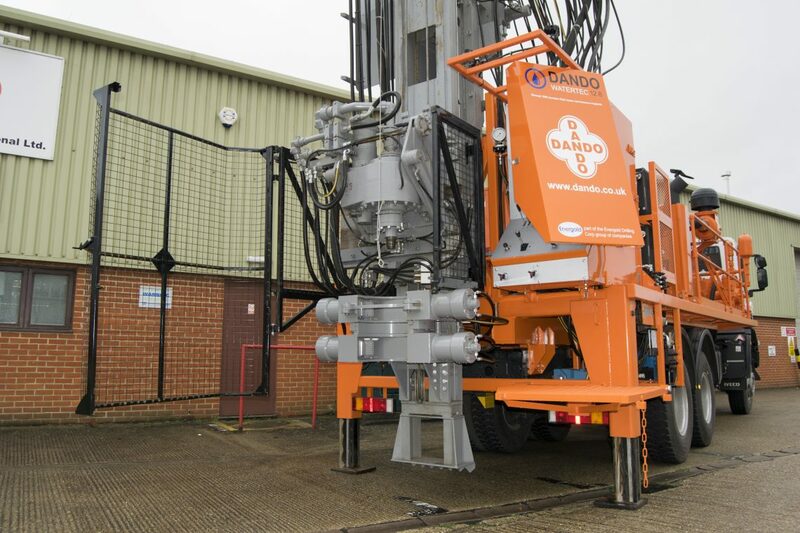 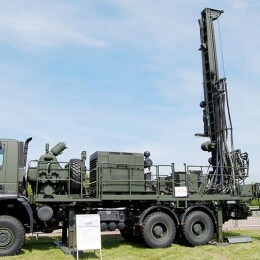 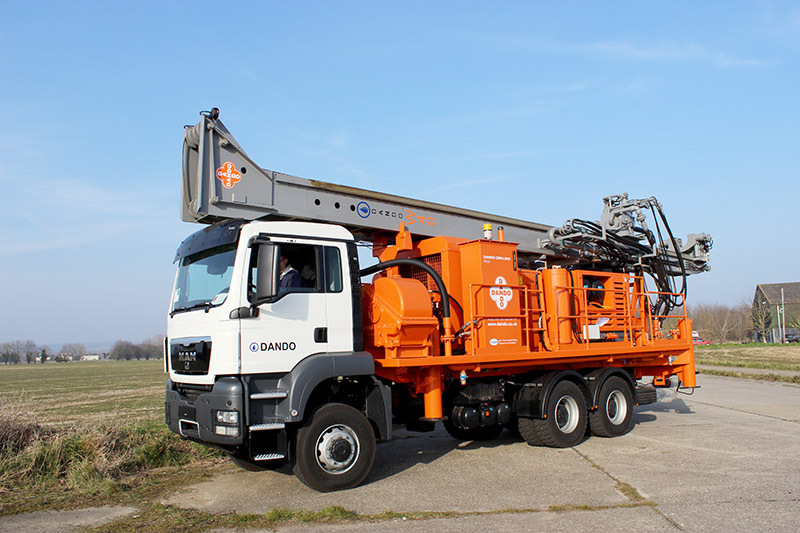 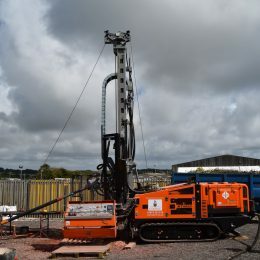 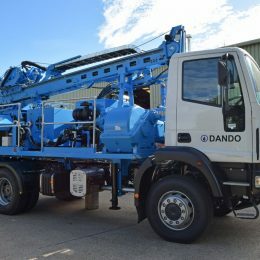 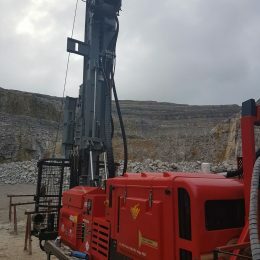 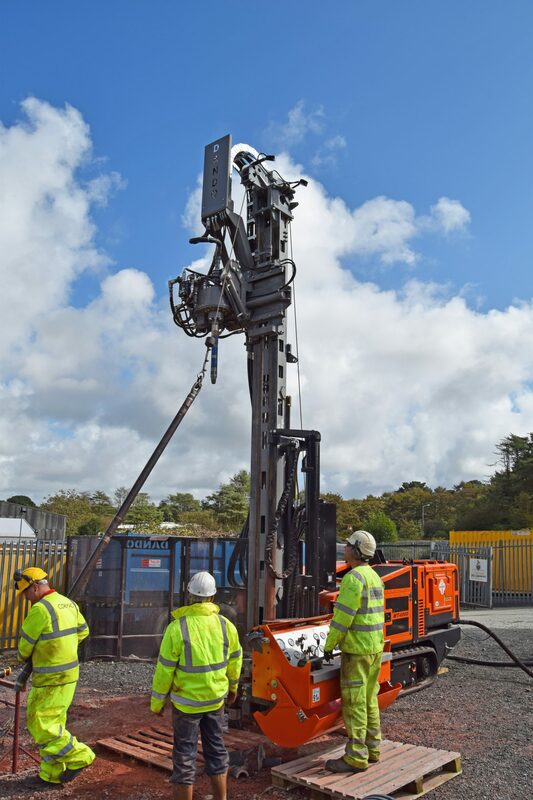 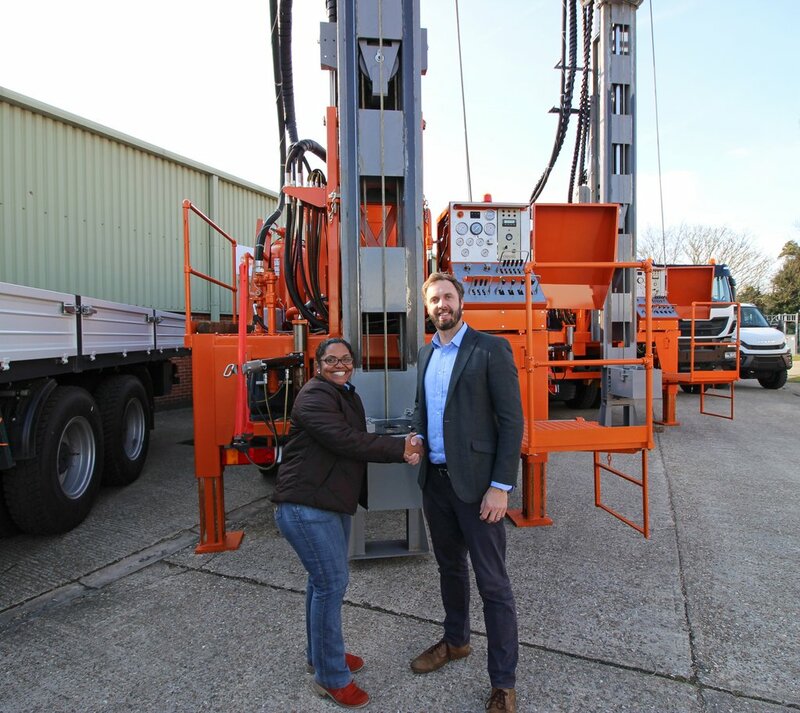 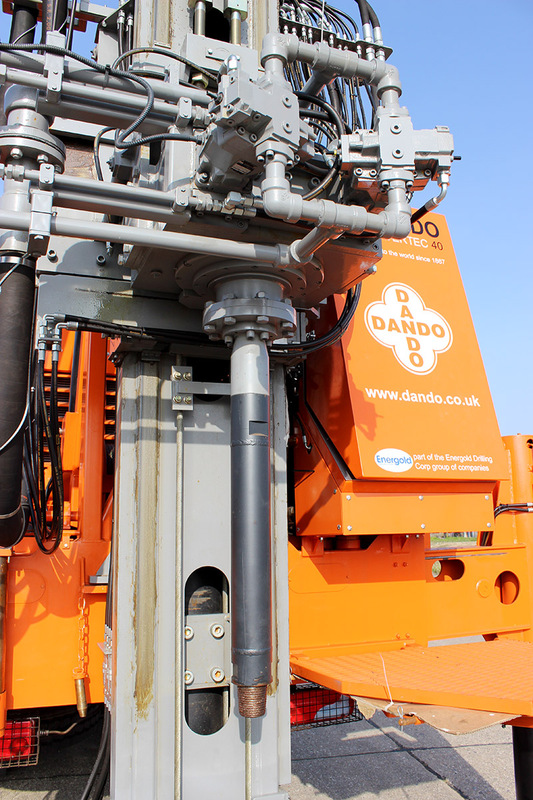 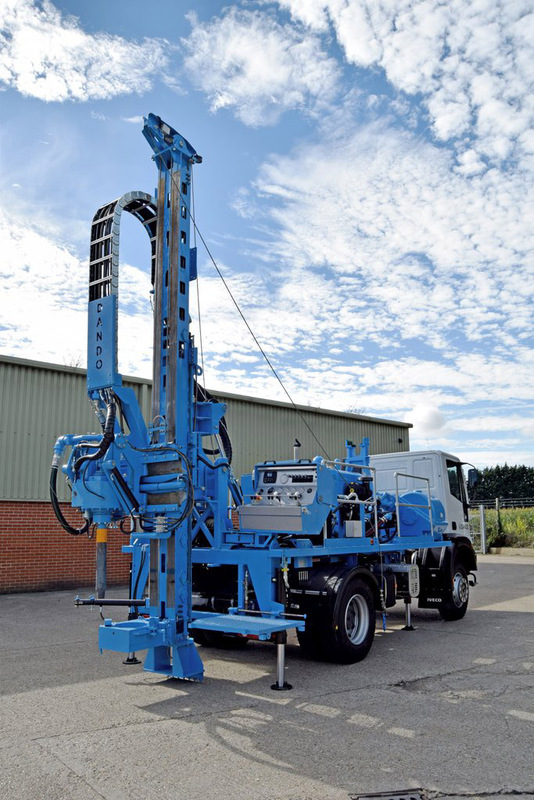 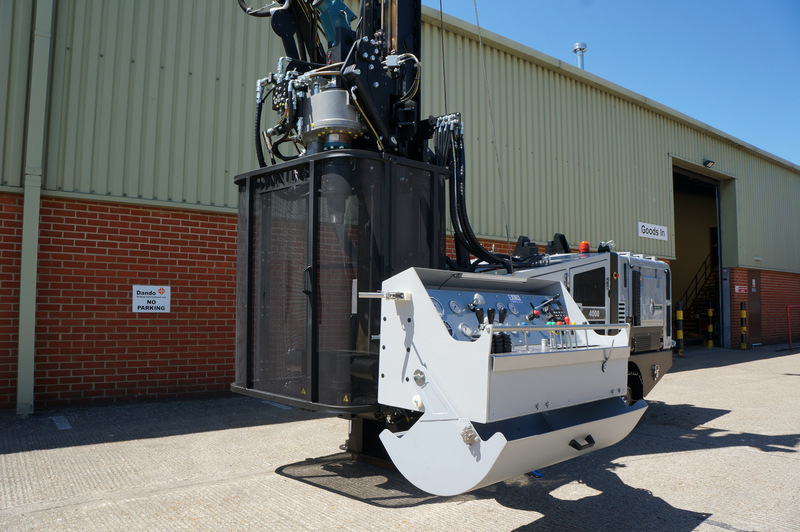 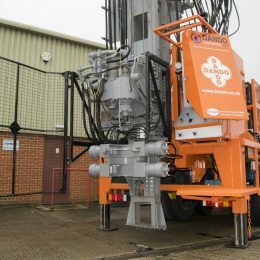 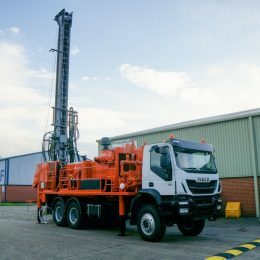 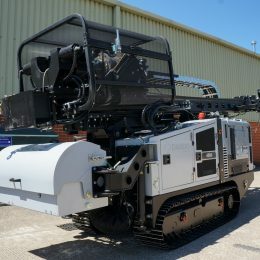 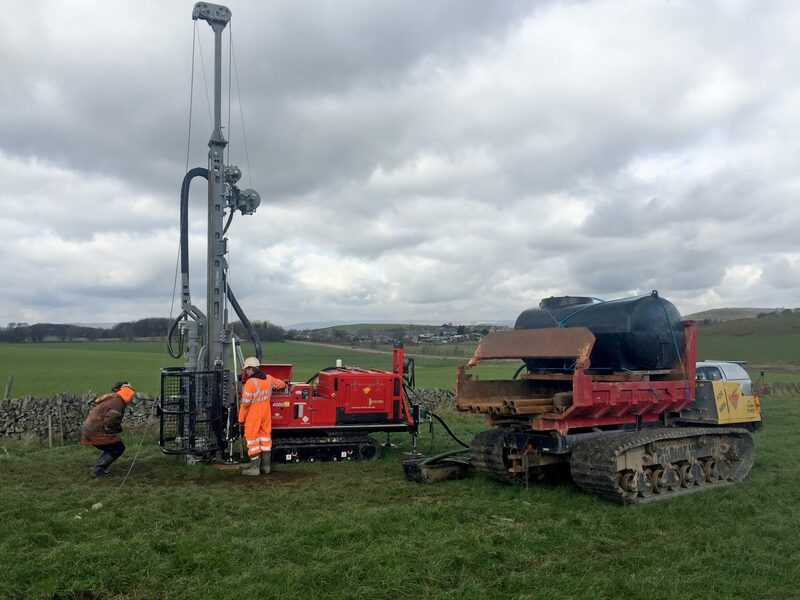 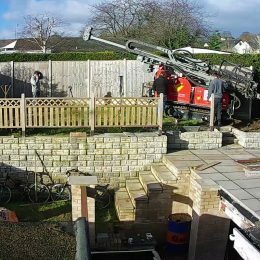 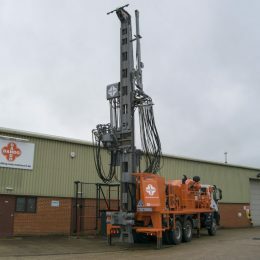 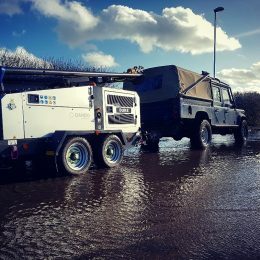 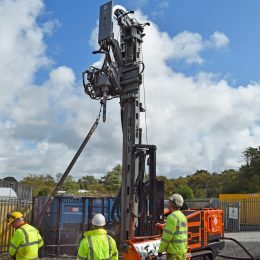 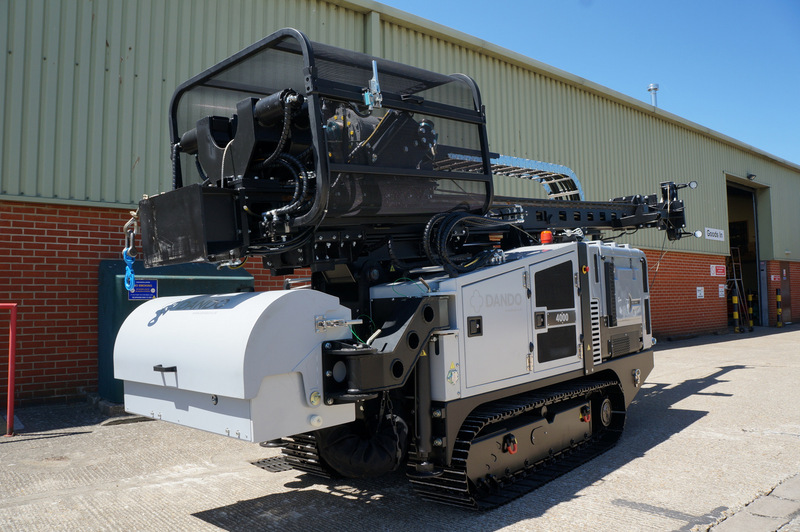 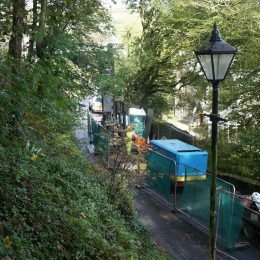 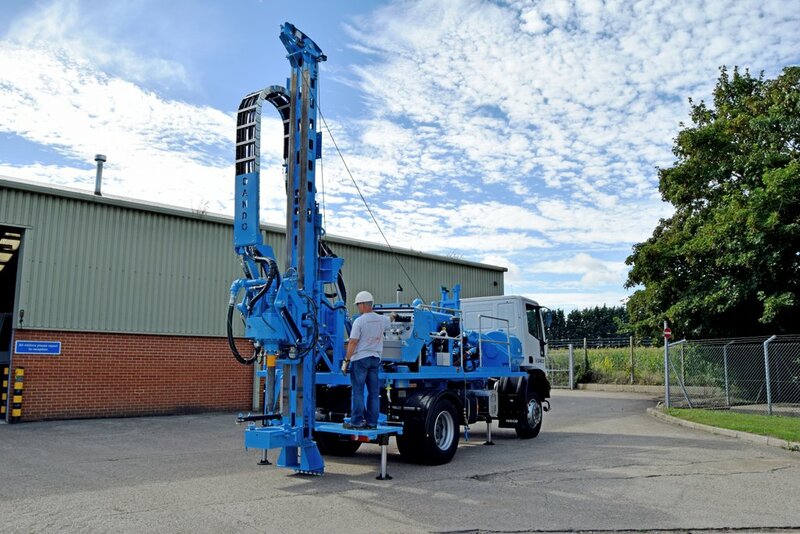 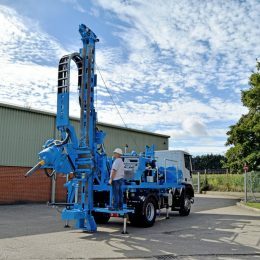 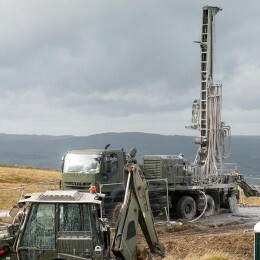 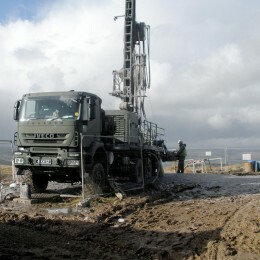 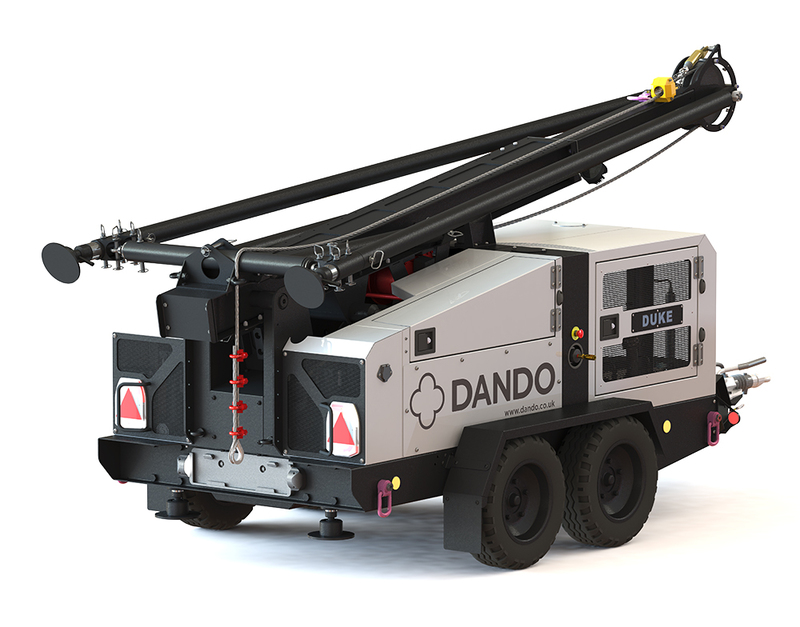 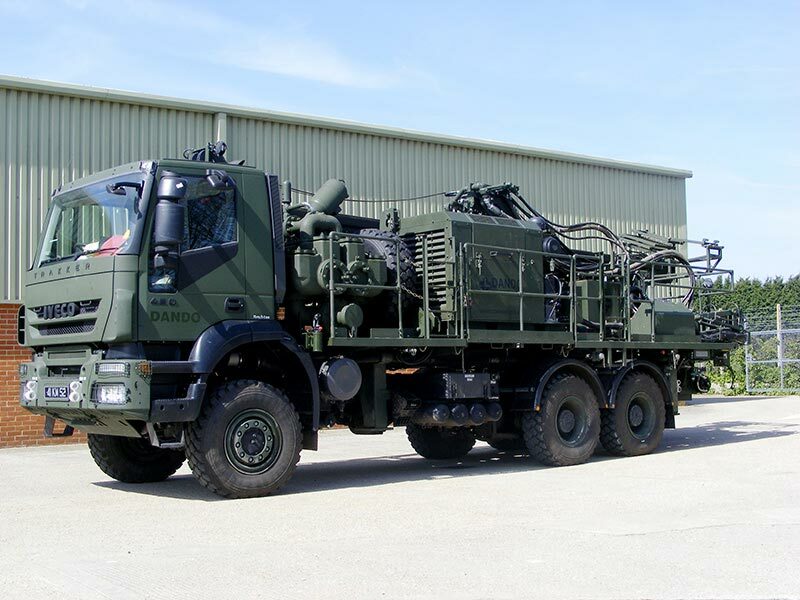 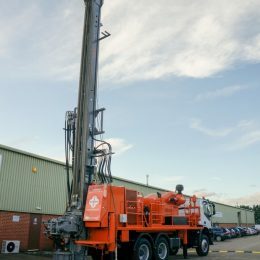 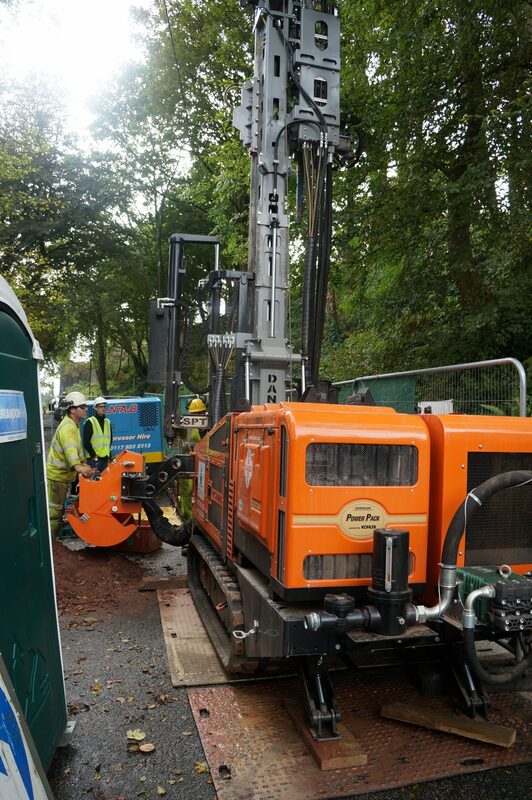 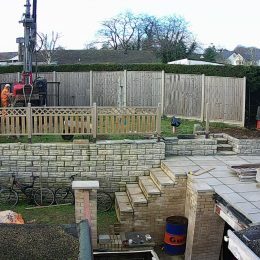 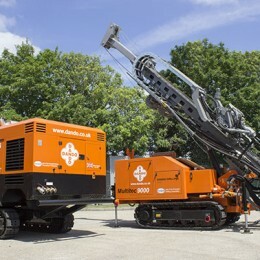 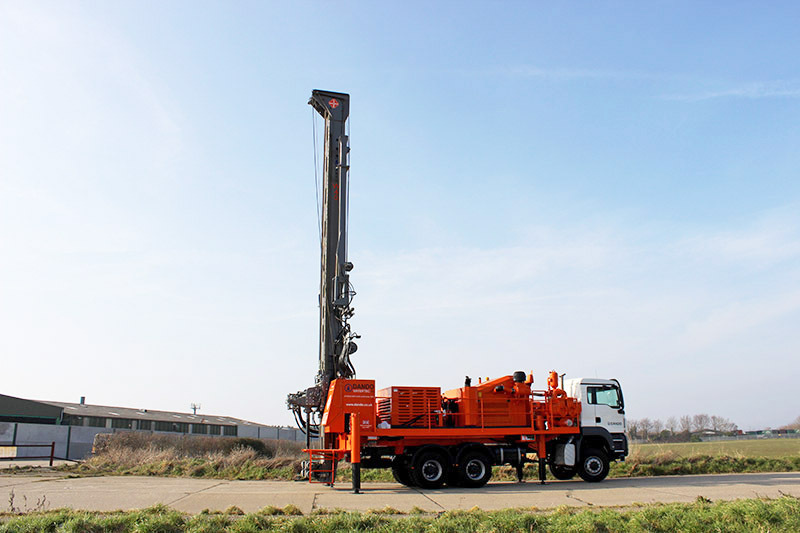 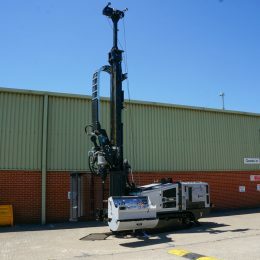 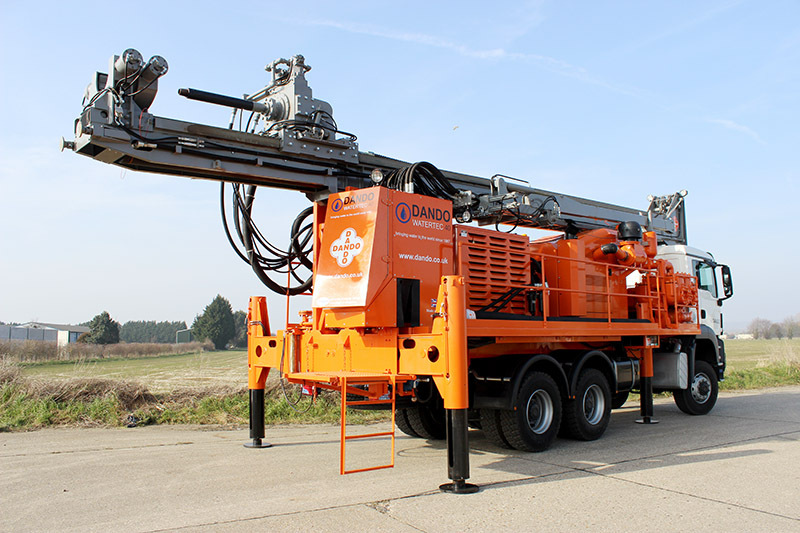 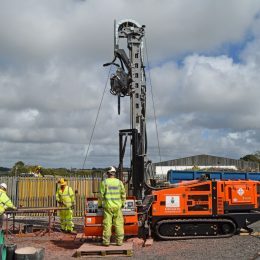 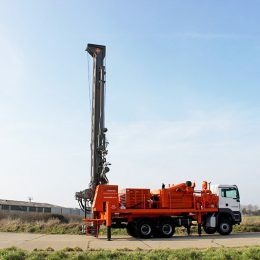 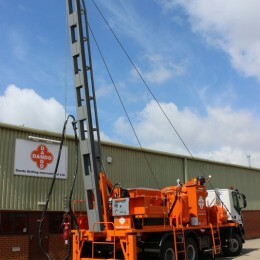 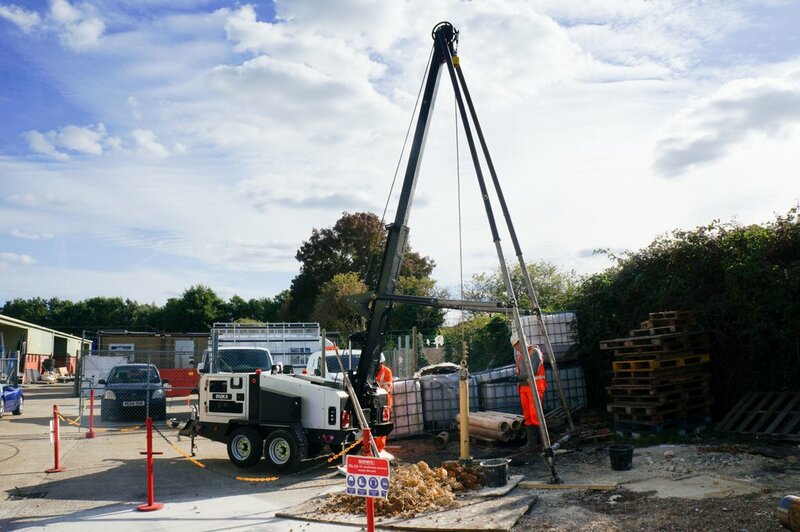 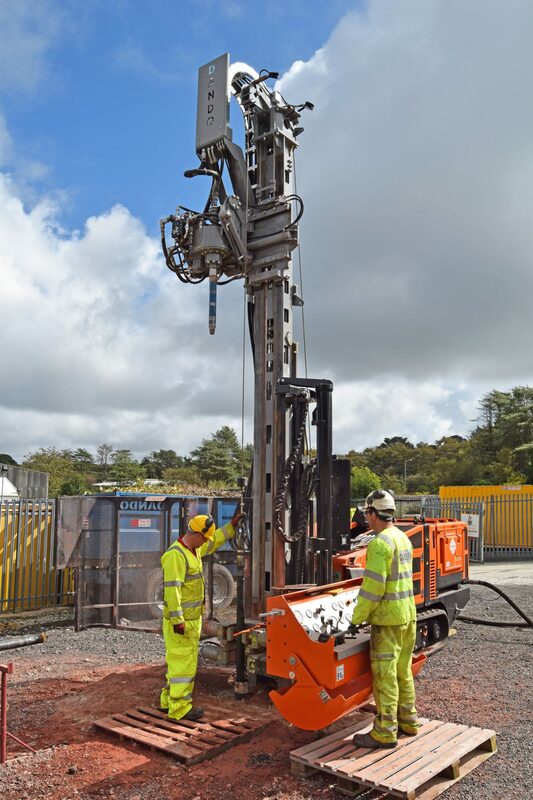 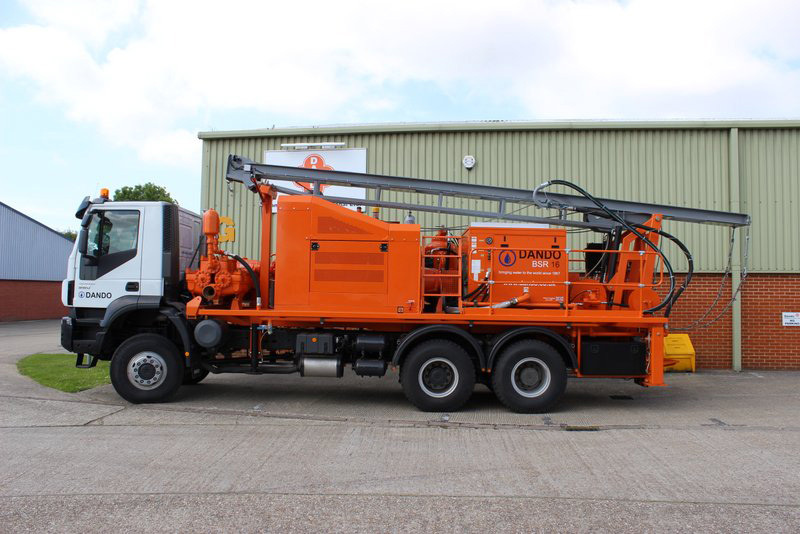 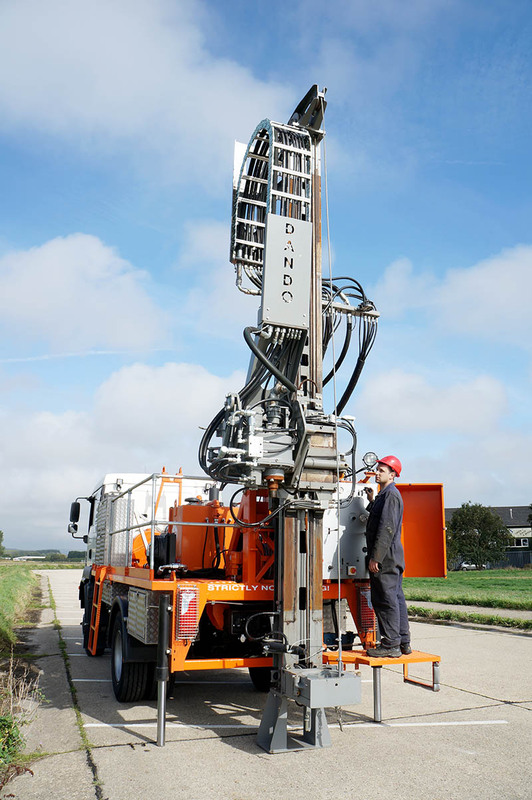 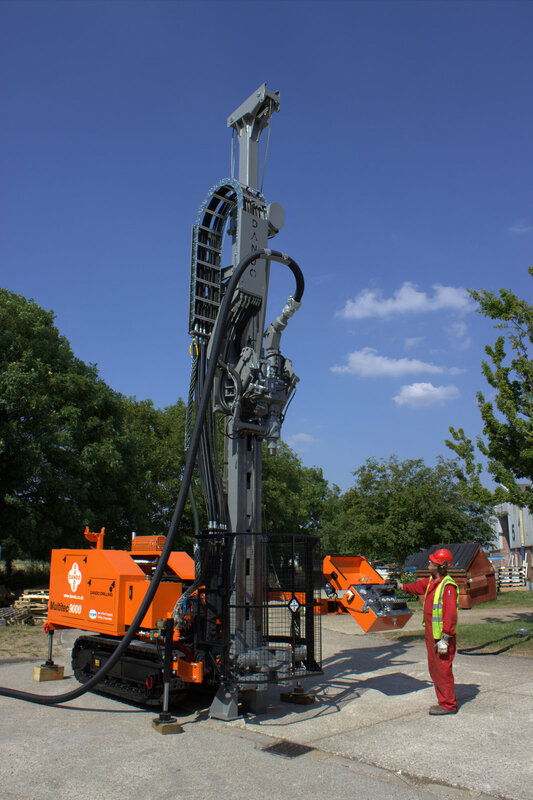 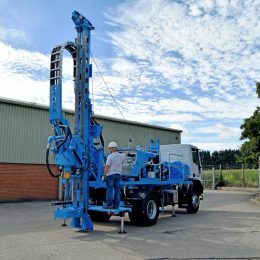 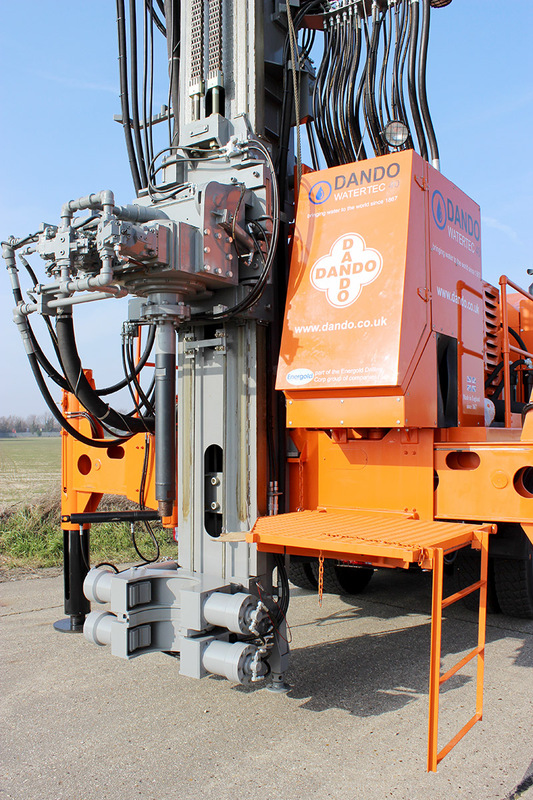 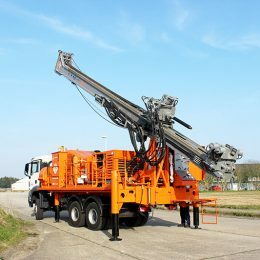 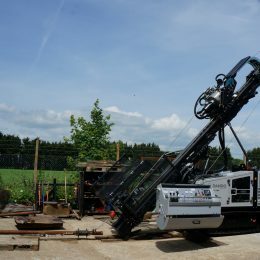 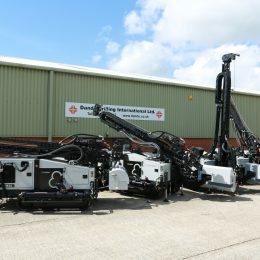 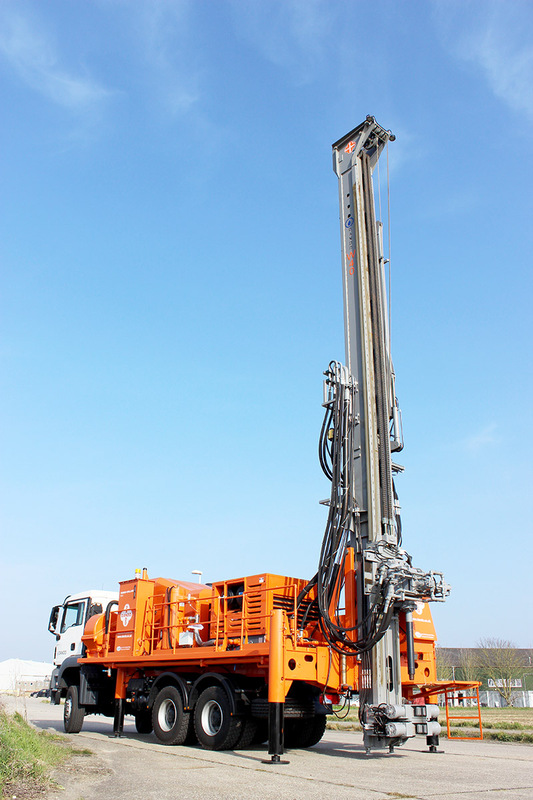 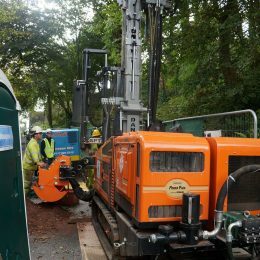 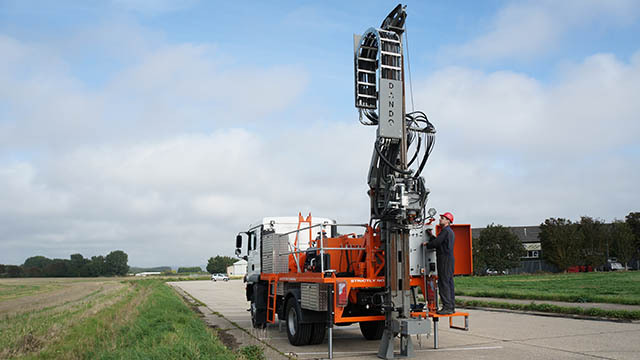 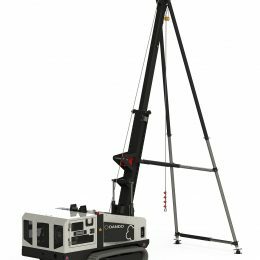 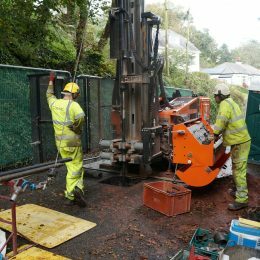 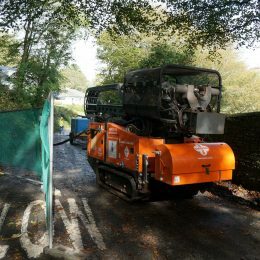 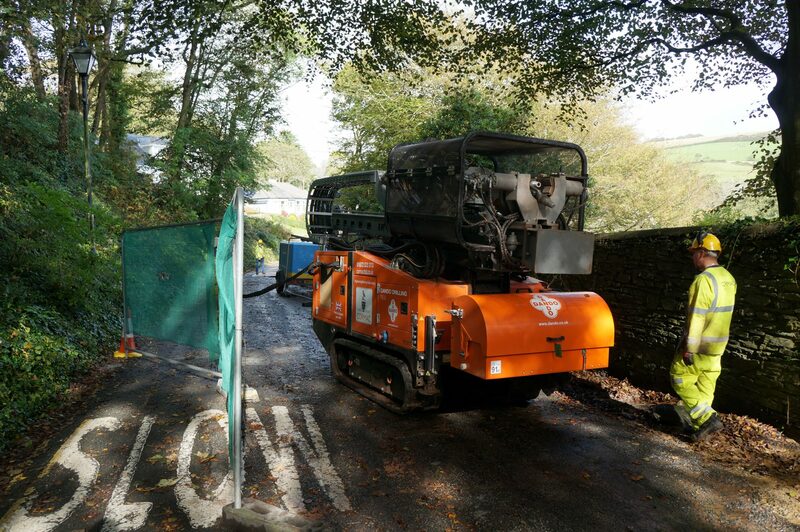 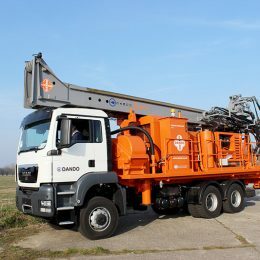 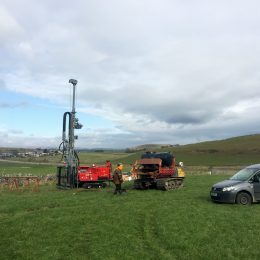 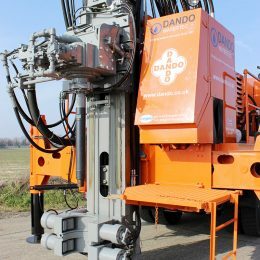 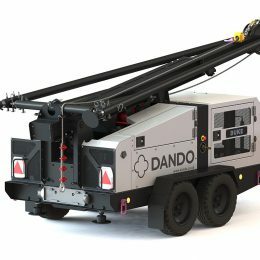 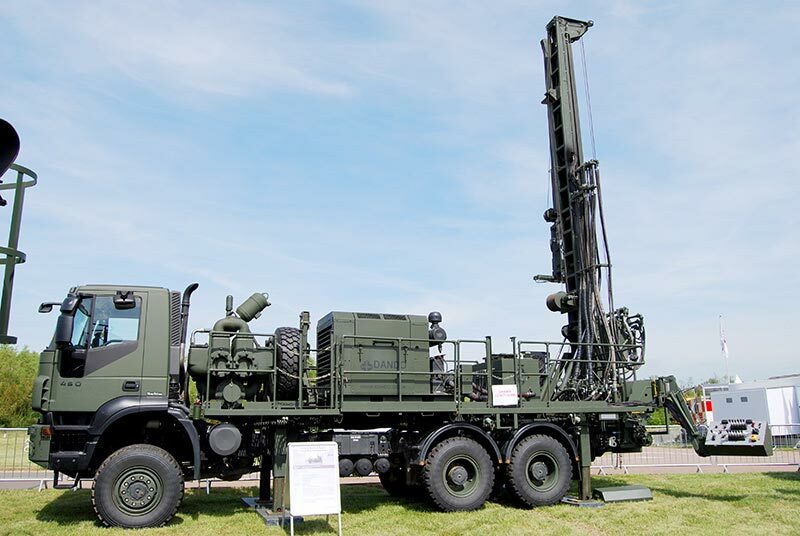 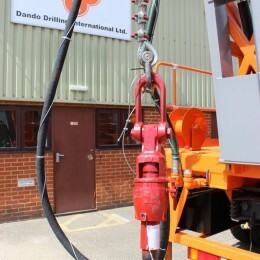 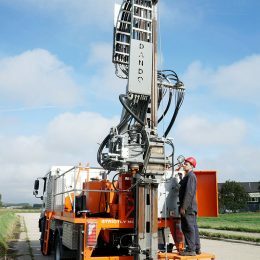 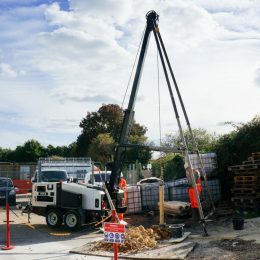 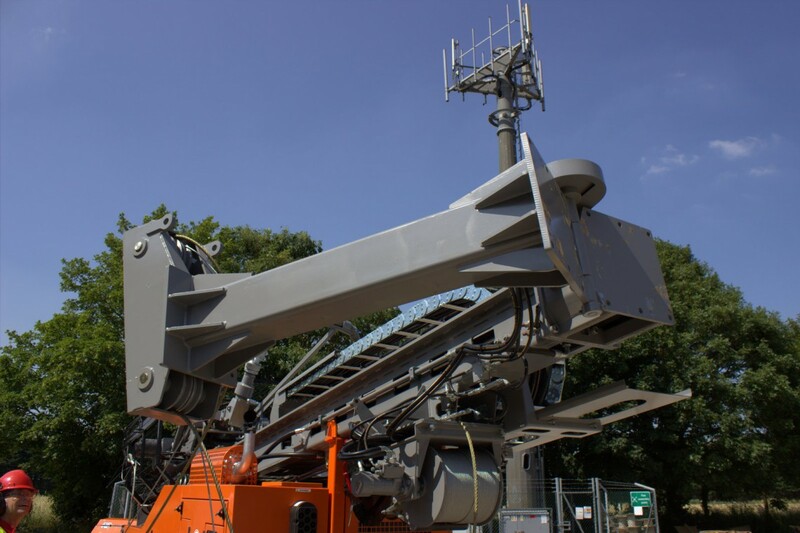 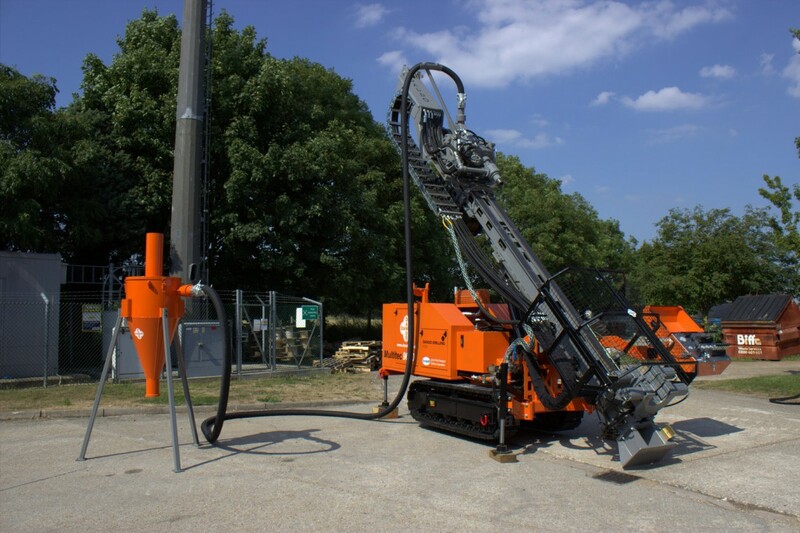 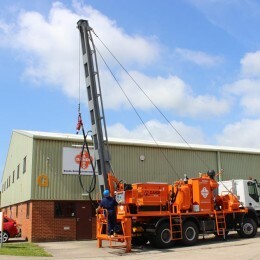 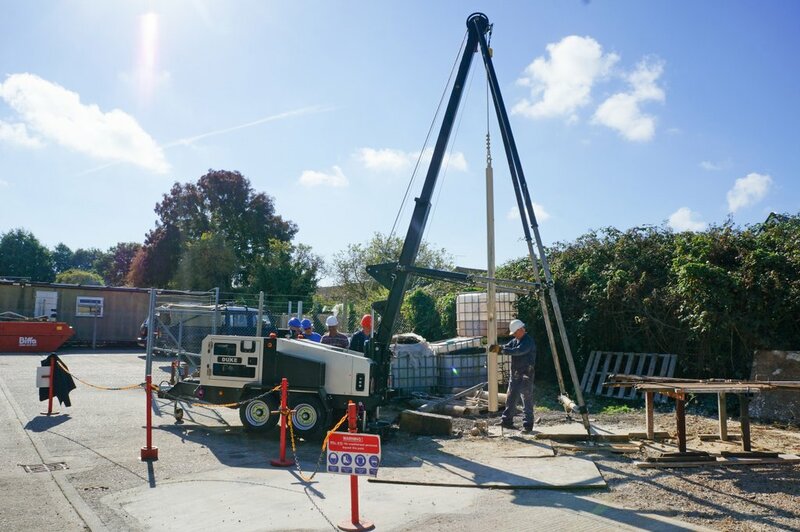 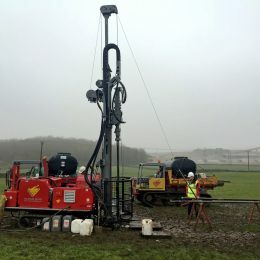 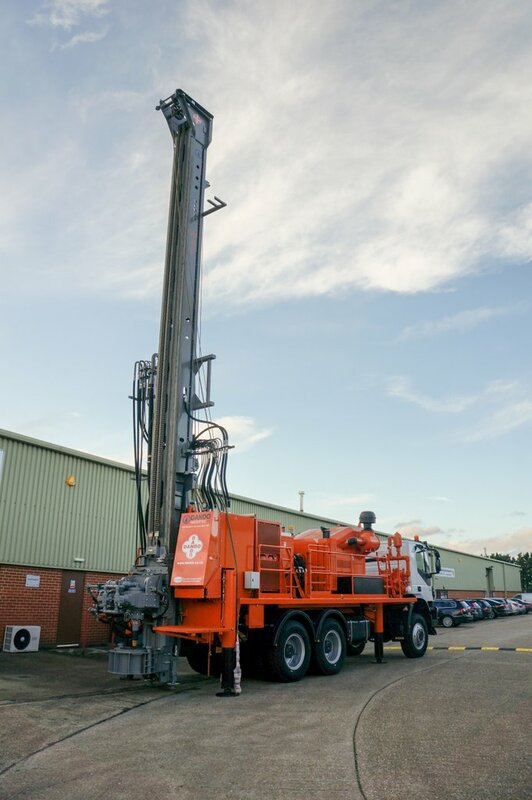 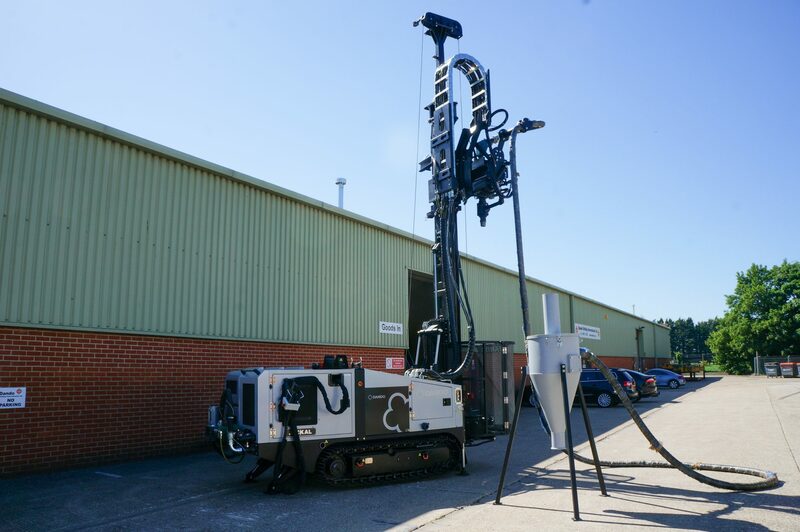 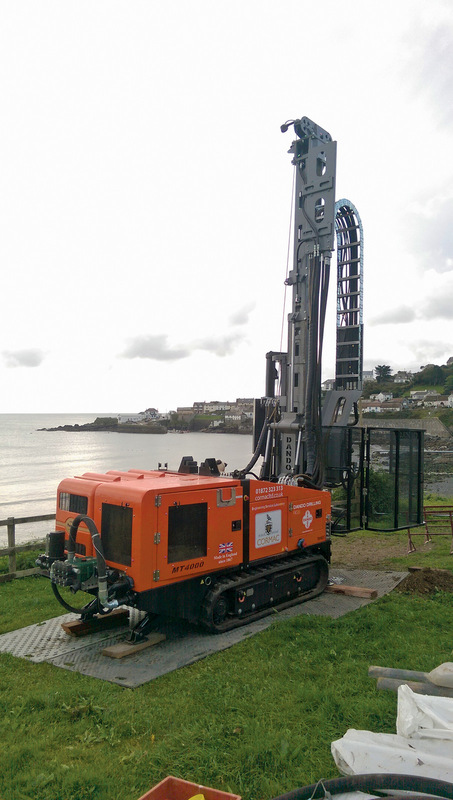 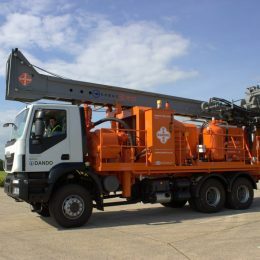 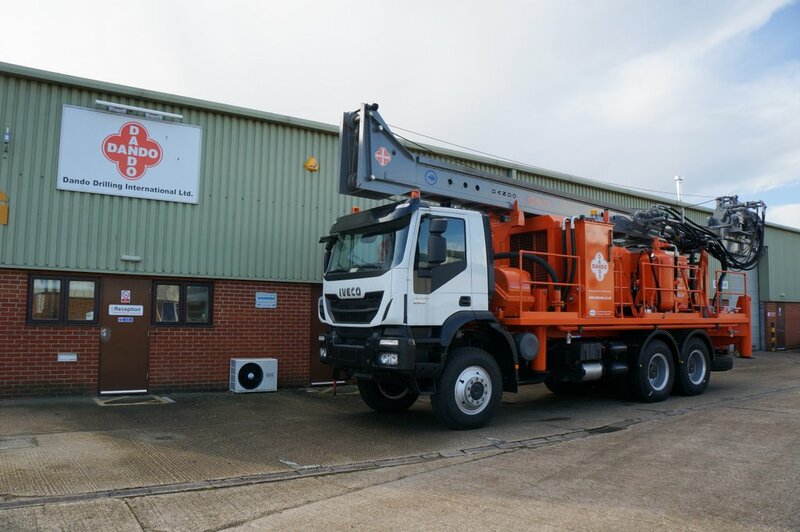 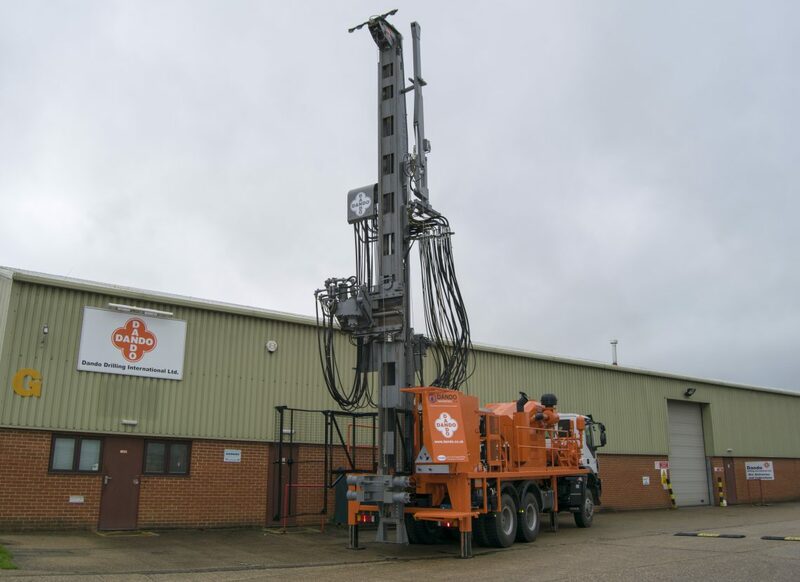 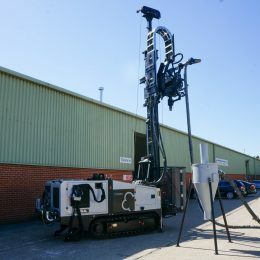 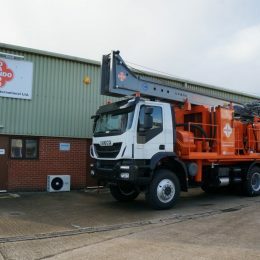 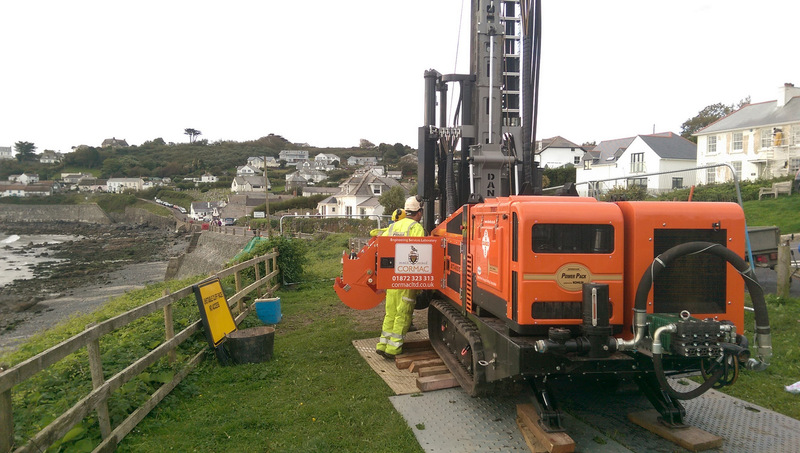 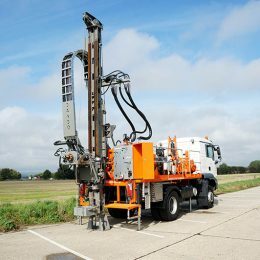 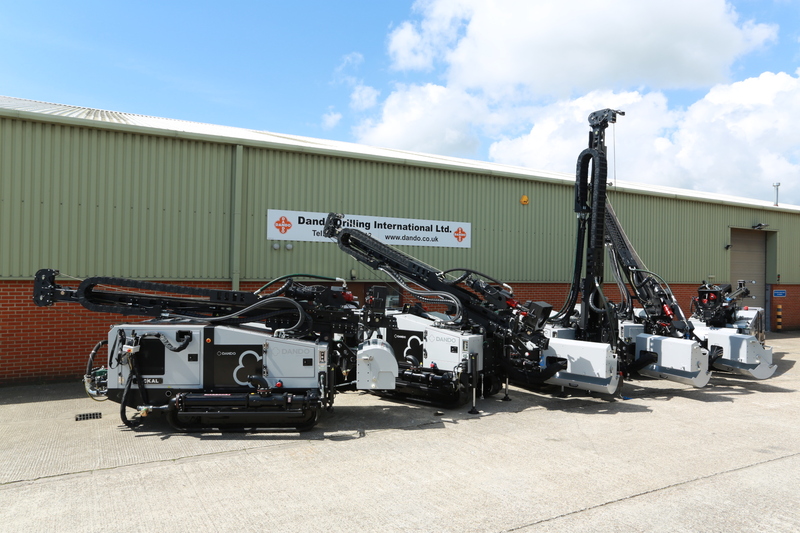 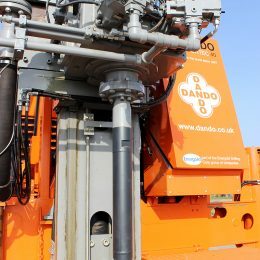 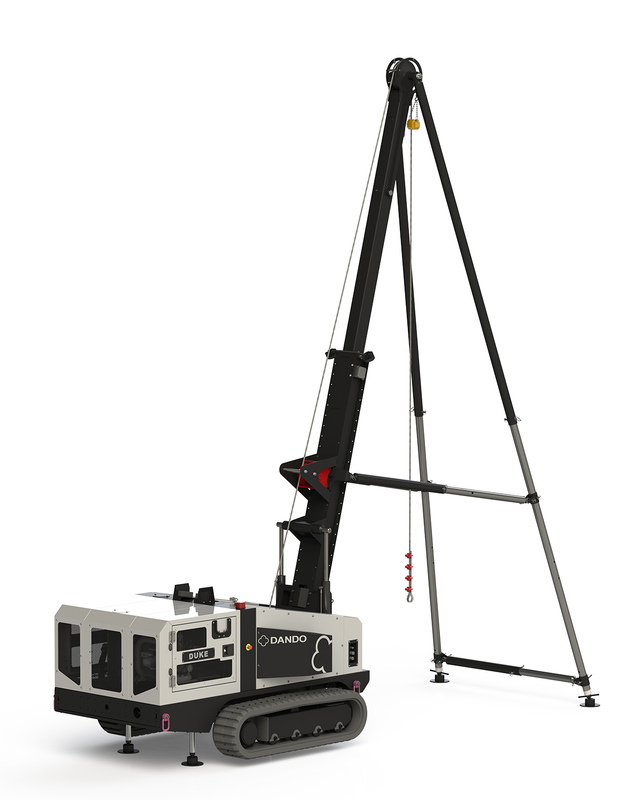 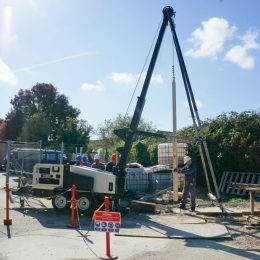 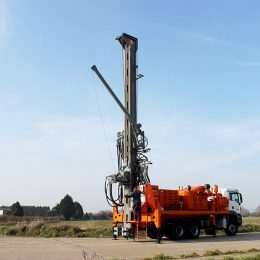 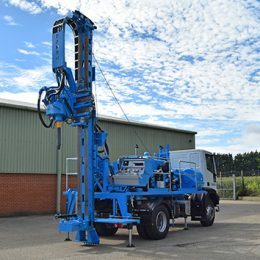 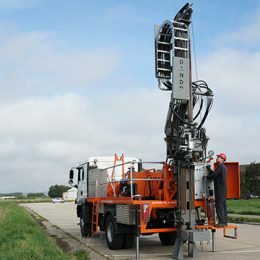 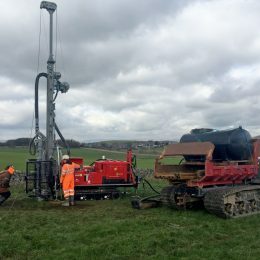 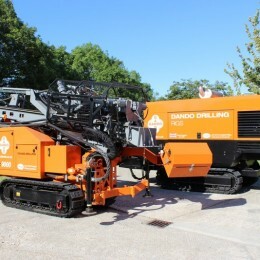 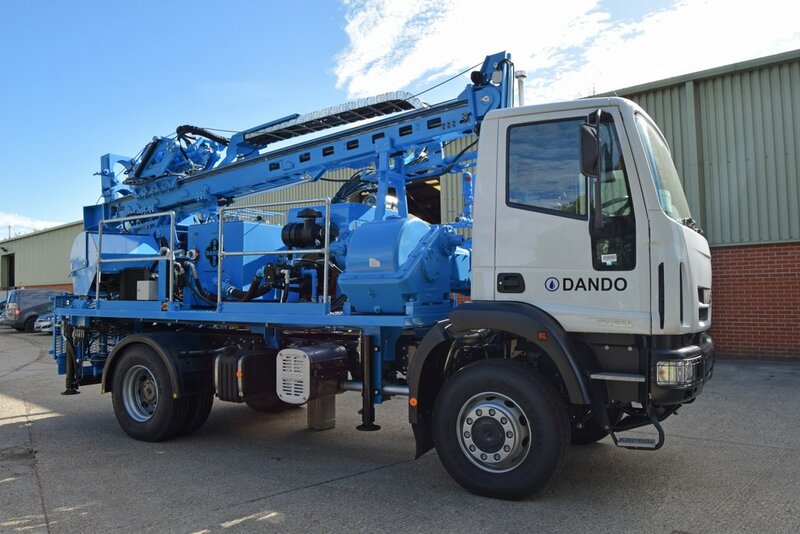 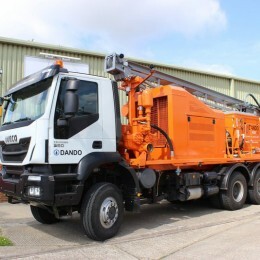 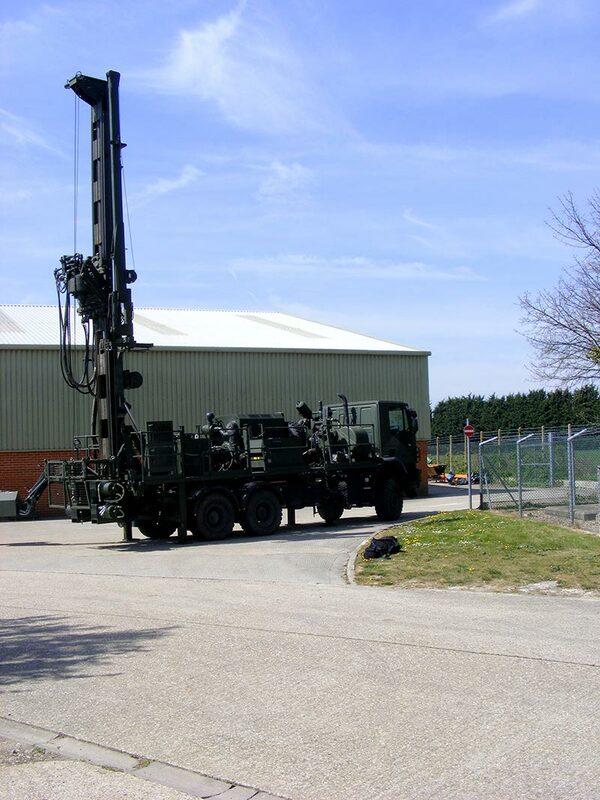 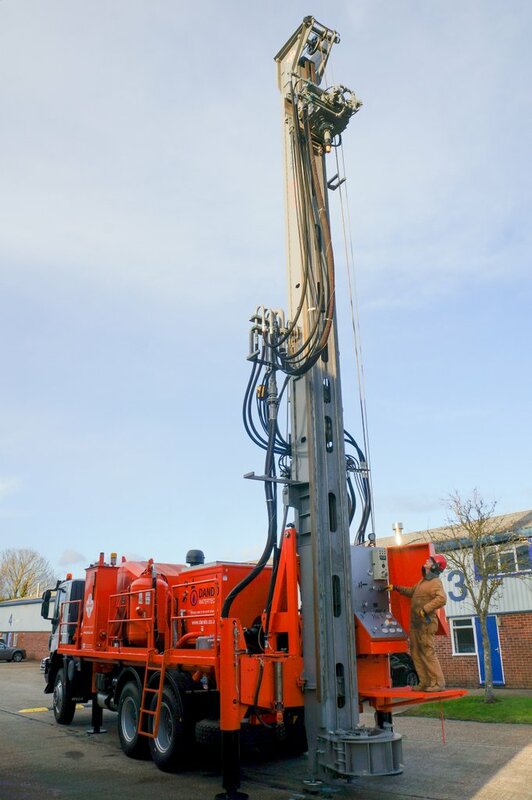 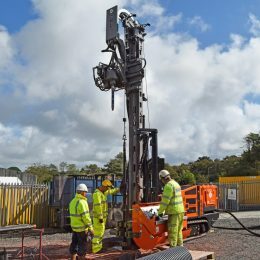 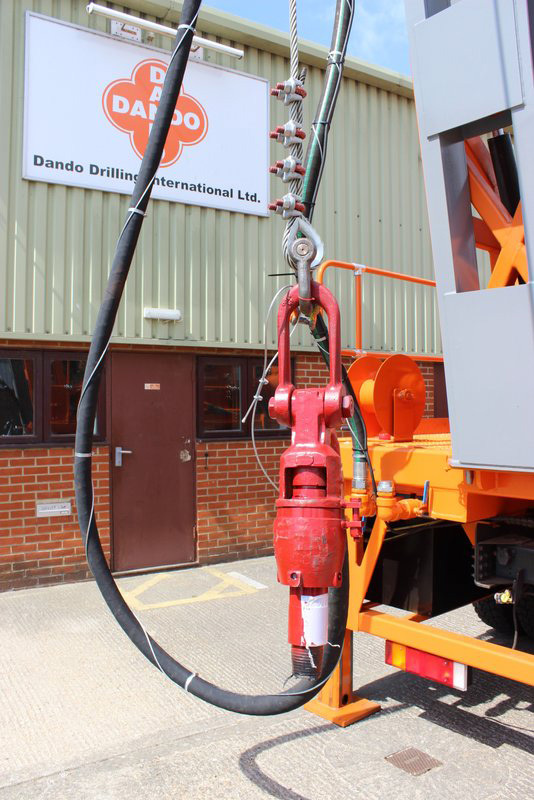 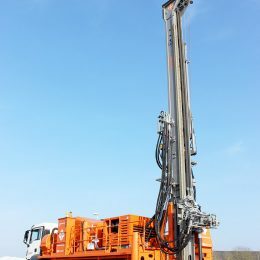 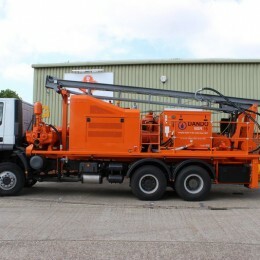 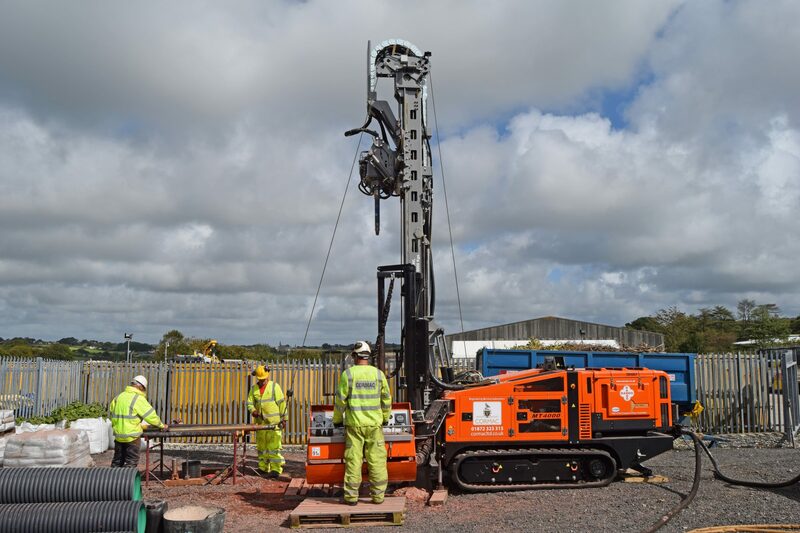 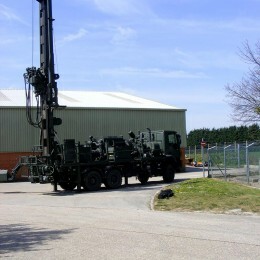 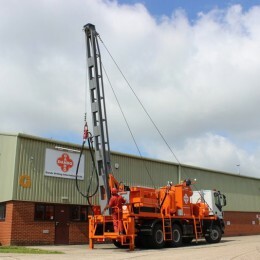 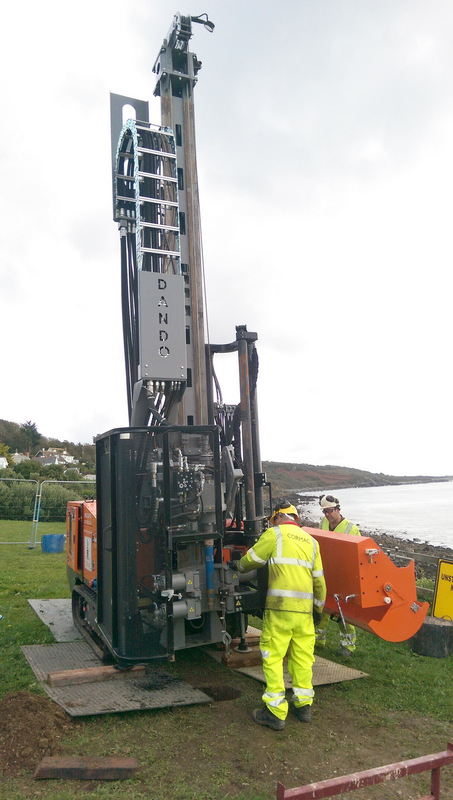 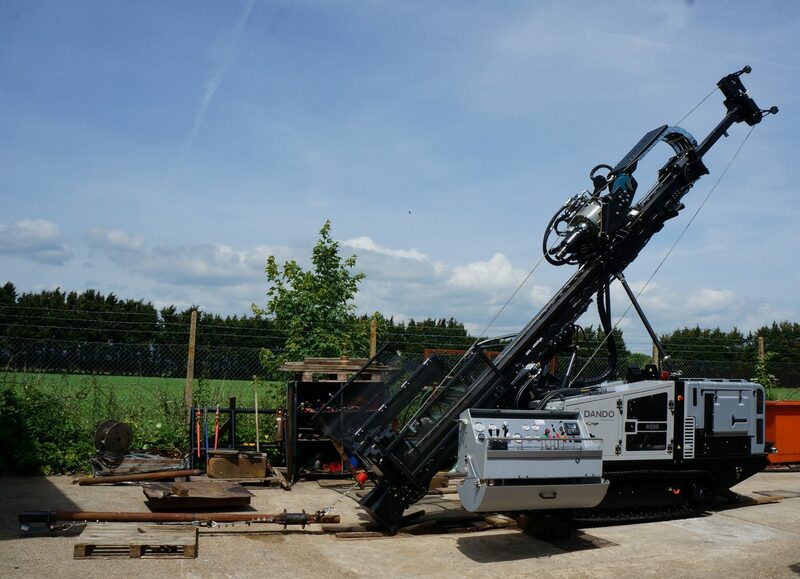 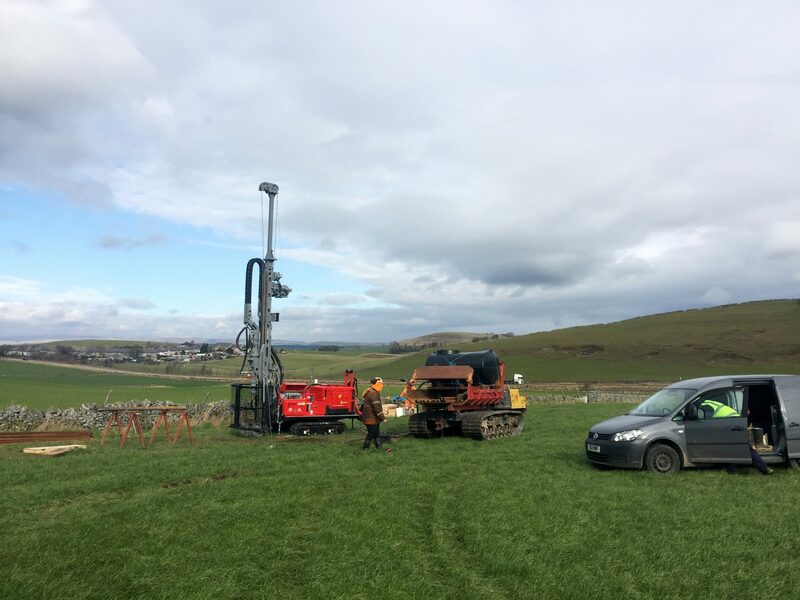 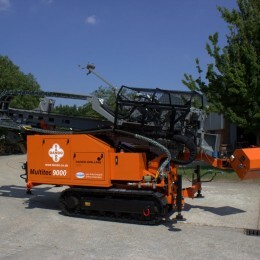 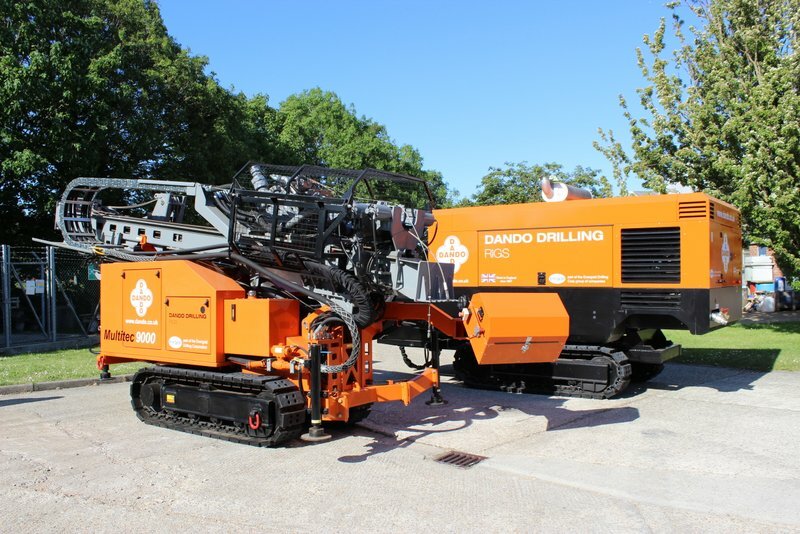 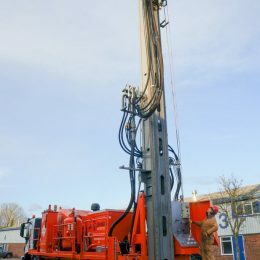 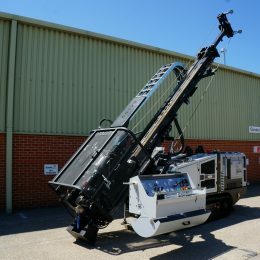 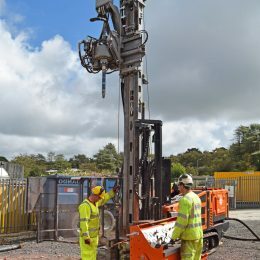 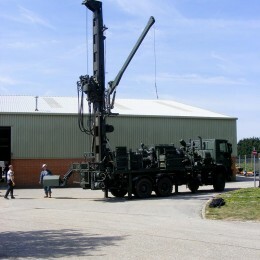 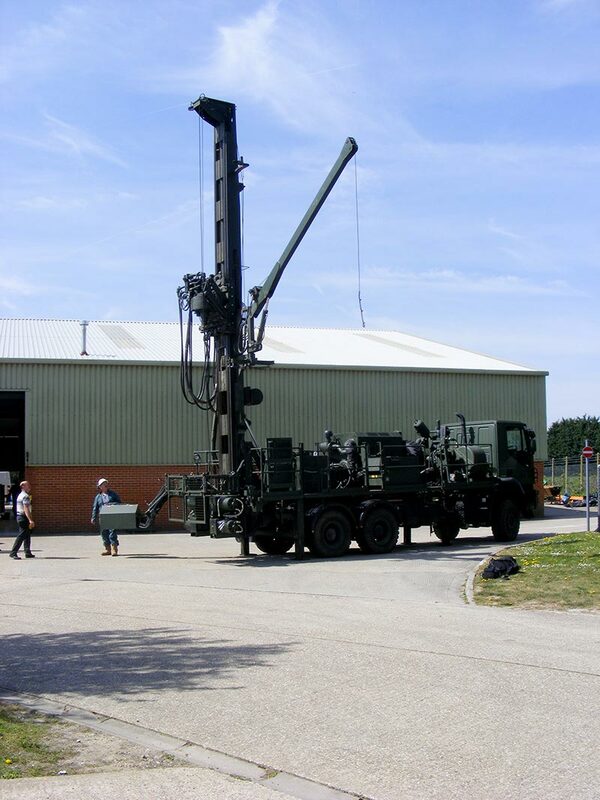 Supplied to a customer based in Cornwall, UK, this Dando Jackal 4000 (Previously known as the Multitec 4000) with heavy duty mast, will be involved in many projects in the region including site investigation in the flood-hit village of Coverack and drilling up to 90 boreholes for the A30 St Austell link road. 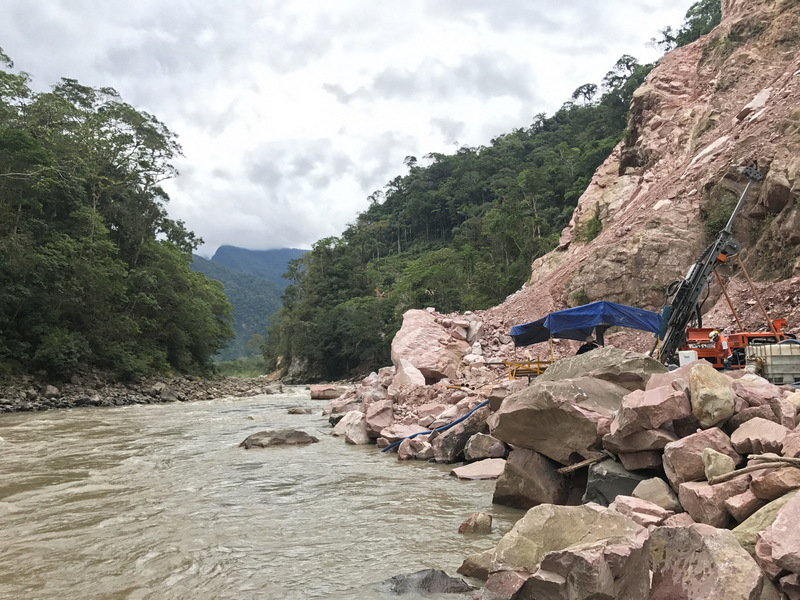 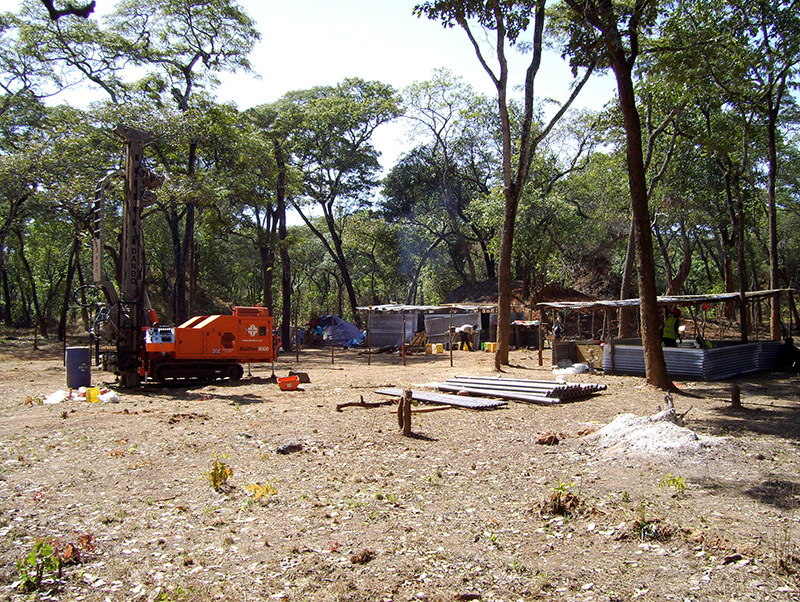 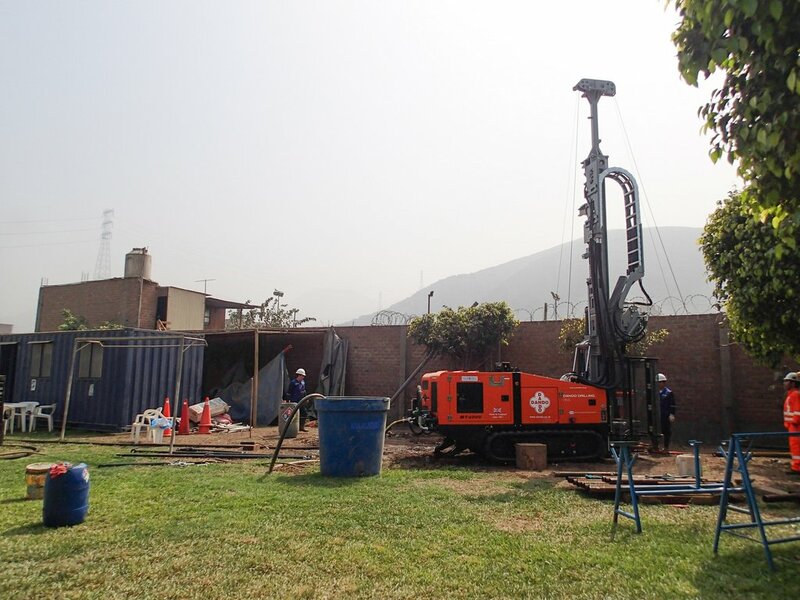 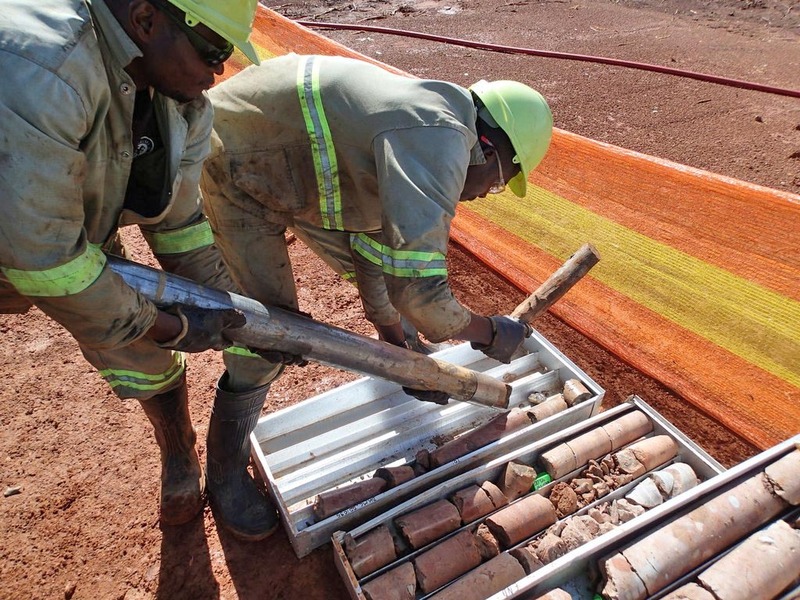 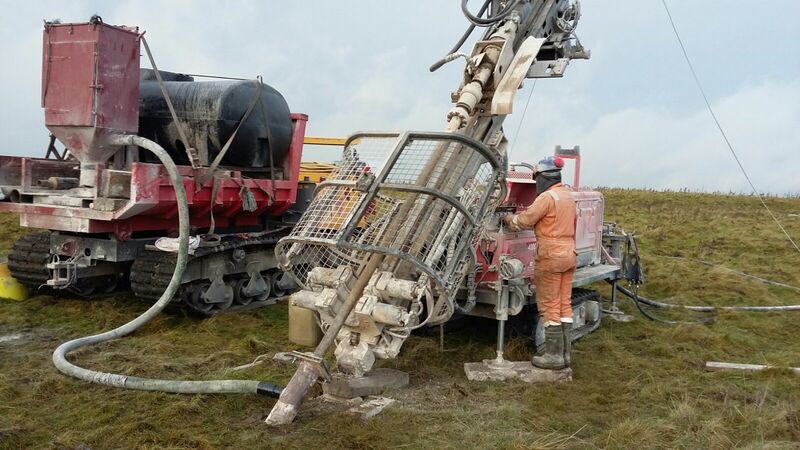 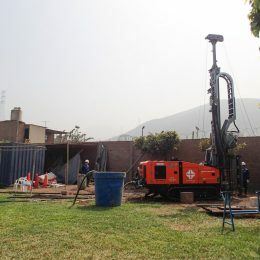 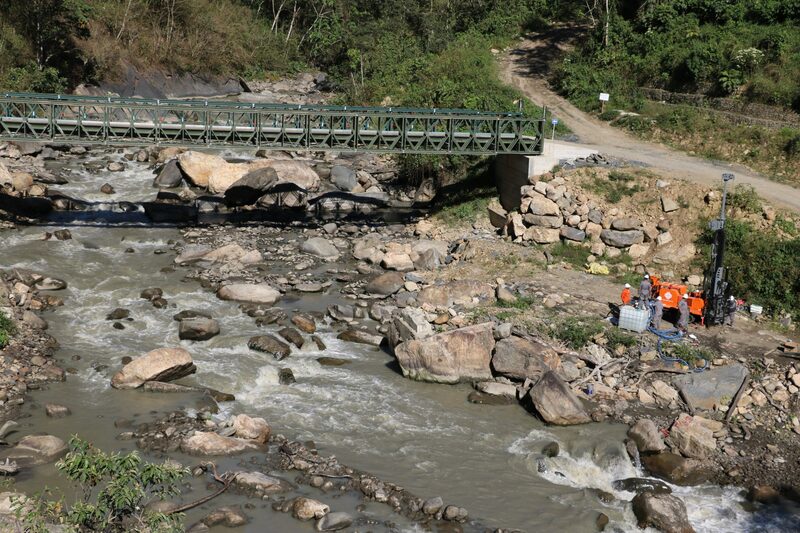 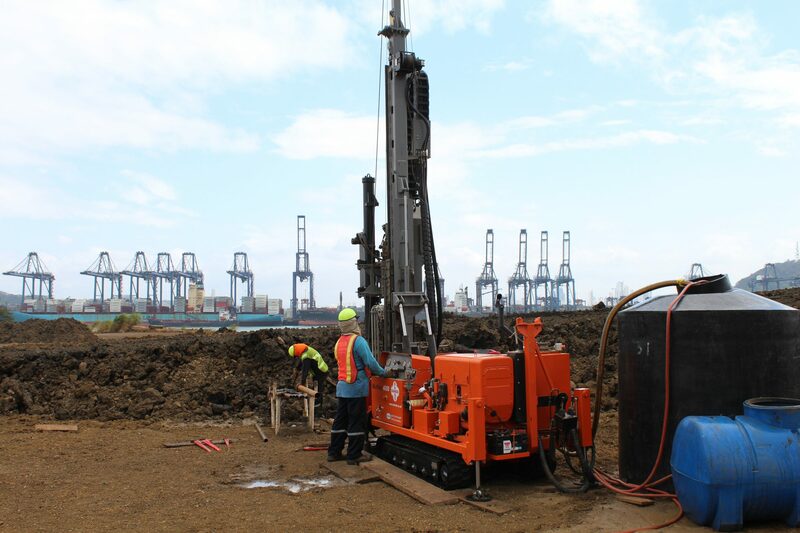 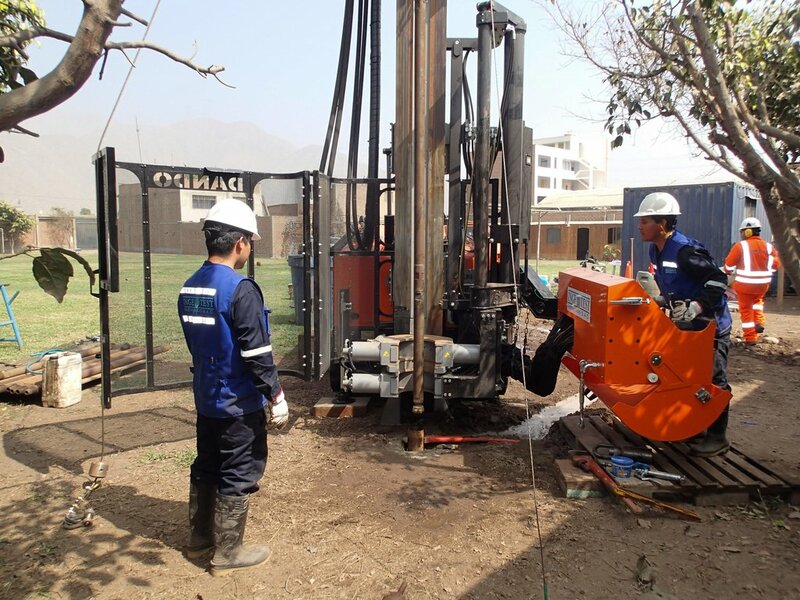 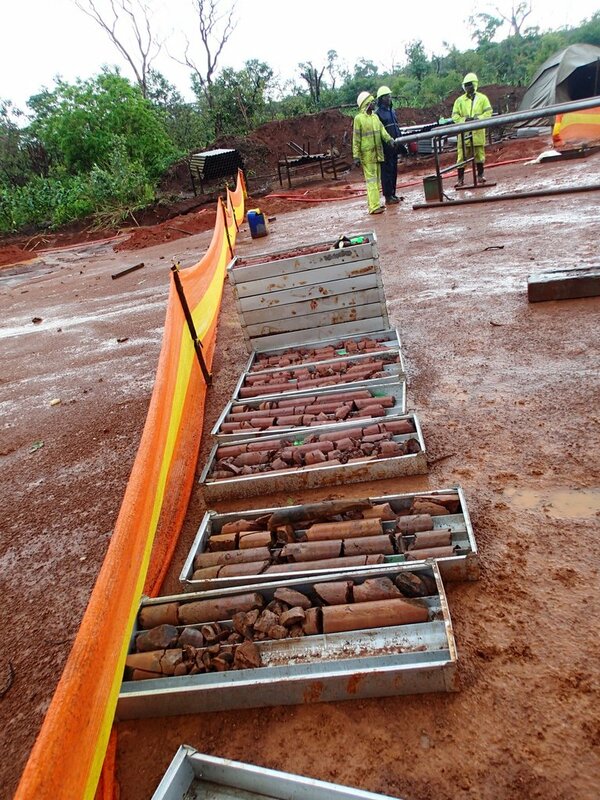 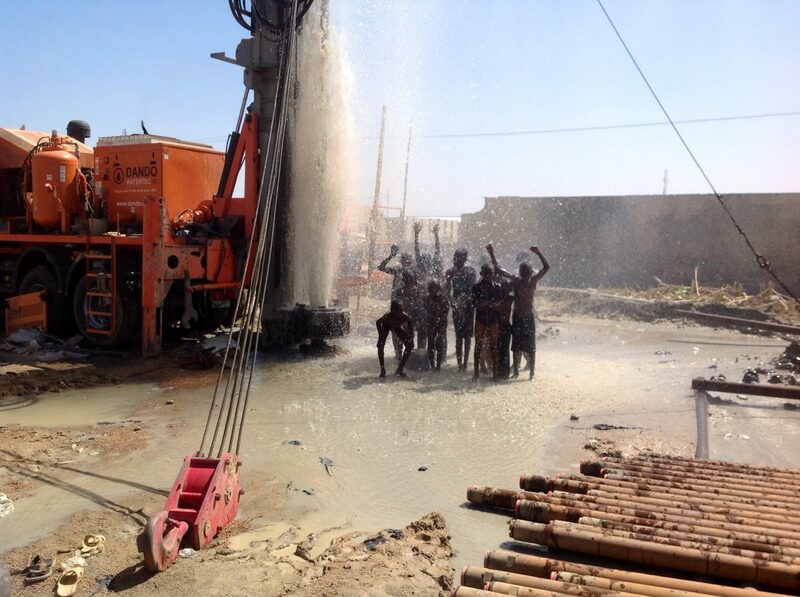 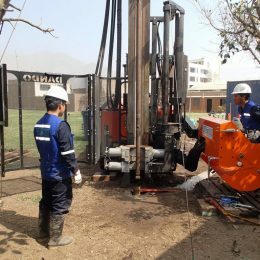 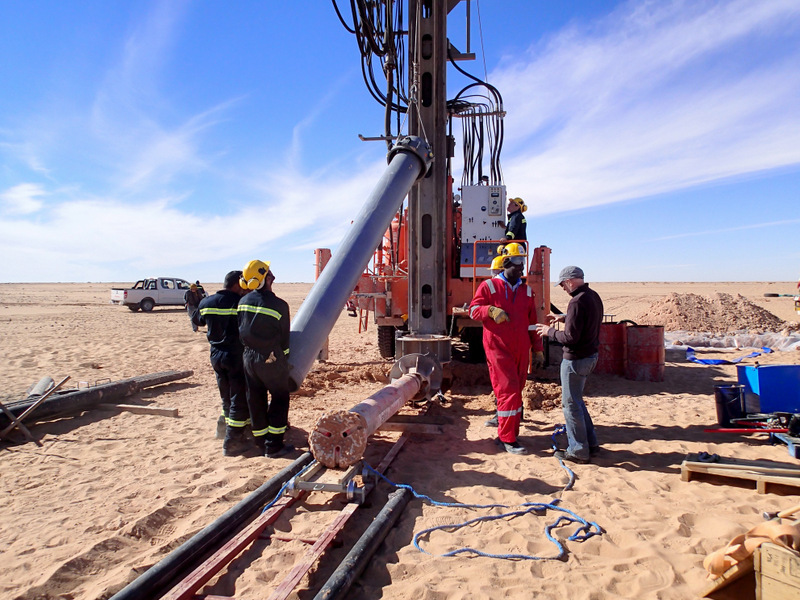 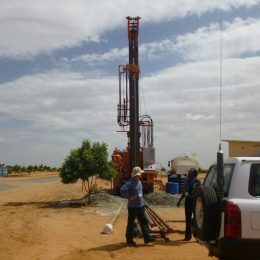 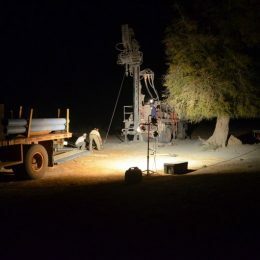 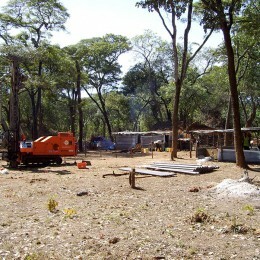 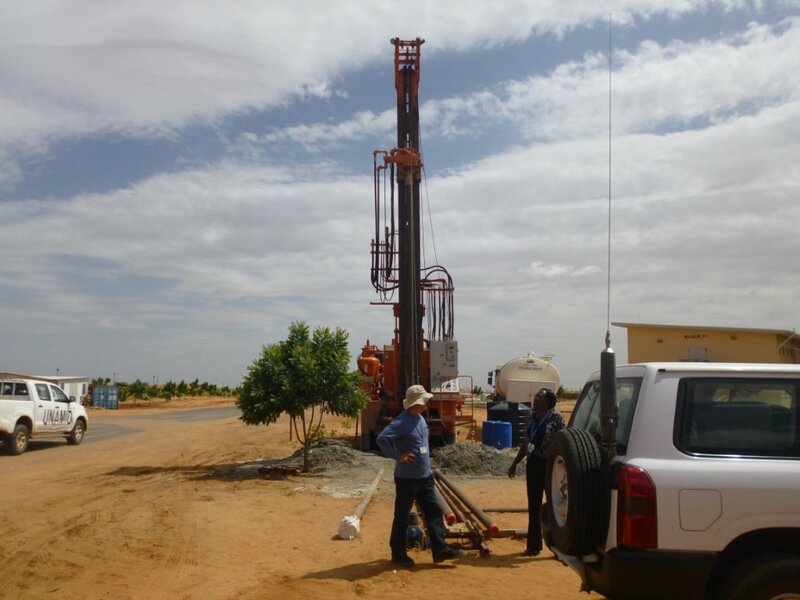 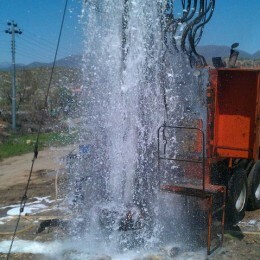 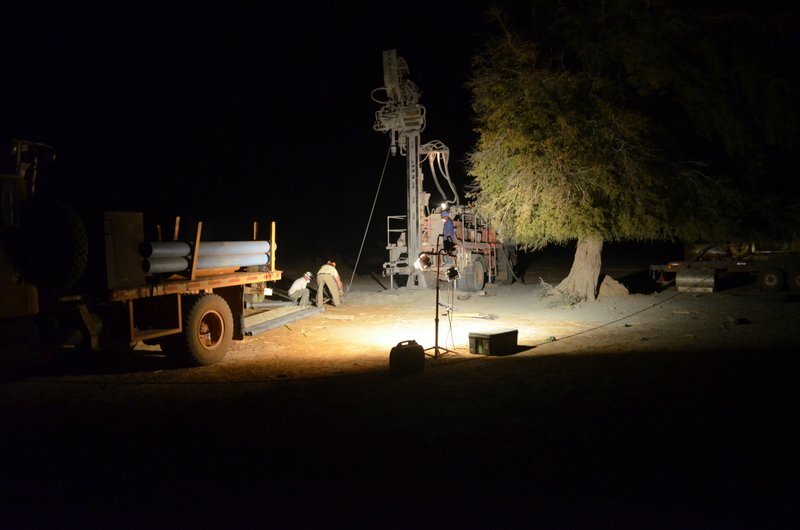 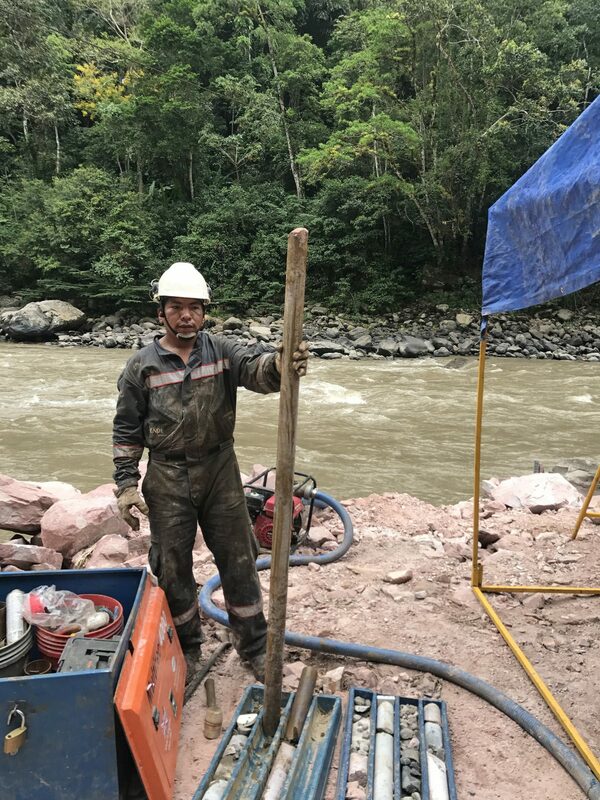 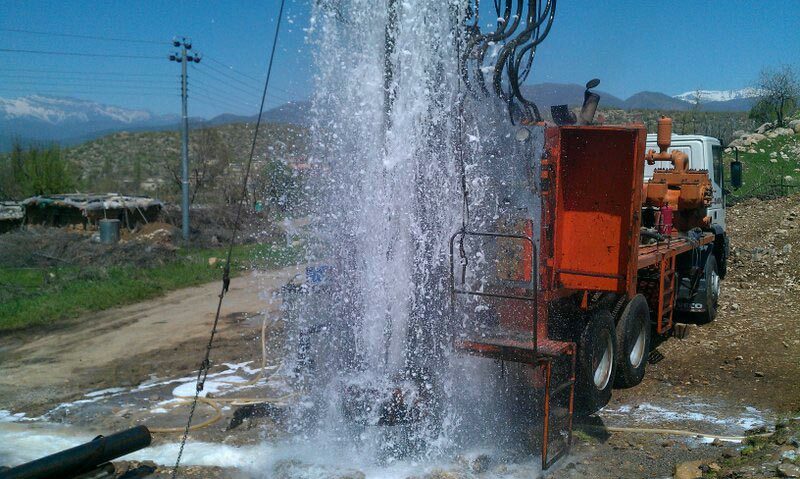 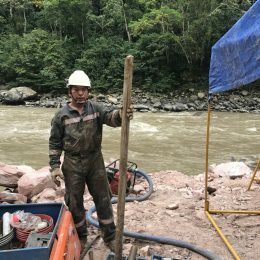 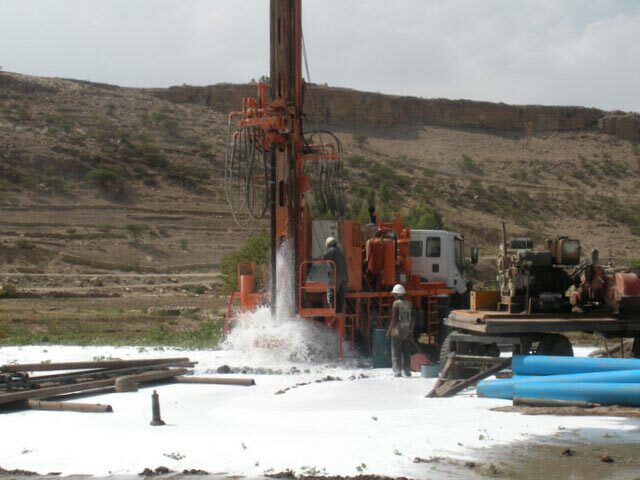 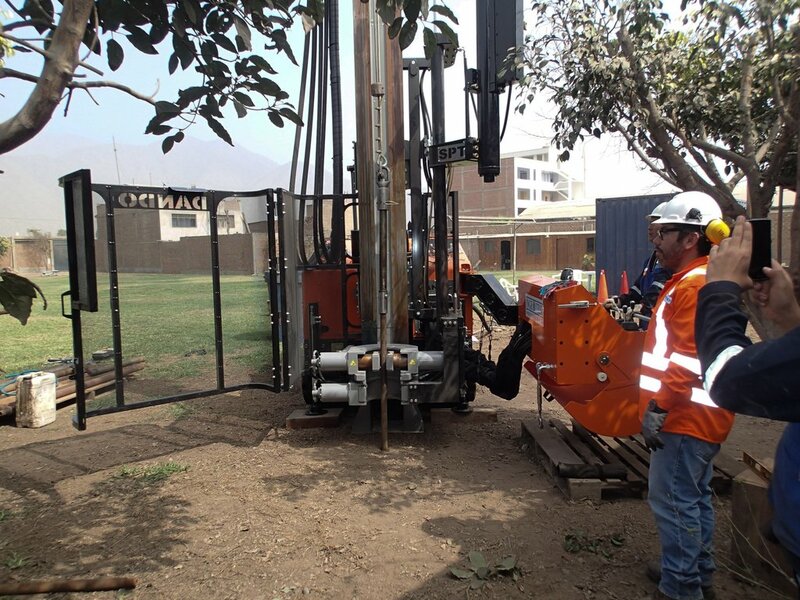 In situ testing, HQ wireline coring and DTH drilling in Peru. 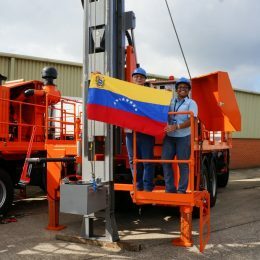 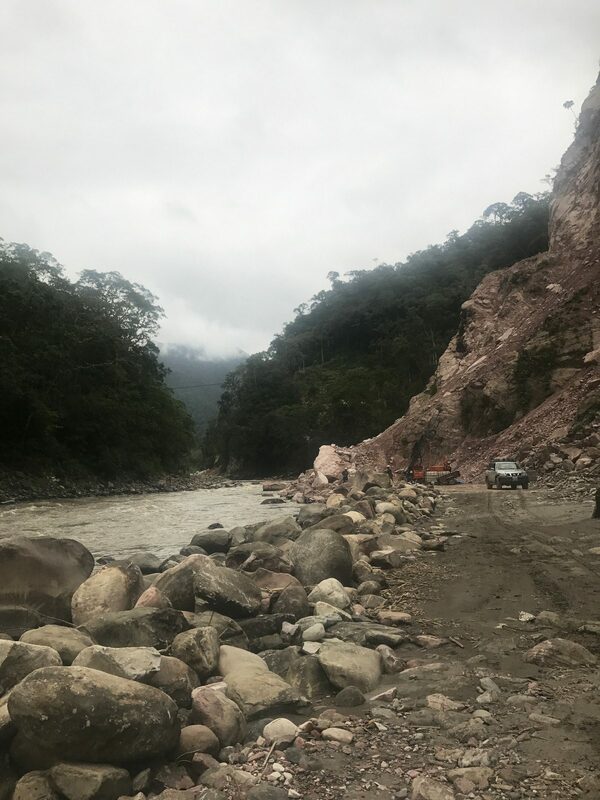 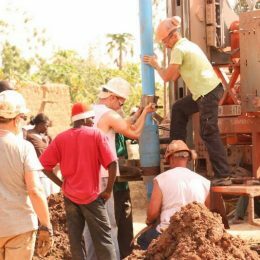 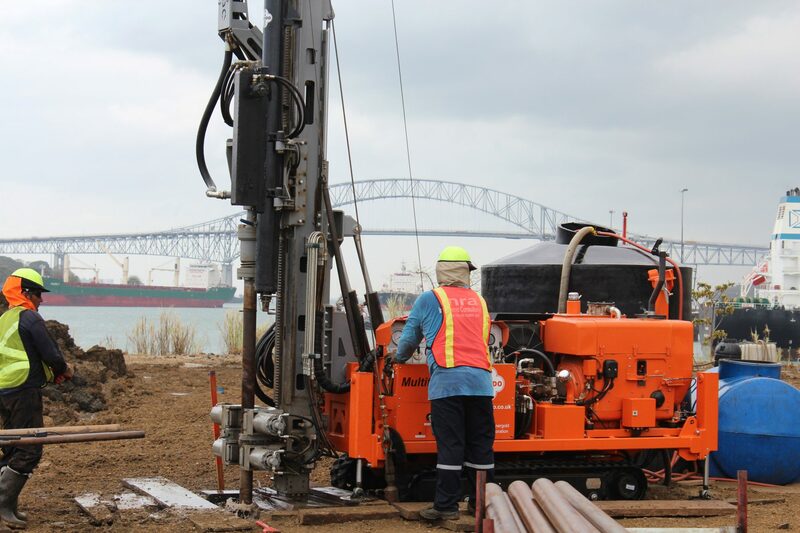 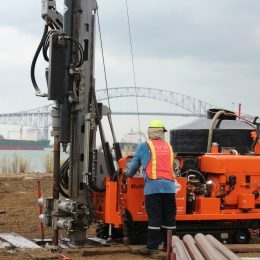 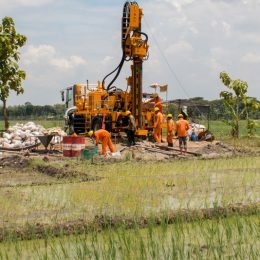 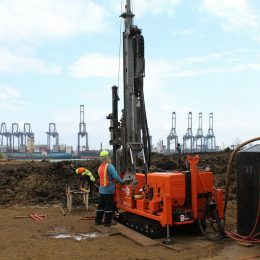 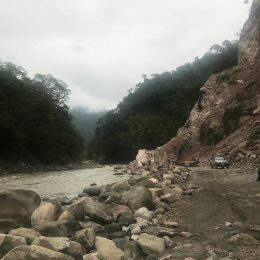 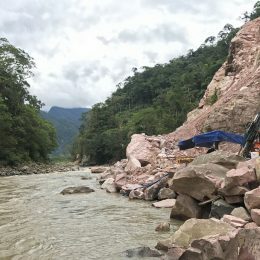 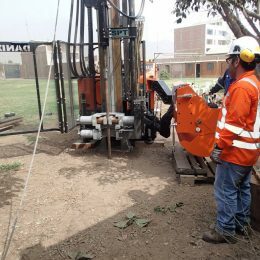 Based in Lima, the customer is a specialist in civil engineering, geotechnical investigation and construction, offering a range of services including geotechnical drilling, laboratory testing and consultancy. 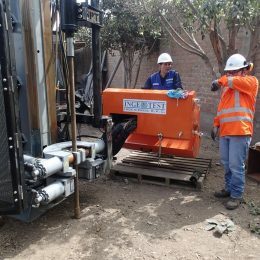 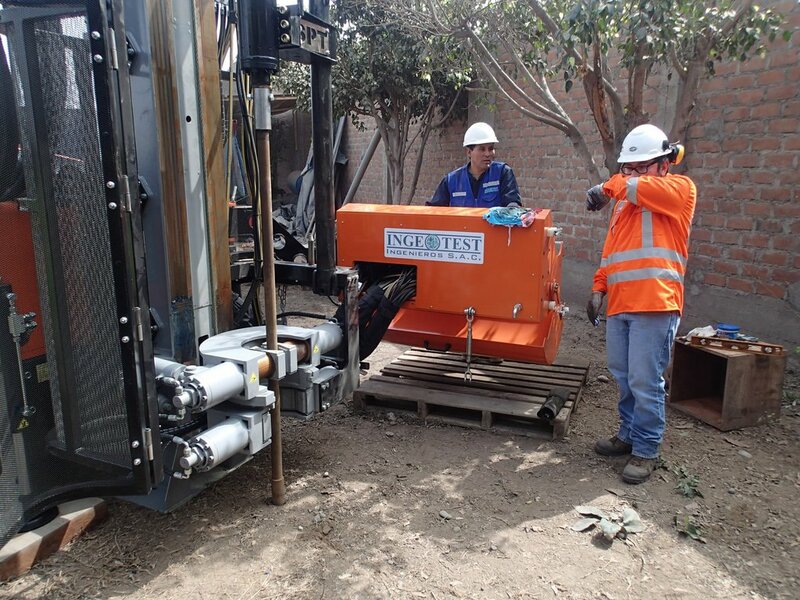 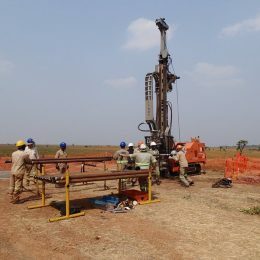 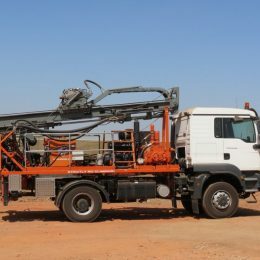 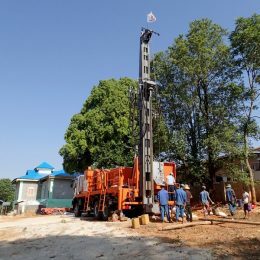 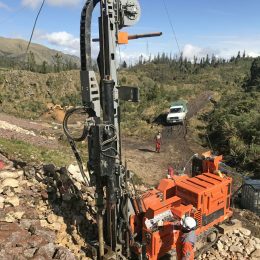 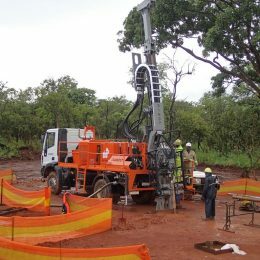 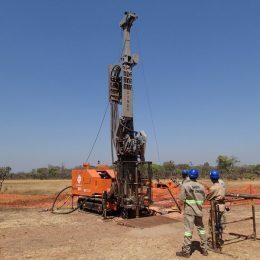 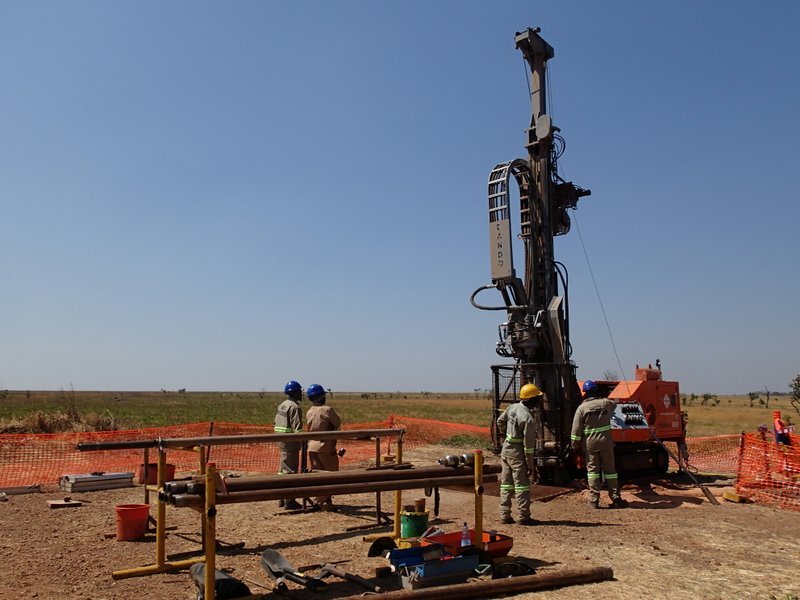 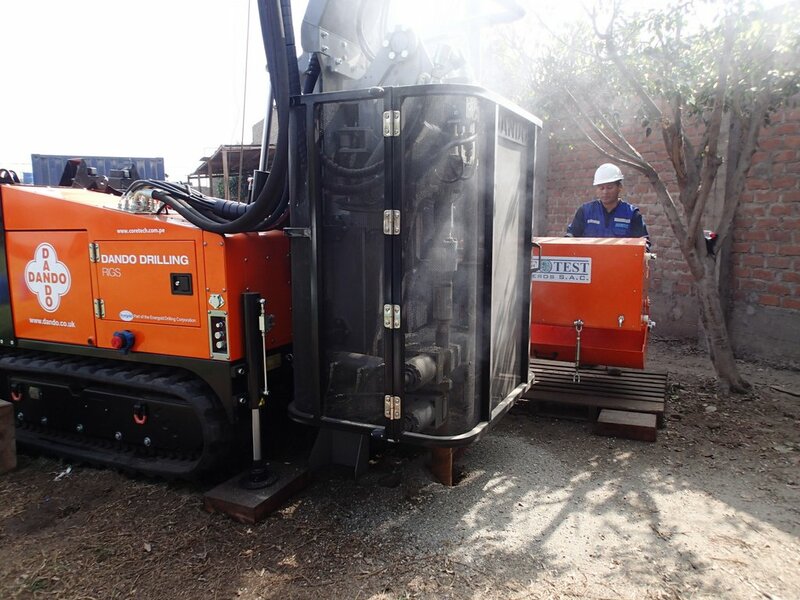 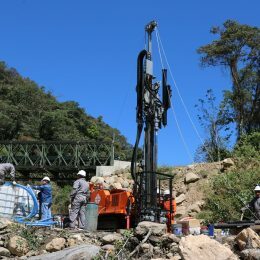 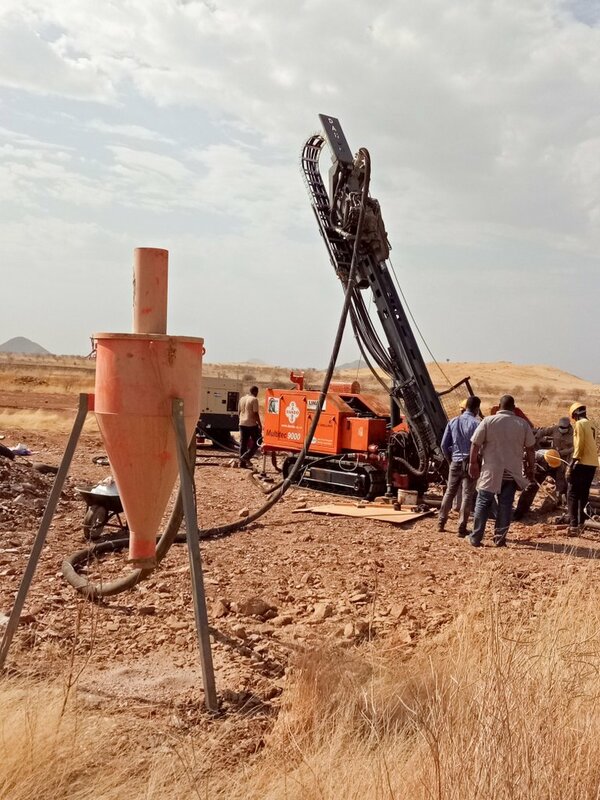 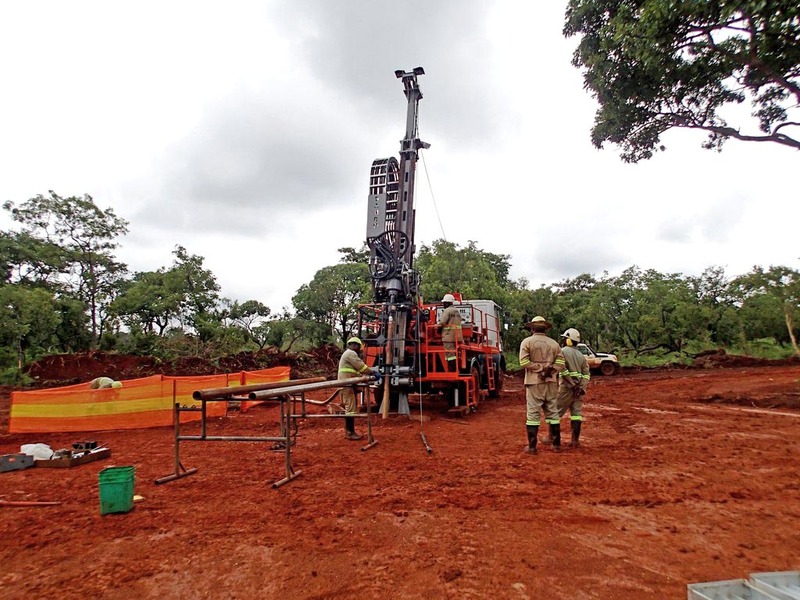 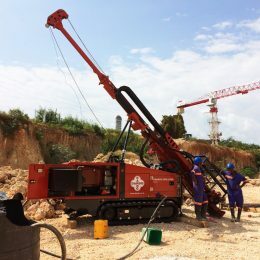 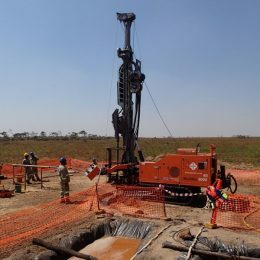 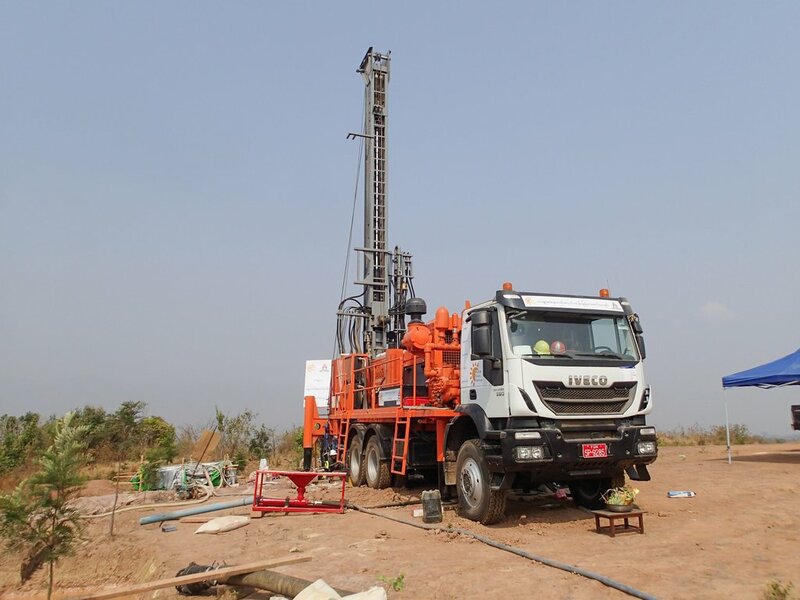 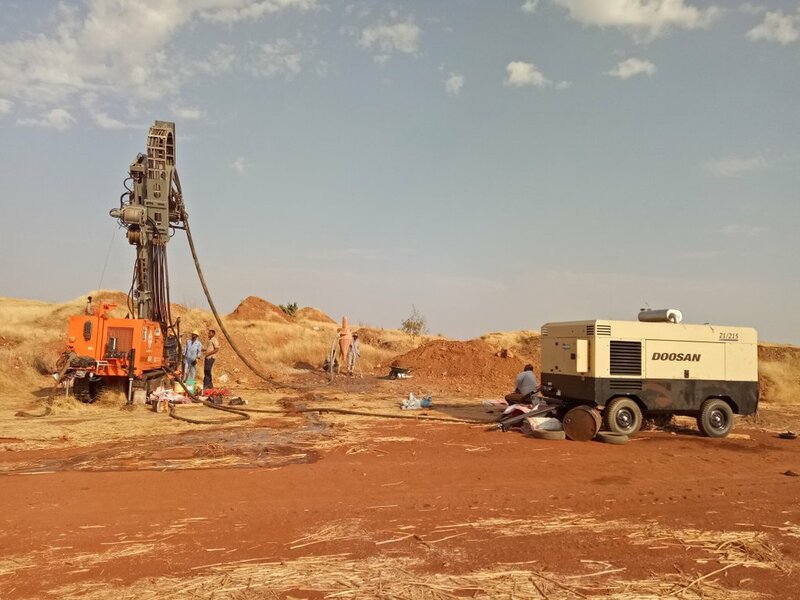 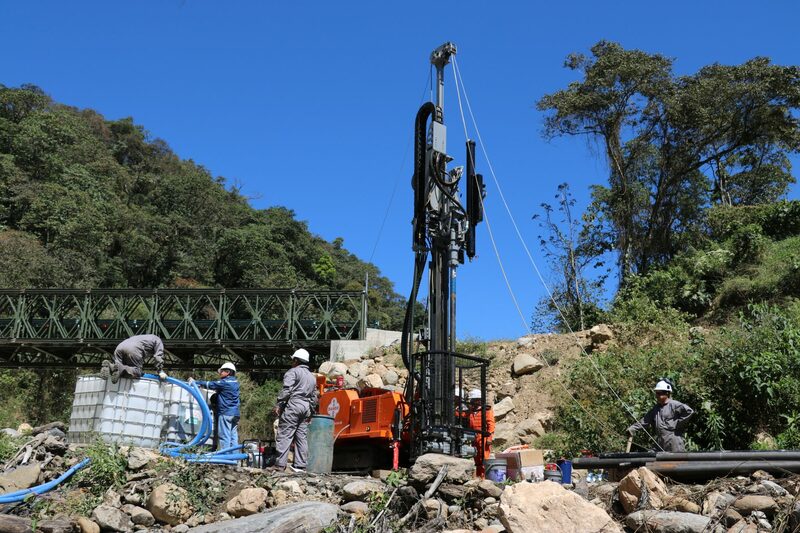 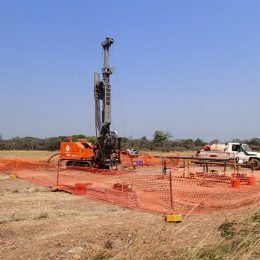 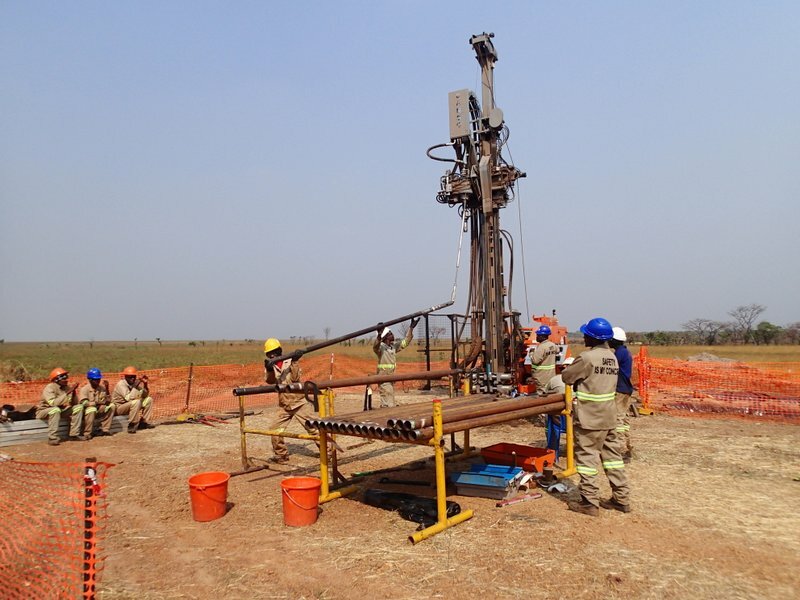 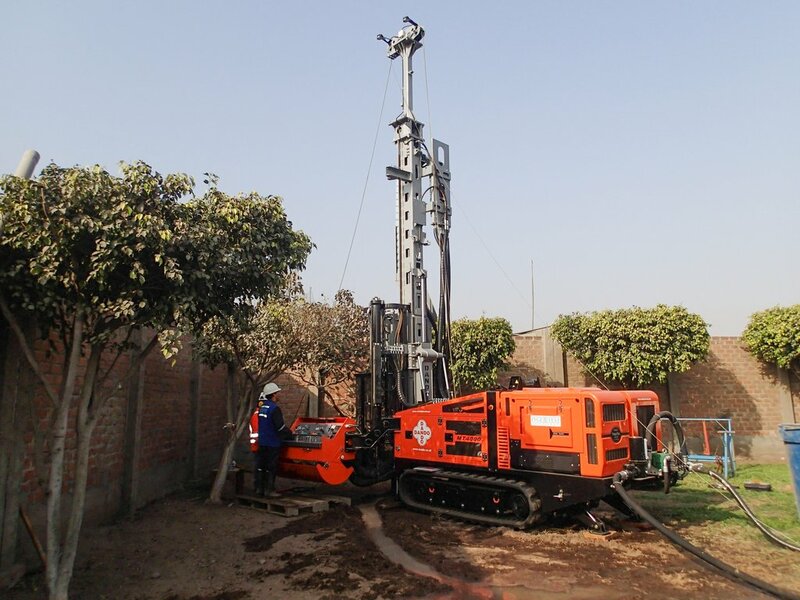 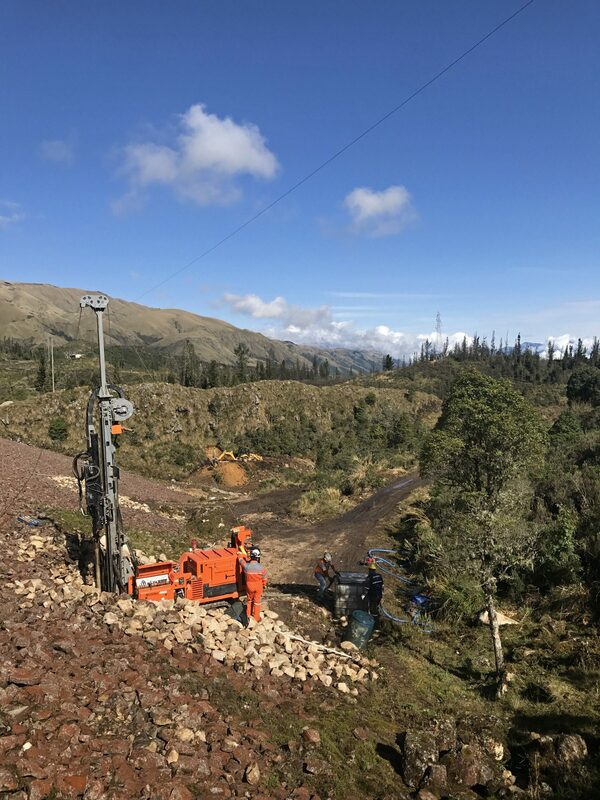 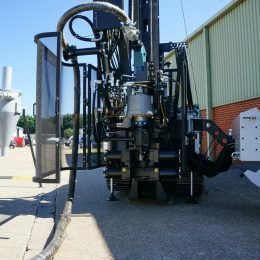 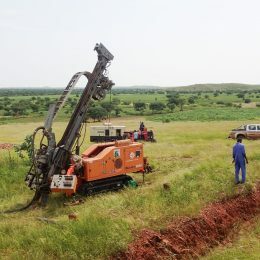 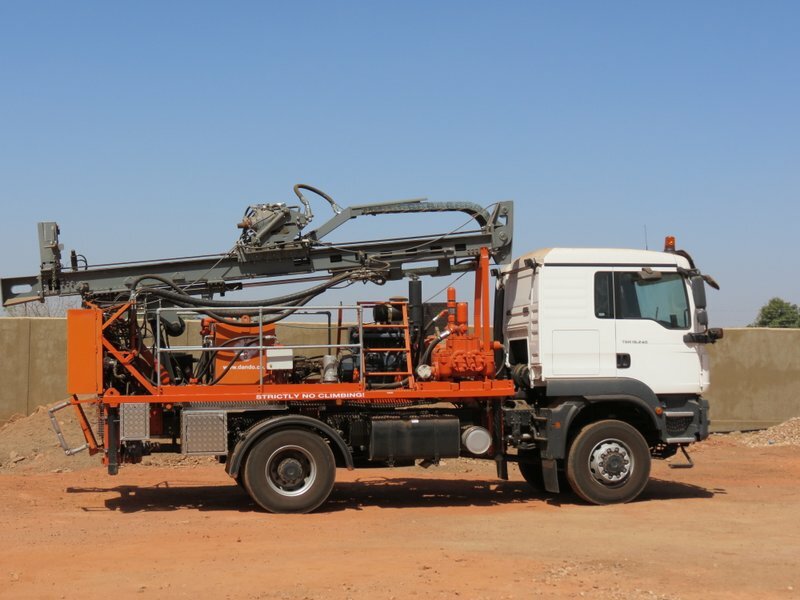 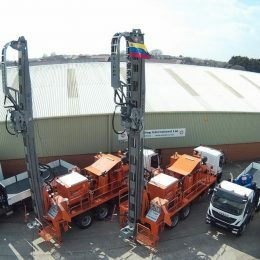 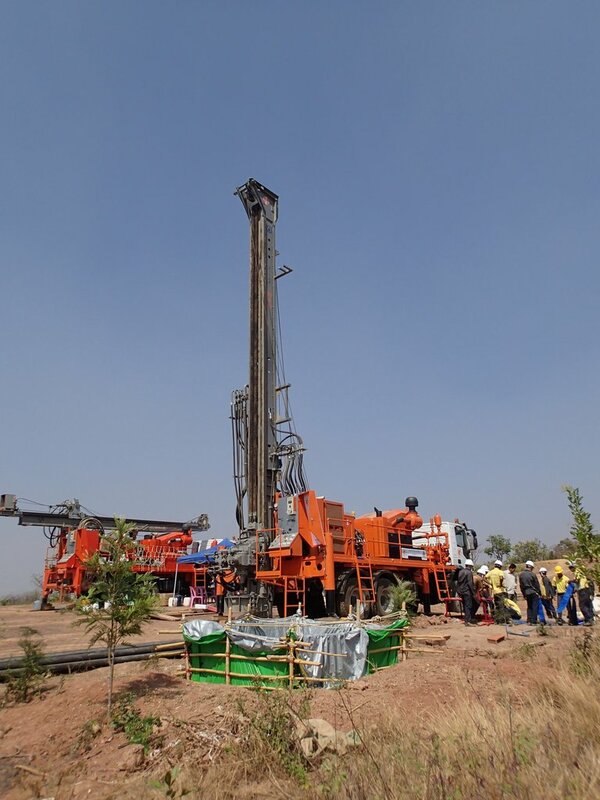 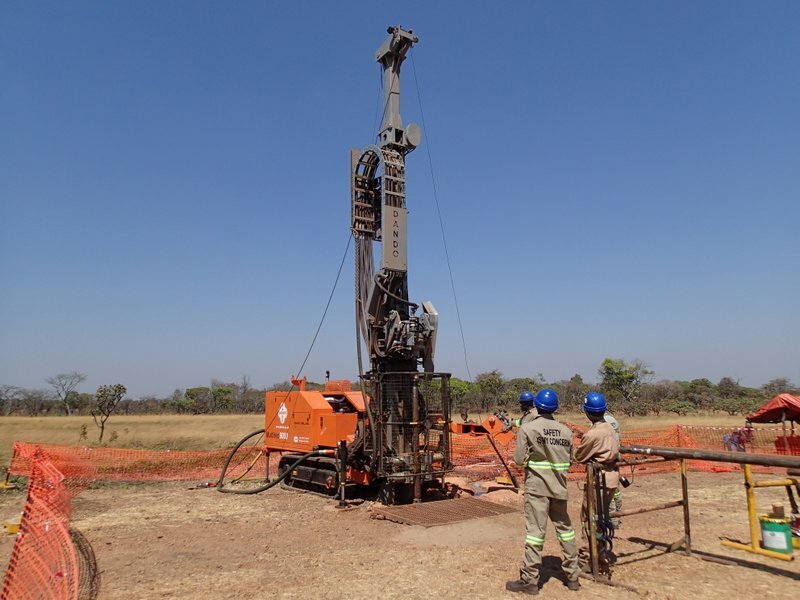 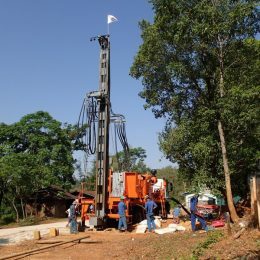 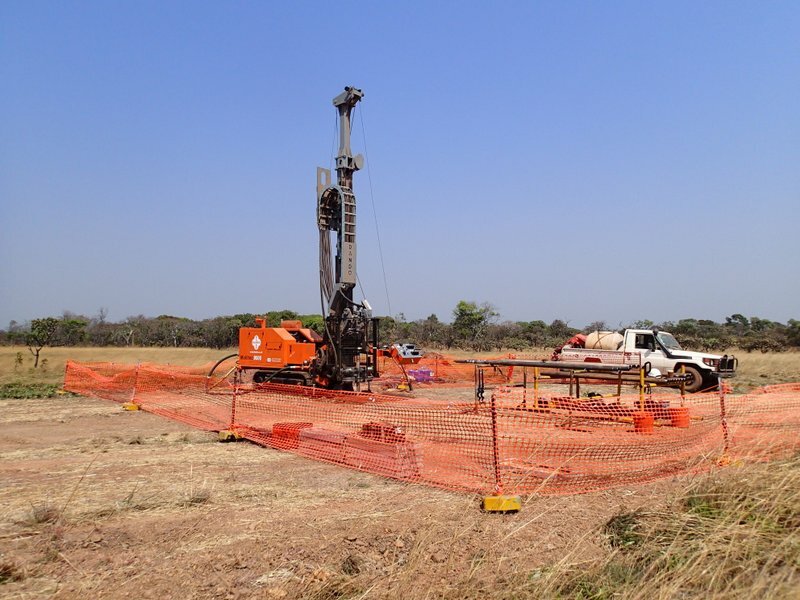 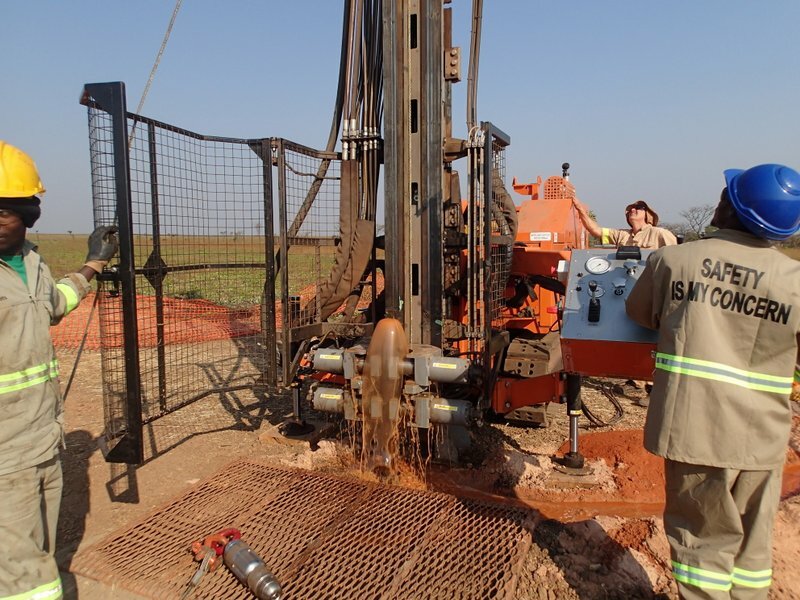 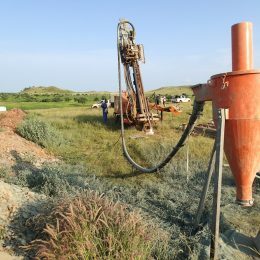 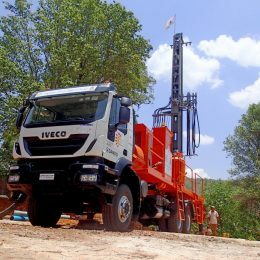 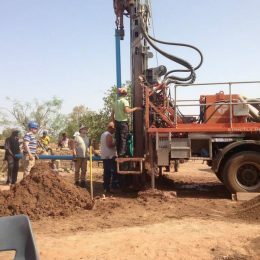 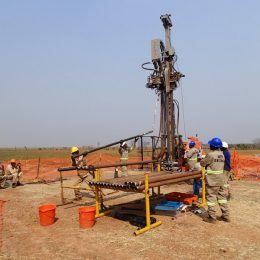 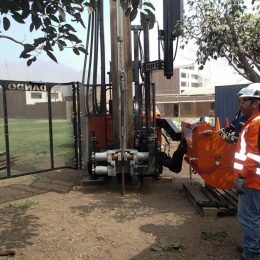 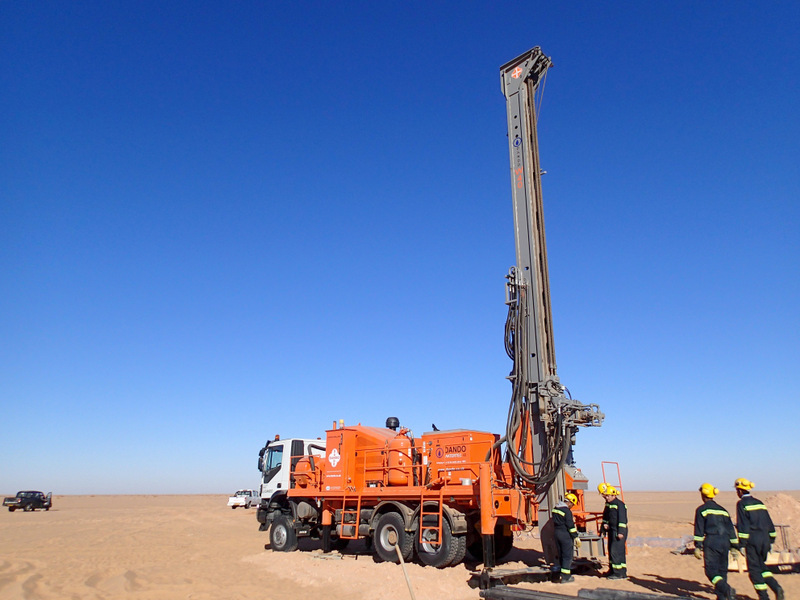 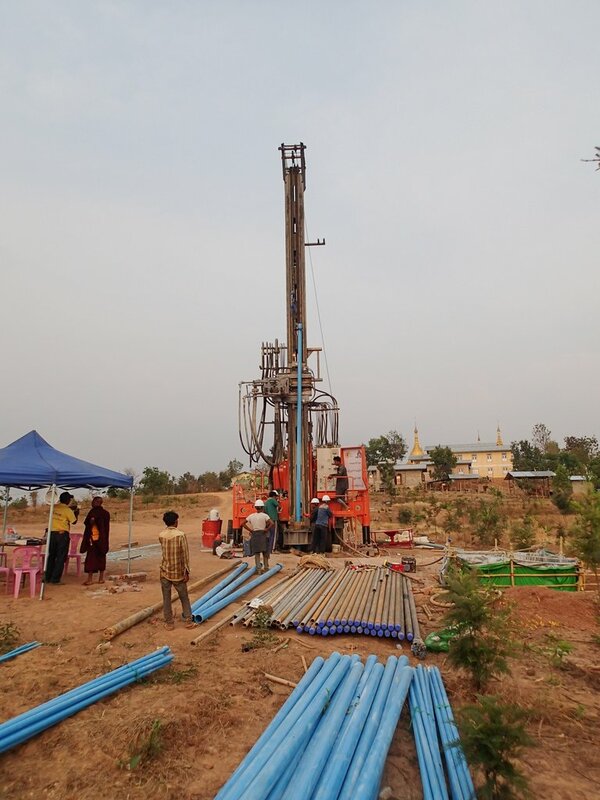 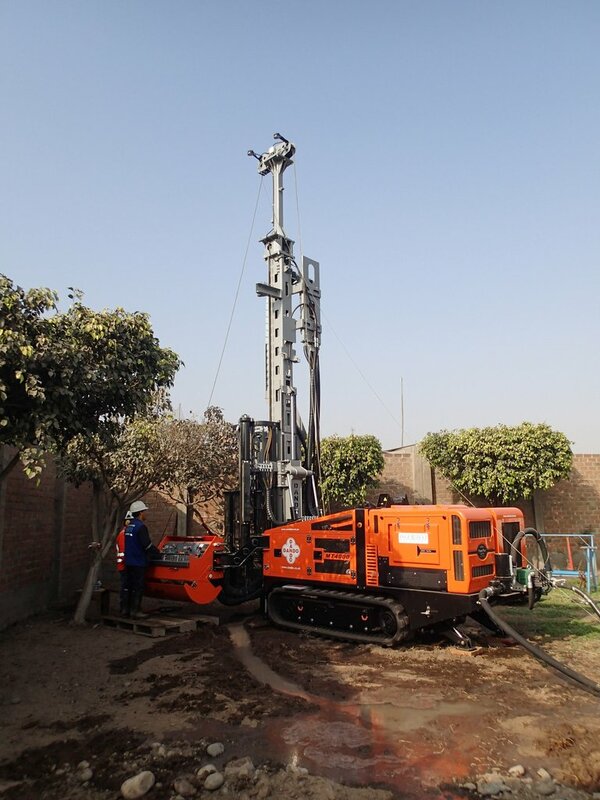 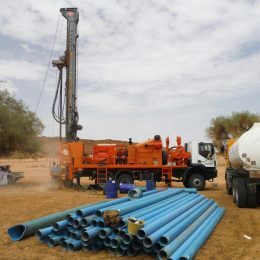 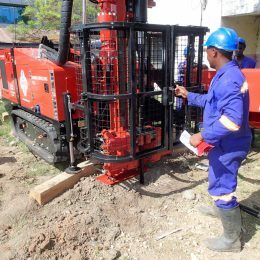 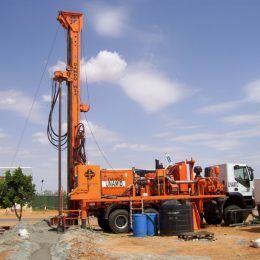 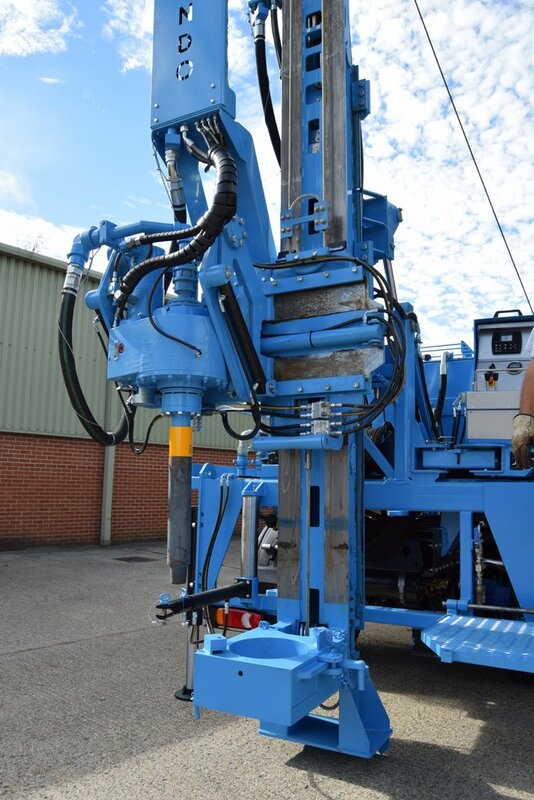 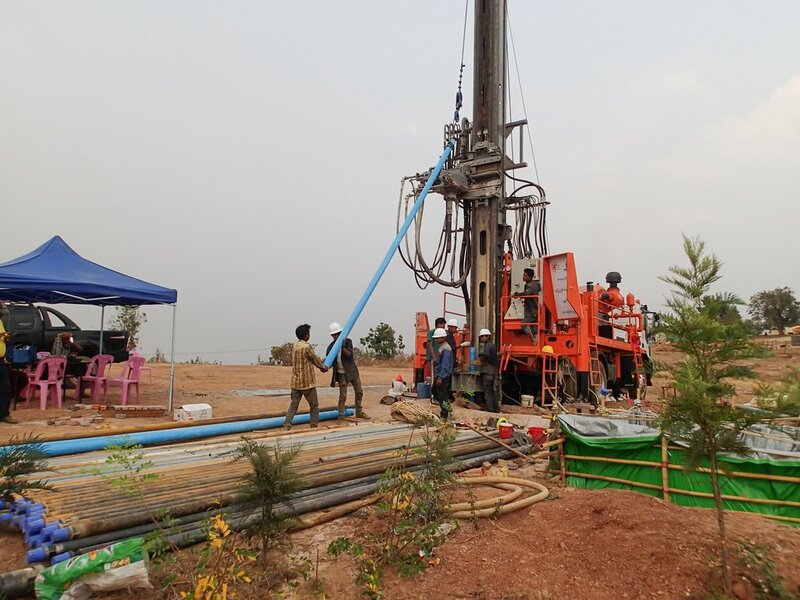 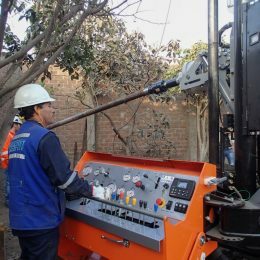 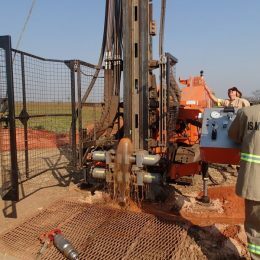 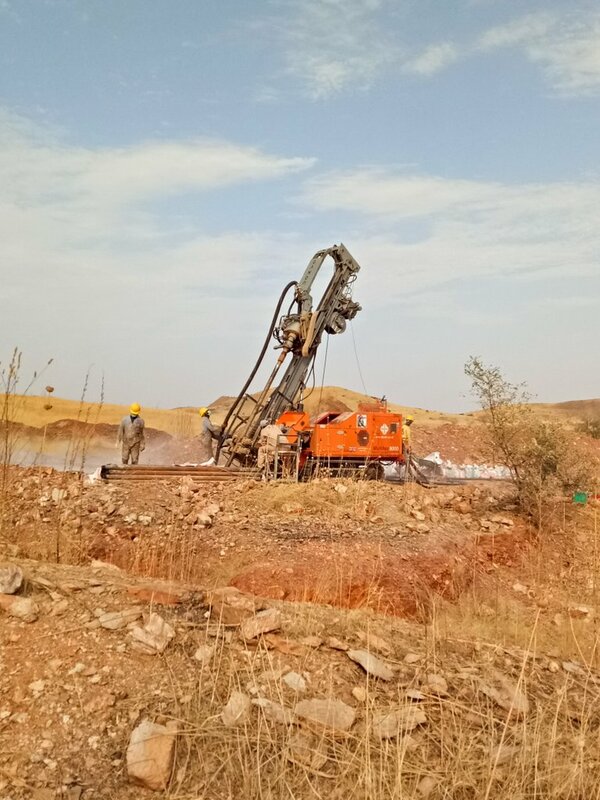 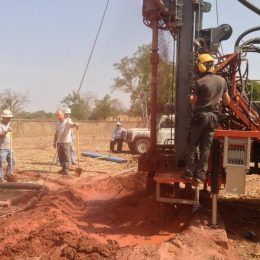 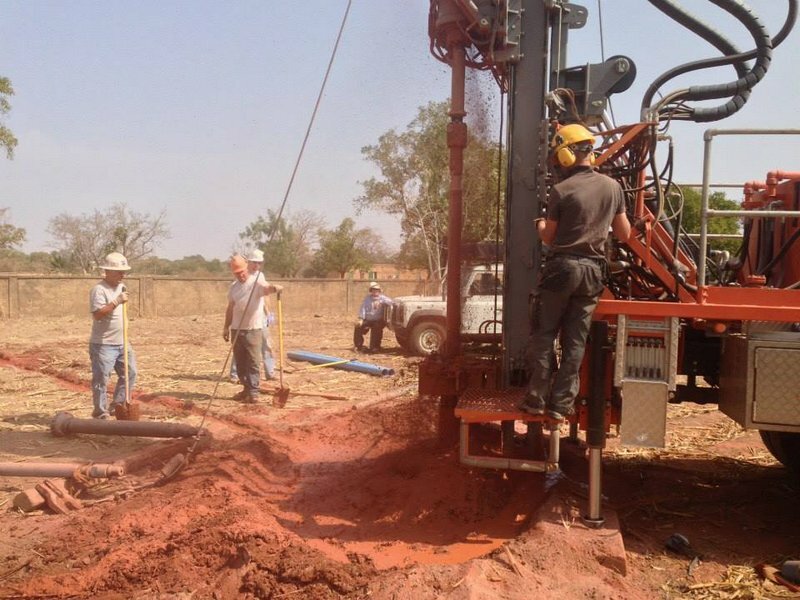 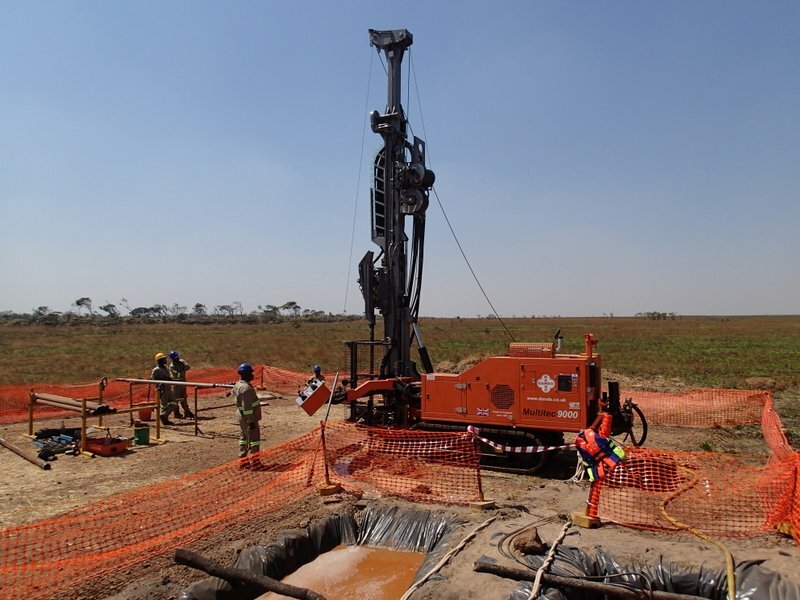 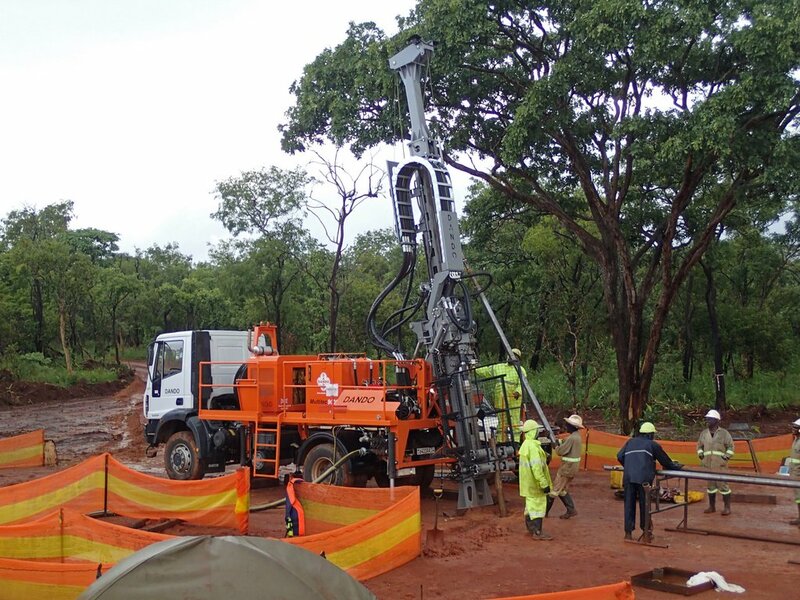 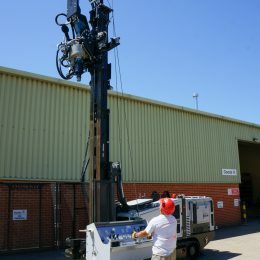 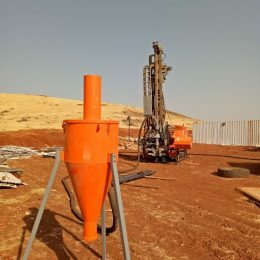 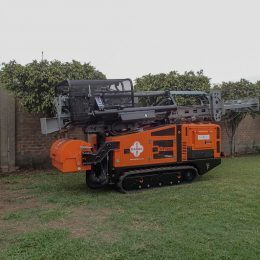 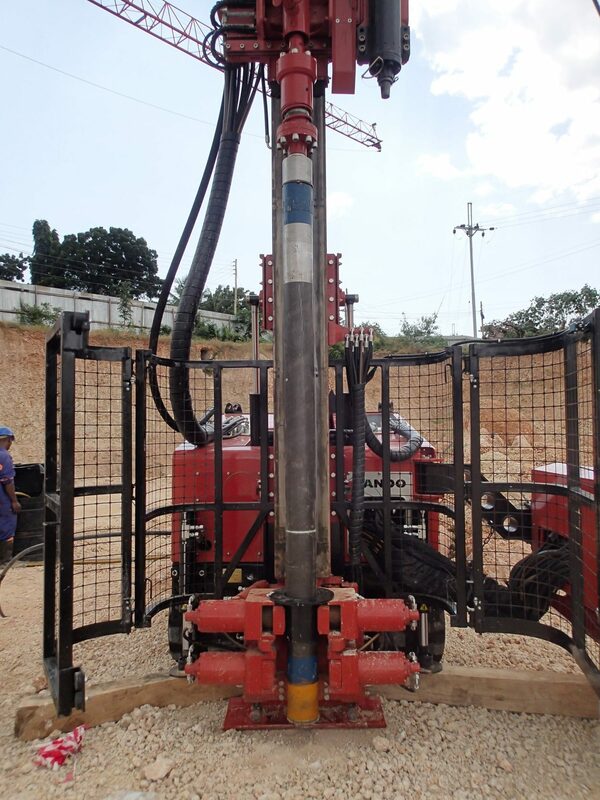 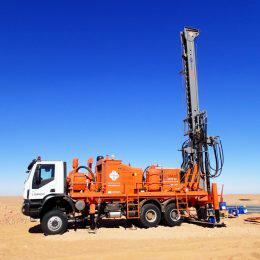 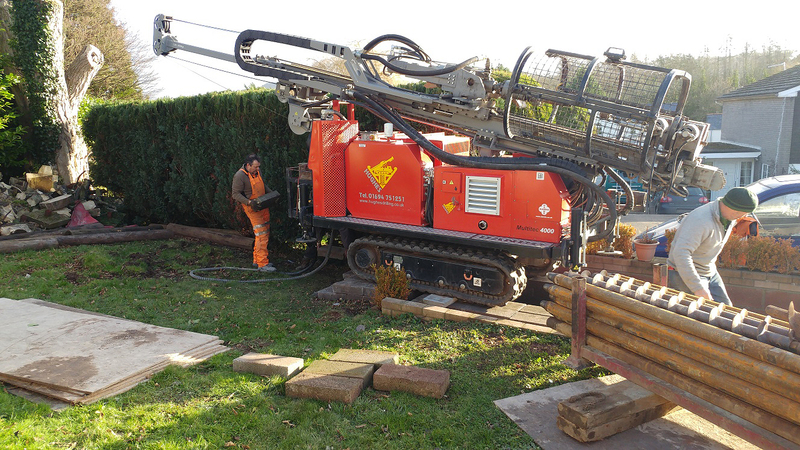 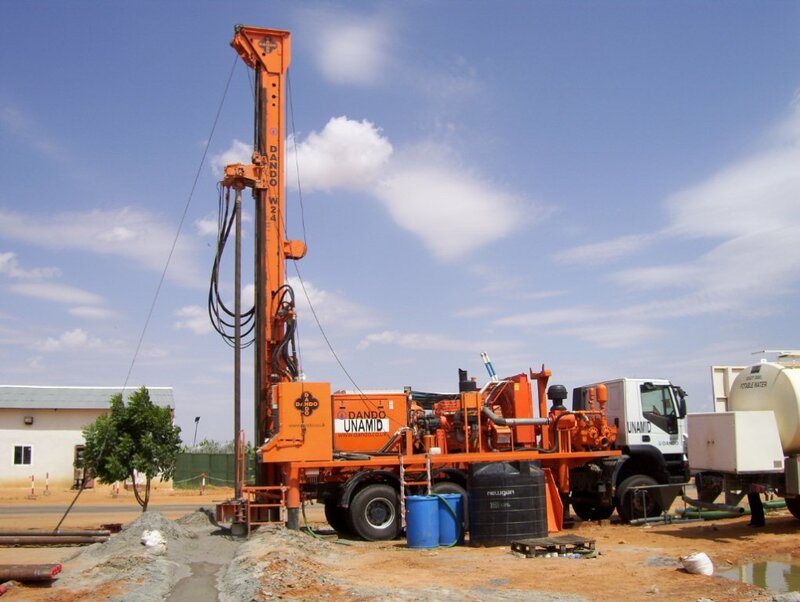 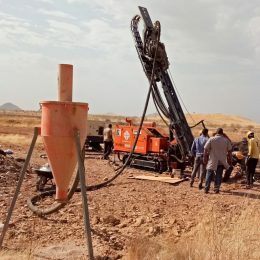 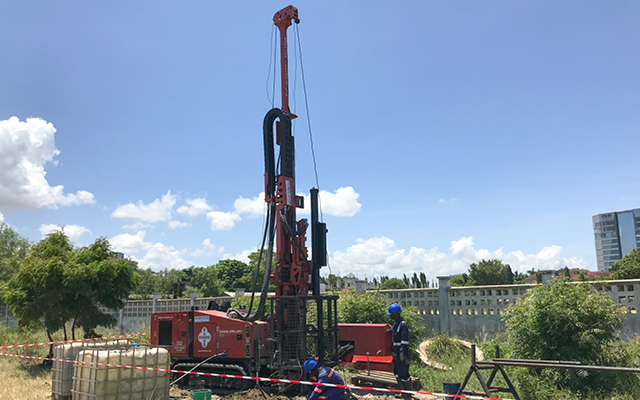 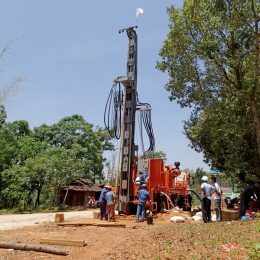 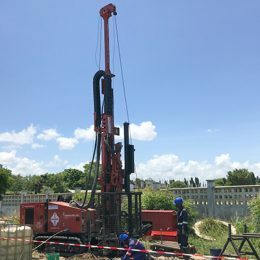 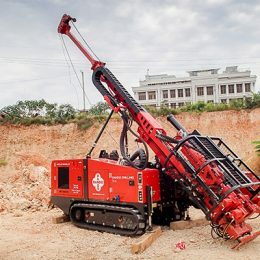 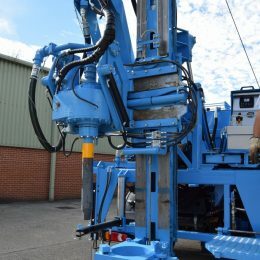 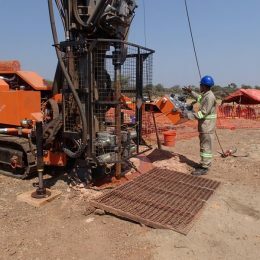 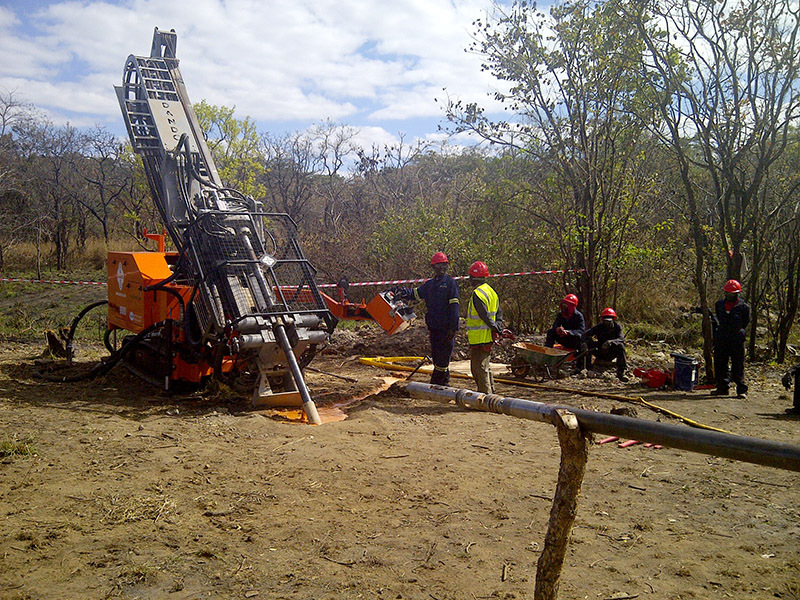 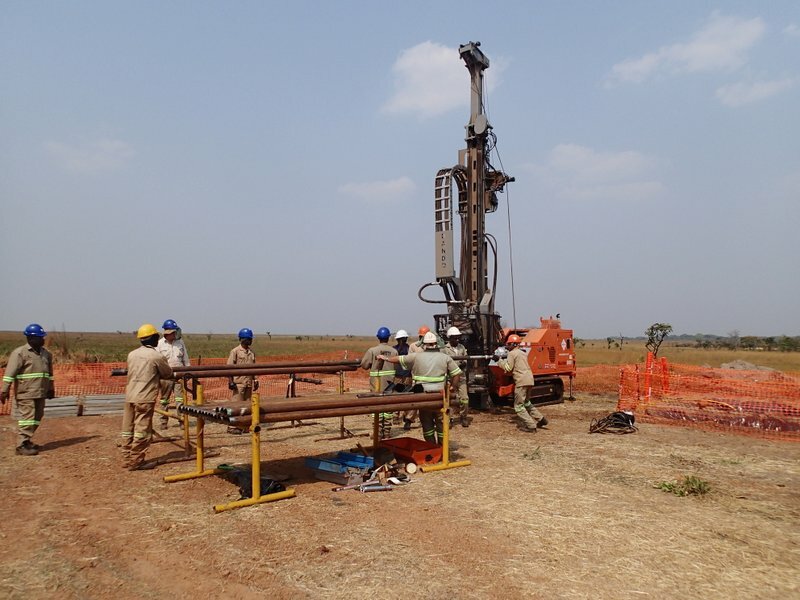 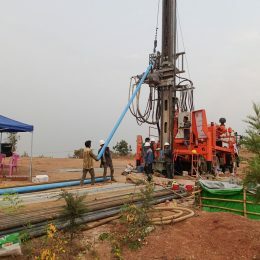 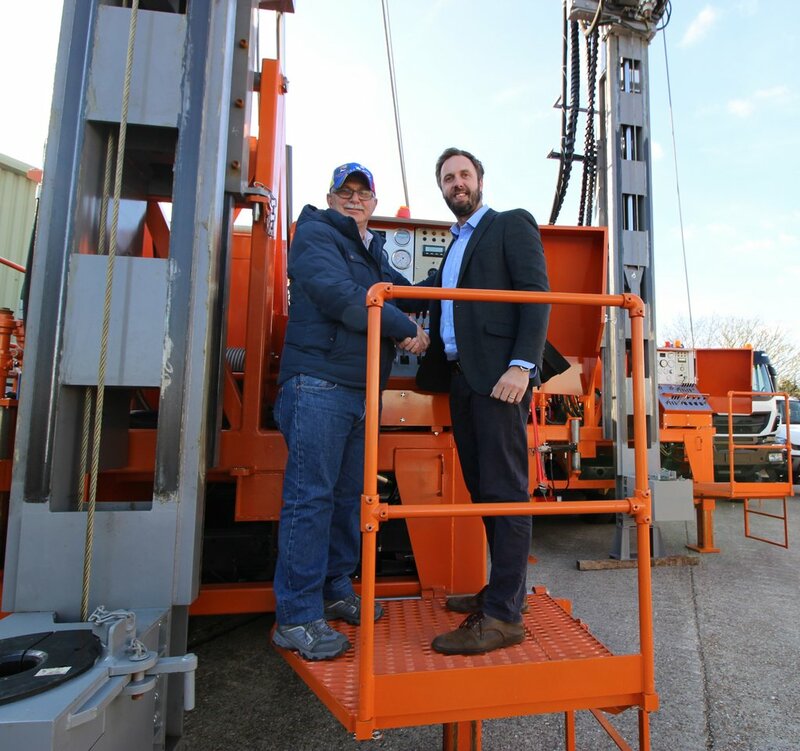 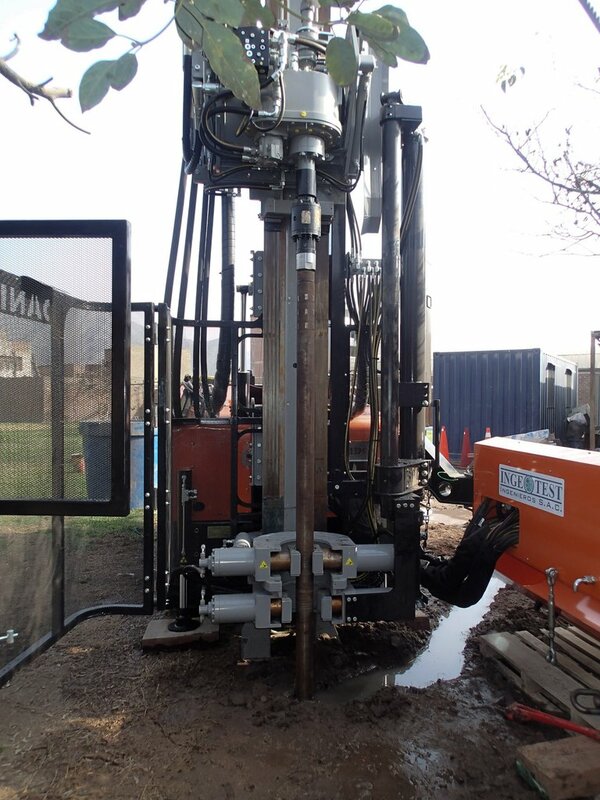 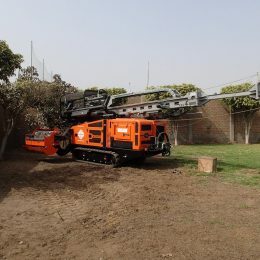 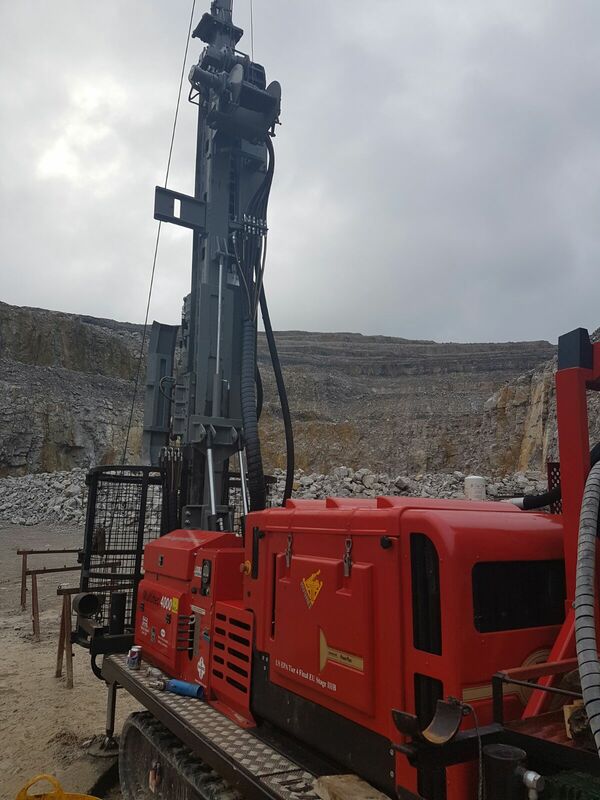 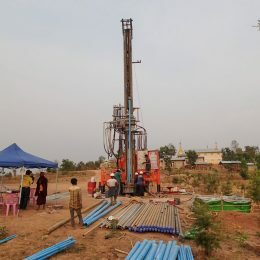 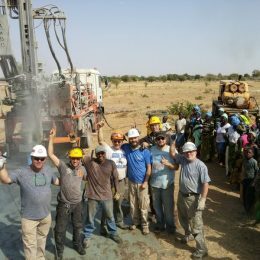 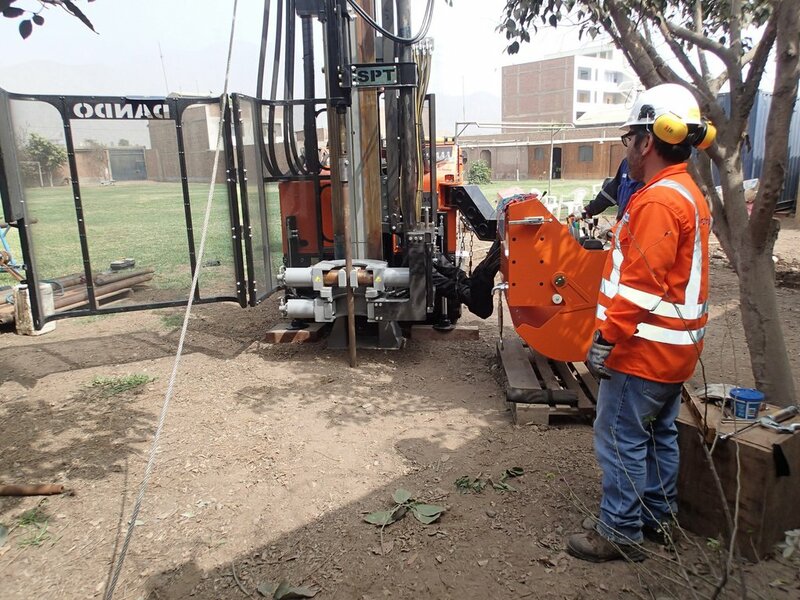 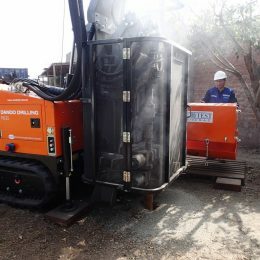 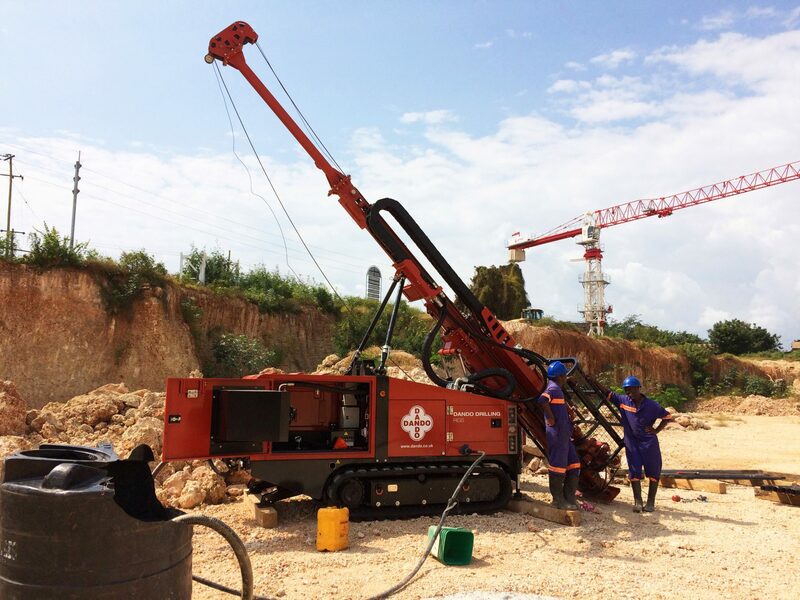 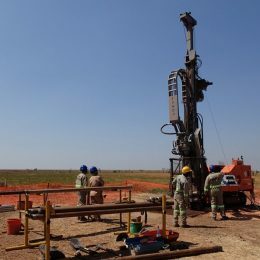 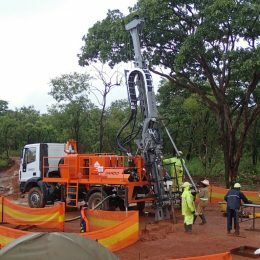 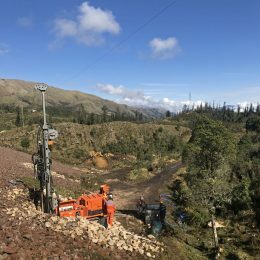 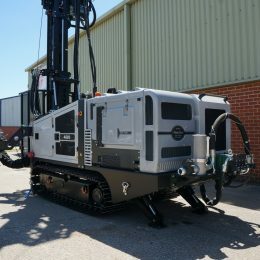 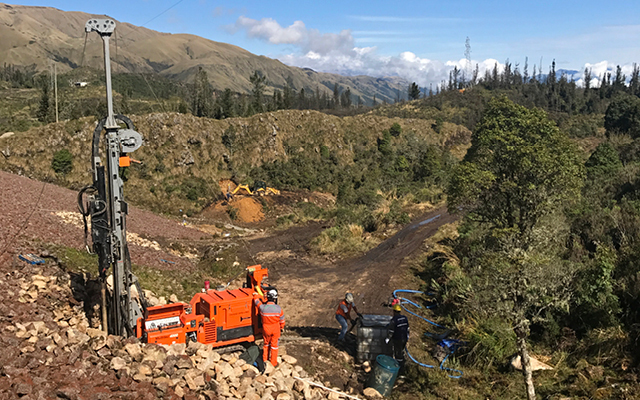 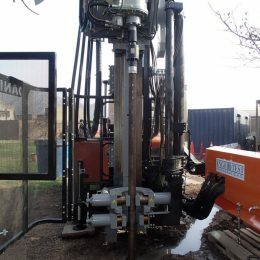 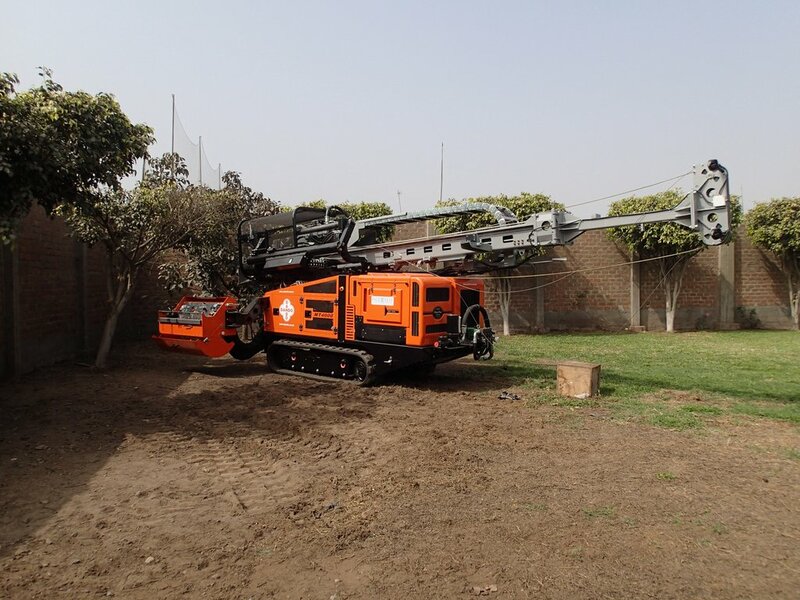 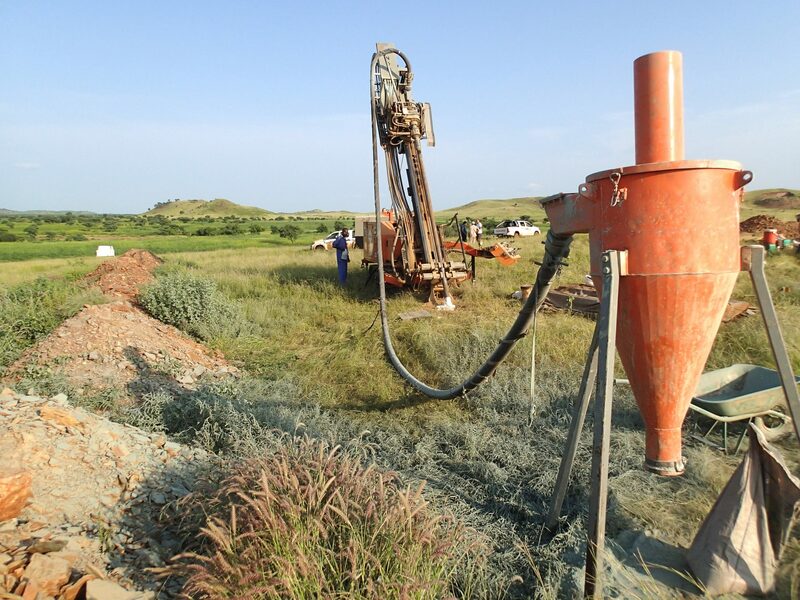 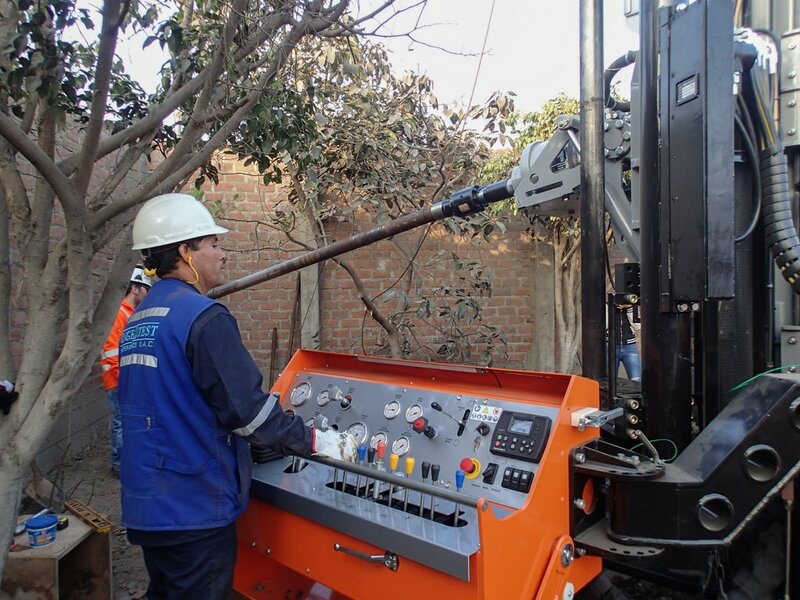 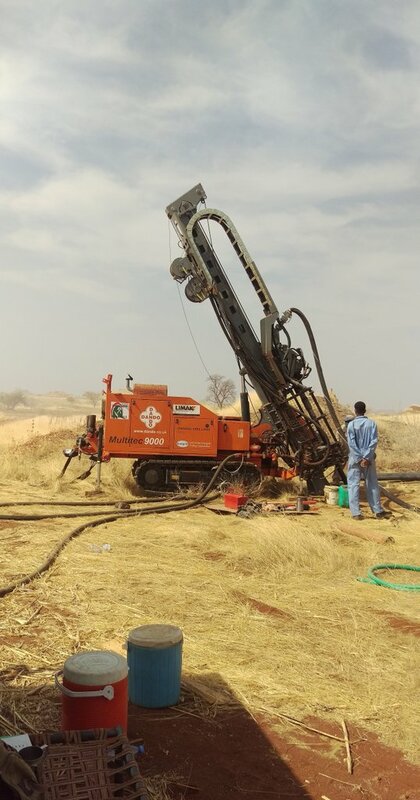 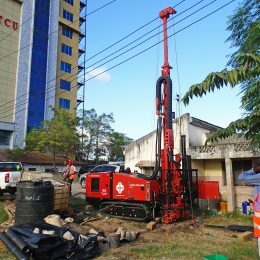 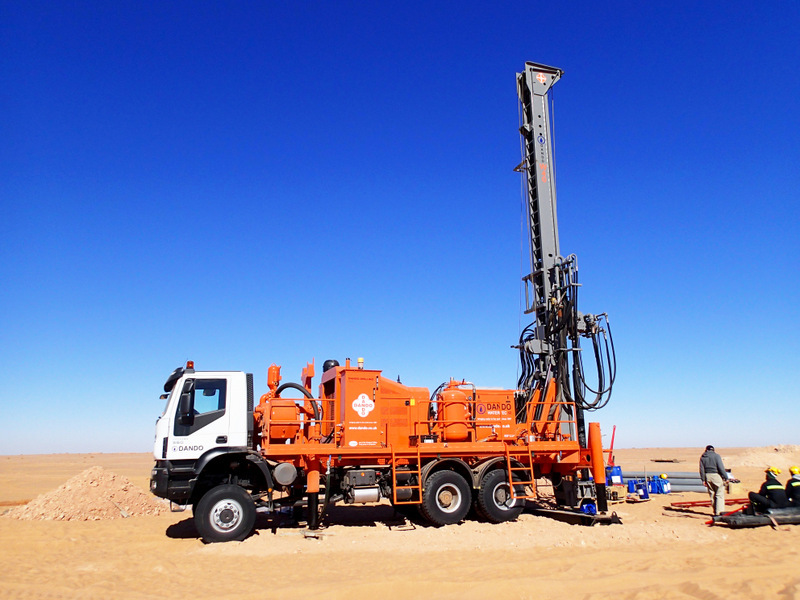 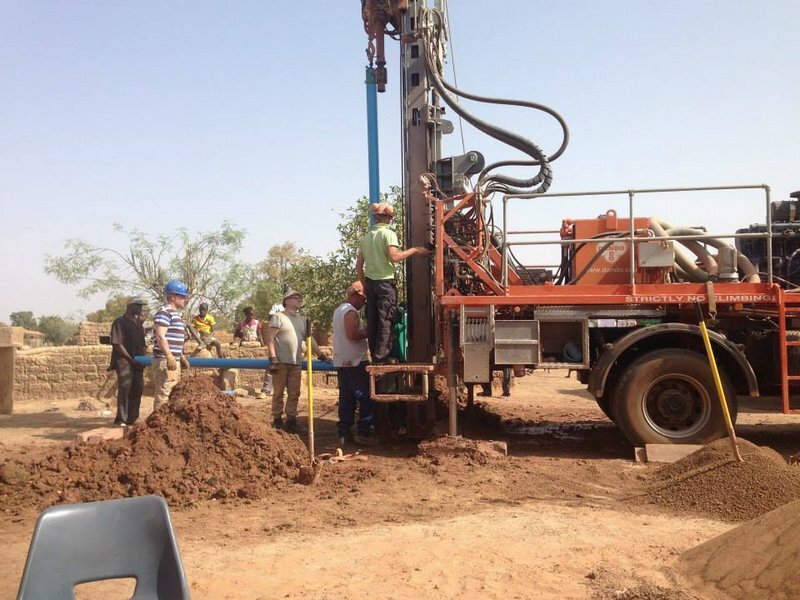 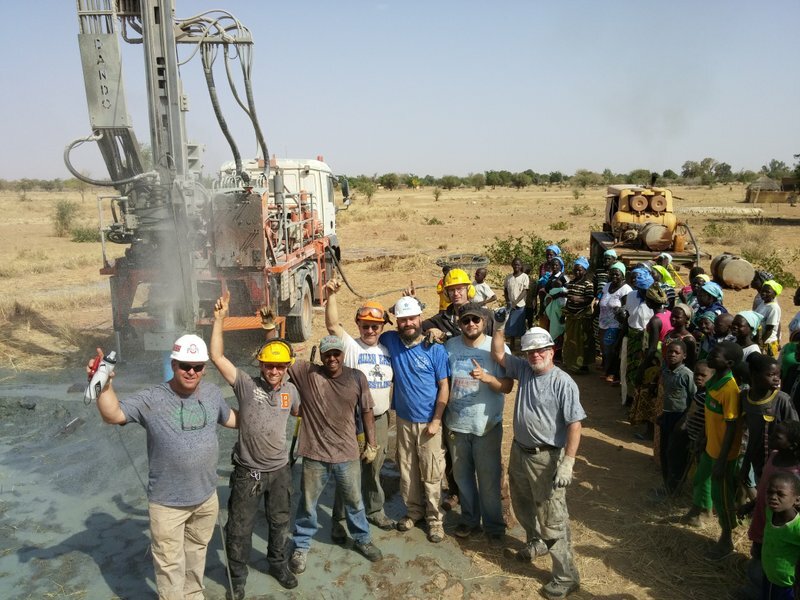 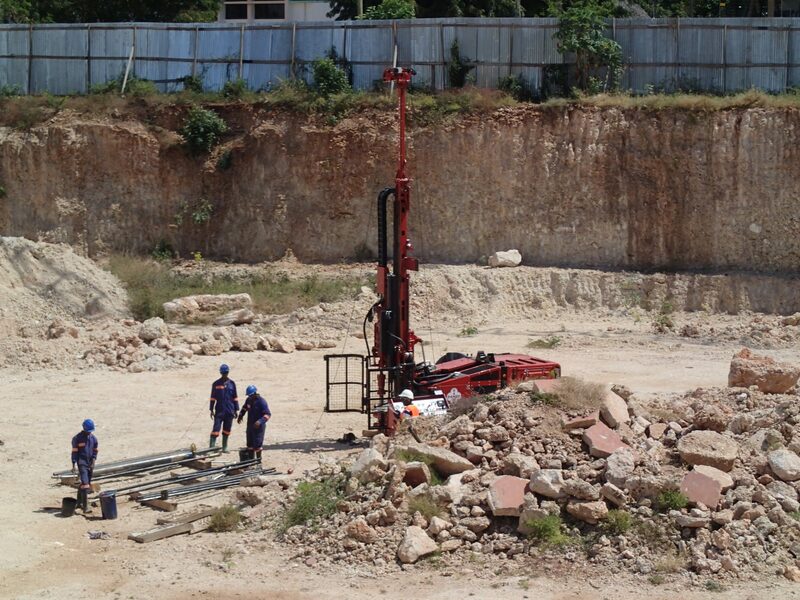 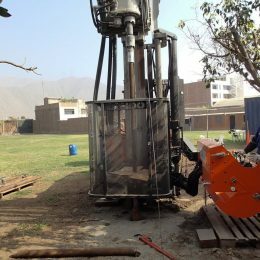 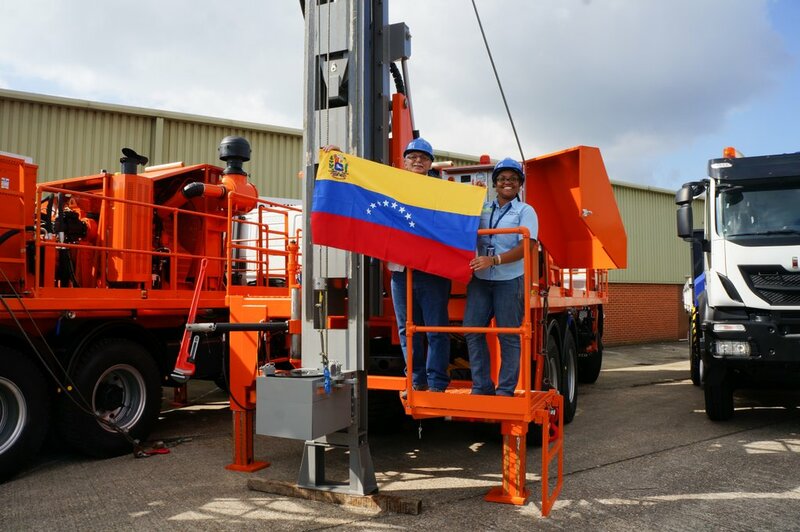 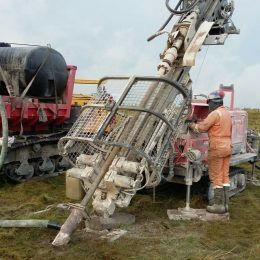 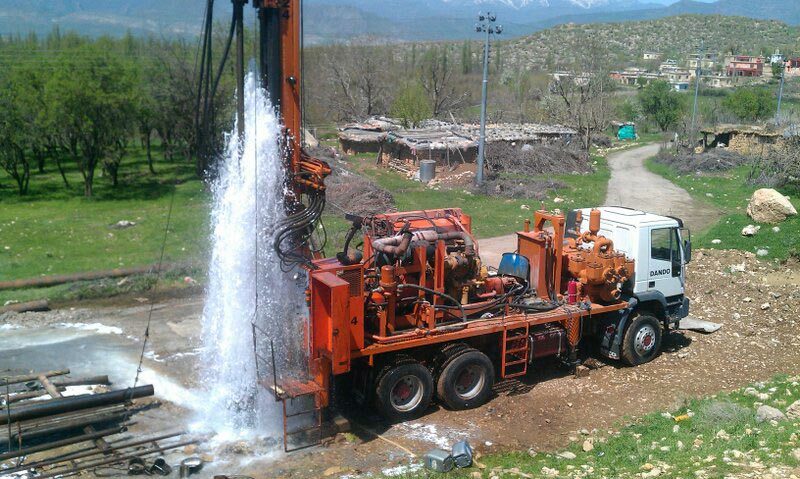 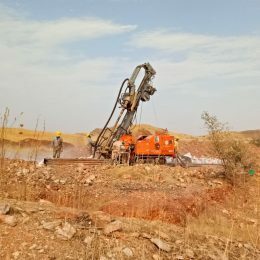 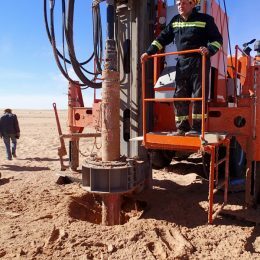 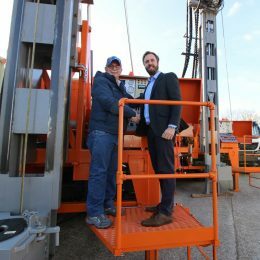 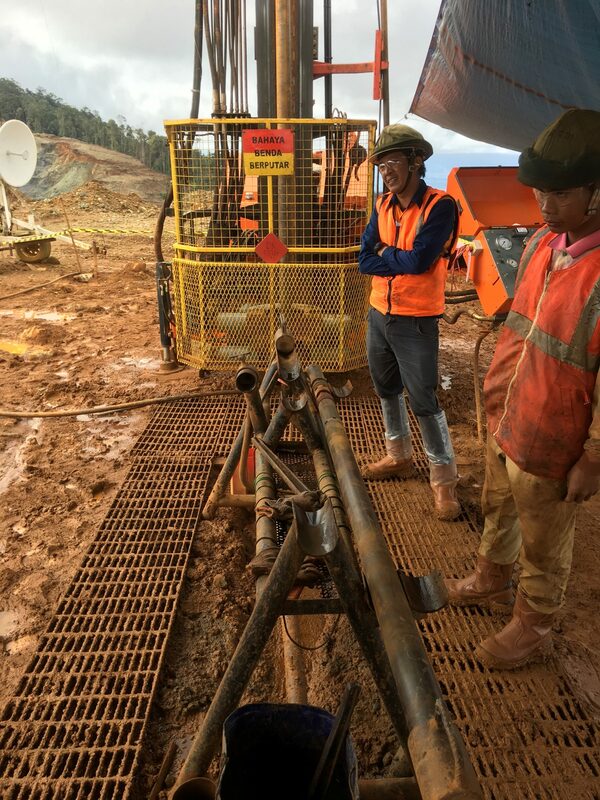 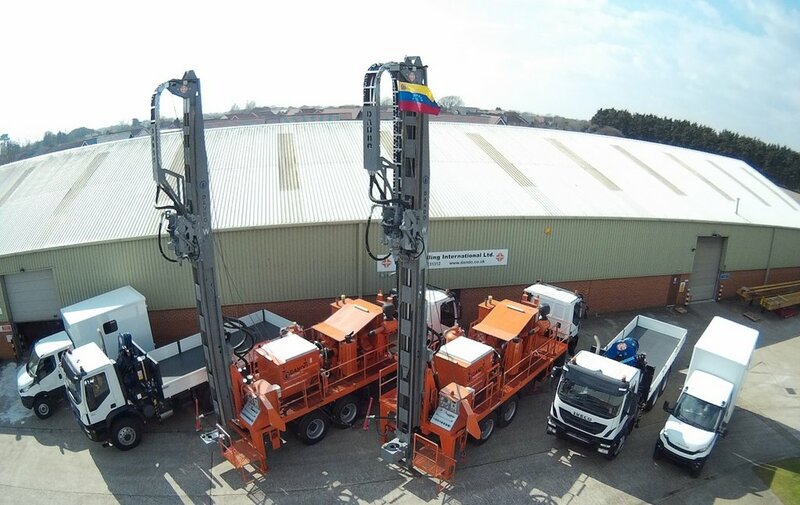 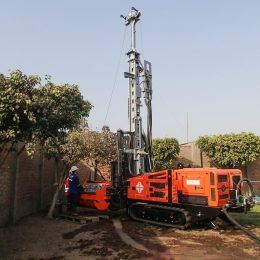 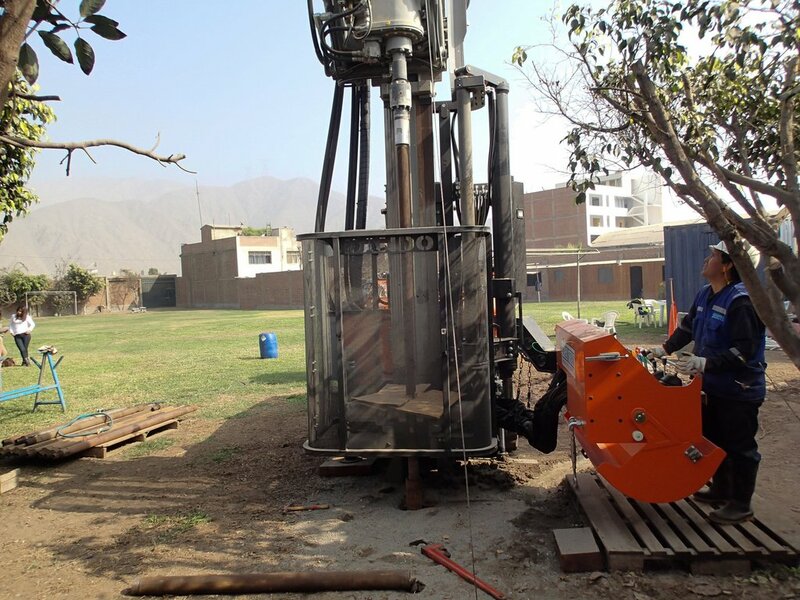 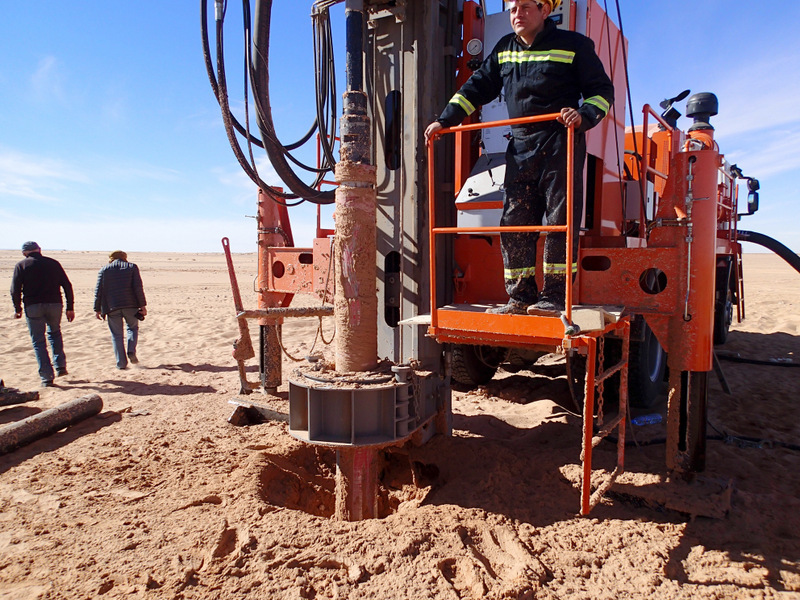 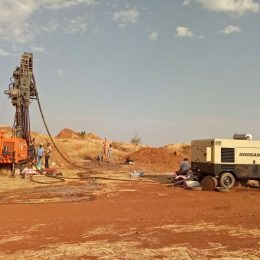 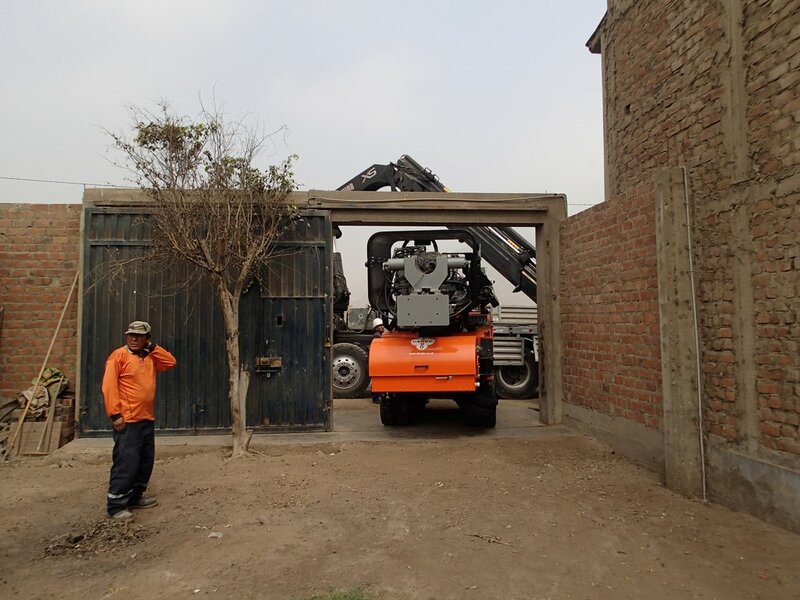 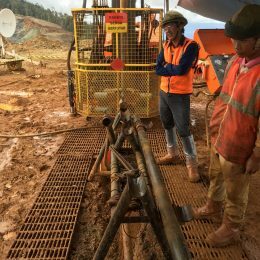 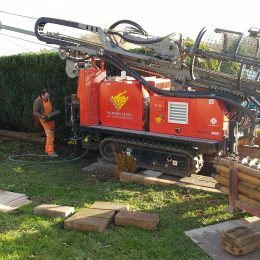 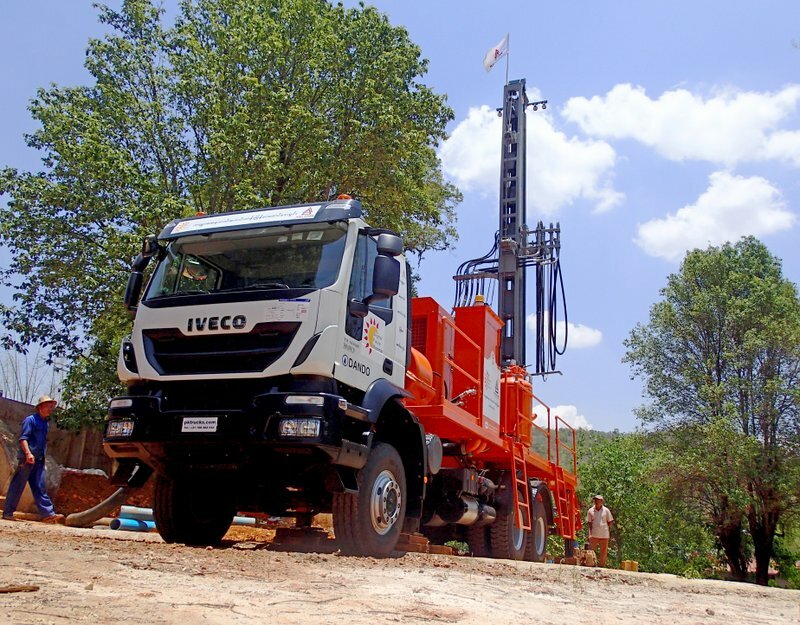 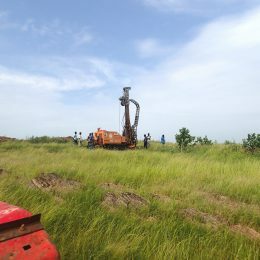 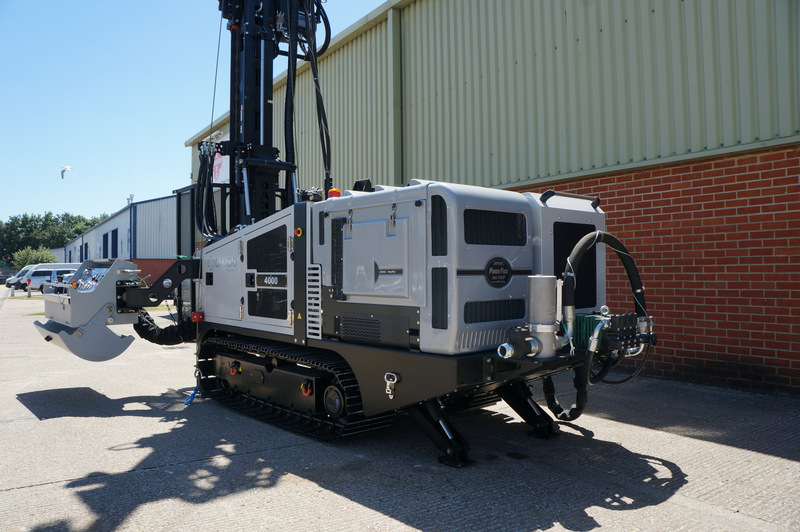 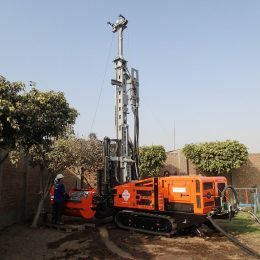 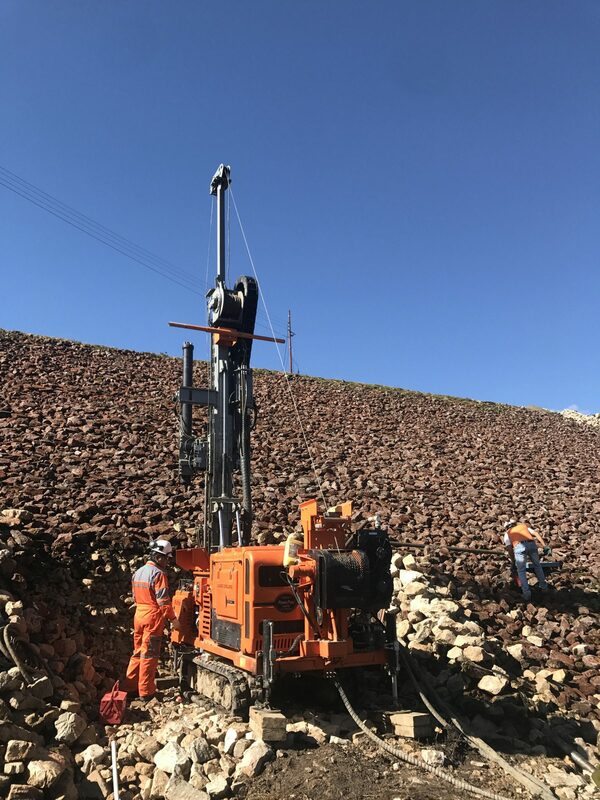 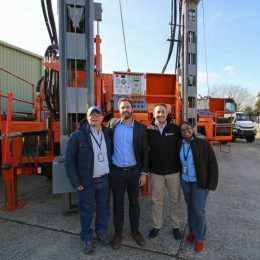 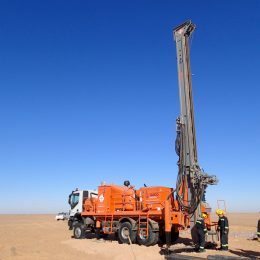 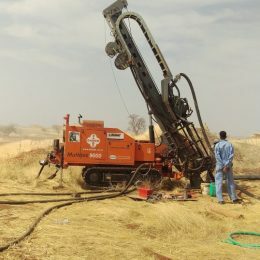 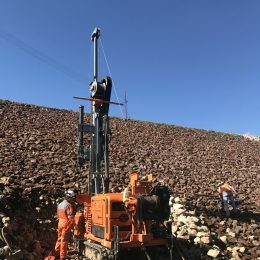 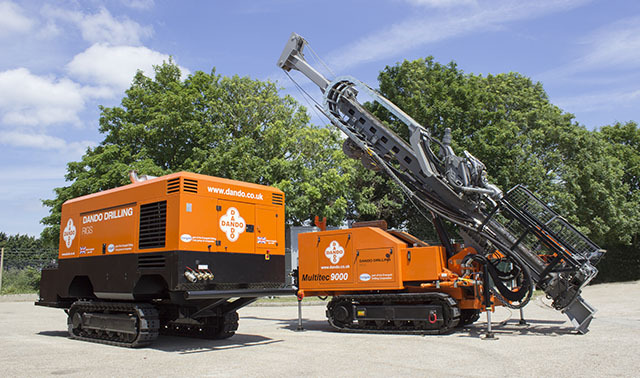 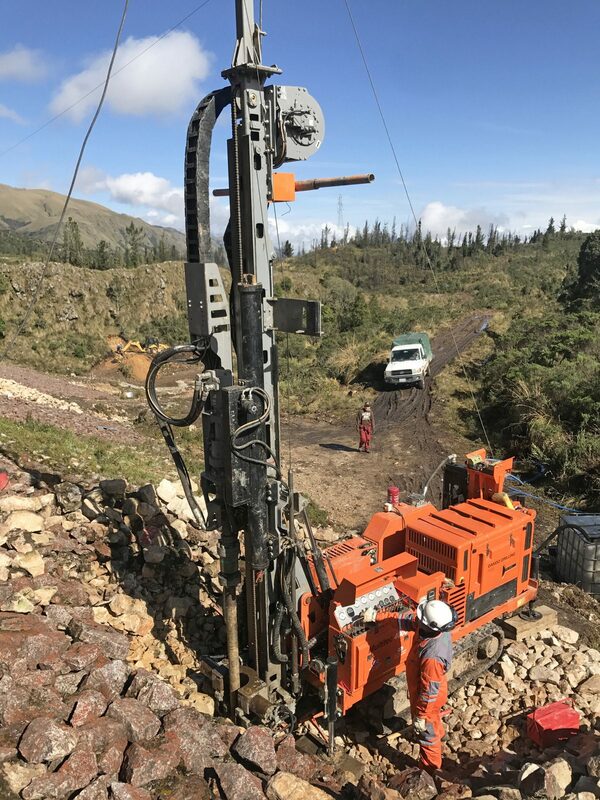 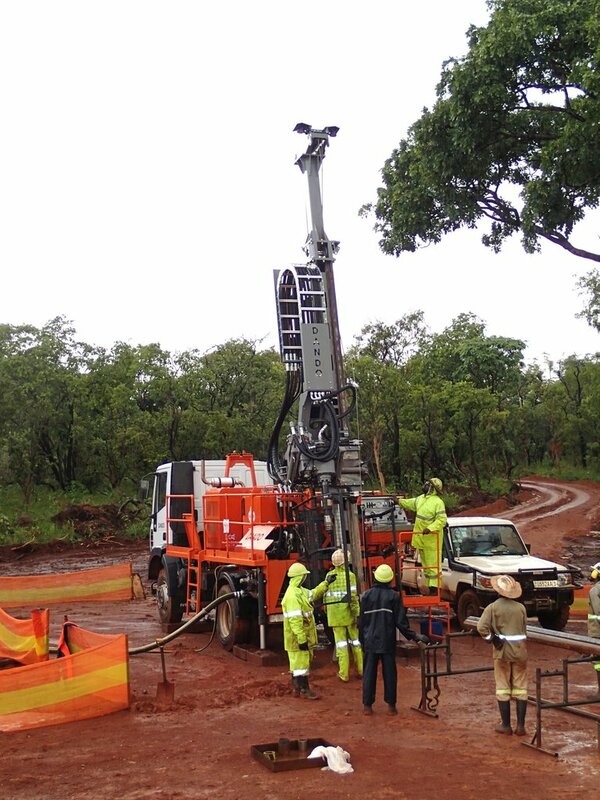 Purchased by a large electricity provider in Bolivia, the Dando Jackal 4000 (Formerly the Multitec 4000) is being used for geotechnical work in Cochabamba, including H wireline coring up to 200m as well as SPTs, shelby tube sampling and lugeon tests. 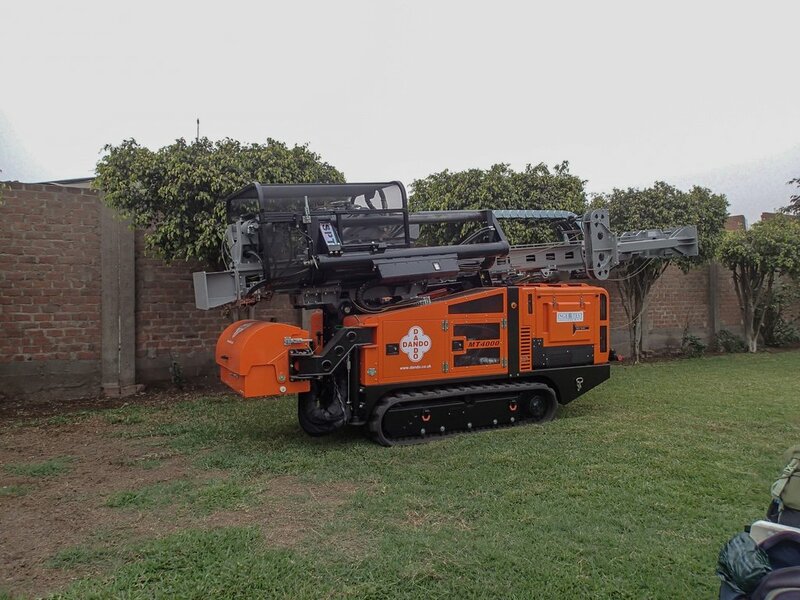 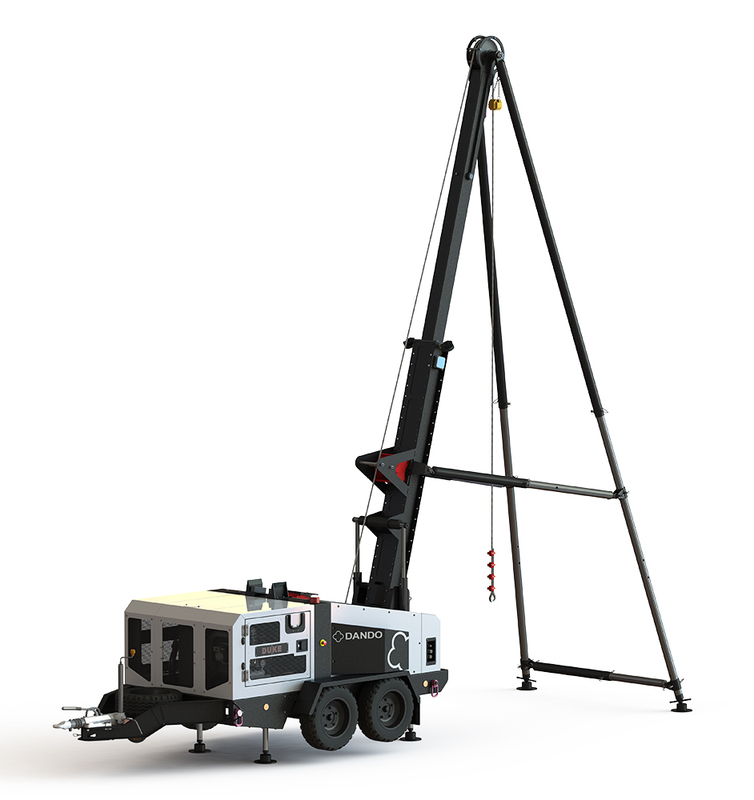 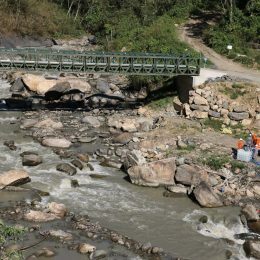 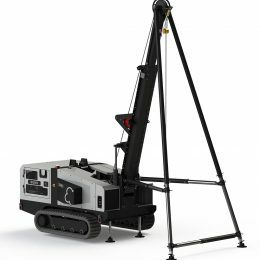 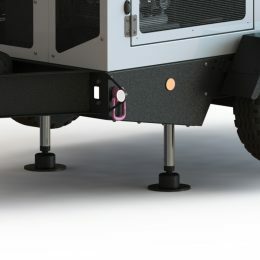 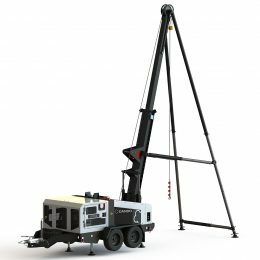 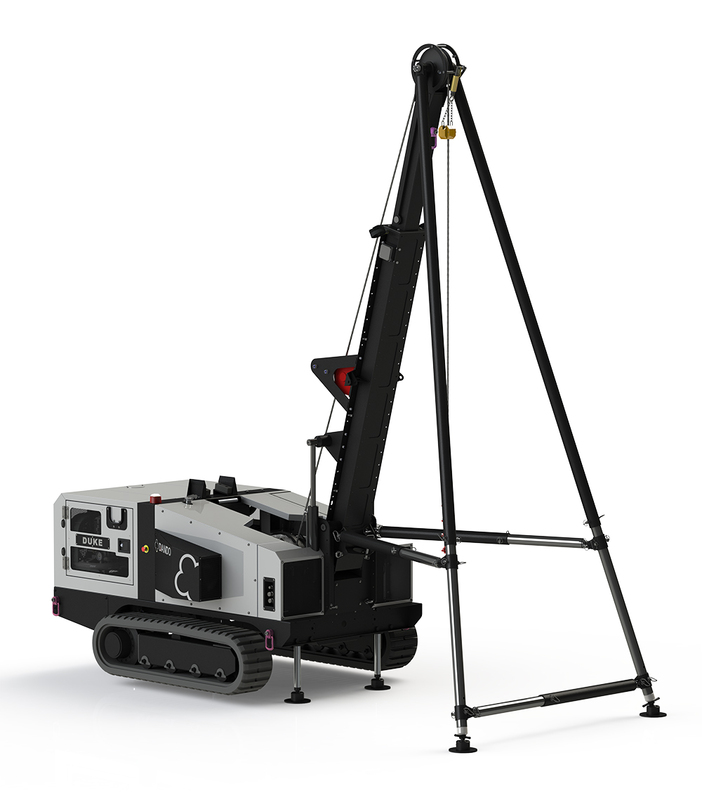 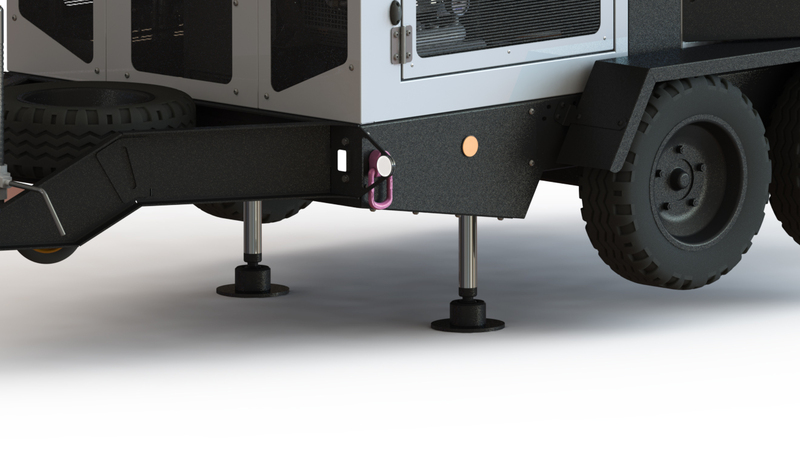 Compact, lightweight and mounted on tracks the rig is ideal for operating in areas of difficult access, for example crossing rough terrain to access river banks. 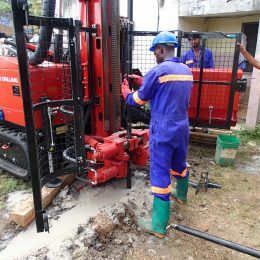 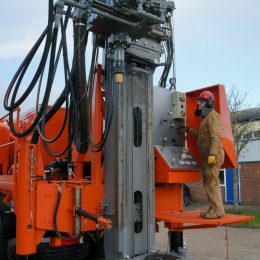 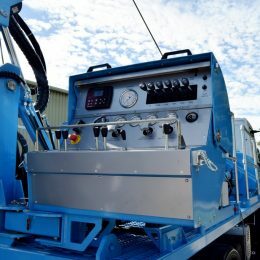 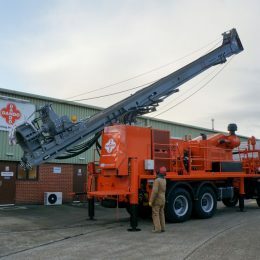 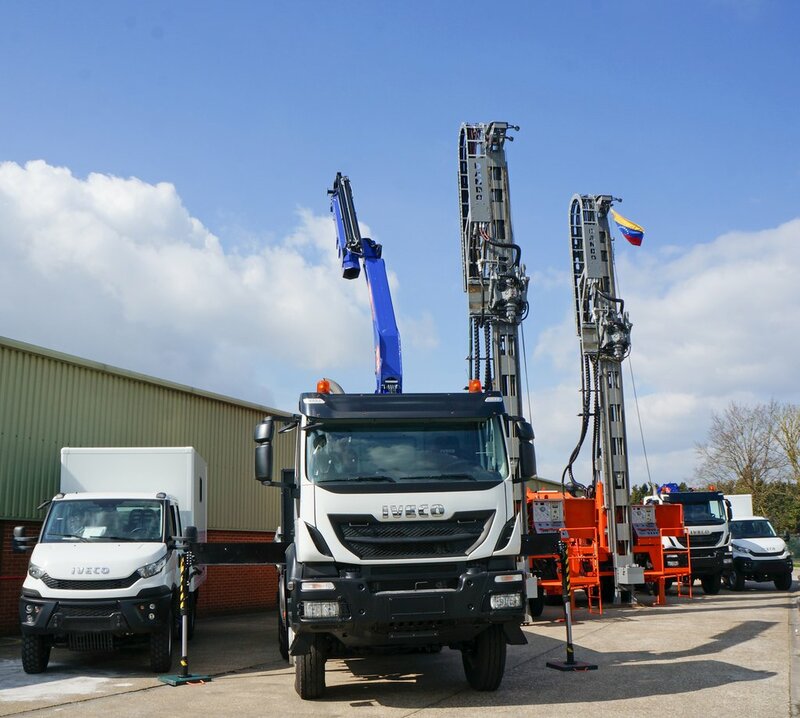 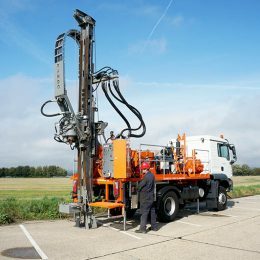 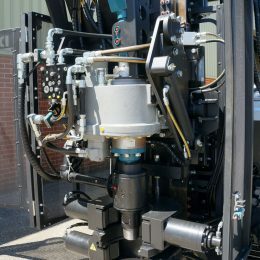 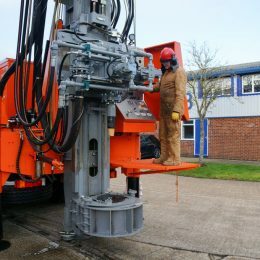 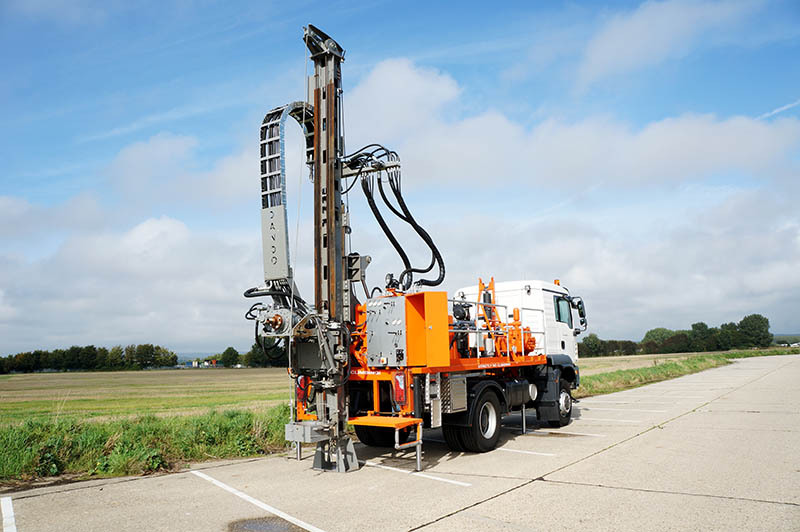 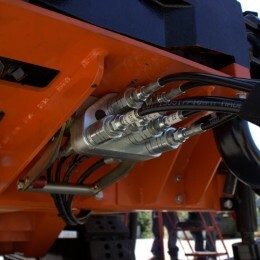 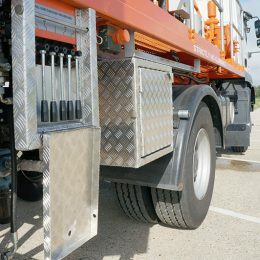 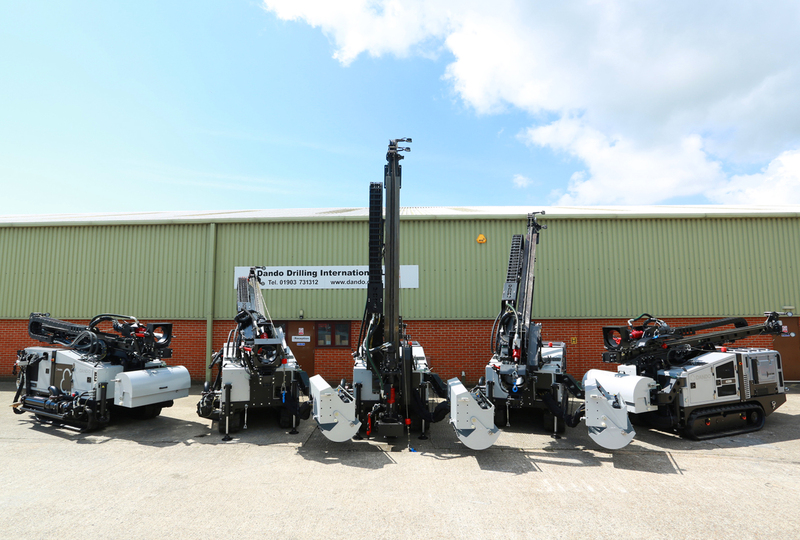 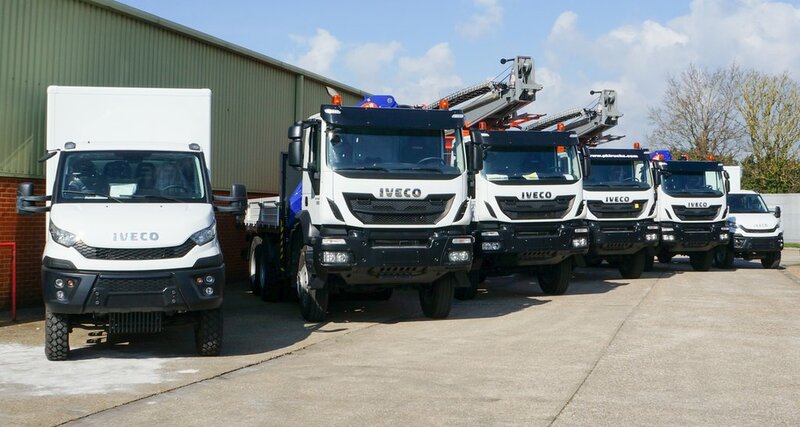 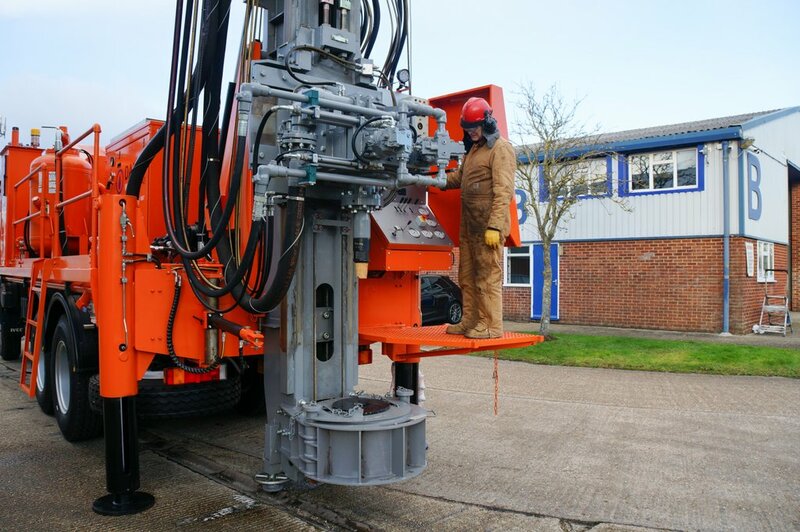 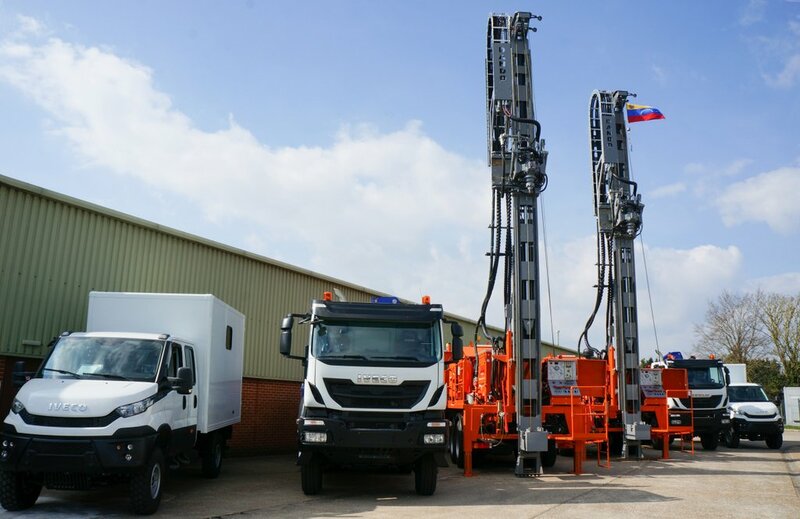 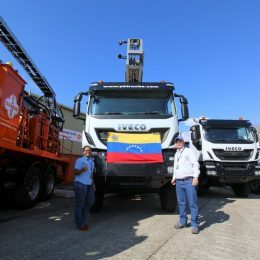 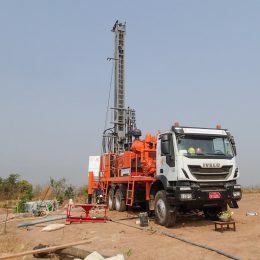 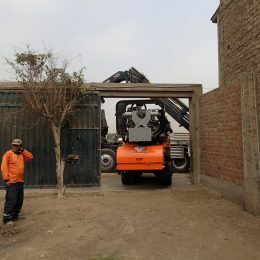 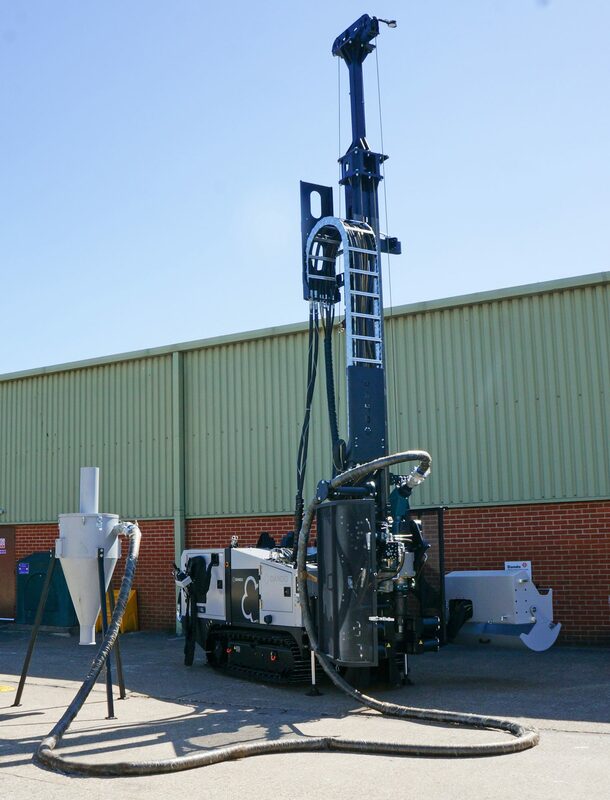 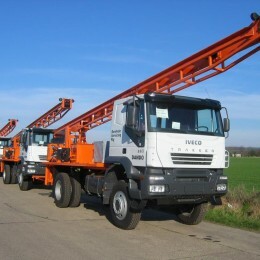 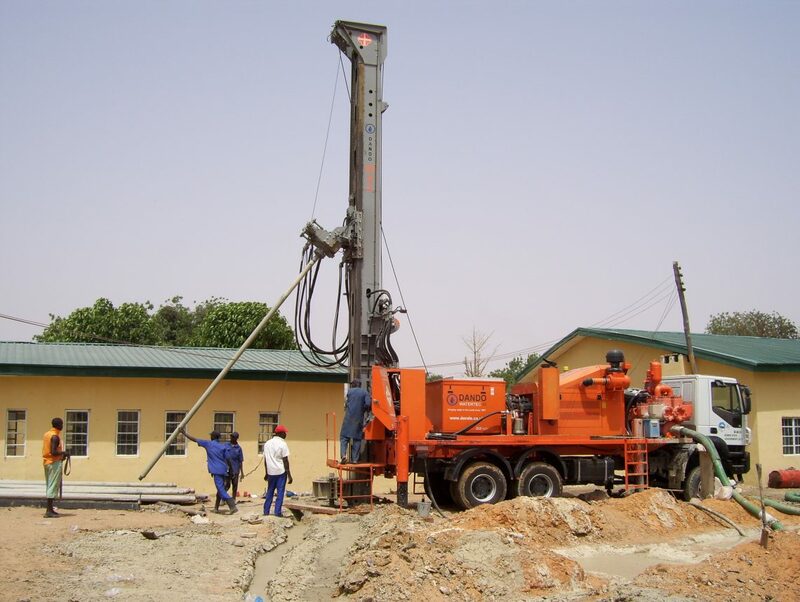 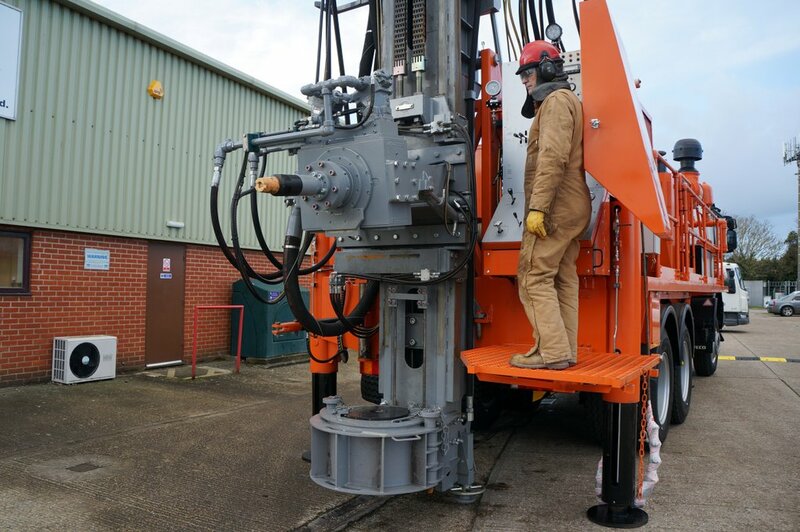 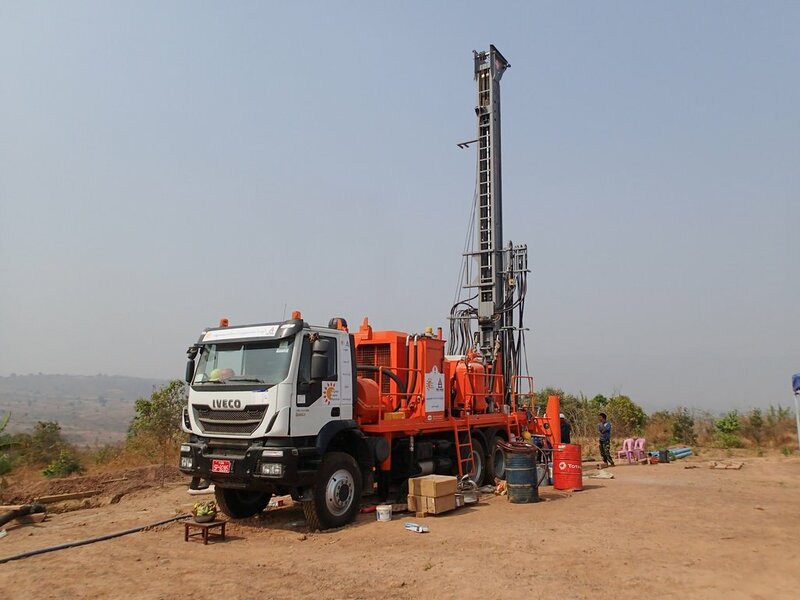 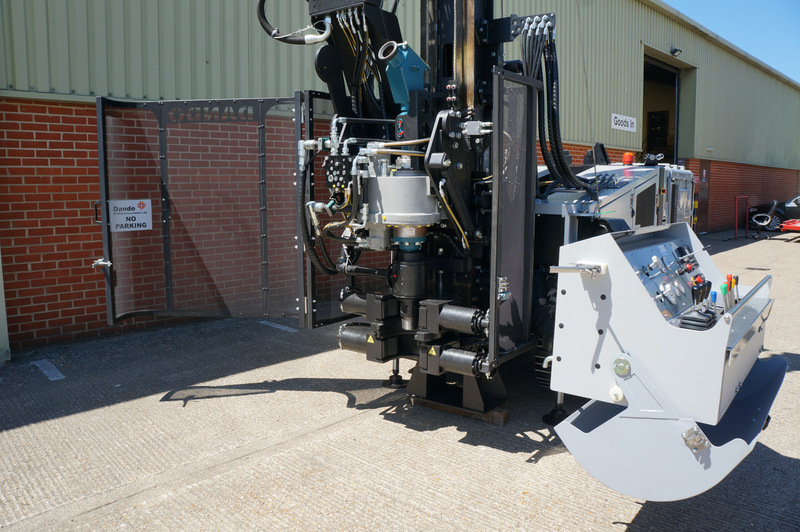 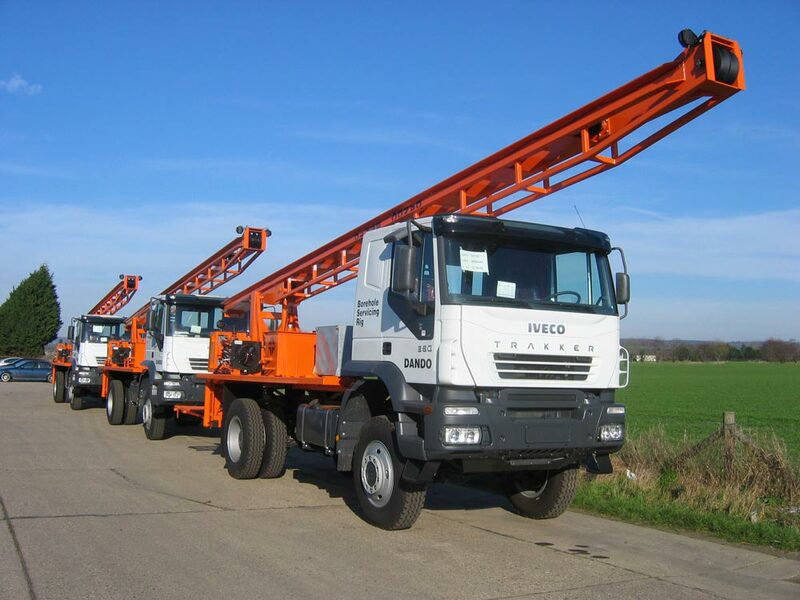 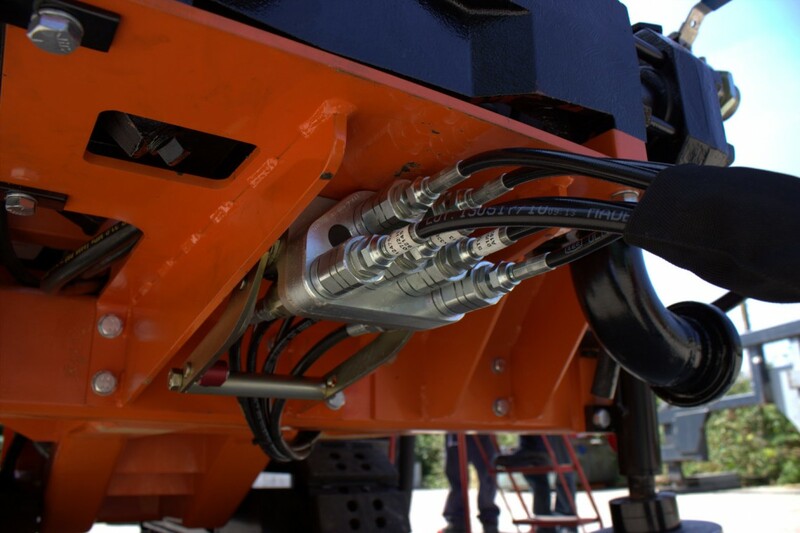 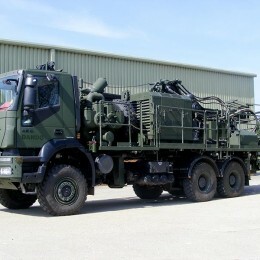 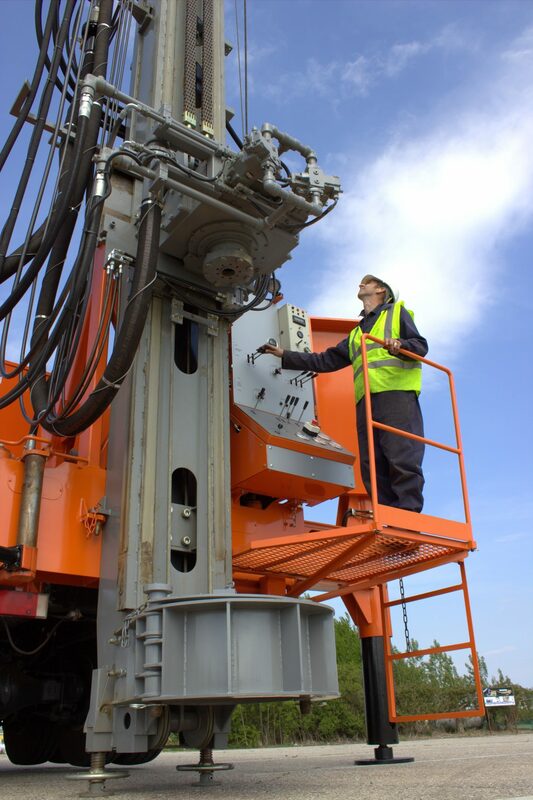 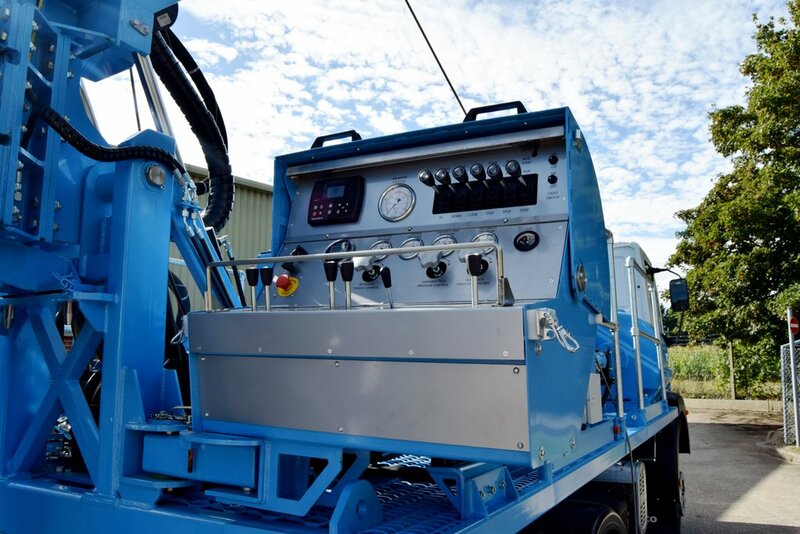 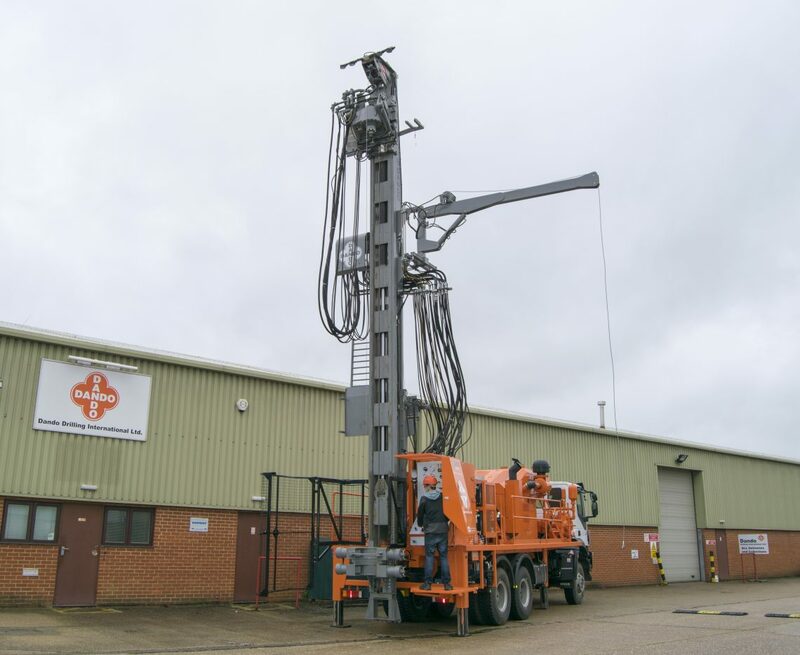 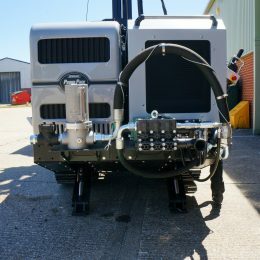 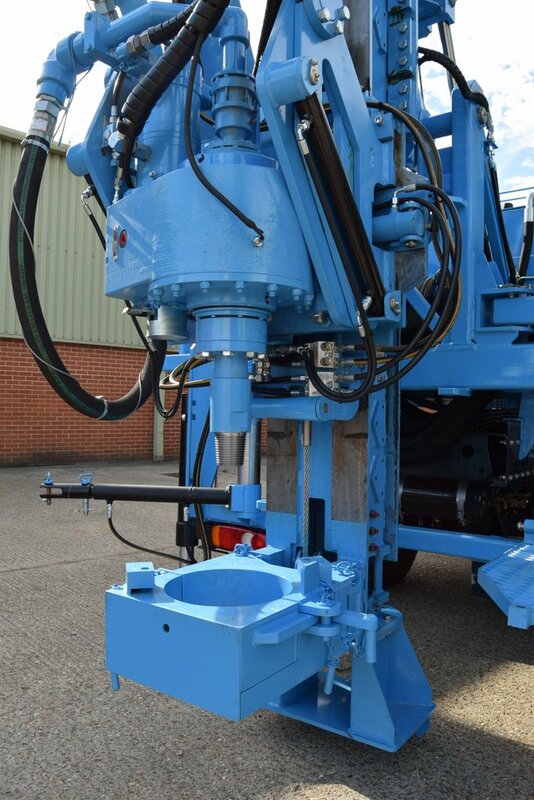 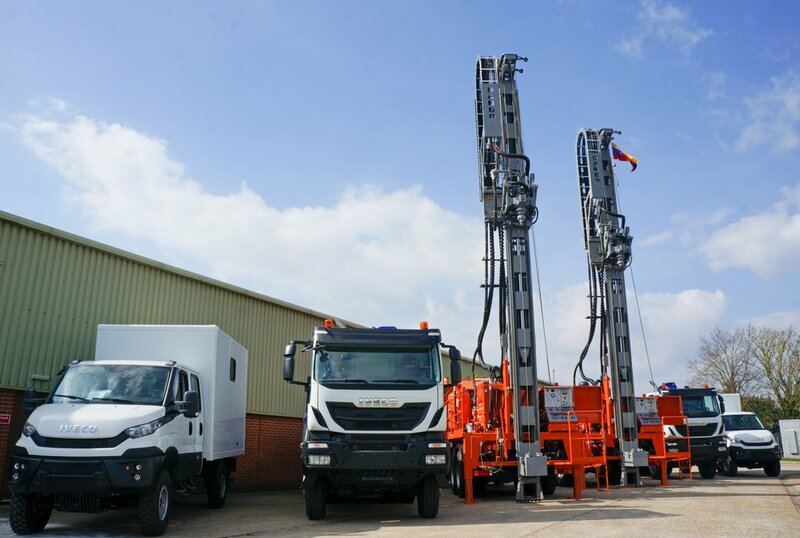 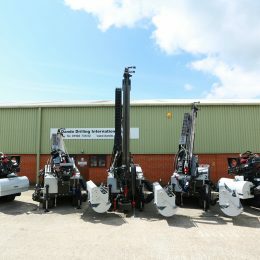 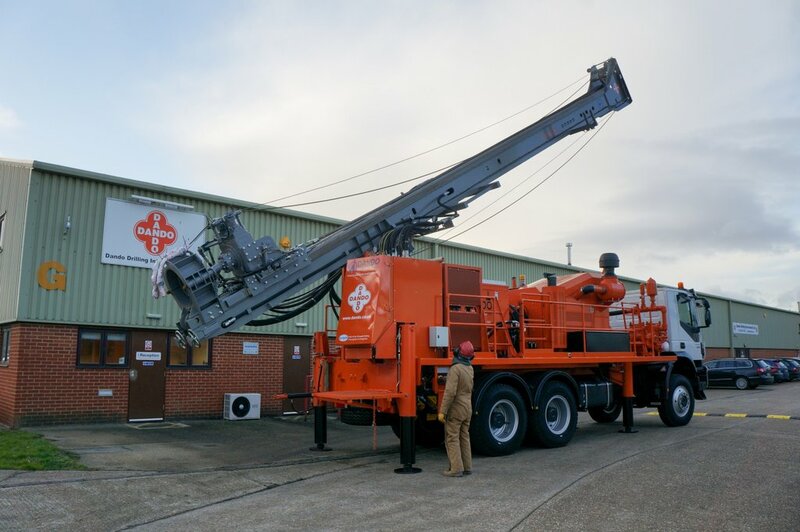 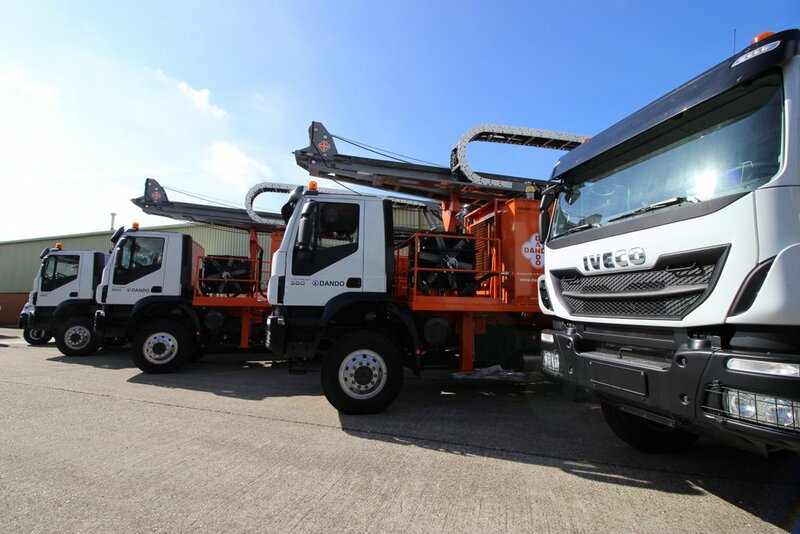 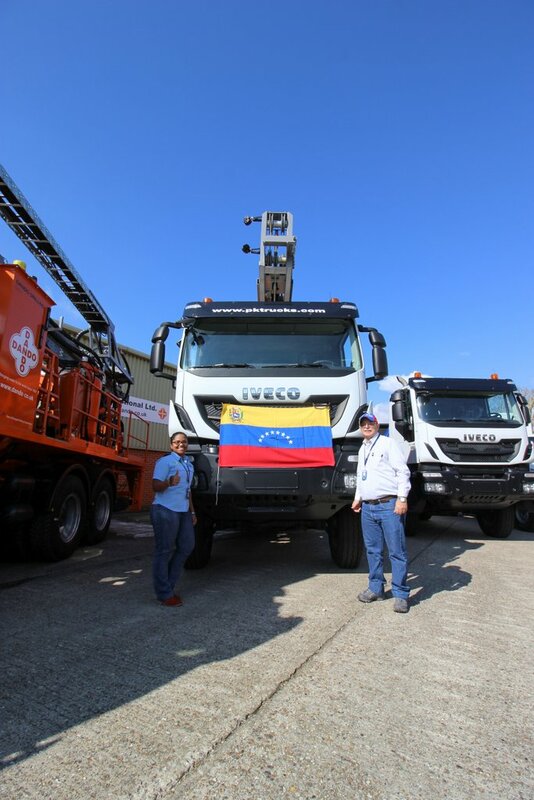 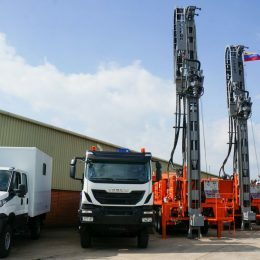 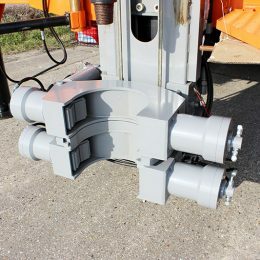 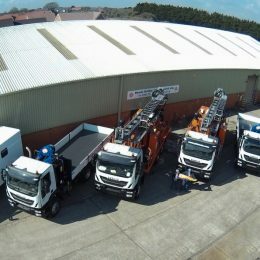 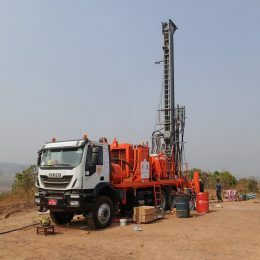 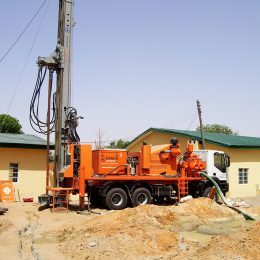 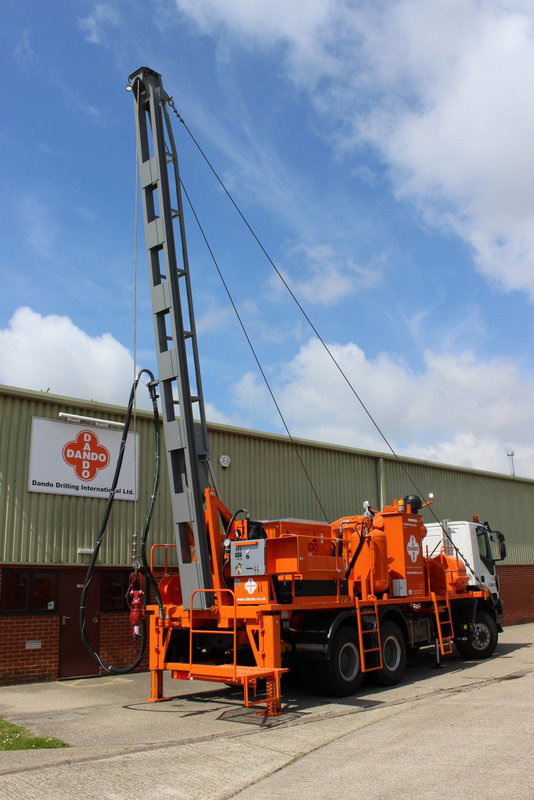 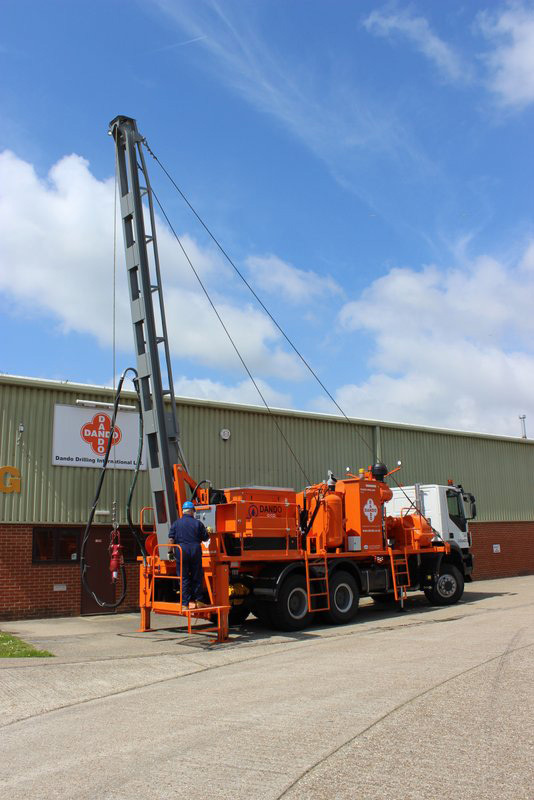 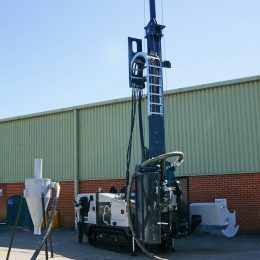 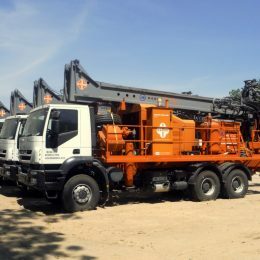 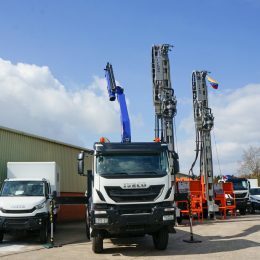 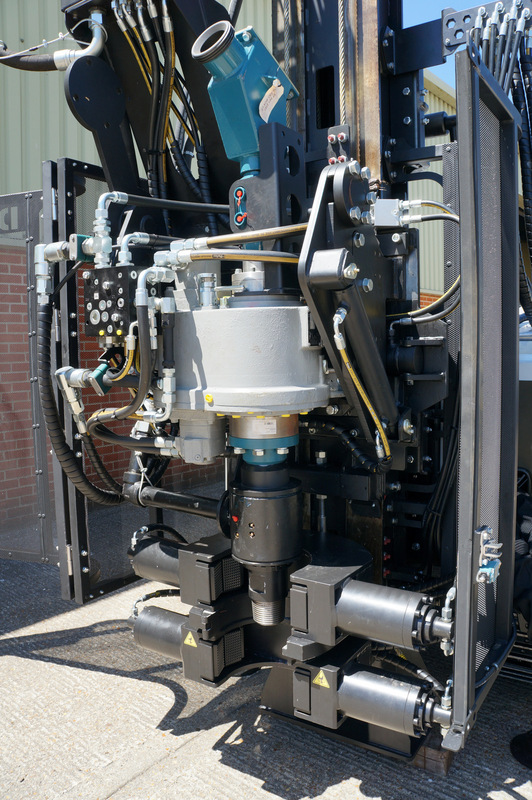 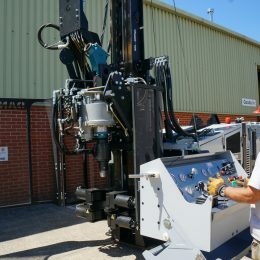 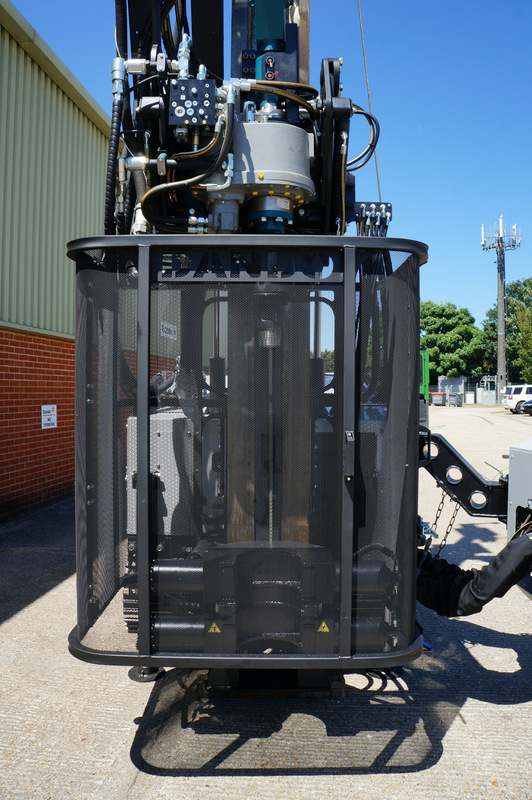 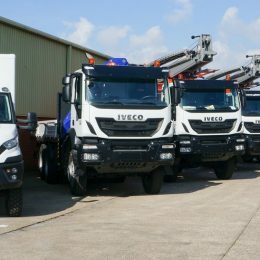 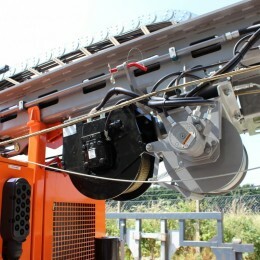 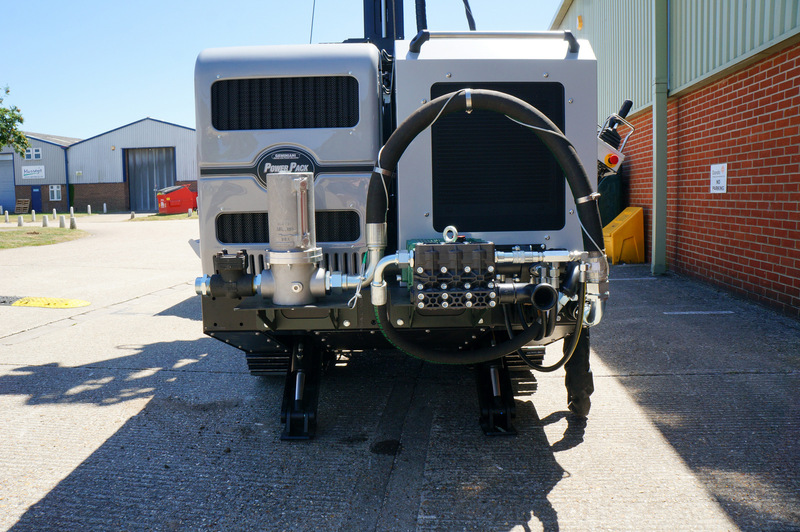 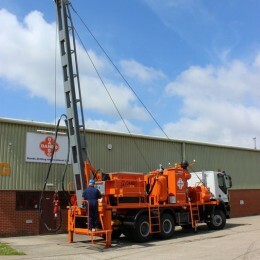 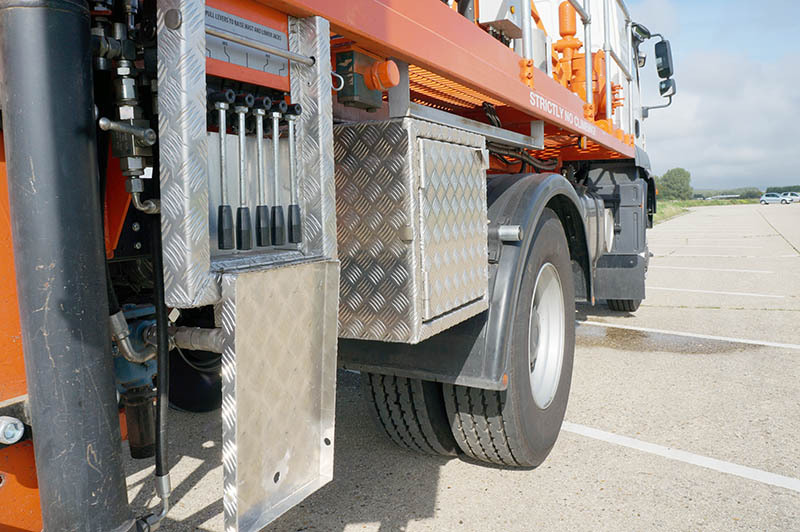 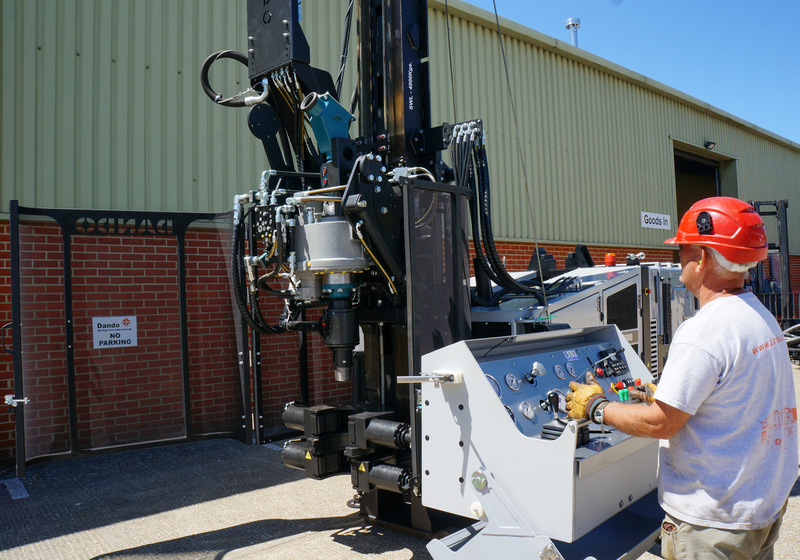 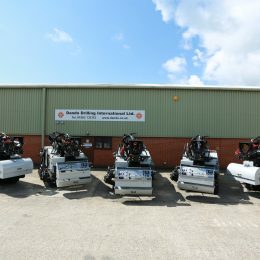 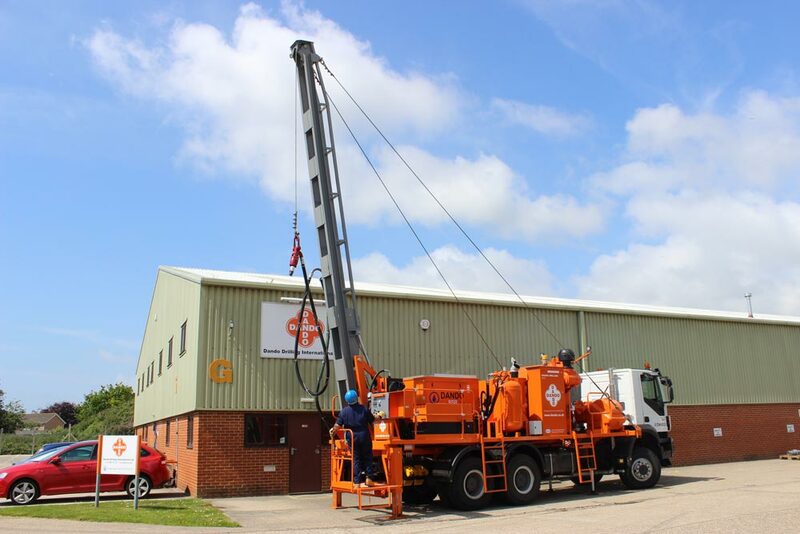 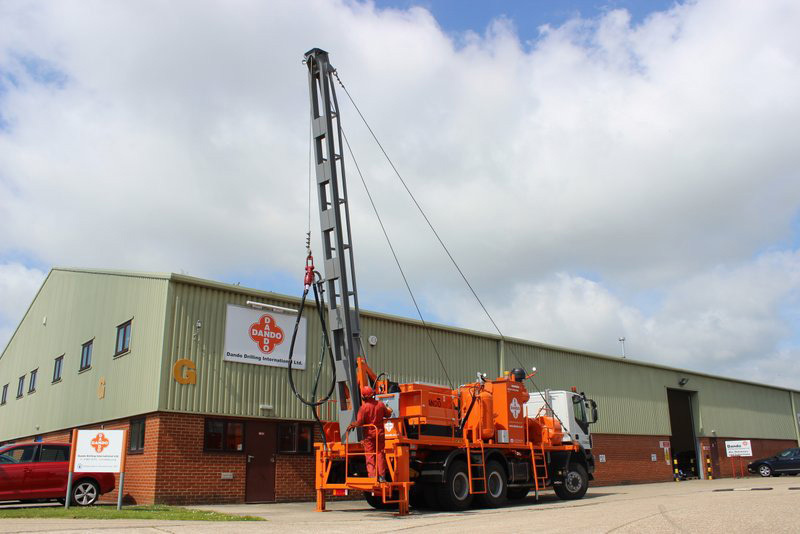 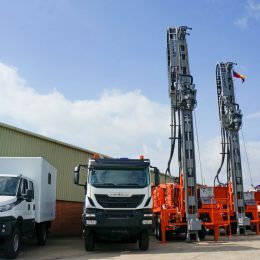 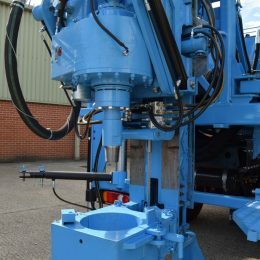 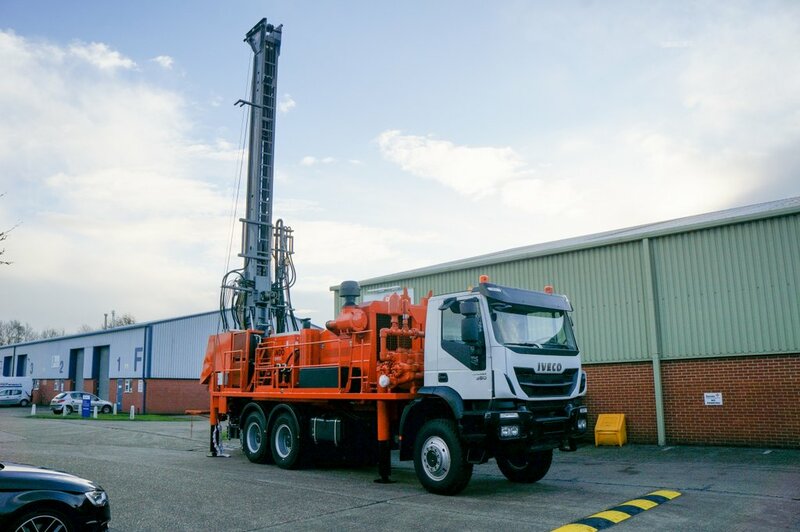 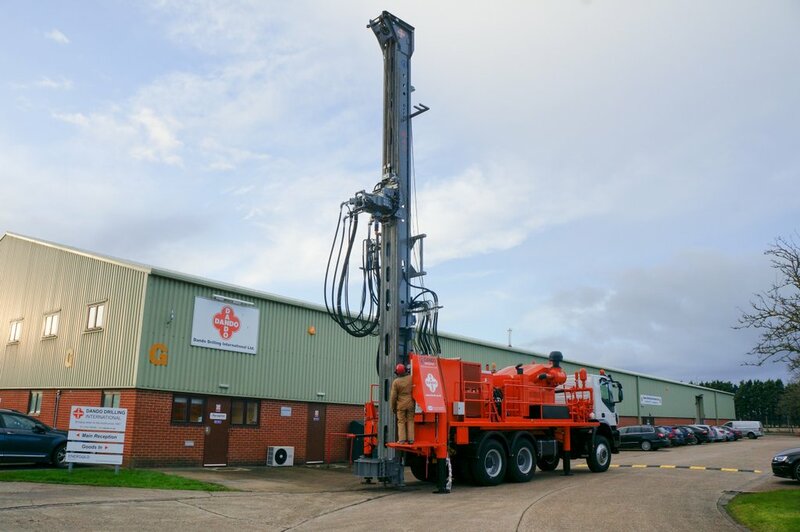 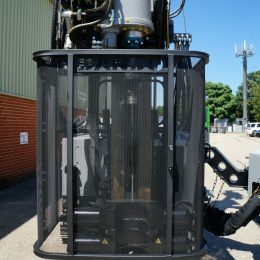 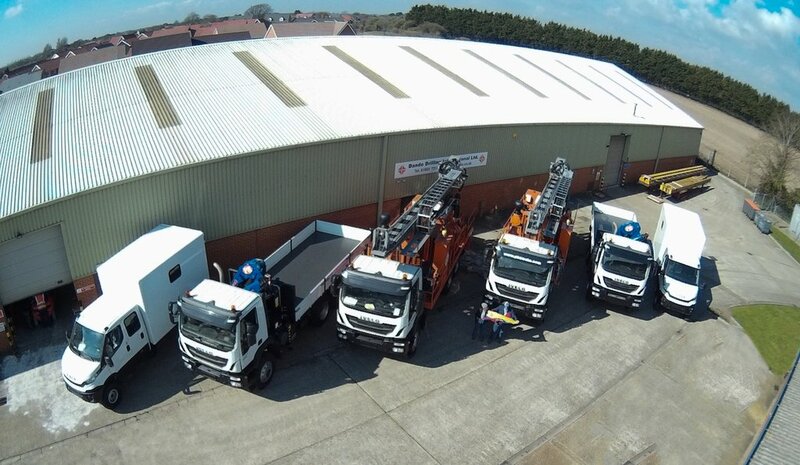 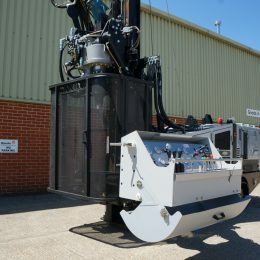 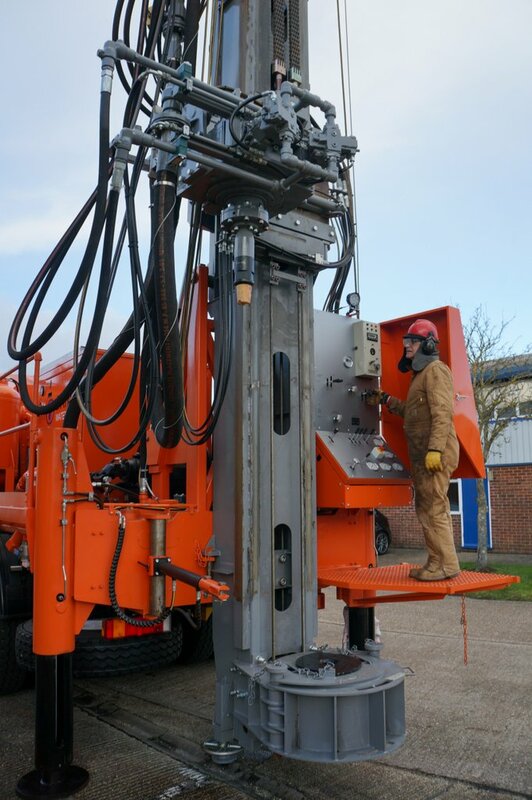 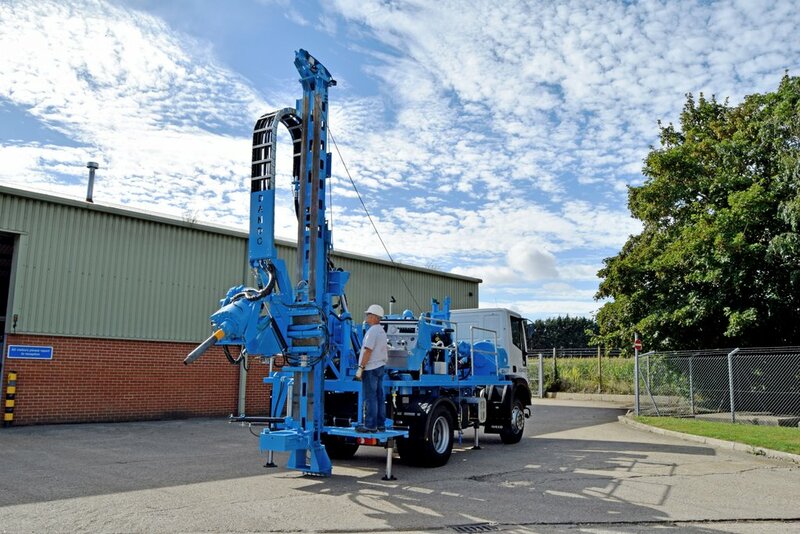 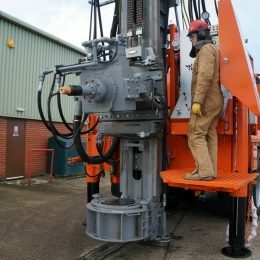 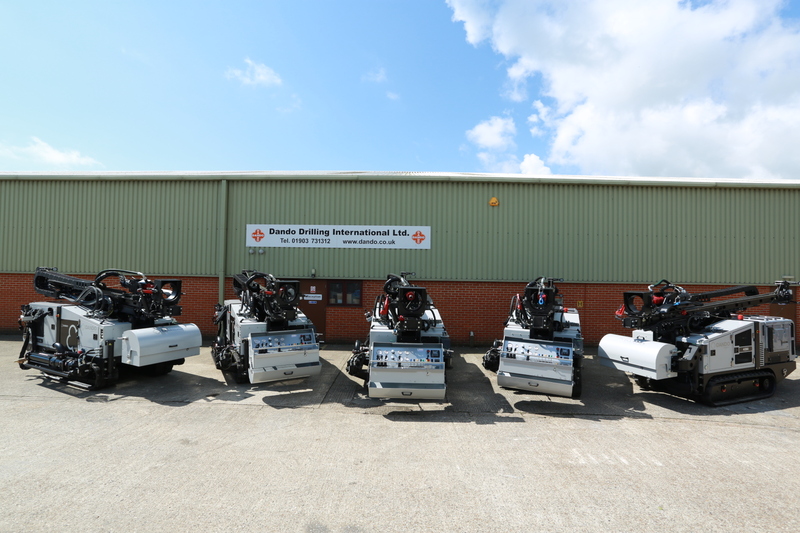 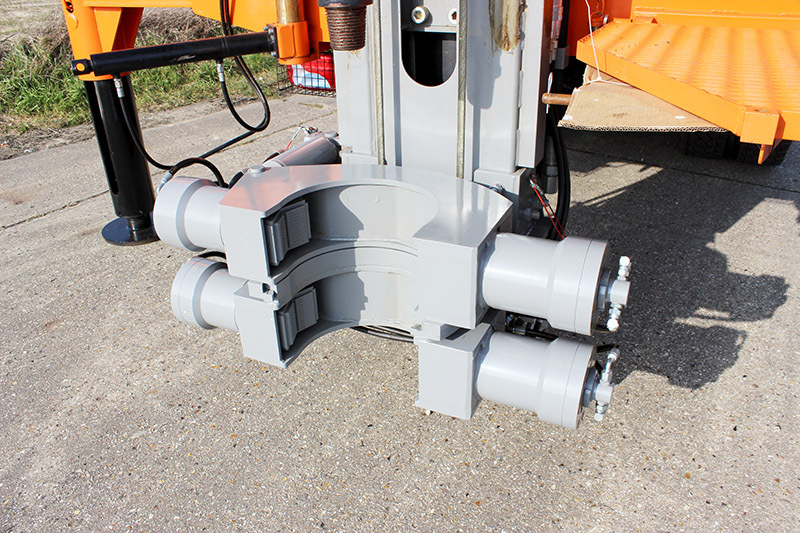 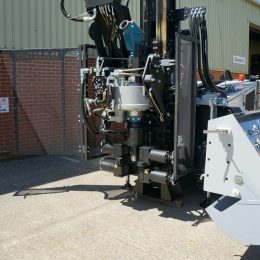 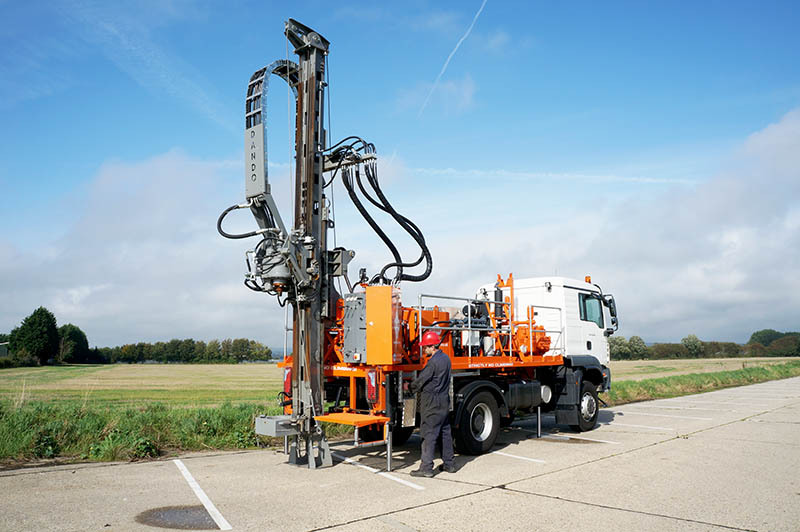 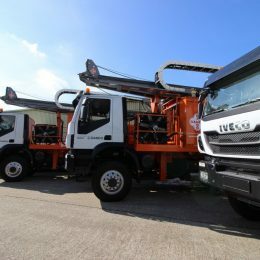 Custom built to the customer’s requirements, the two truck mounted rigs are fitted with a large peristaltic Bredel pump capable of pumping very high viscous materials, hydraulic side shift for the rotary head and a hydraulic SPT hammer. 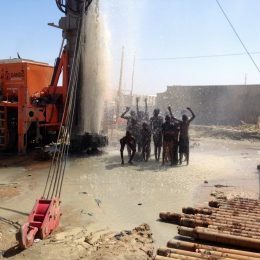 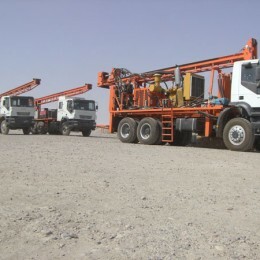 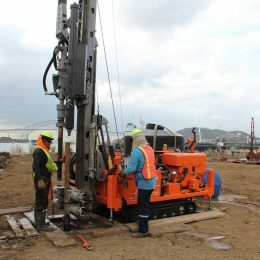 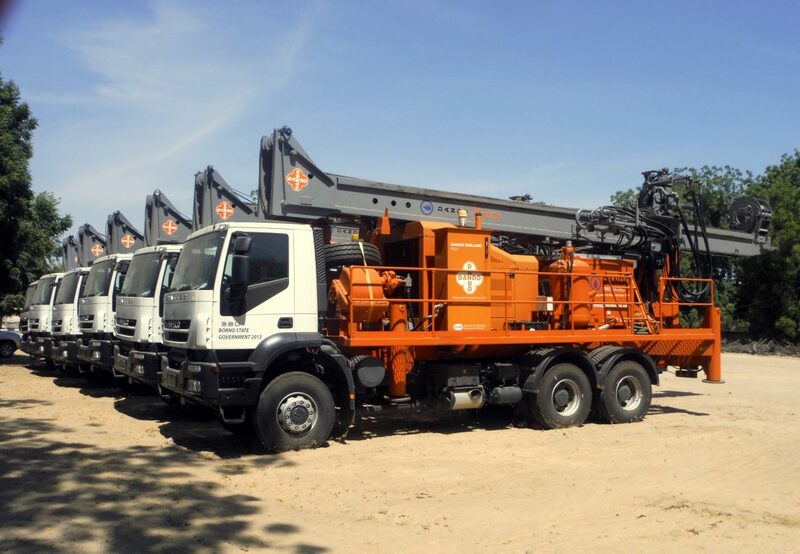 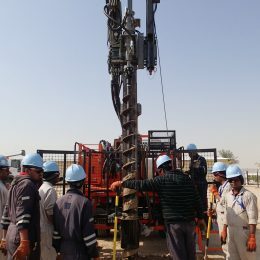 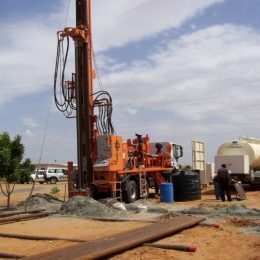 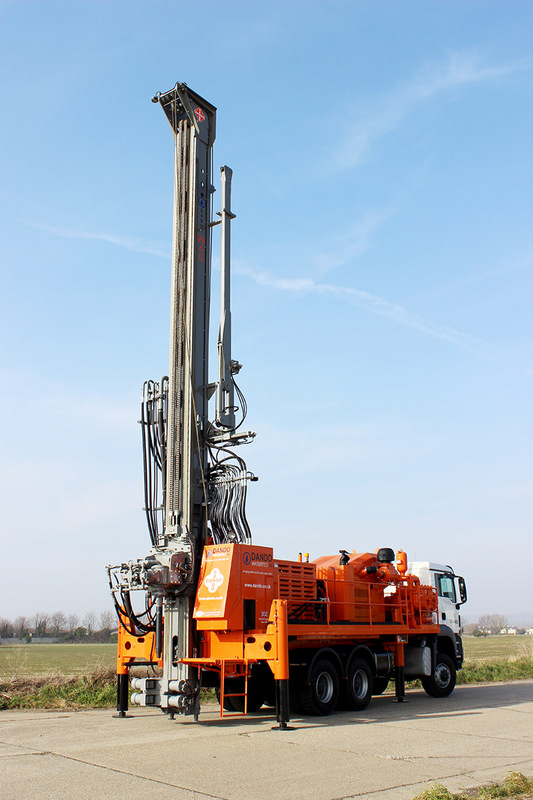 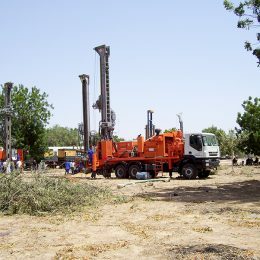 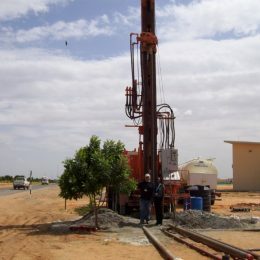 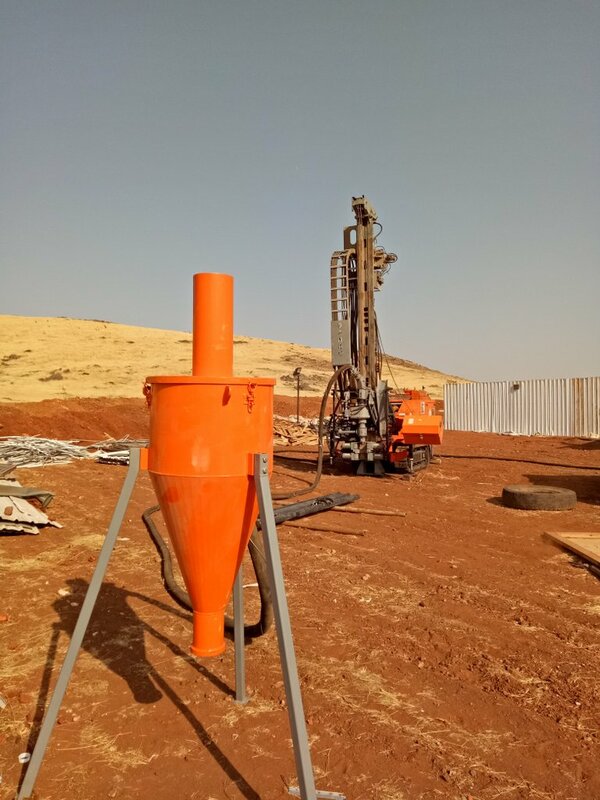 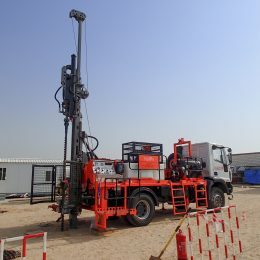 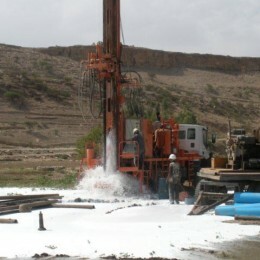 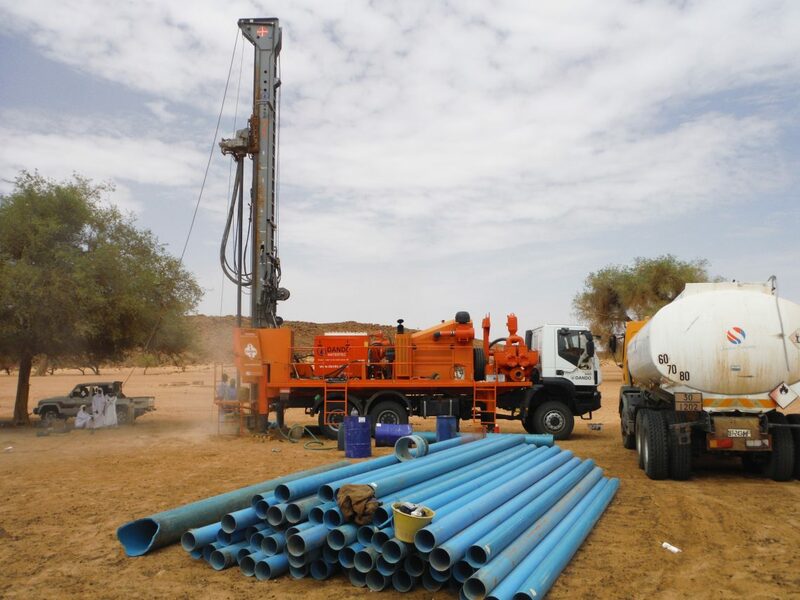 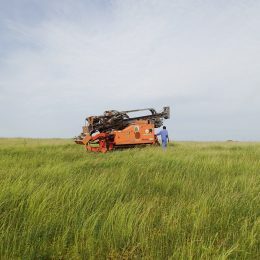 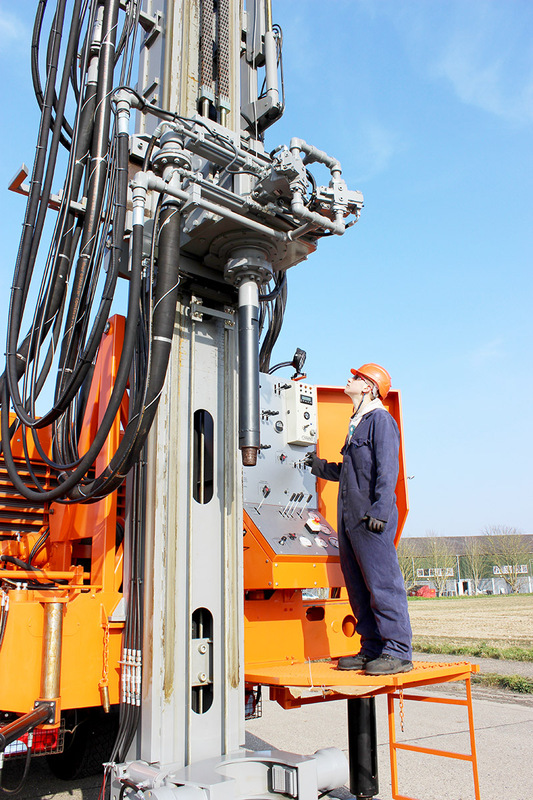 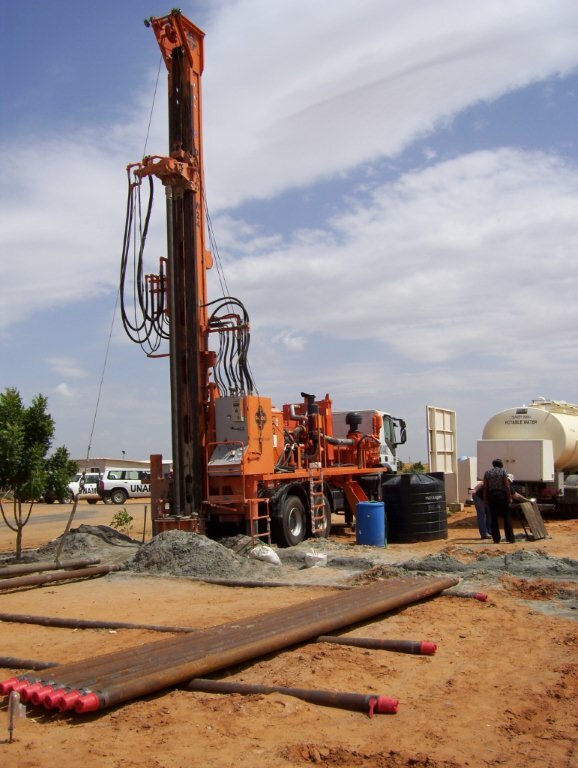 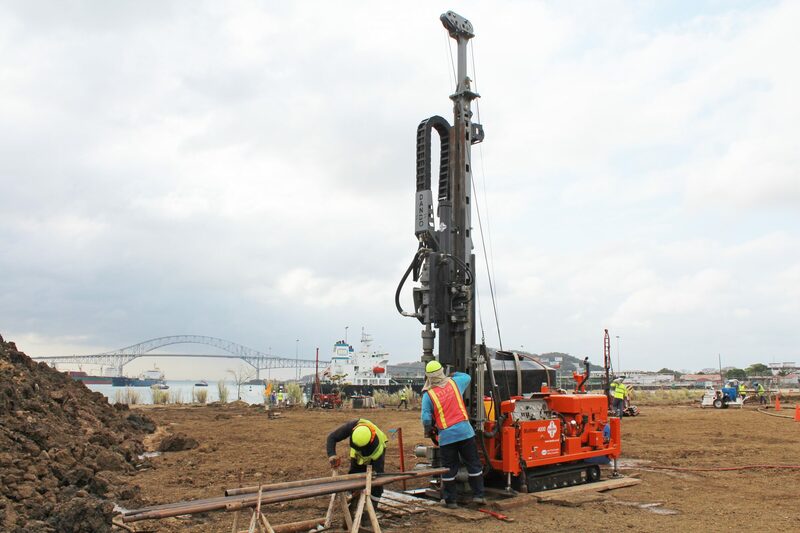 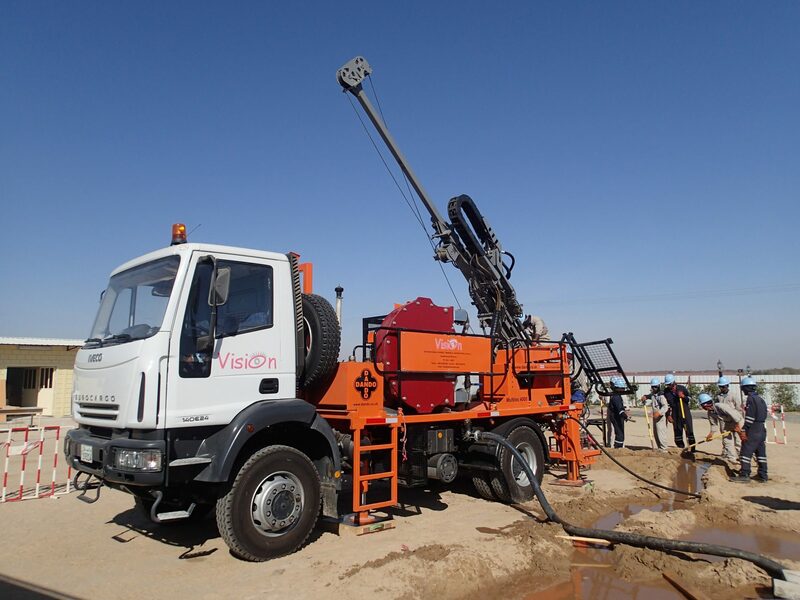 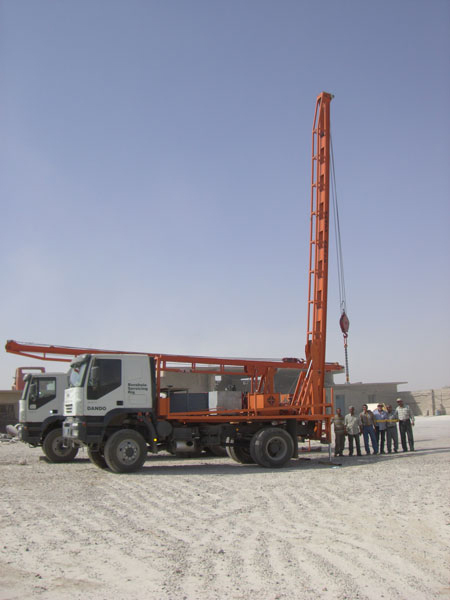 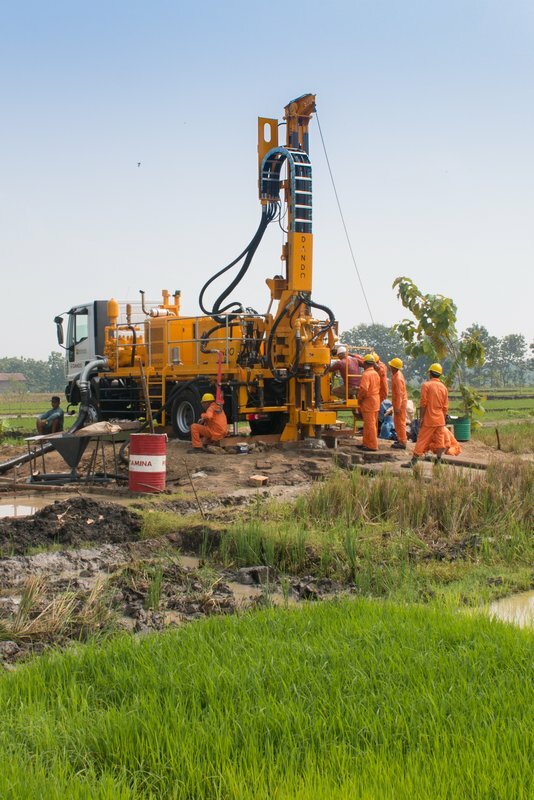 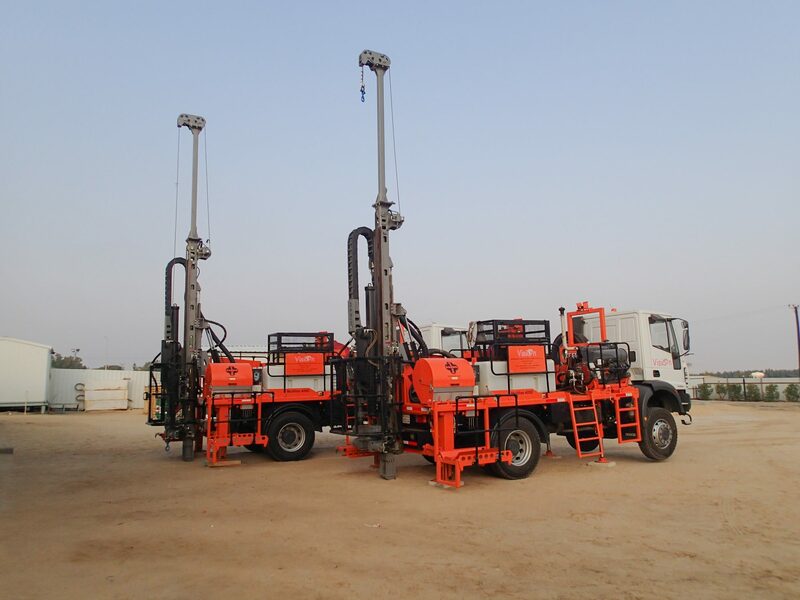 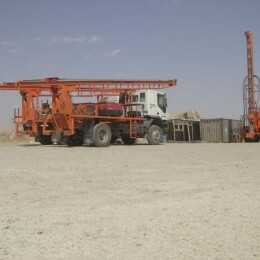 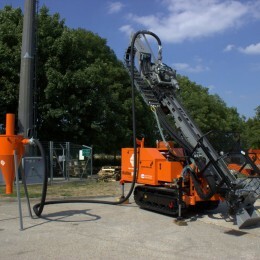 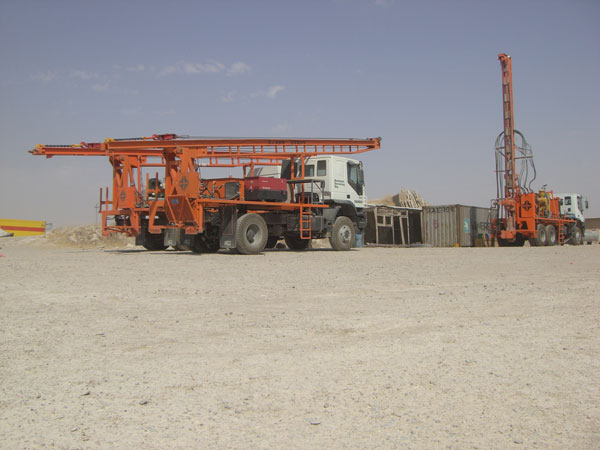 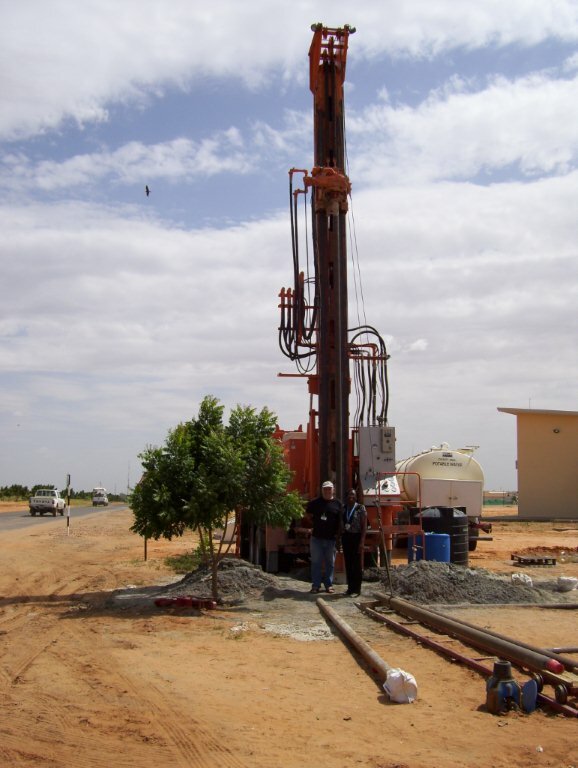 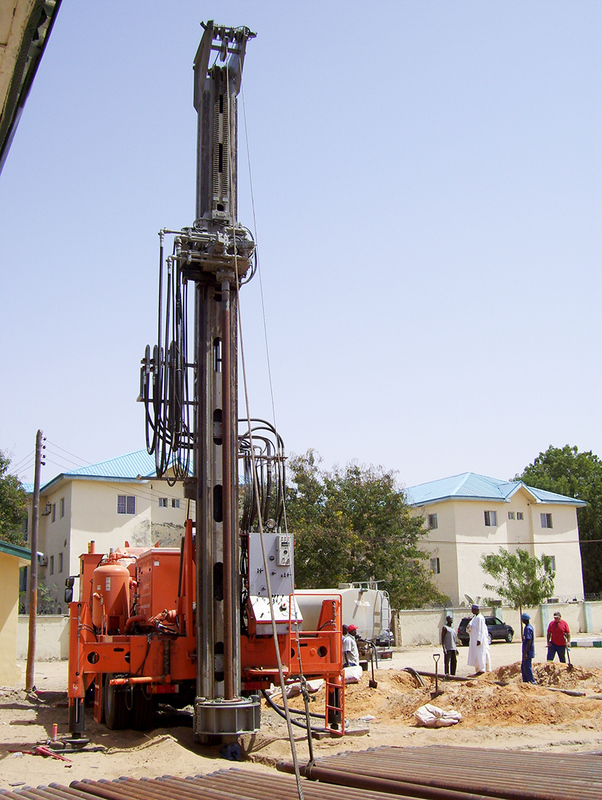 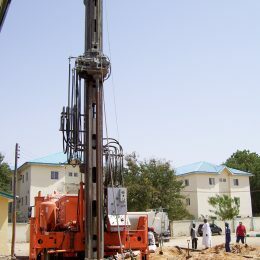 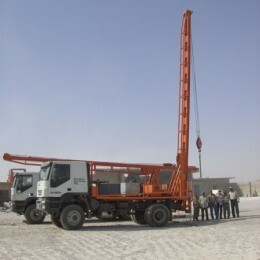 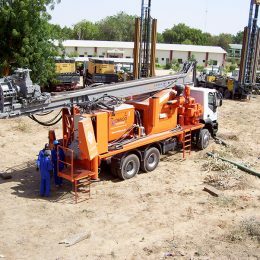 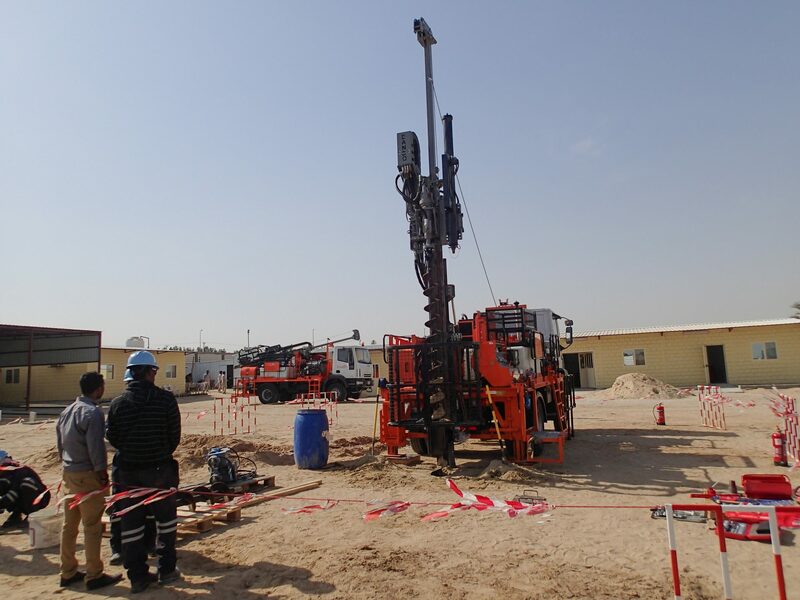 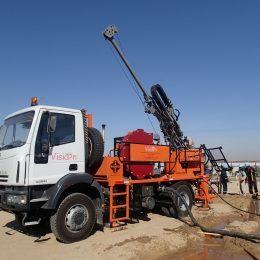 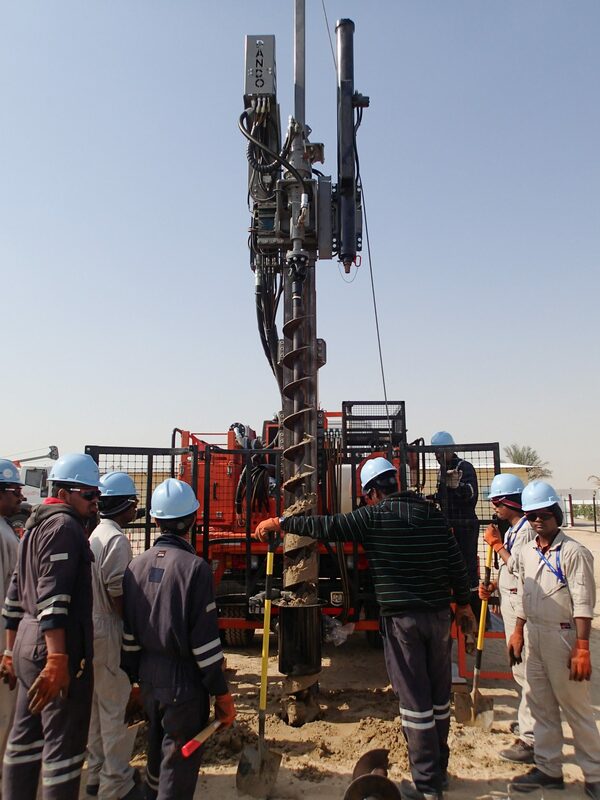 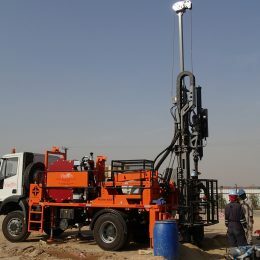 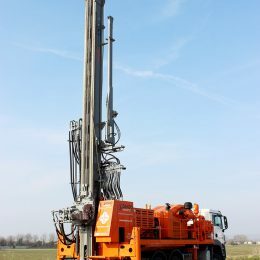 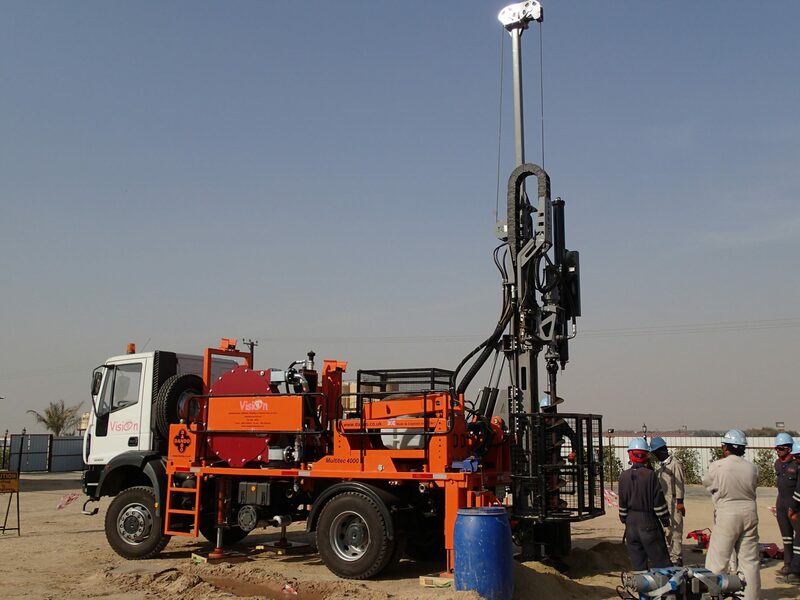 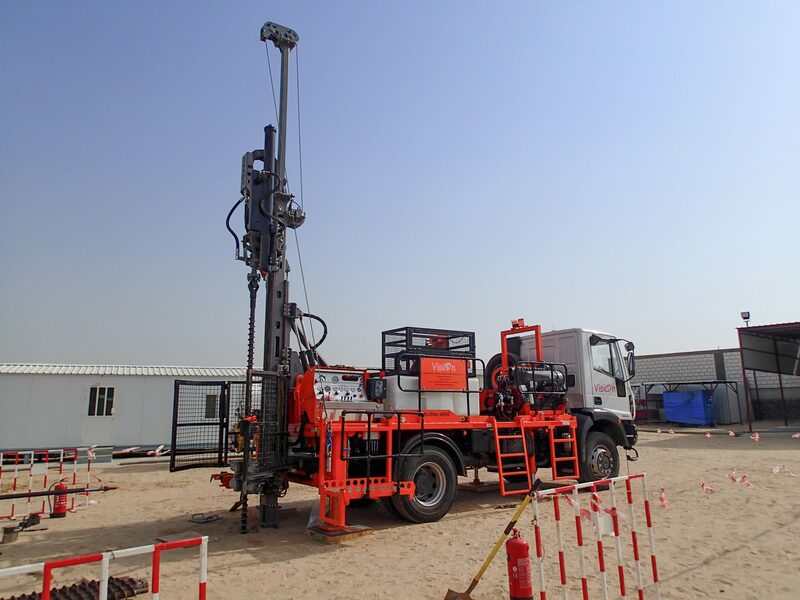 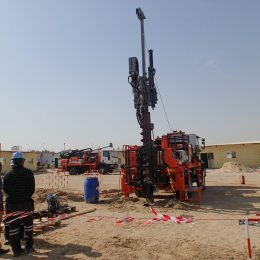 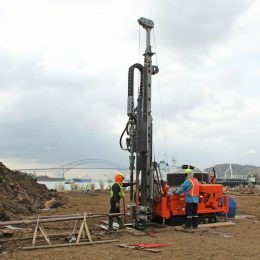 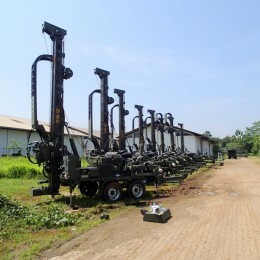 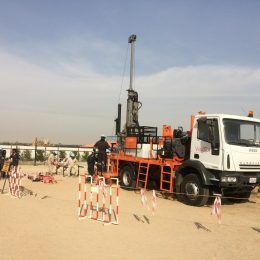 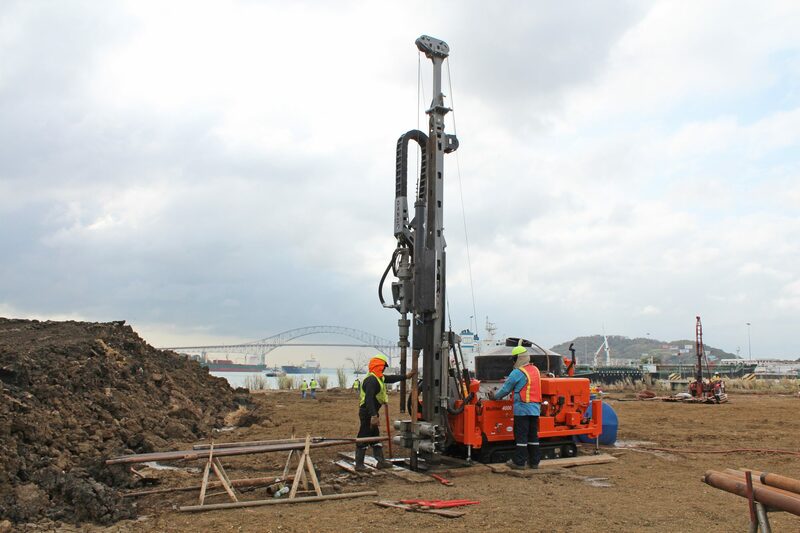 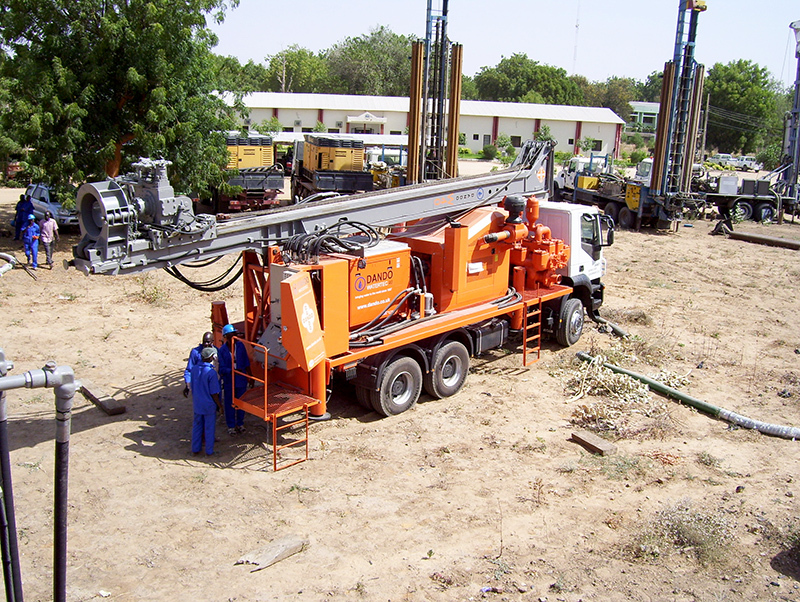 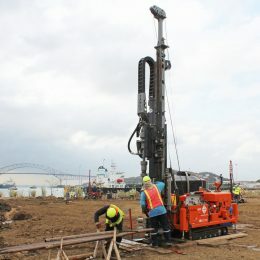 These machines are being used for geotechnical drilling in Kuwait. 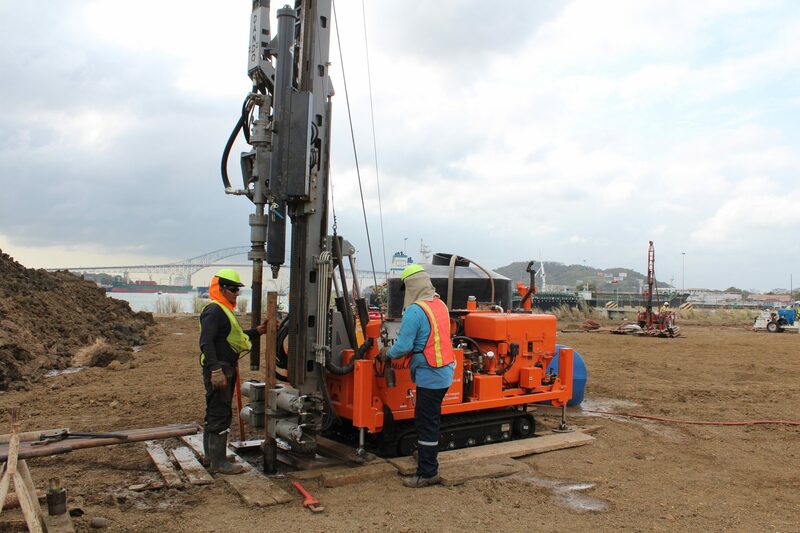 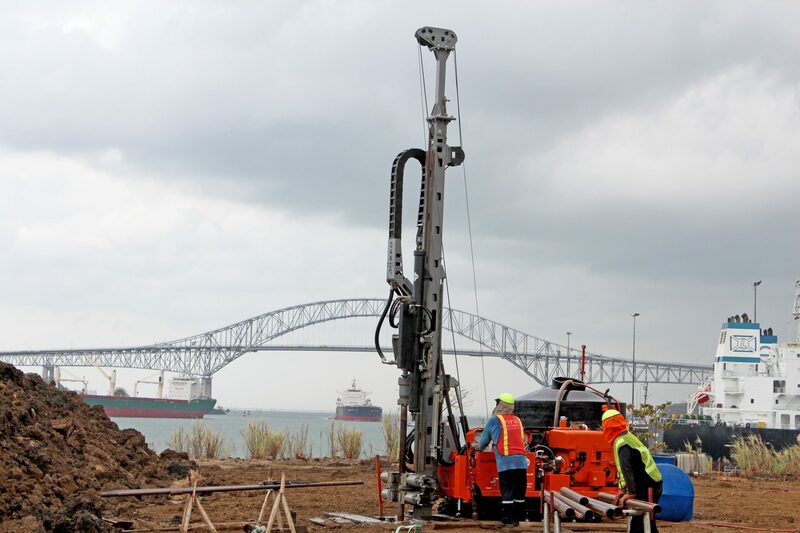 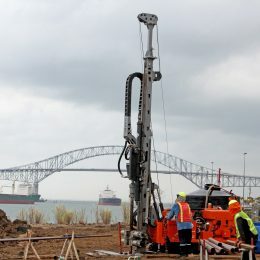 The Dando Jackal 4000 (Formerly the Multitec 4000) conducting site investigation for the widening of the Panama Canal at the Pacific entrance, Panama City. 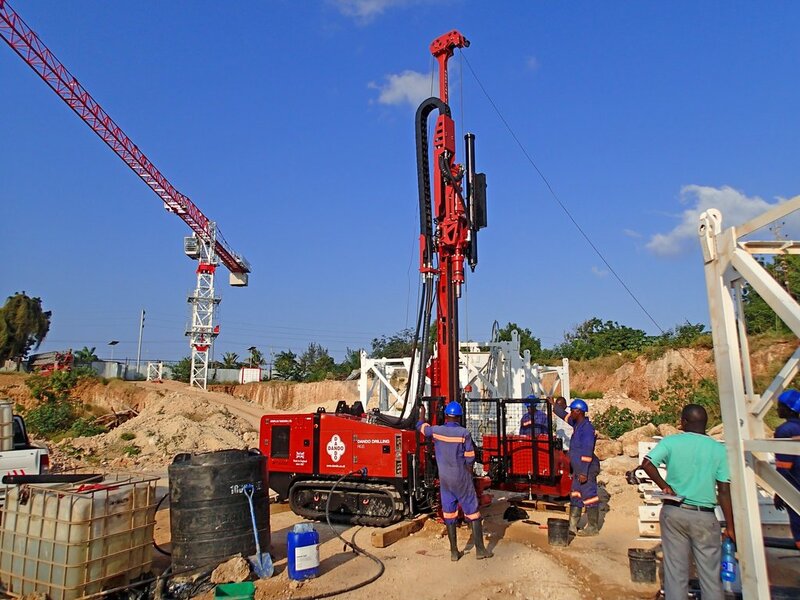 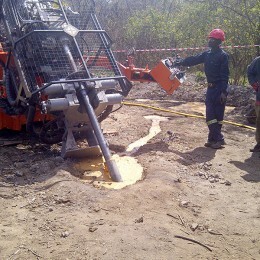 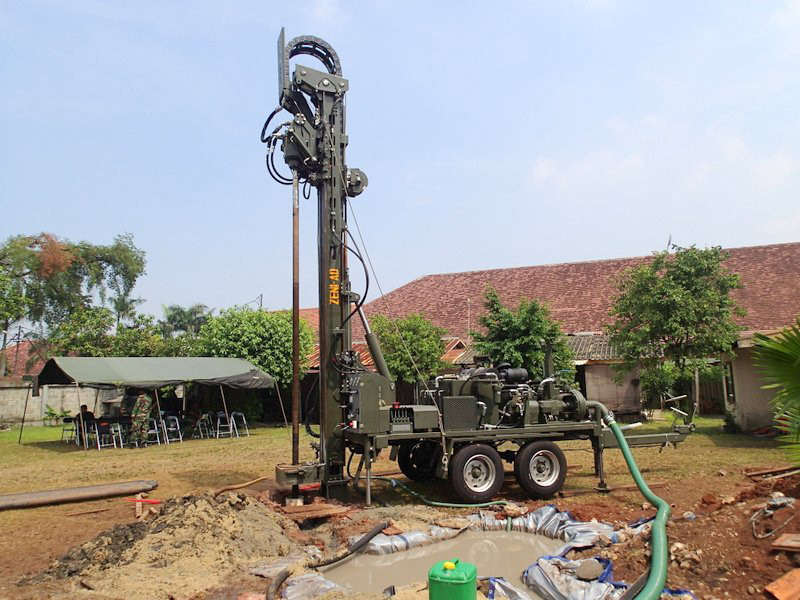 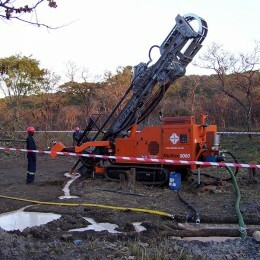 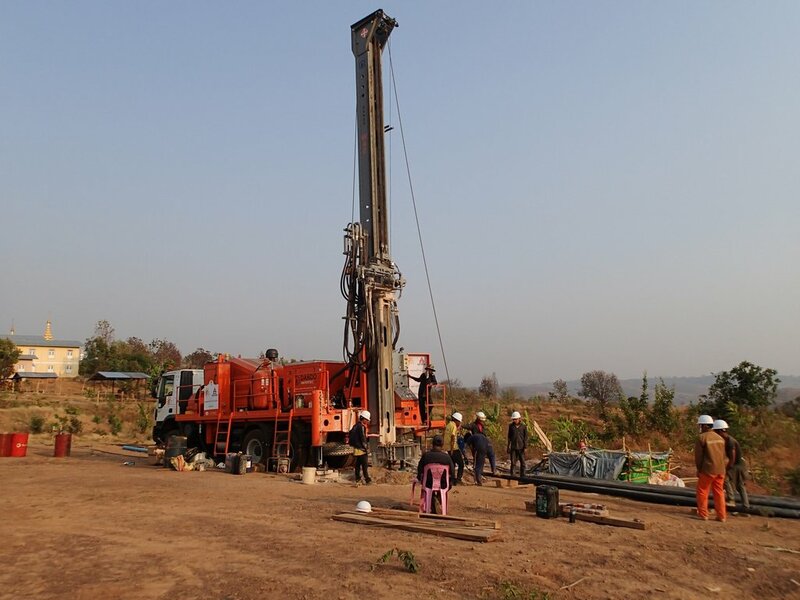 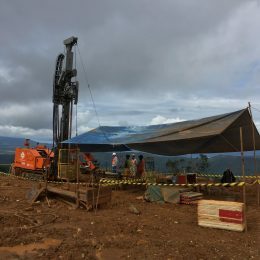 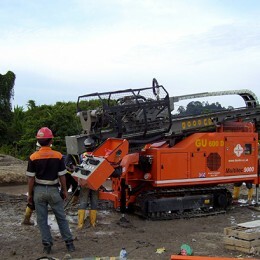 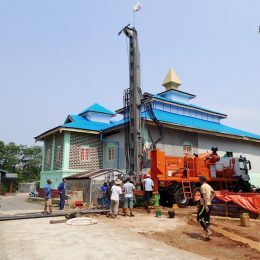 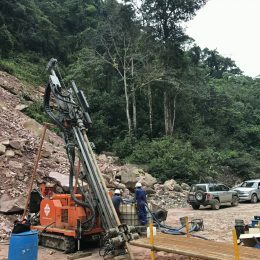 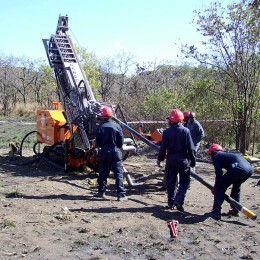 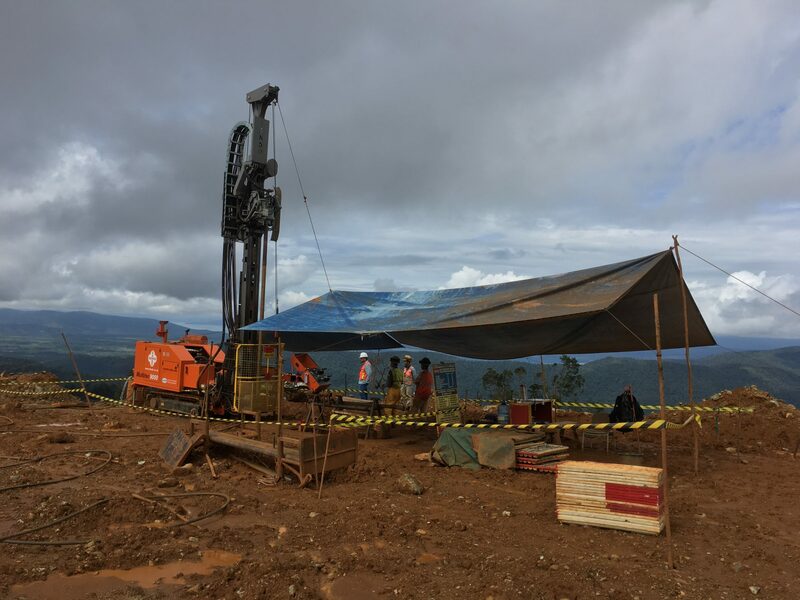 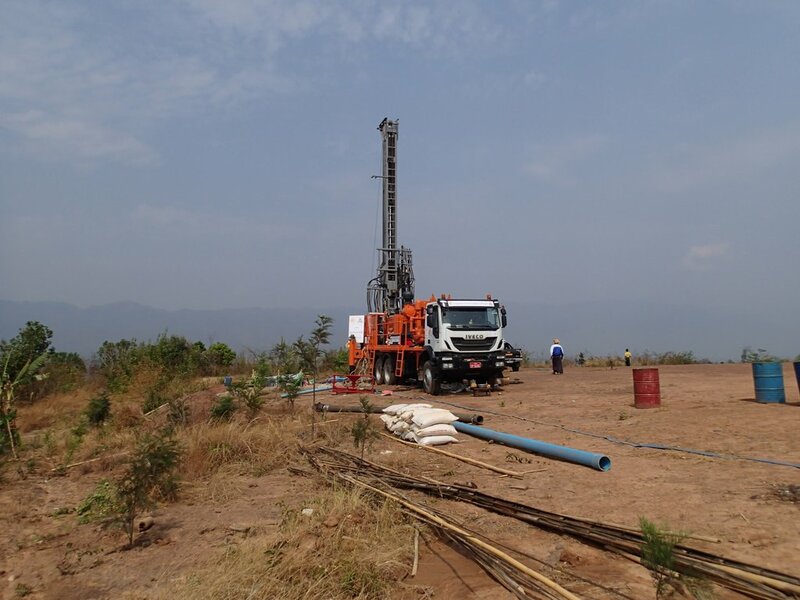 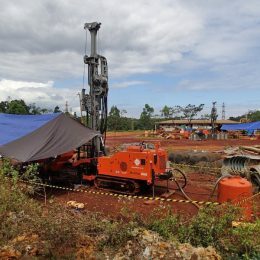 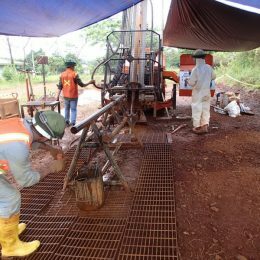 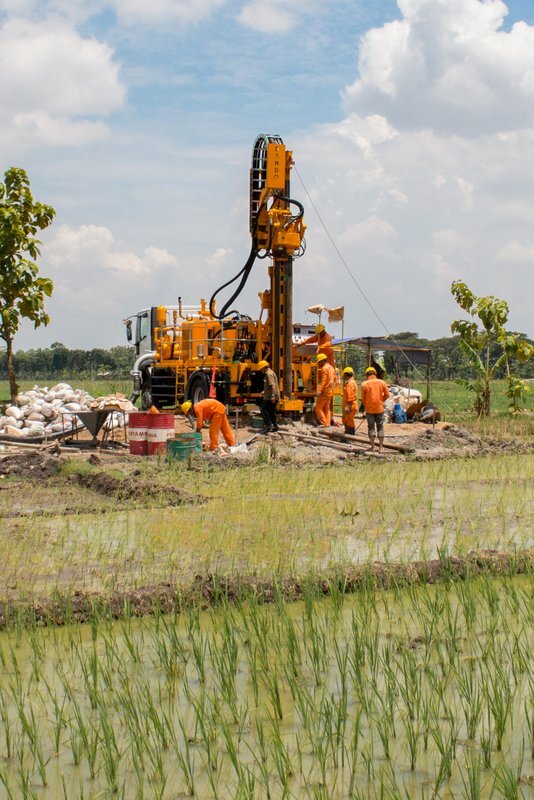 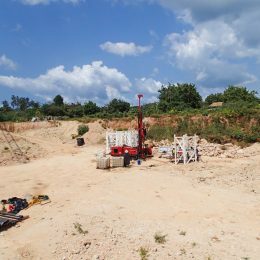 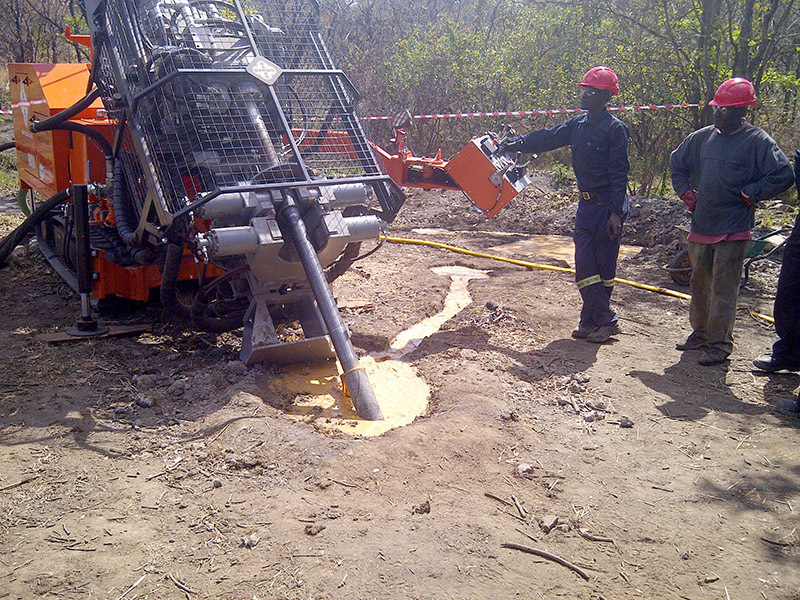 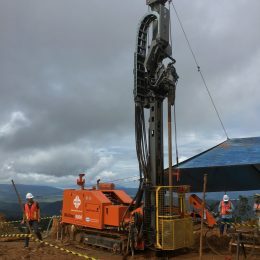 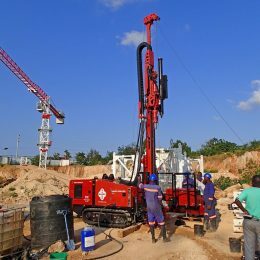 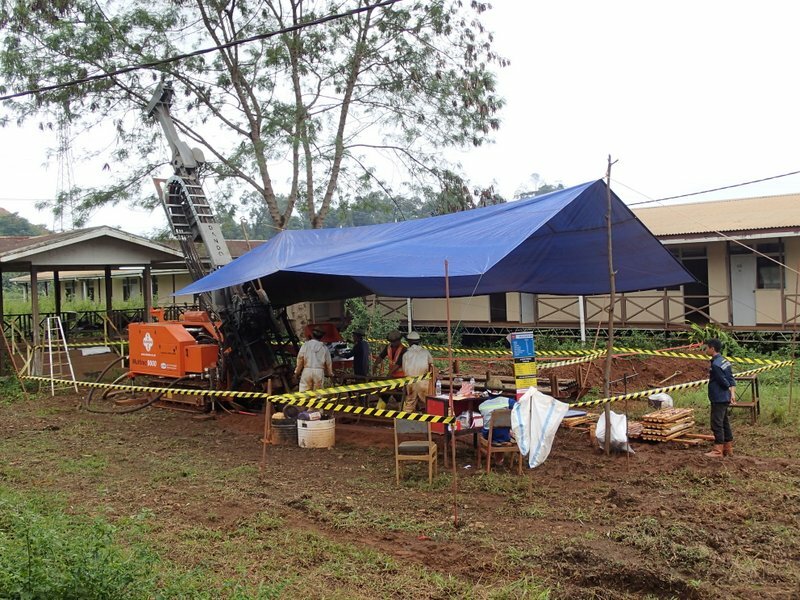 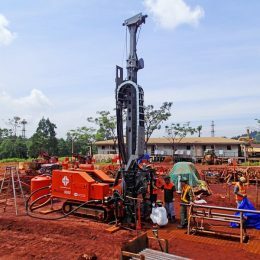 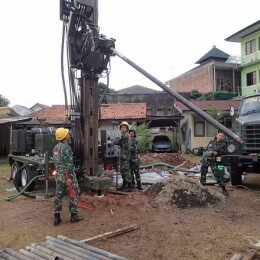 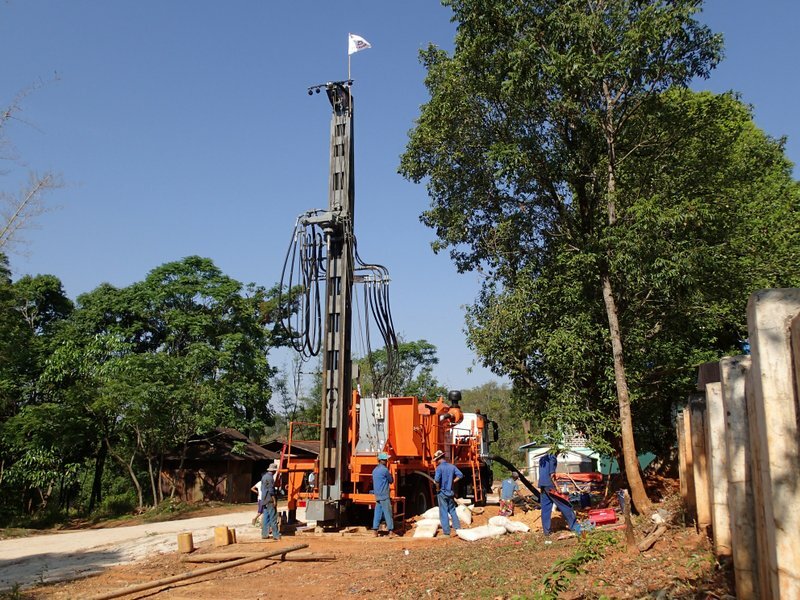 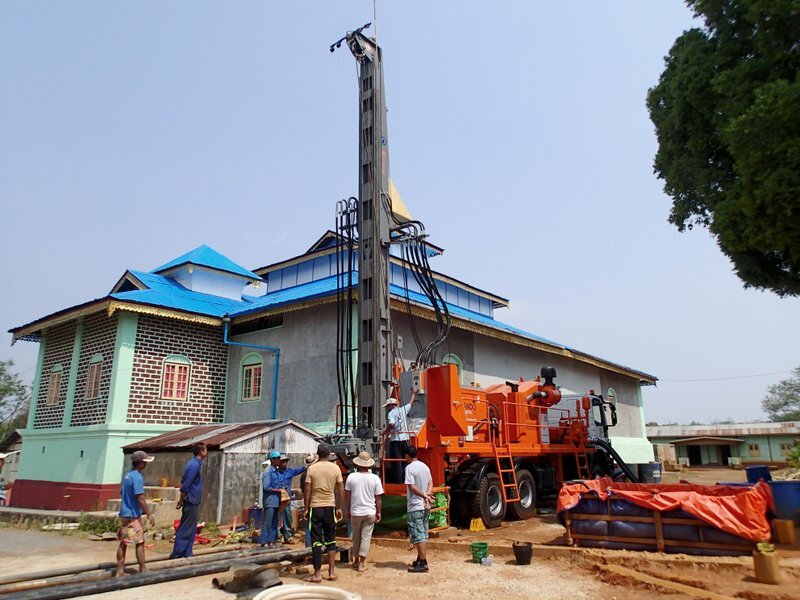 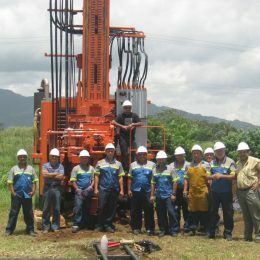 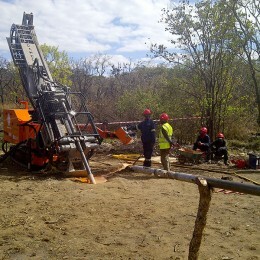 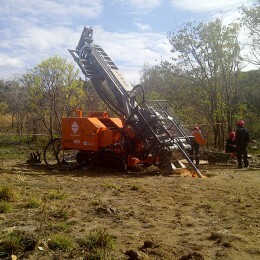 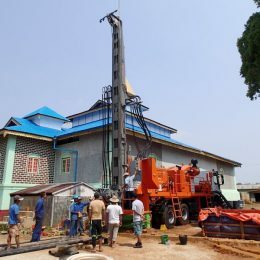 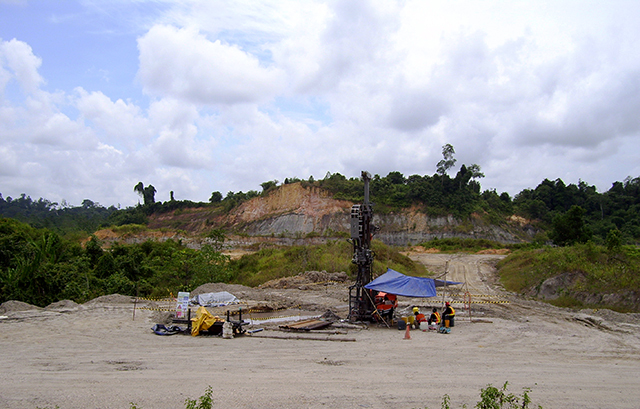 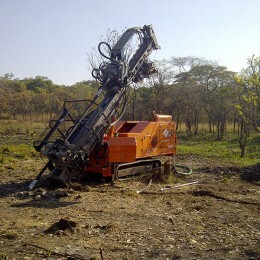 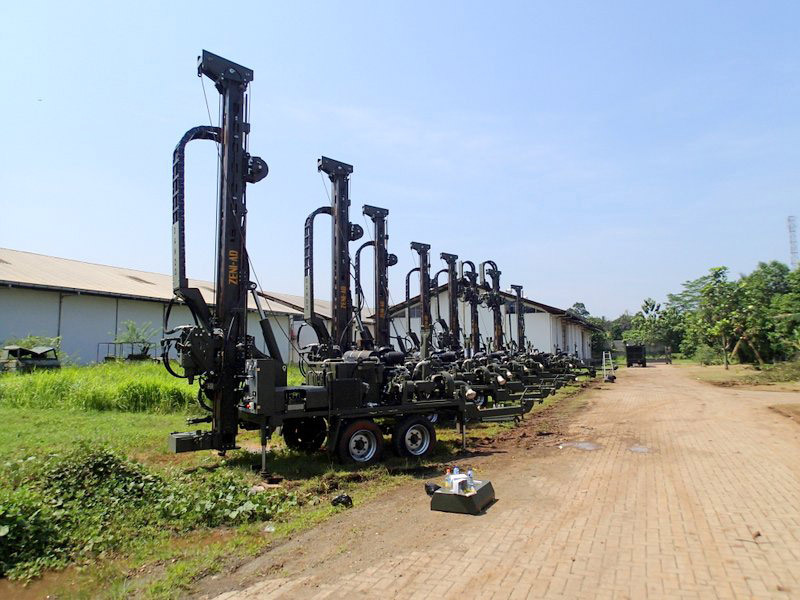 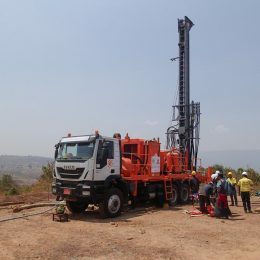 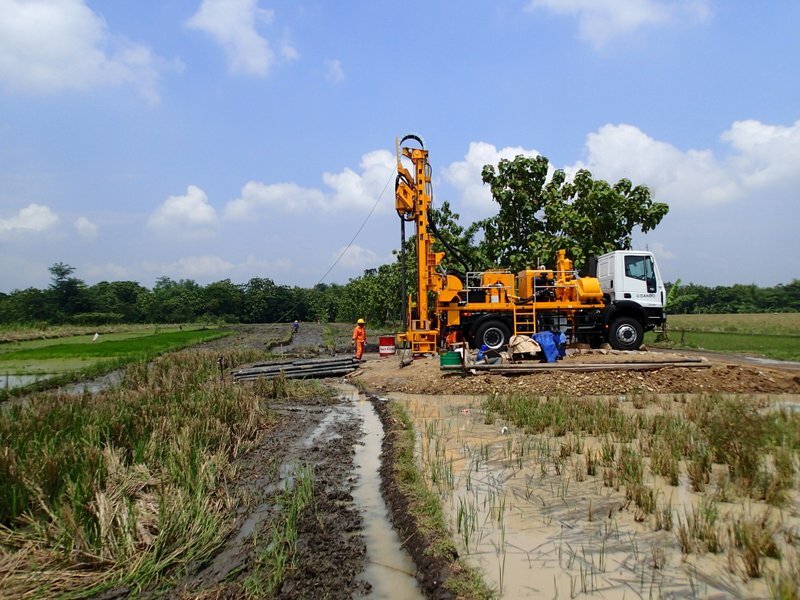 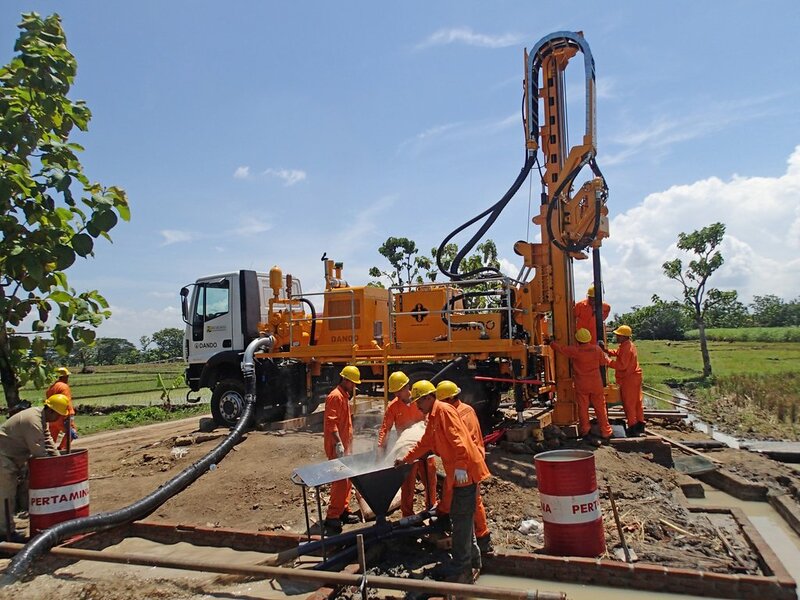 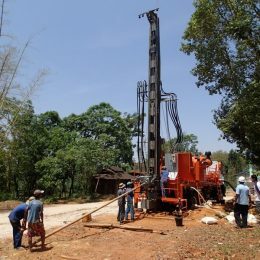 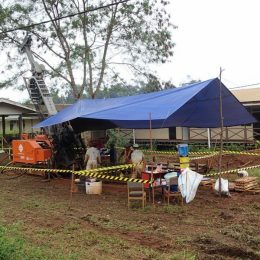 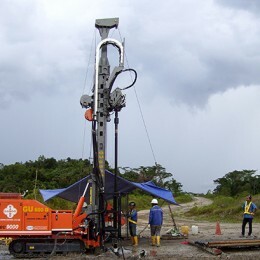 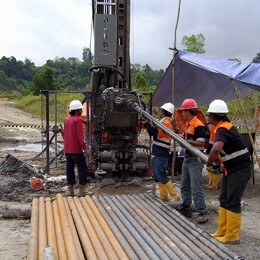 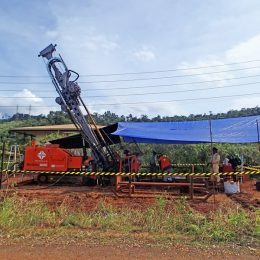 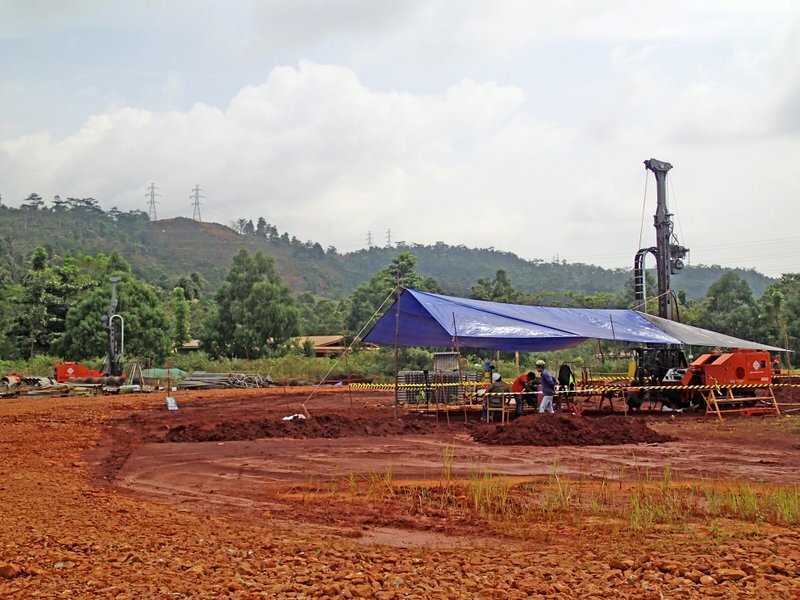 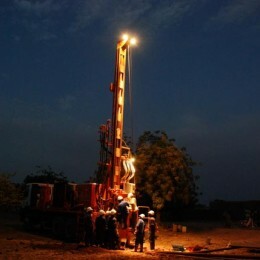 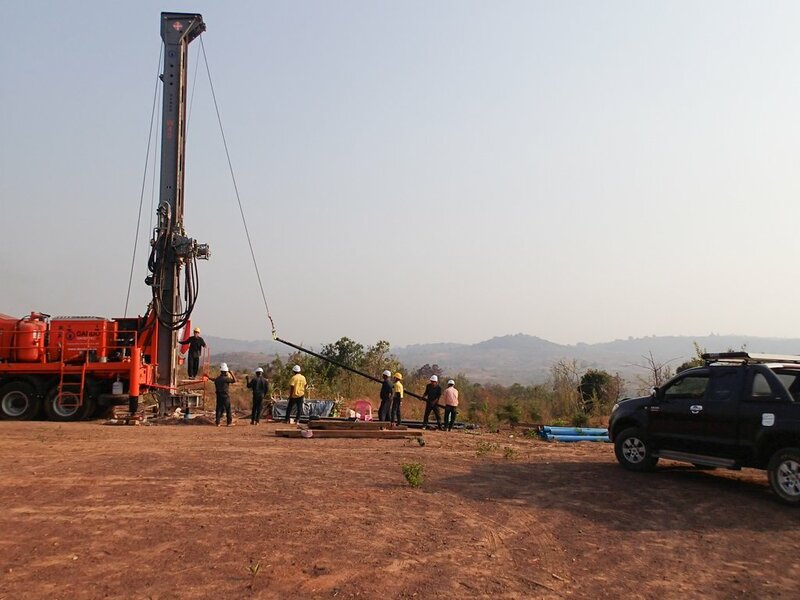 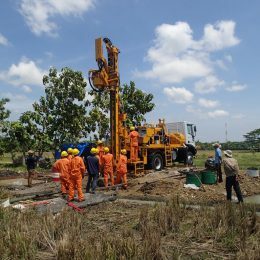 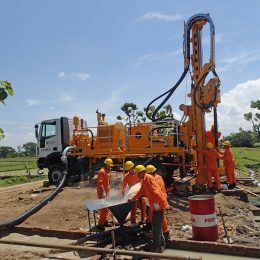 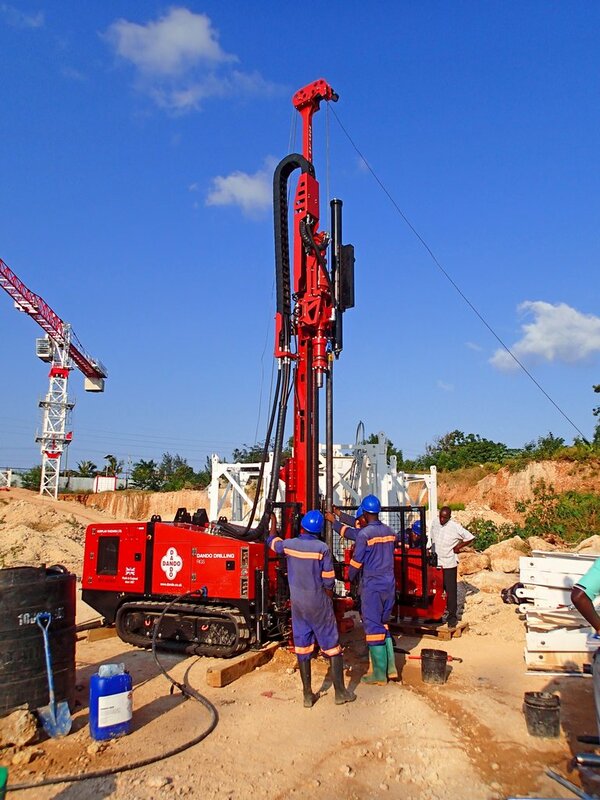 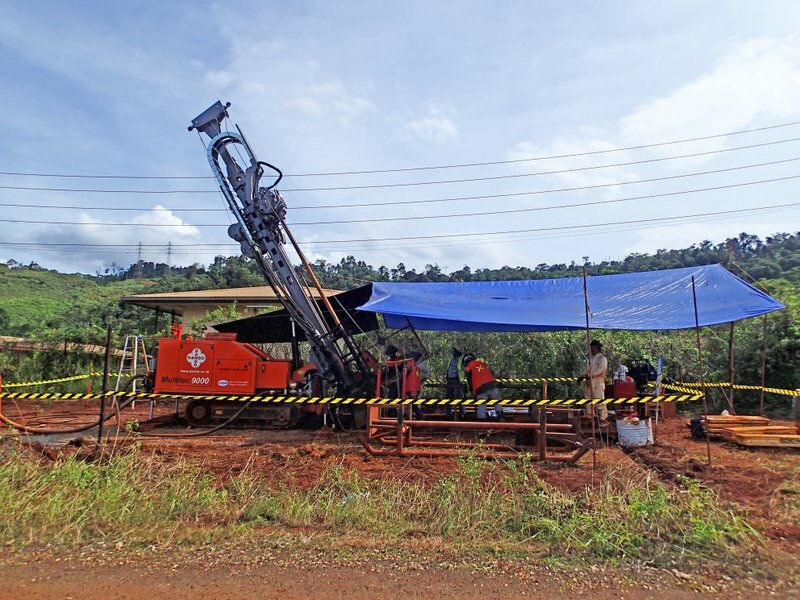 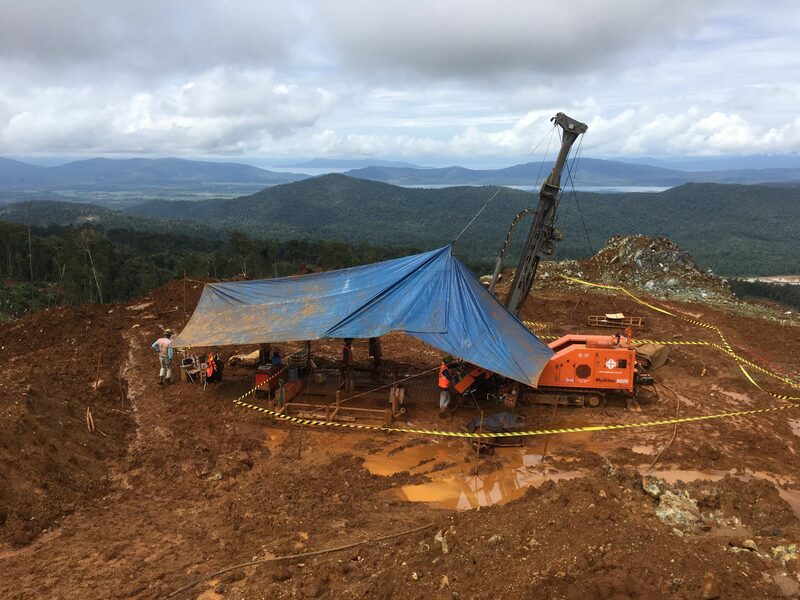 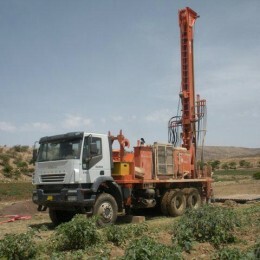 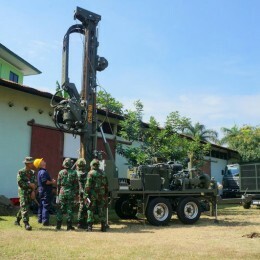 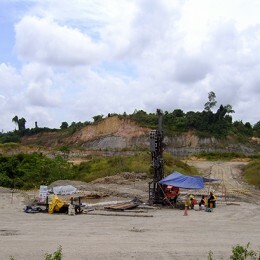 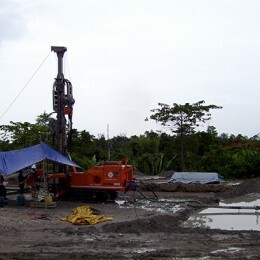 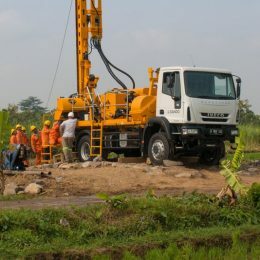 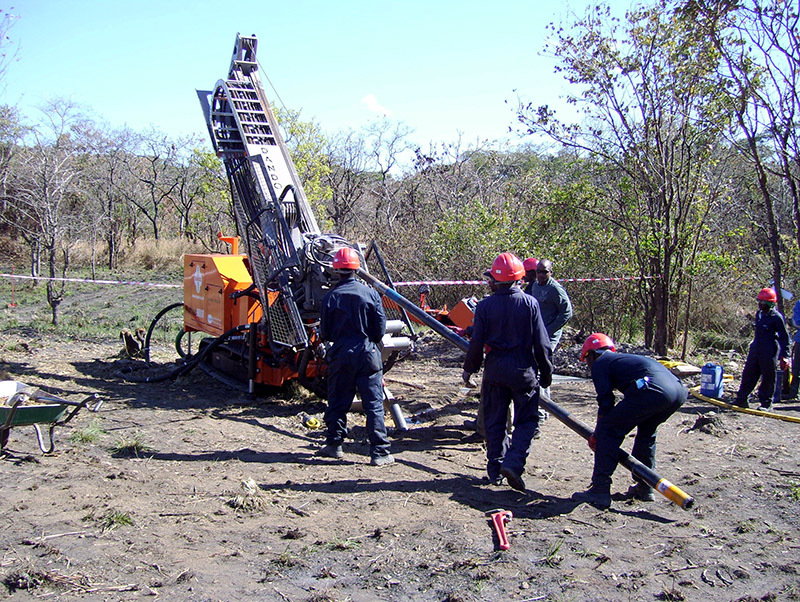 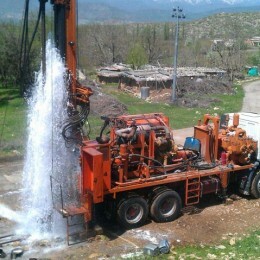 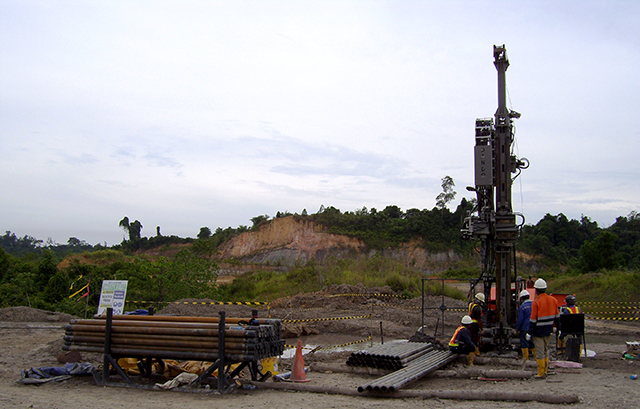 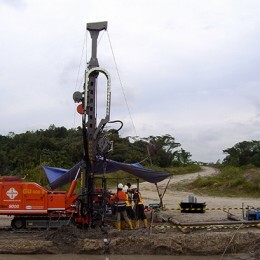 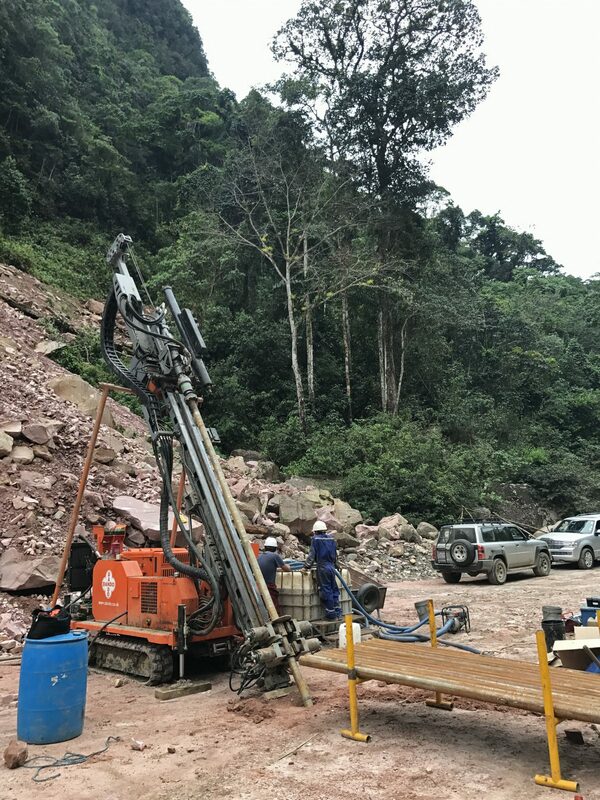 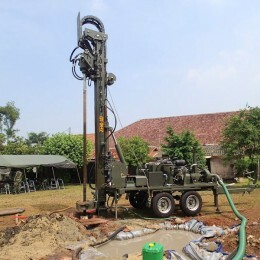 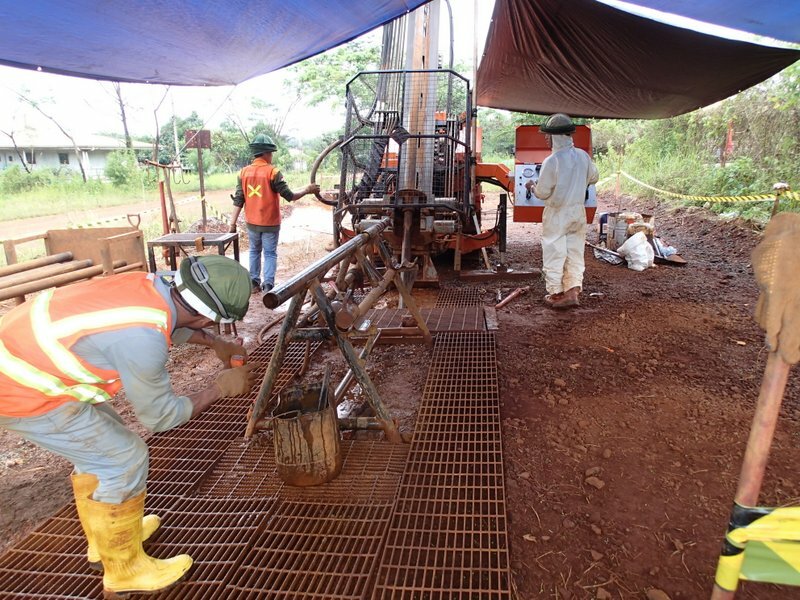 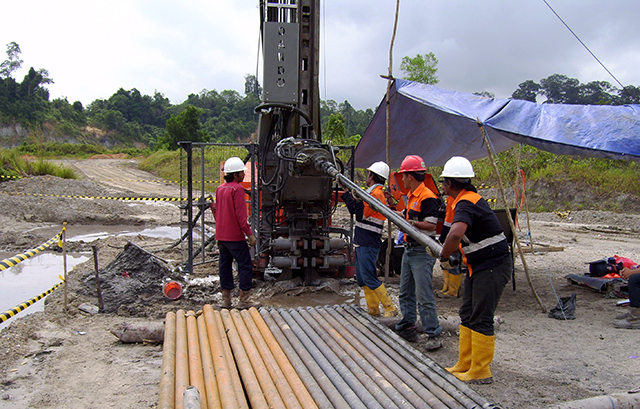 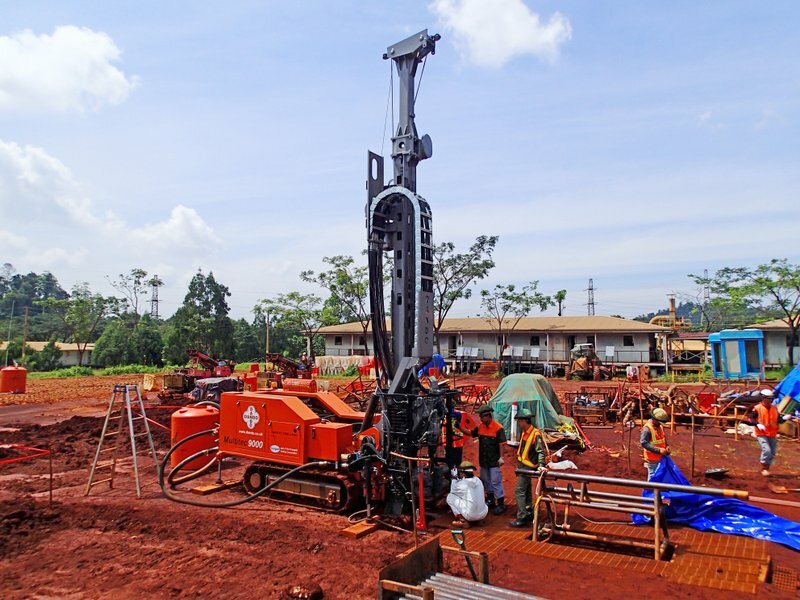 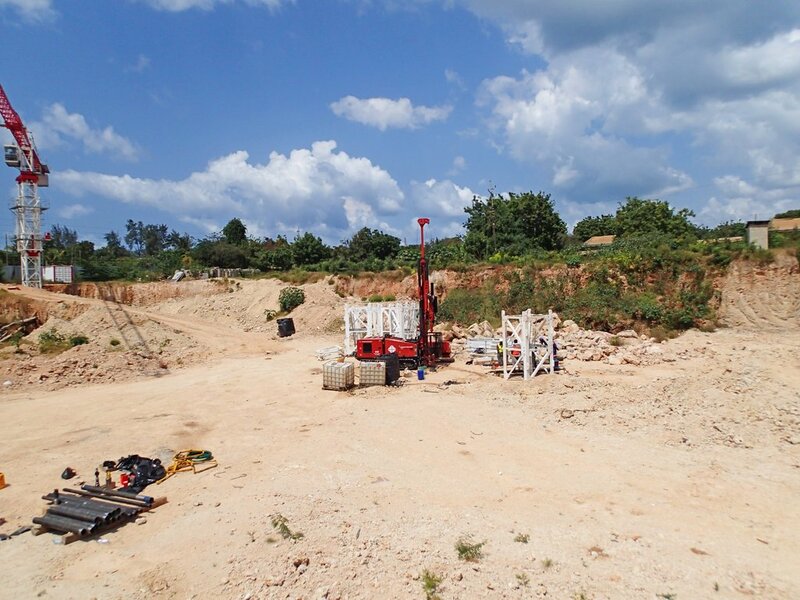 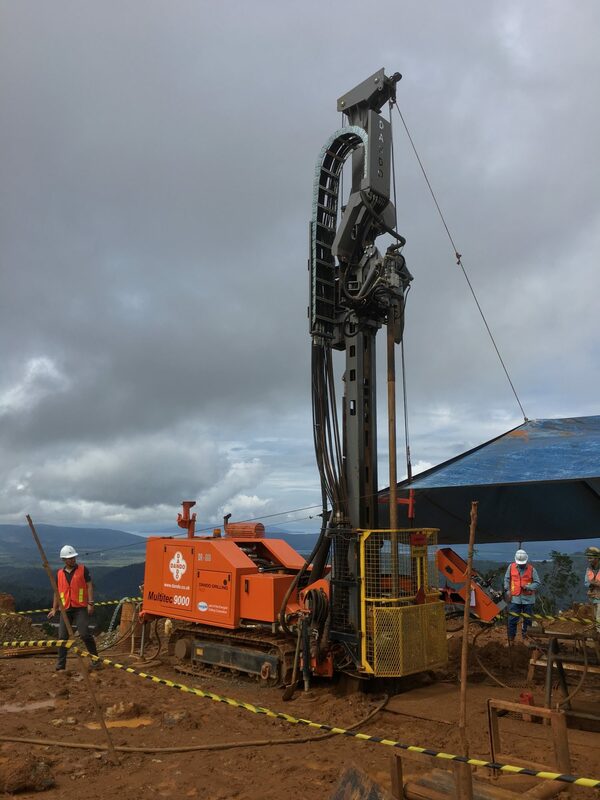 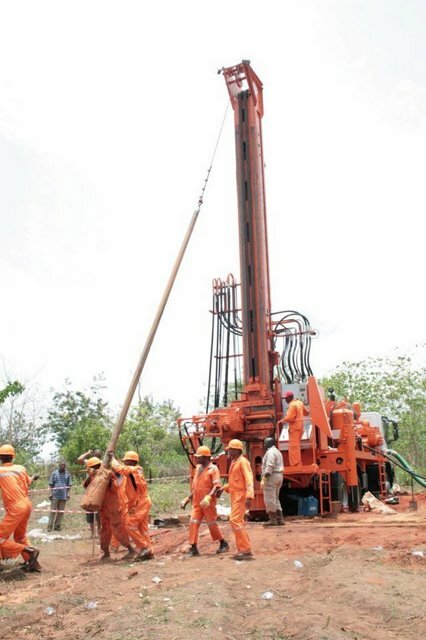 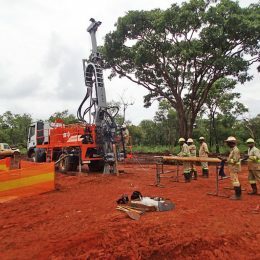 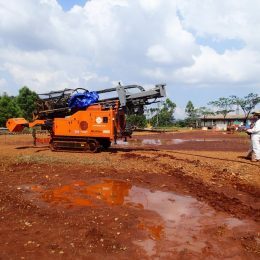 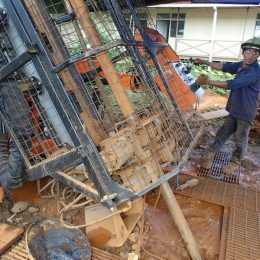 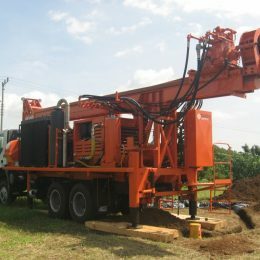 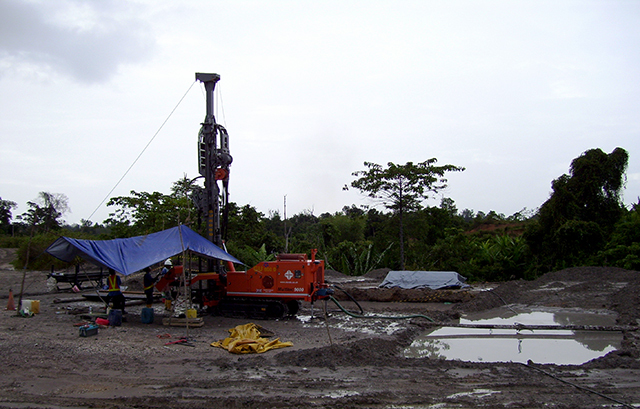 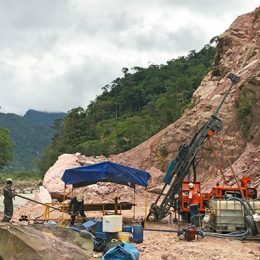 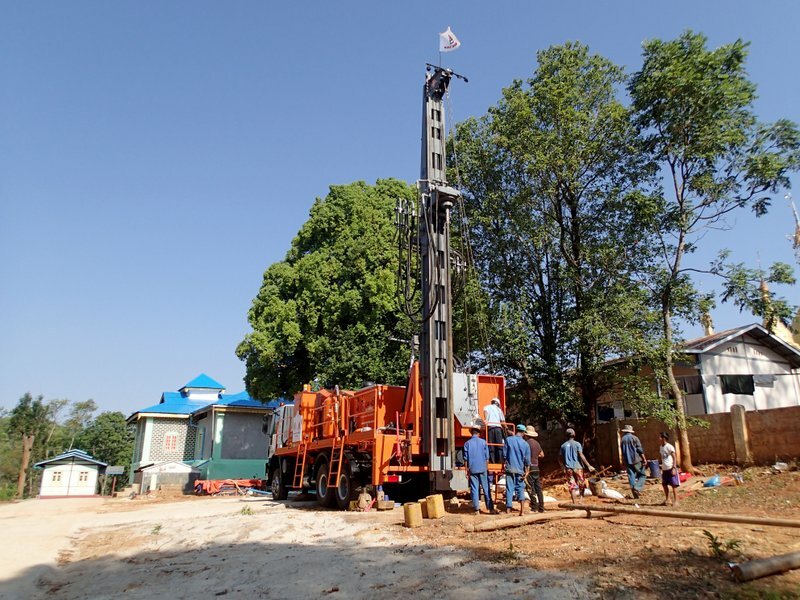 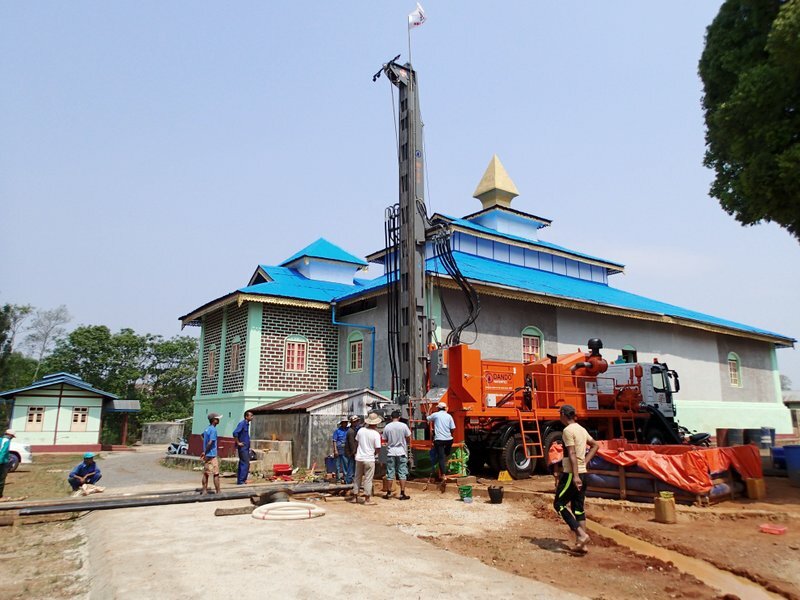 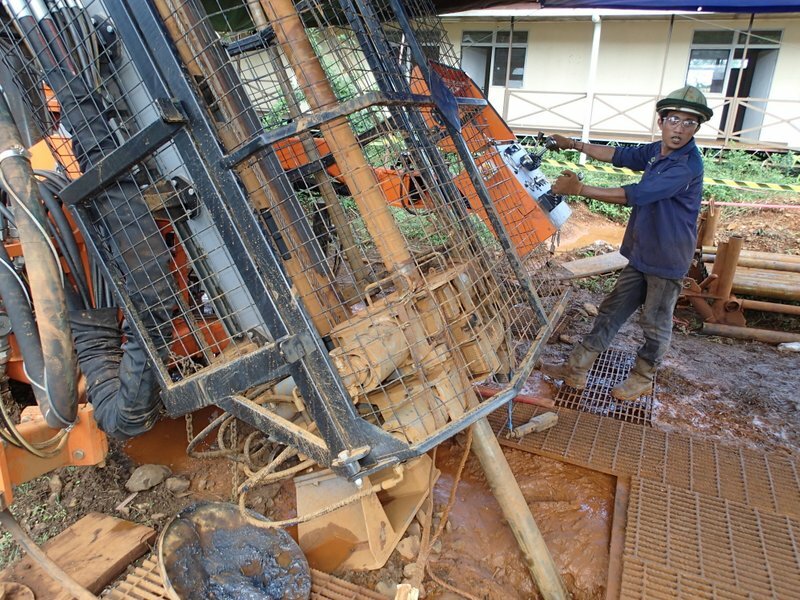 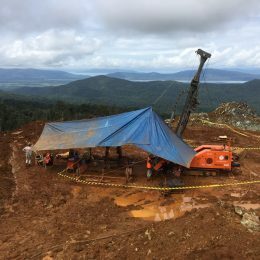 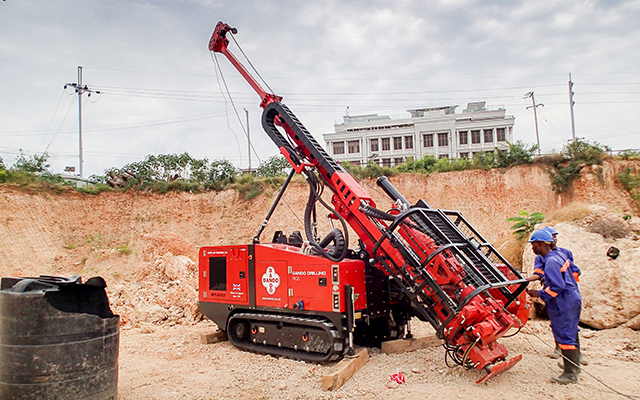 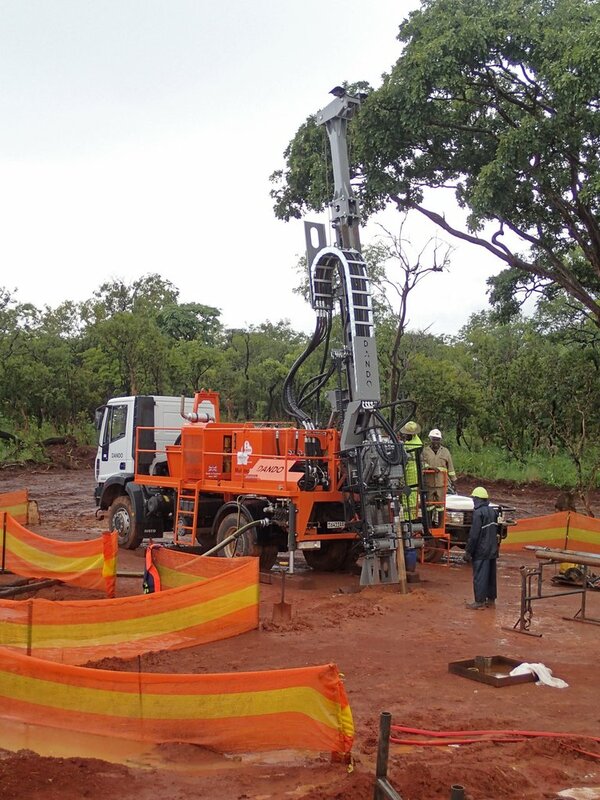 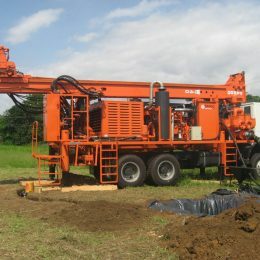 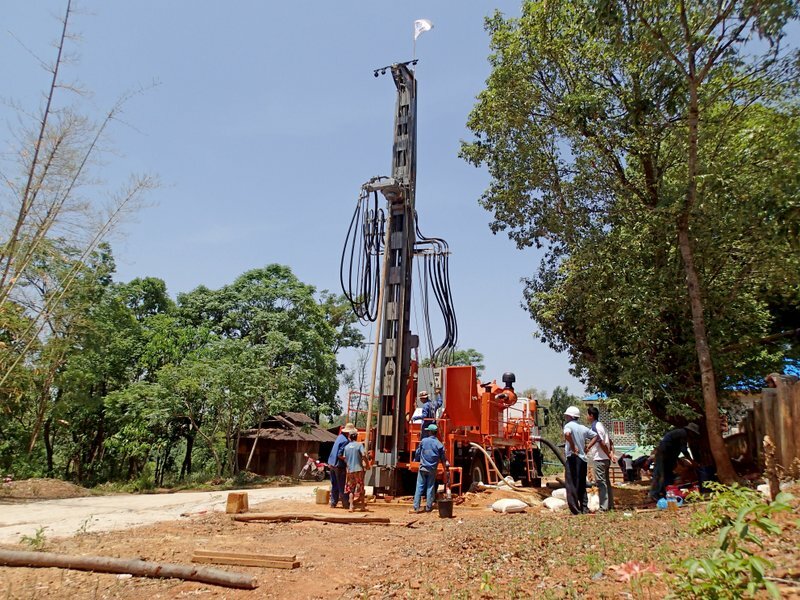 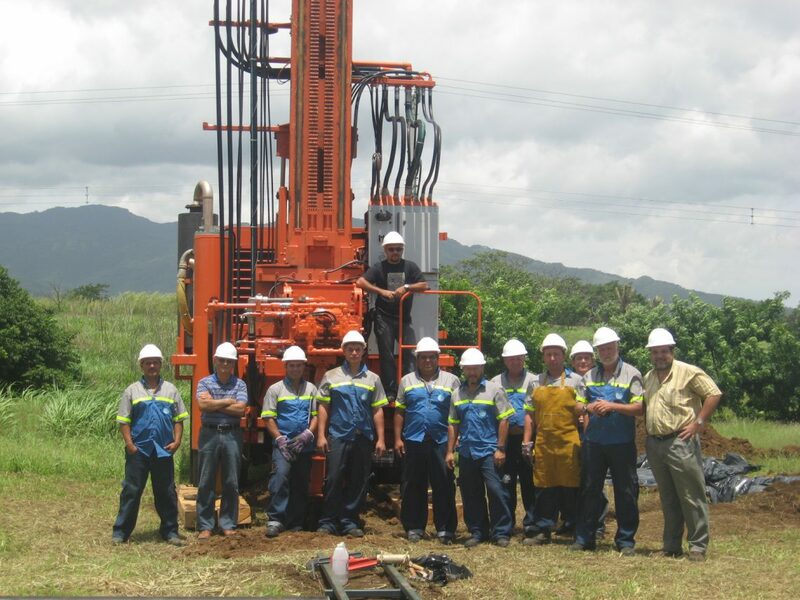 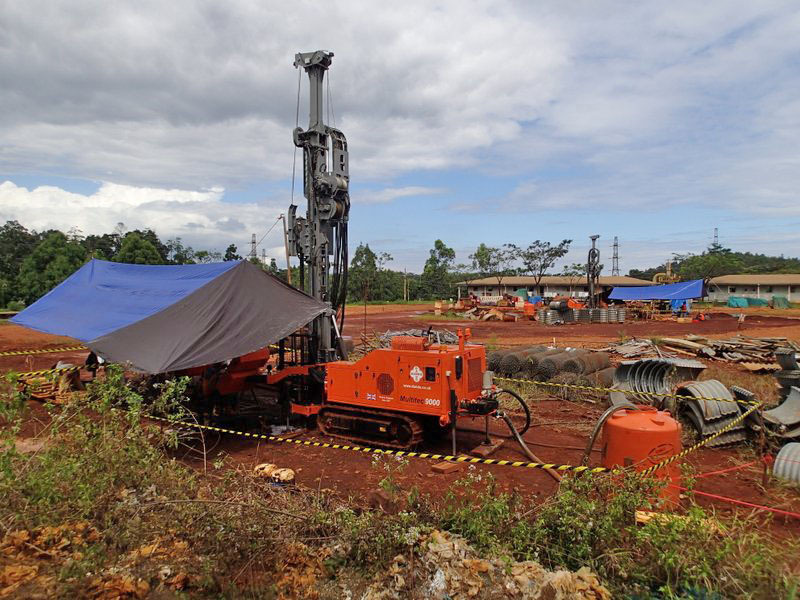 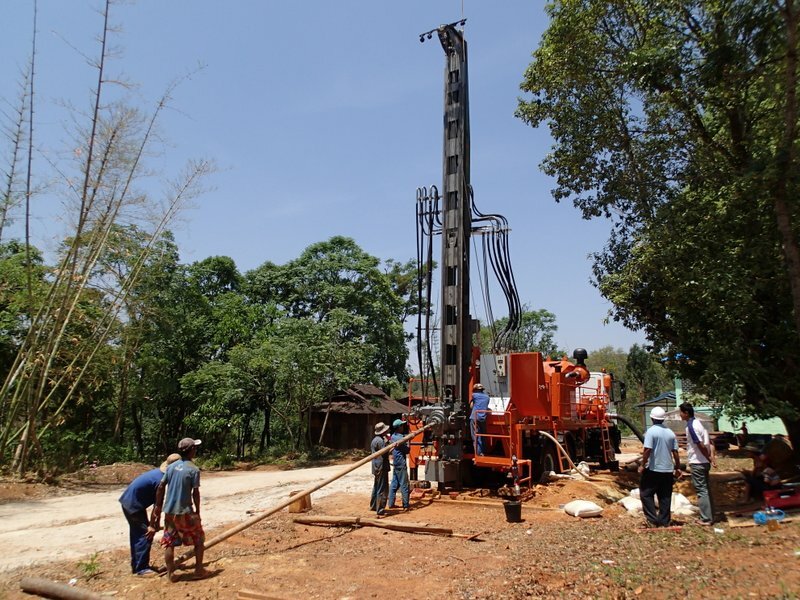 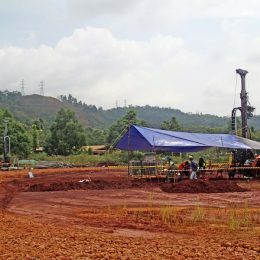 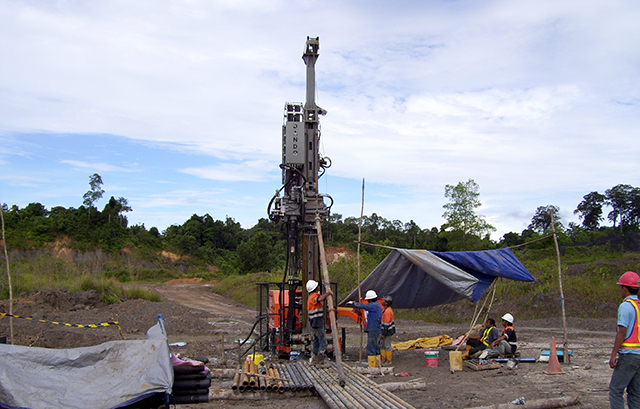 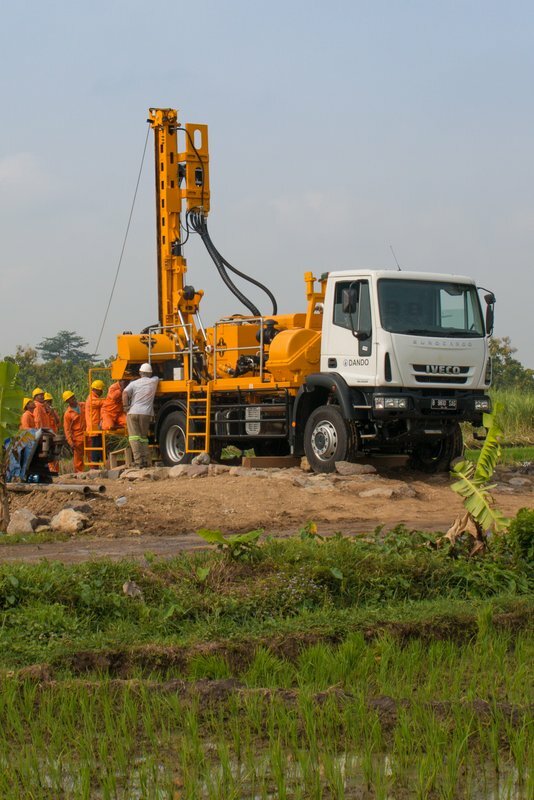 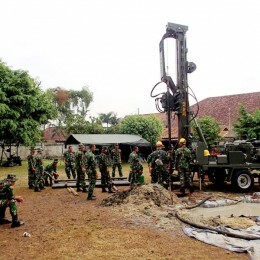 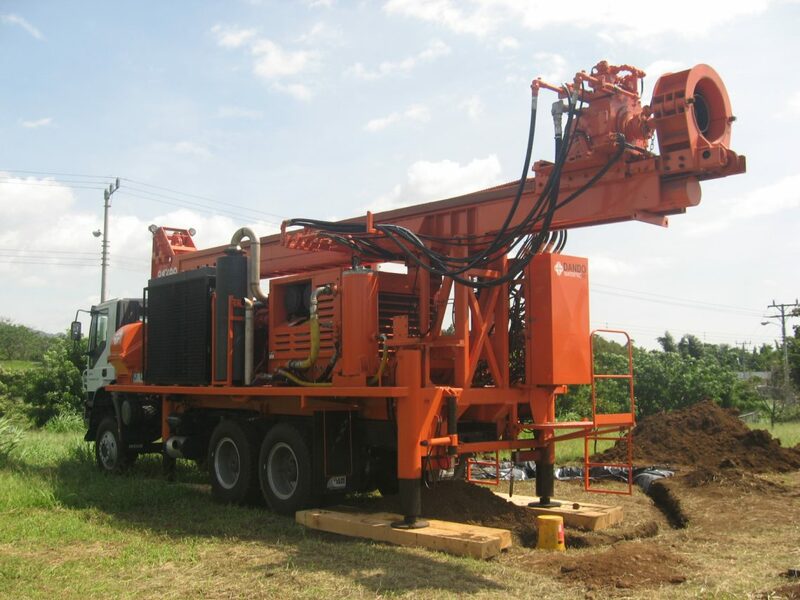 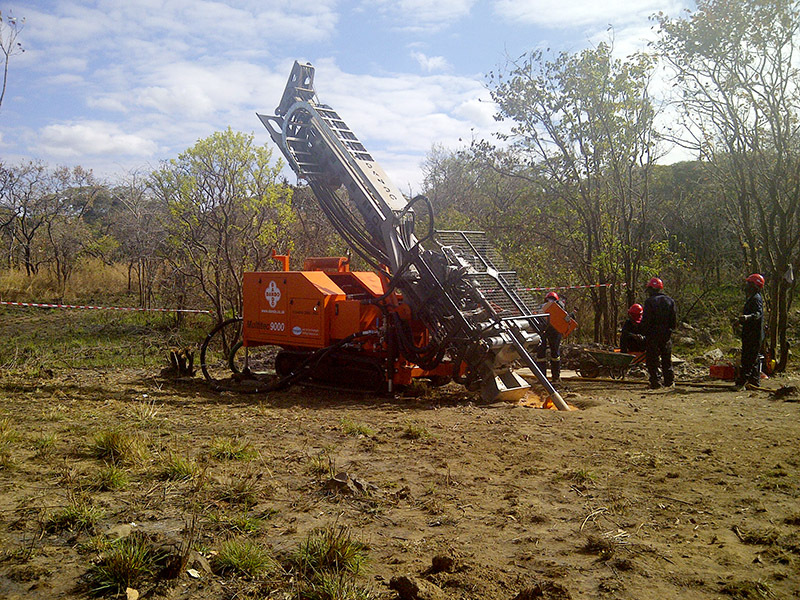 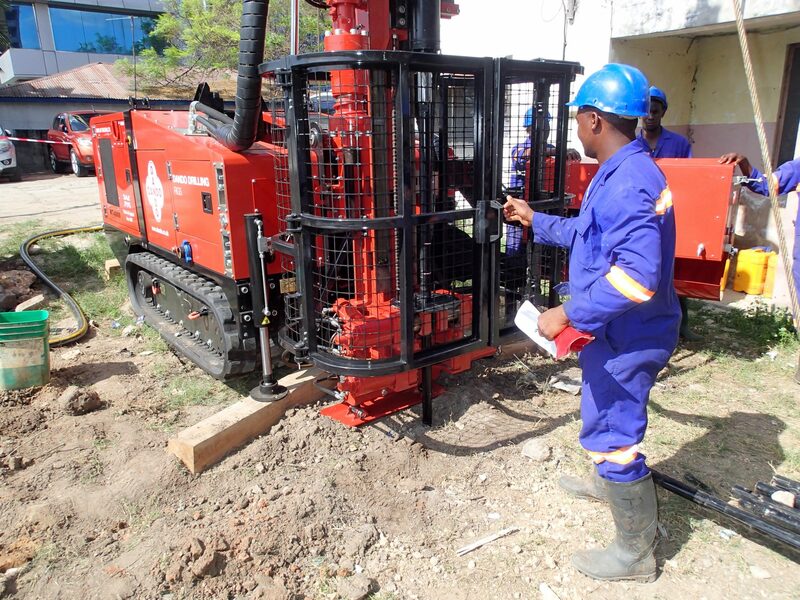 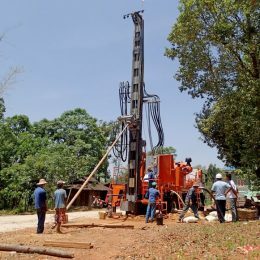 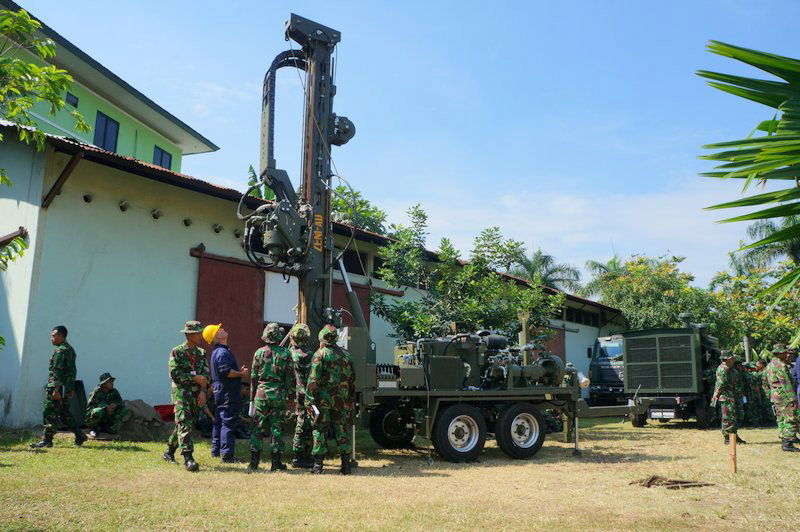 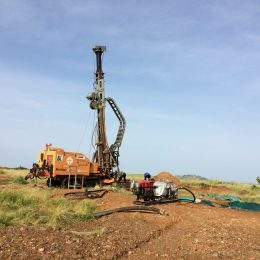 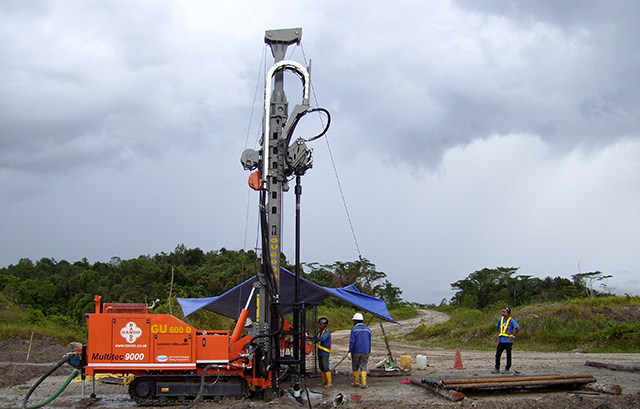 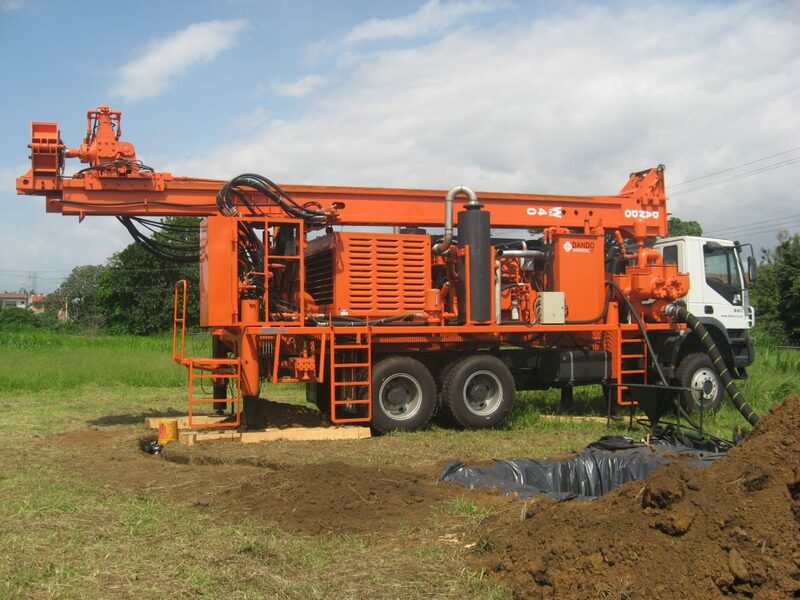 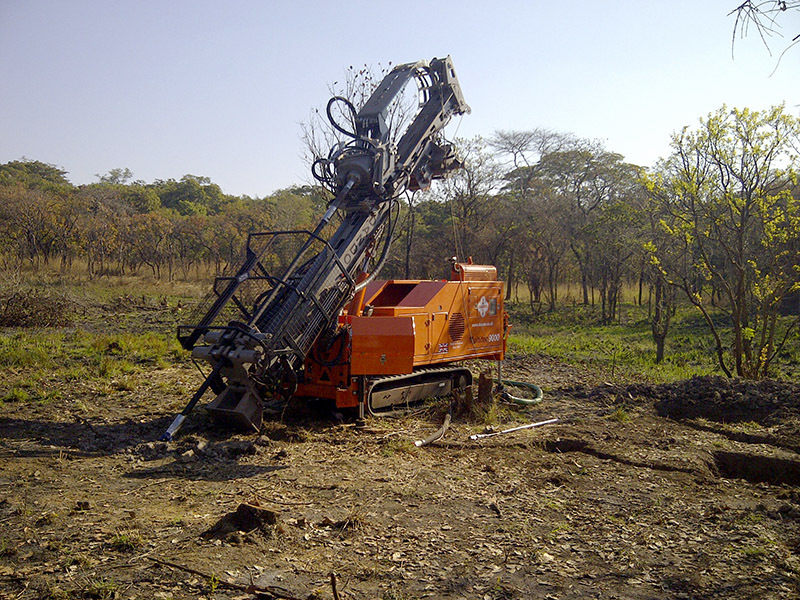 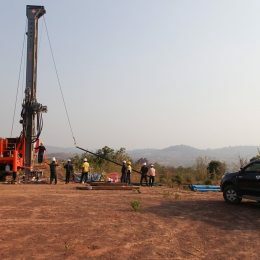 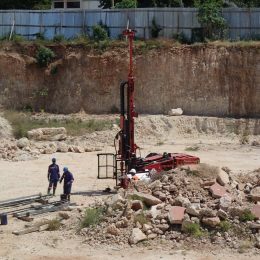 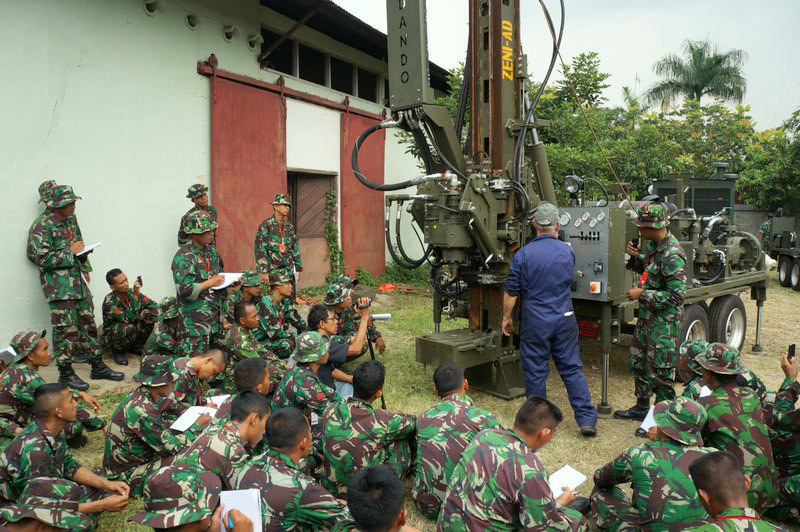 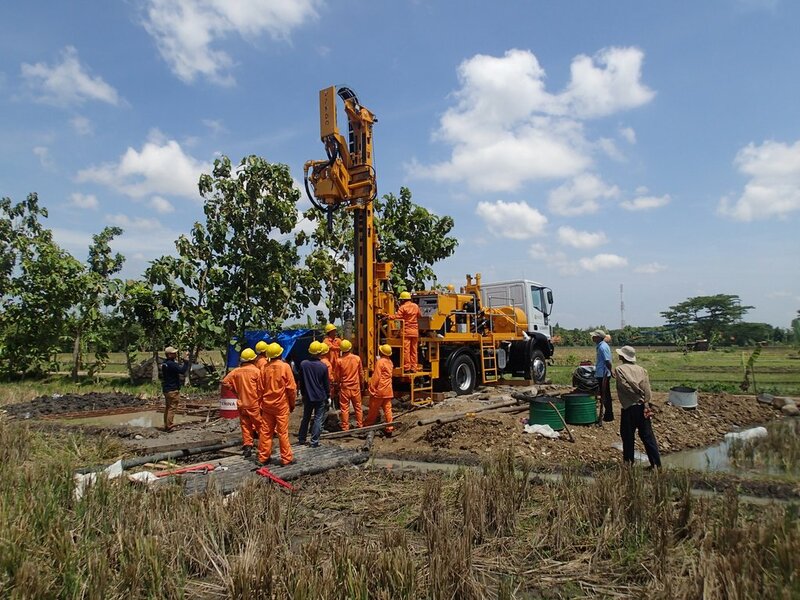 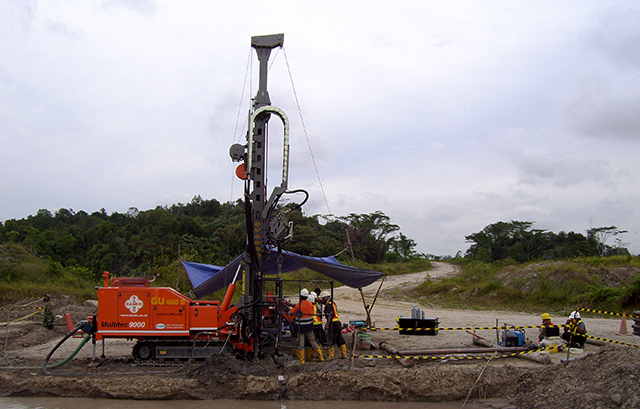 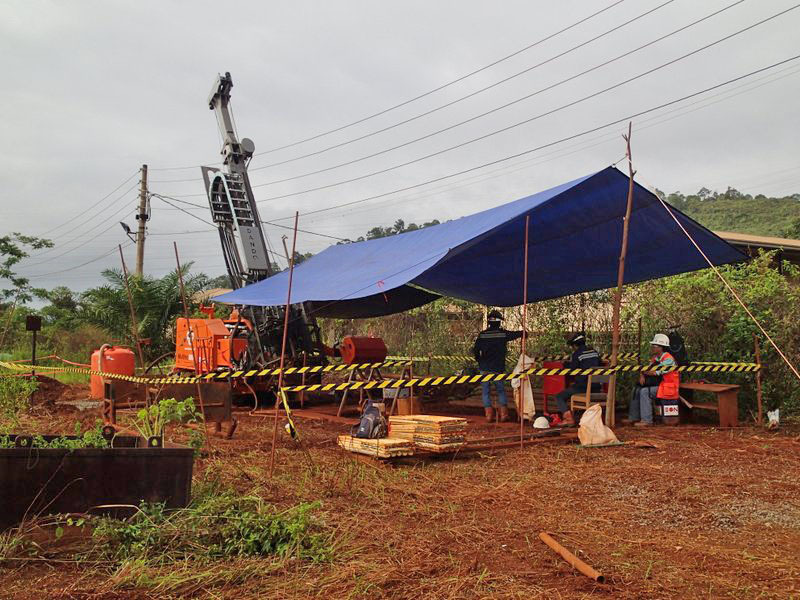 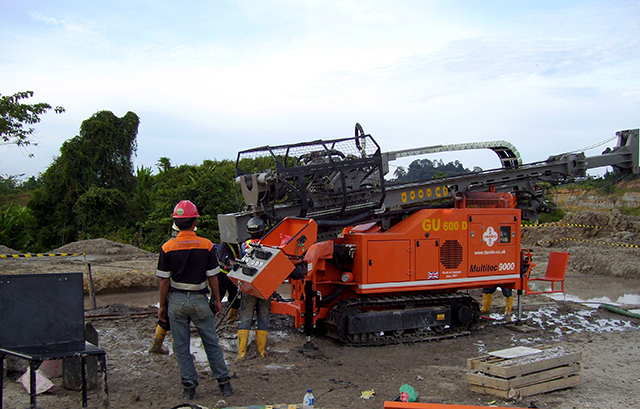 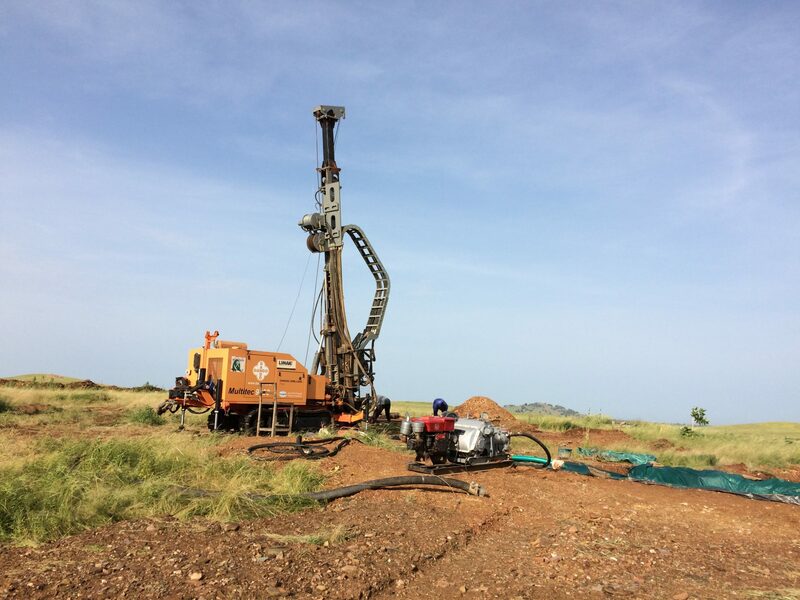 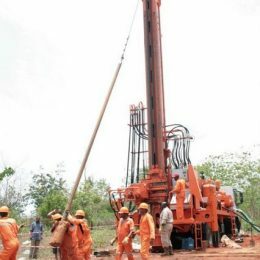 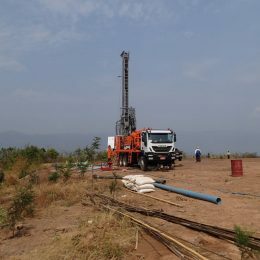 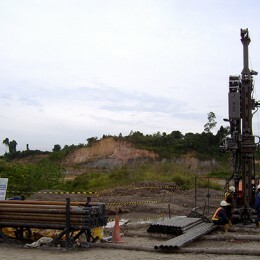 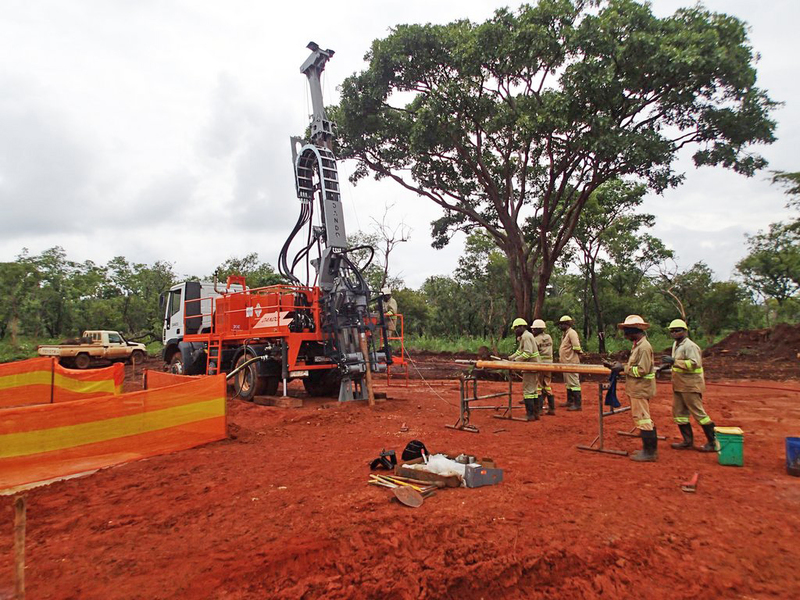 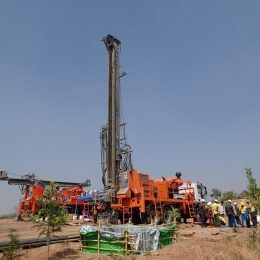 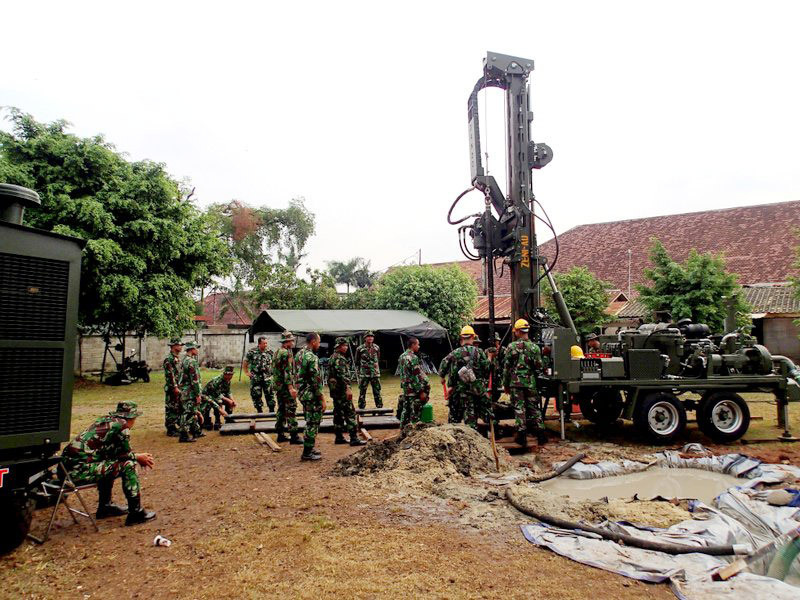 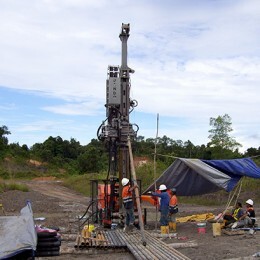 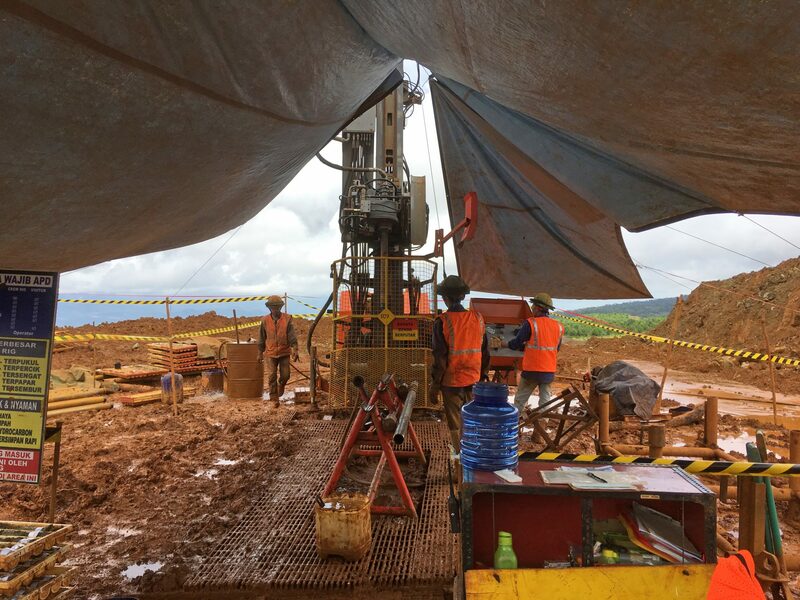 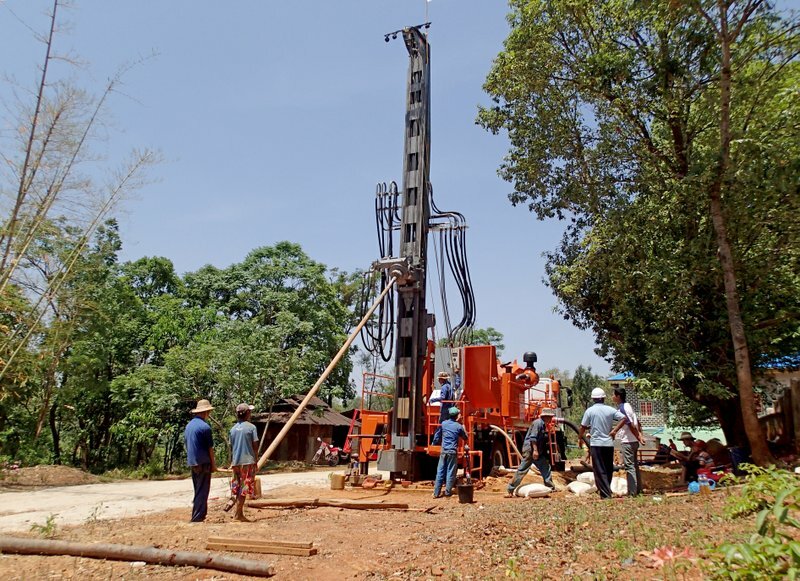 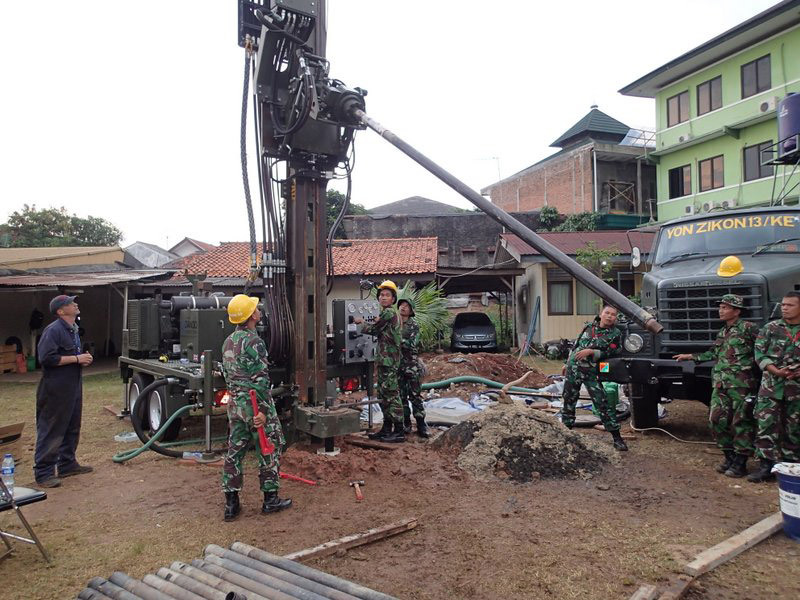 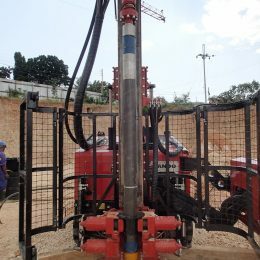 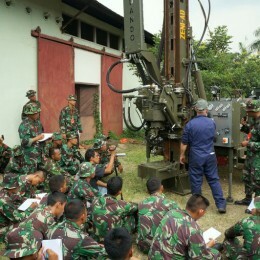 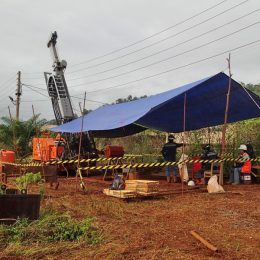 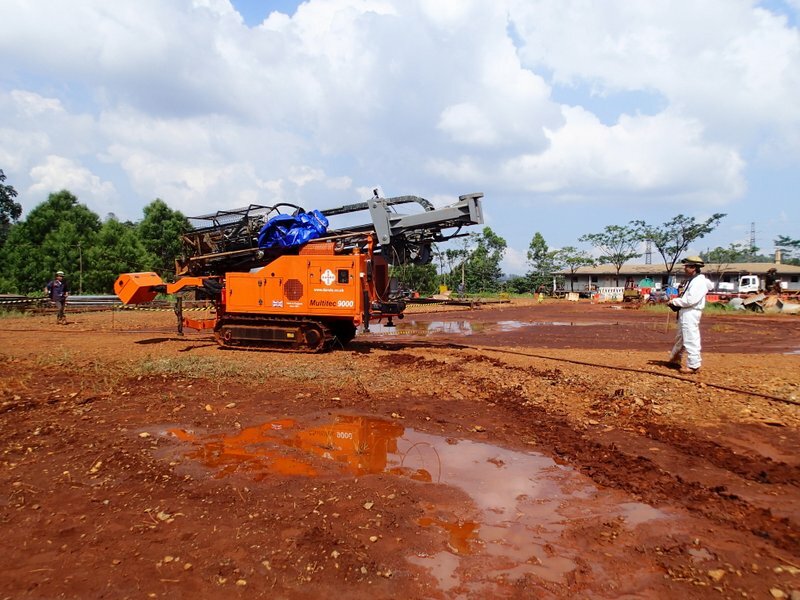 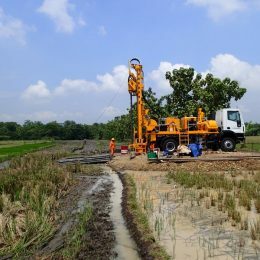 One of two Jackal 9000 rigs (Formerly the Multitec 9000) being used for nickel exploration in Sulawesi, Indonesia. 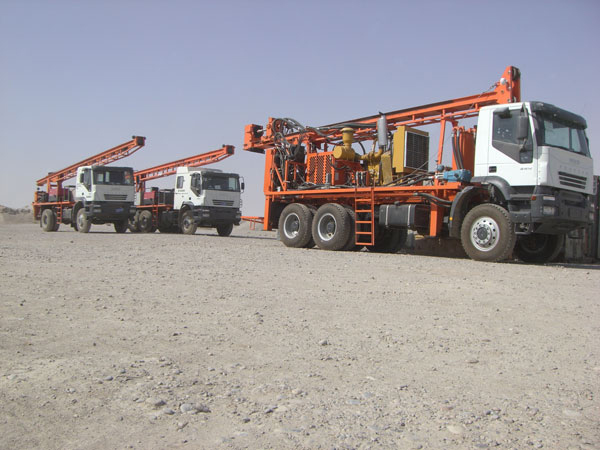 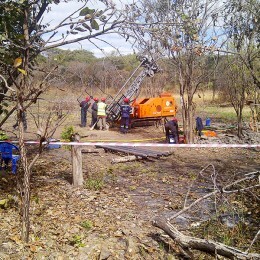 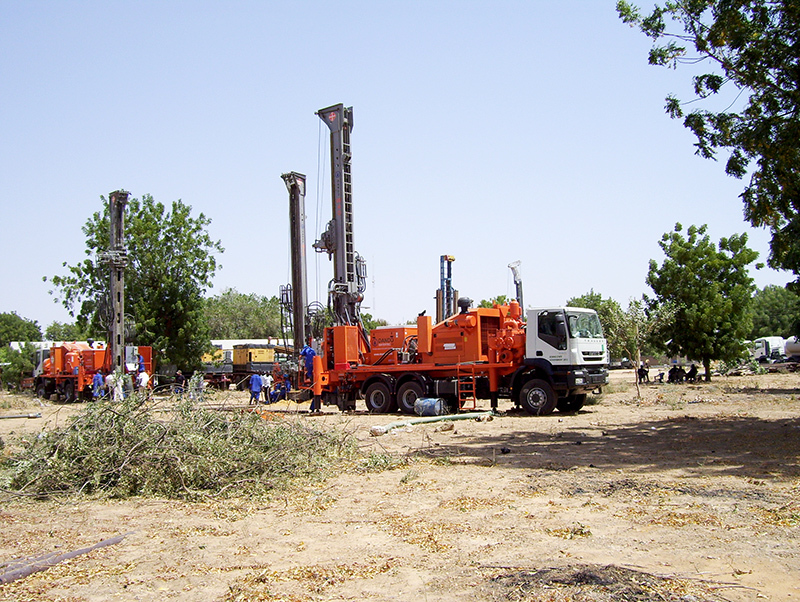 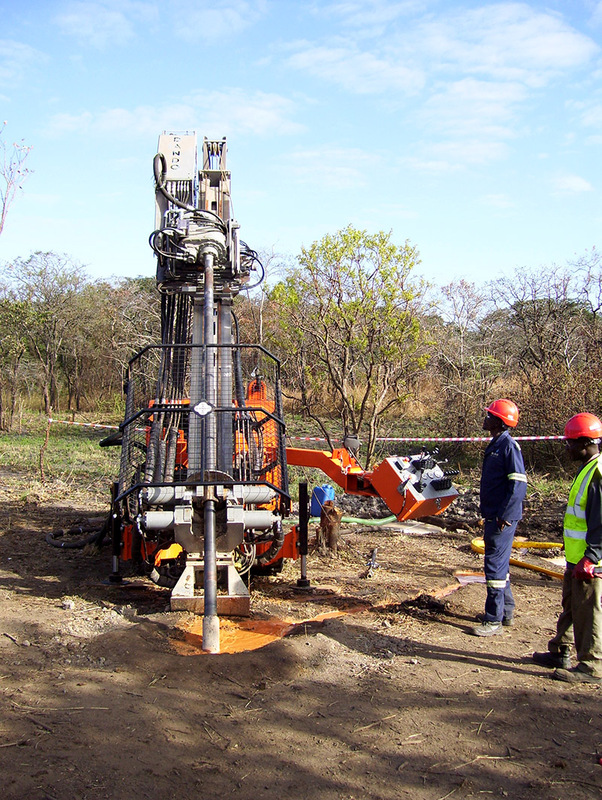 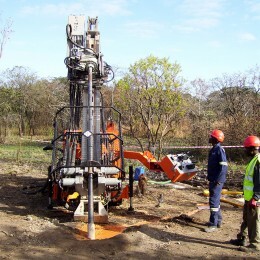 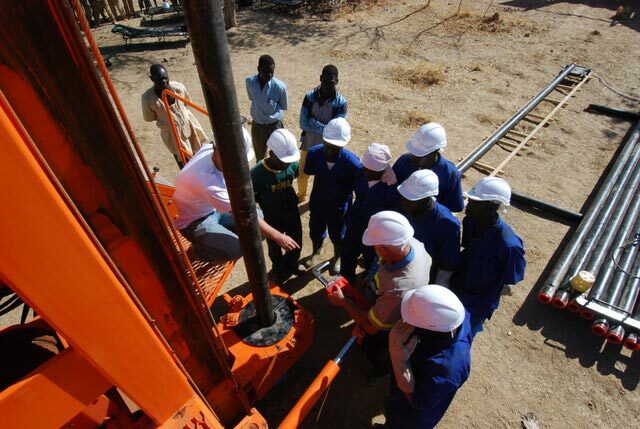 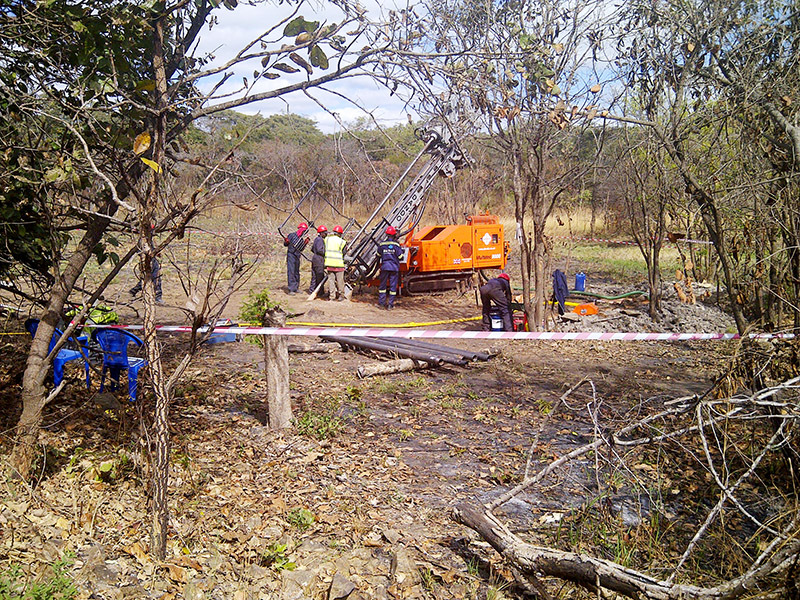 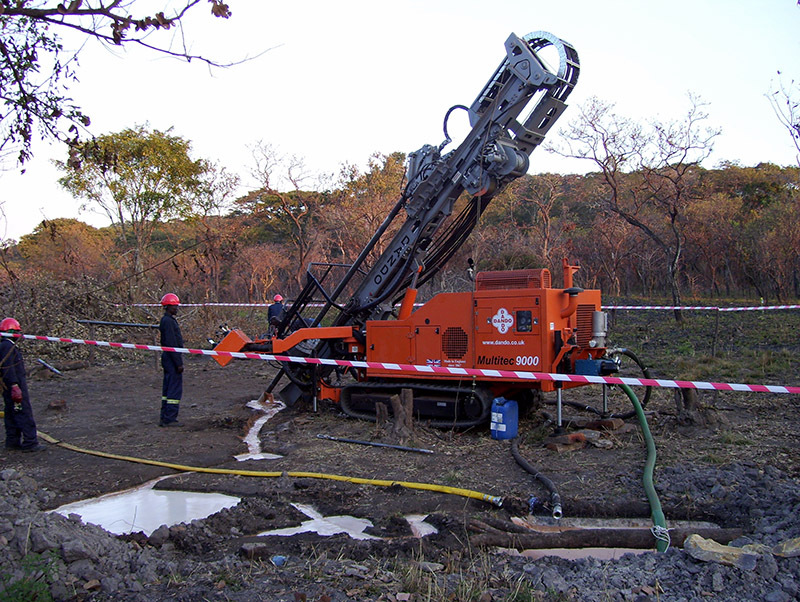 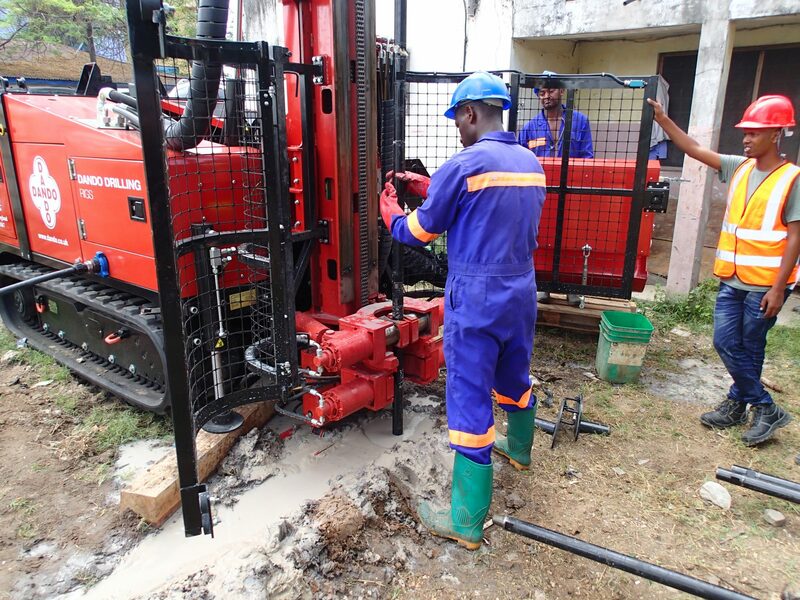 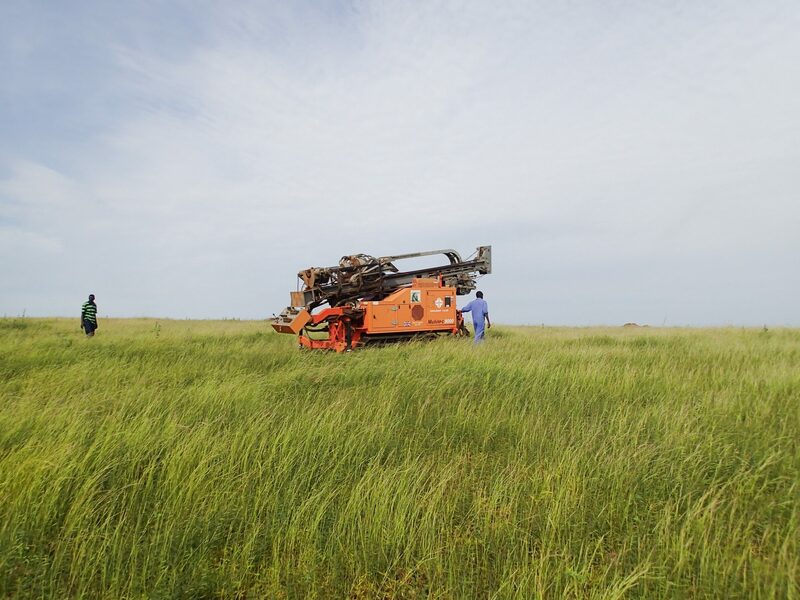 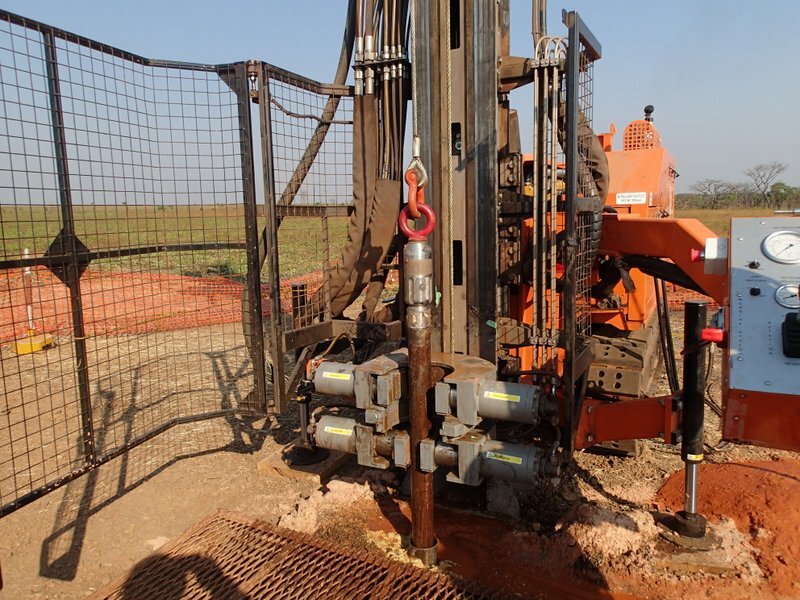 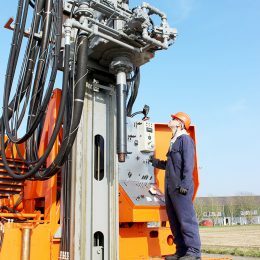 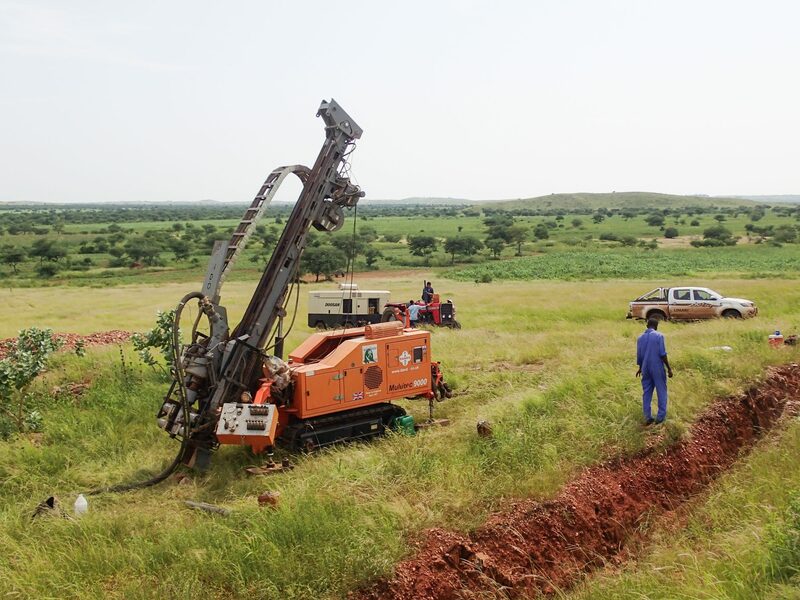 The track mounted multipurpose rigs have been conducting wireline coring up to 130m in areas of difficult terrain. 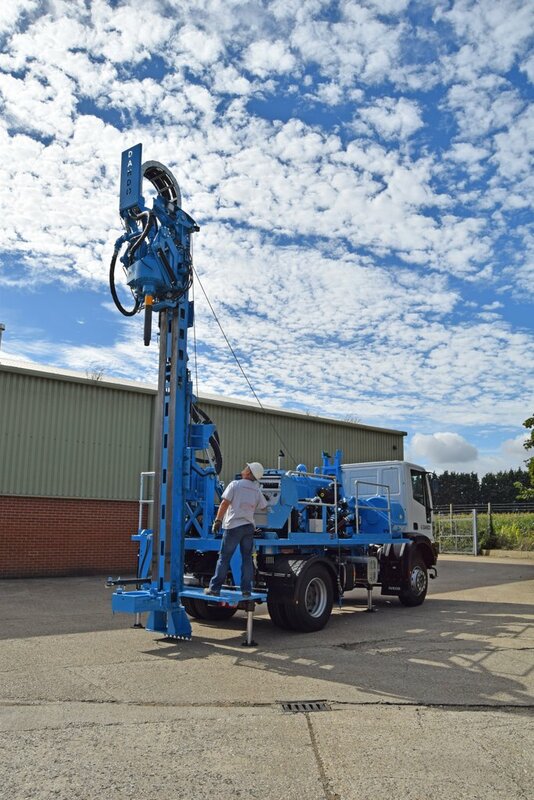 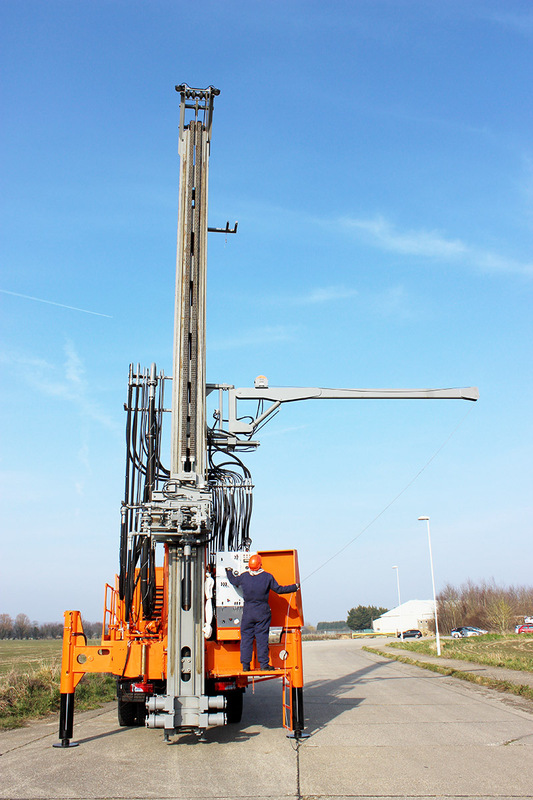 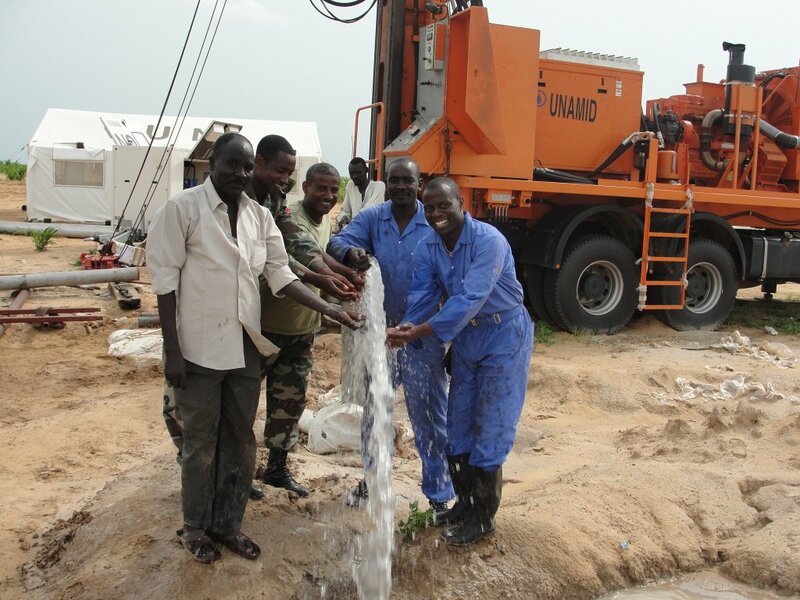 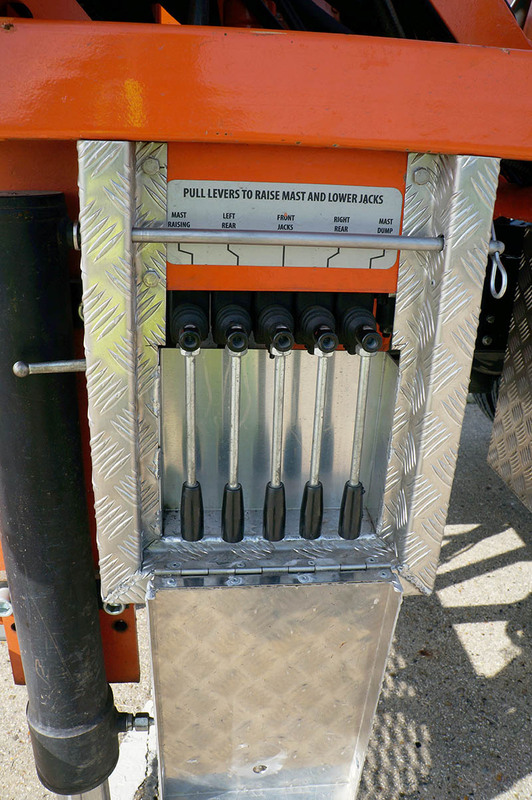 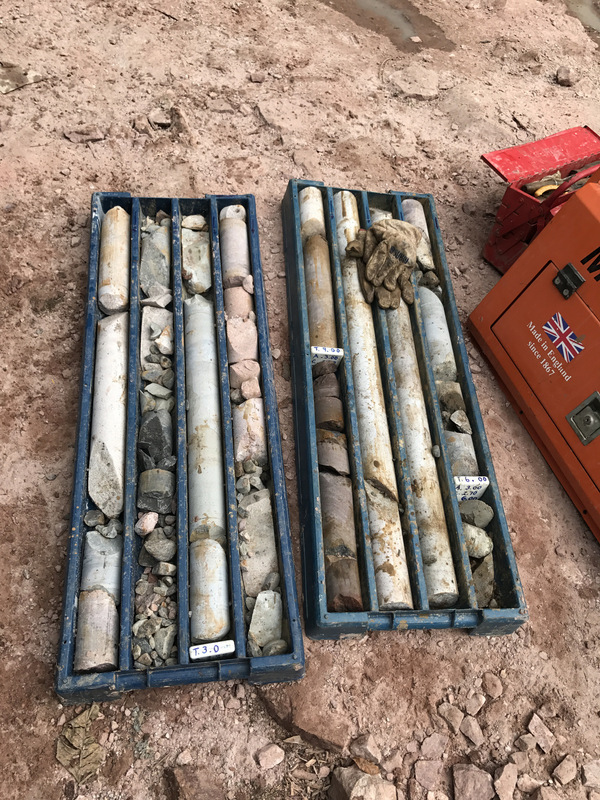 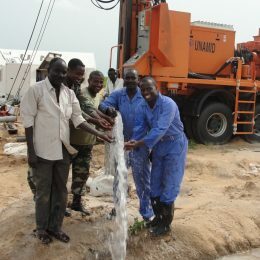 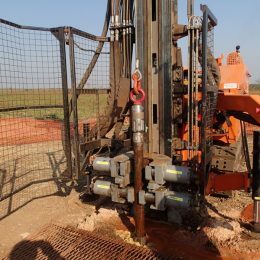 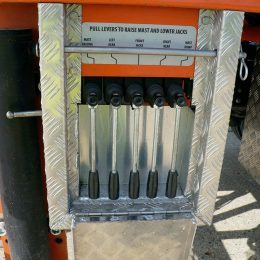 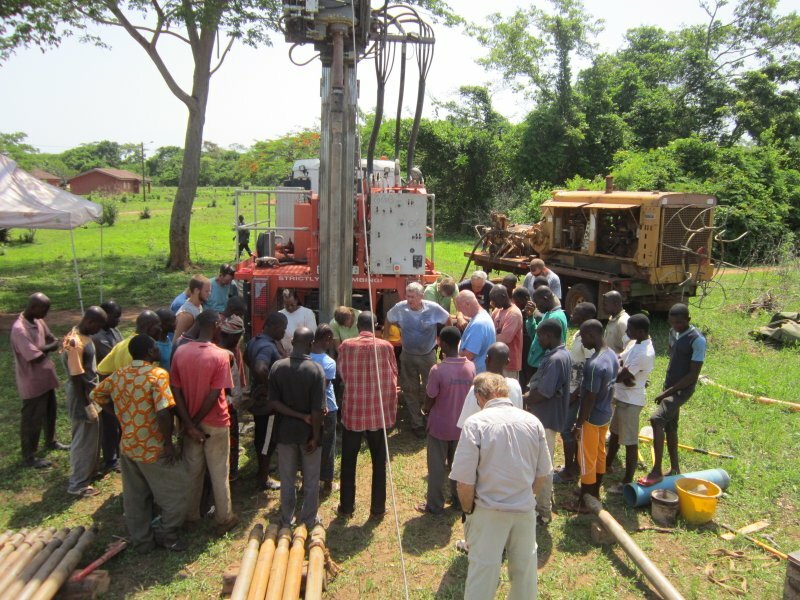 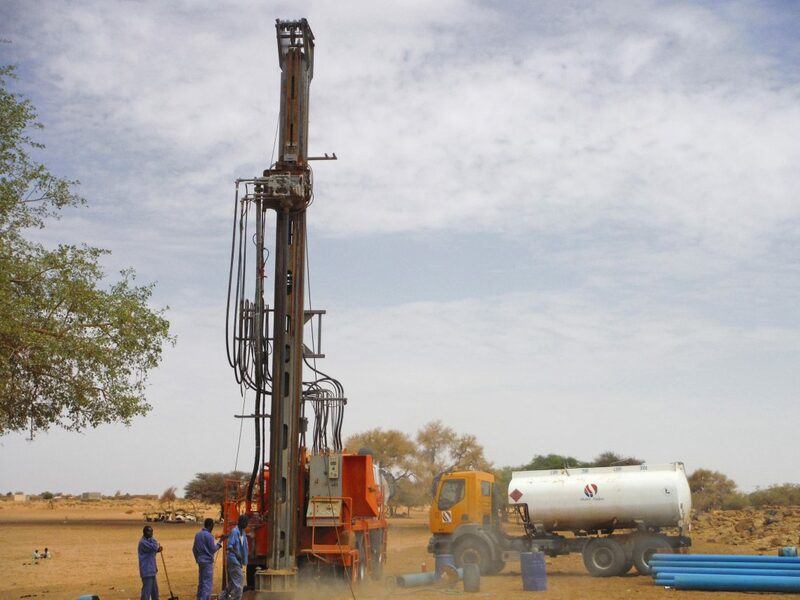 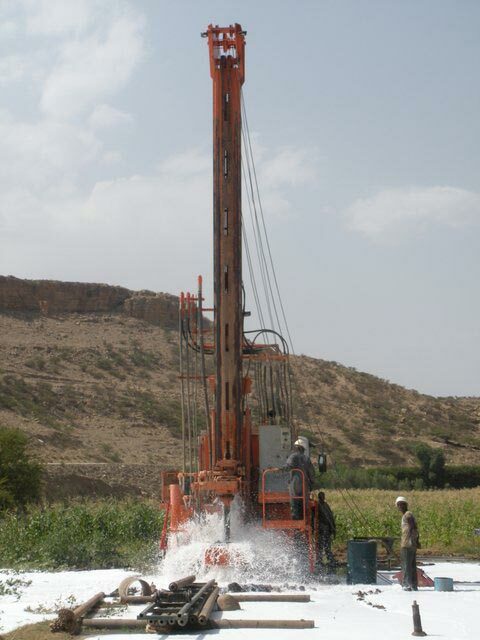 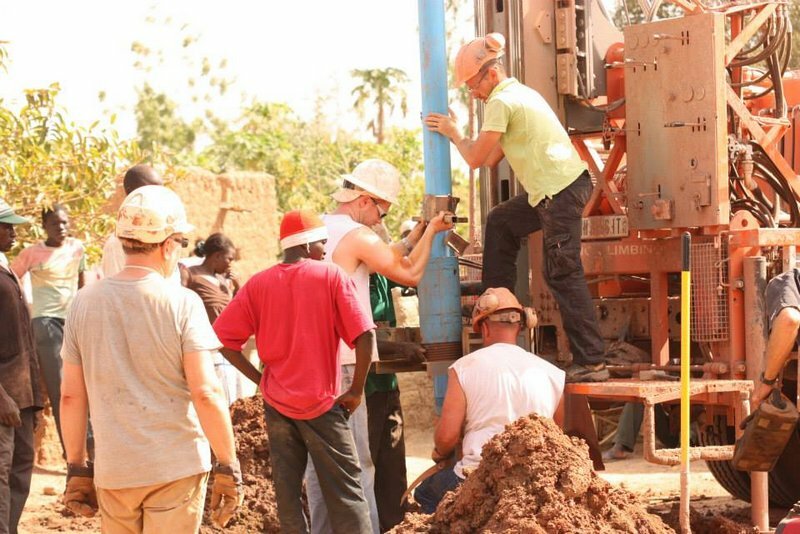 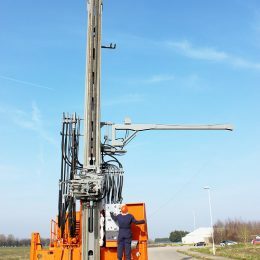 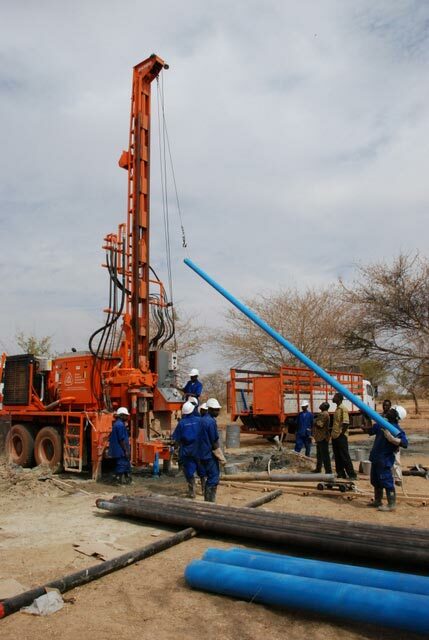 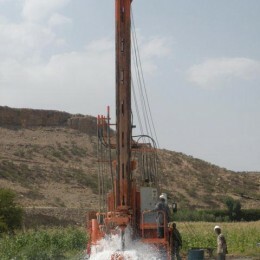 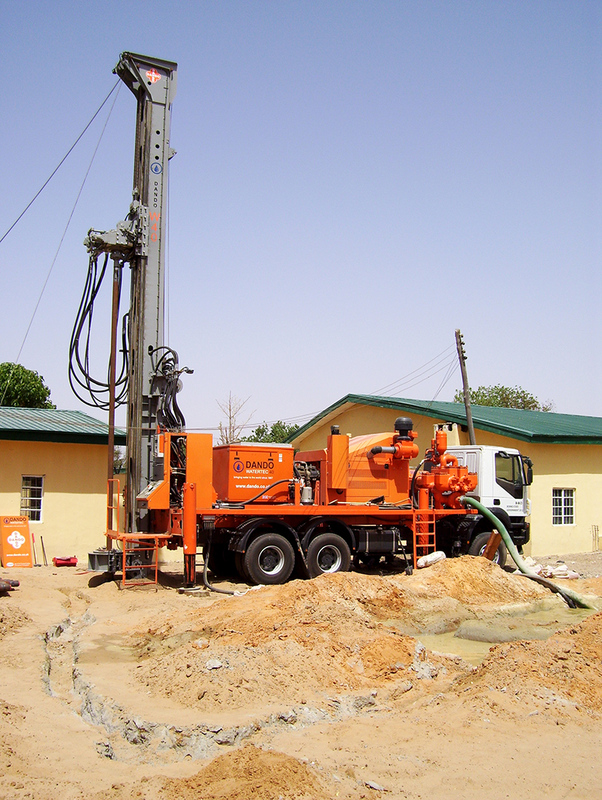 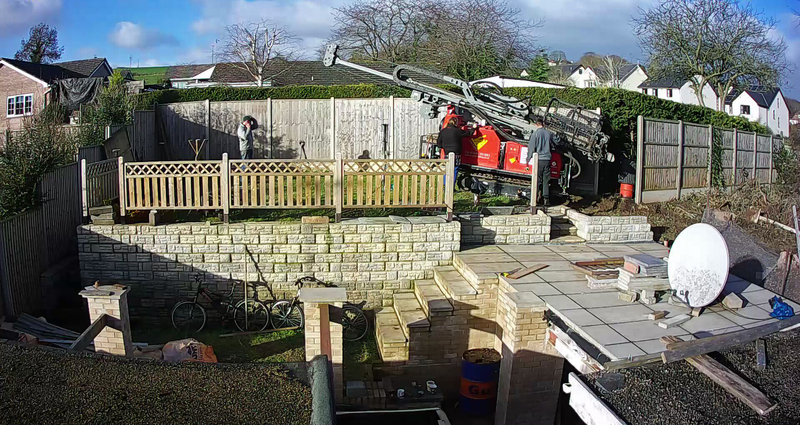 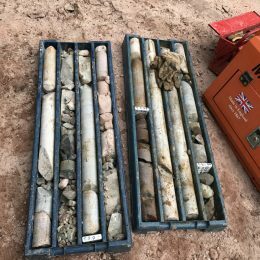 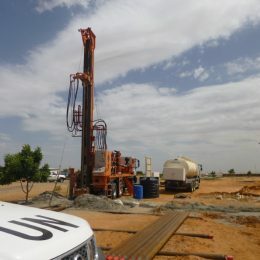 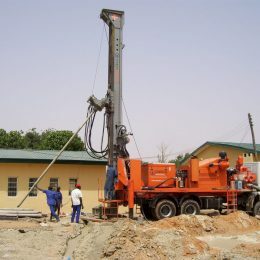 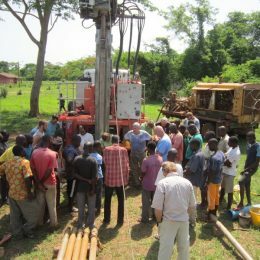 4” Reverse Circulation boreholes between 100m and 150m, drilled at angles between 60 degrees and vertical. 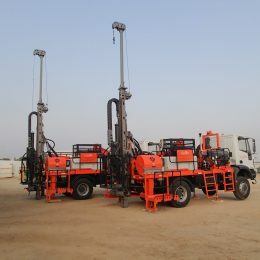 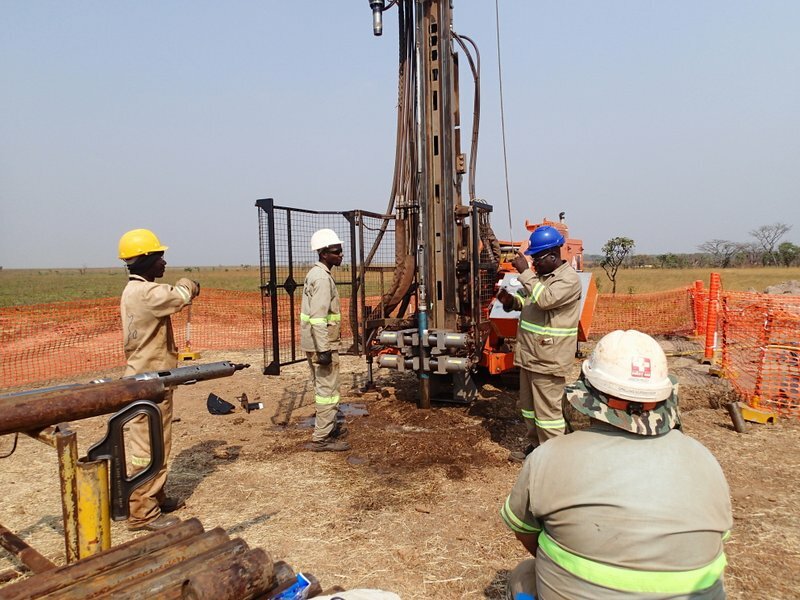 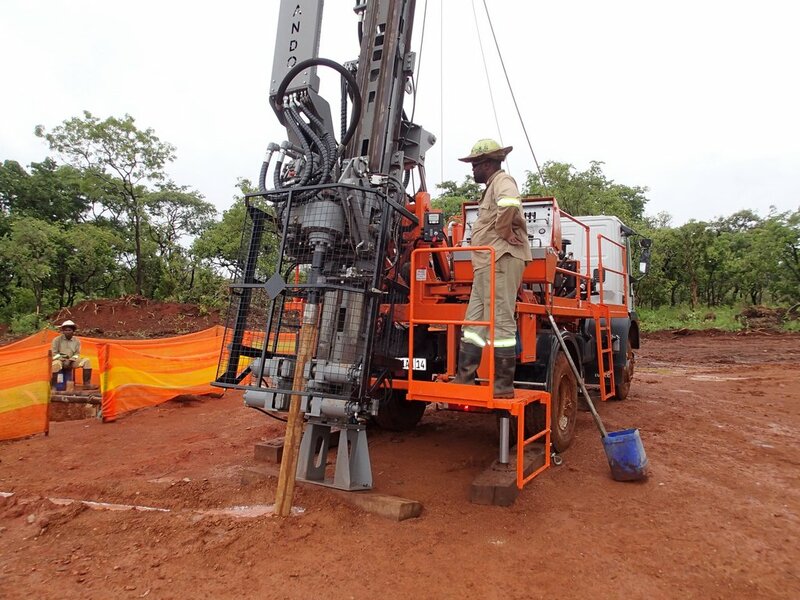 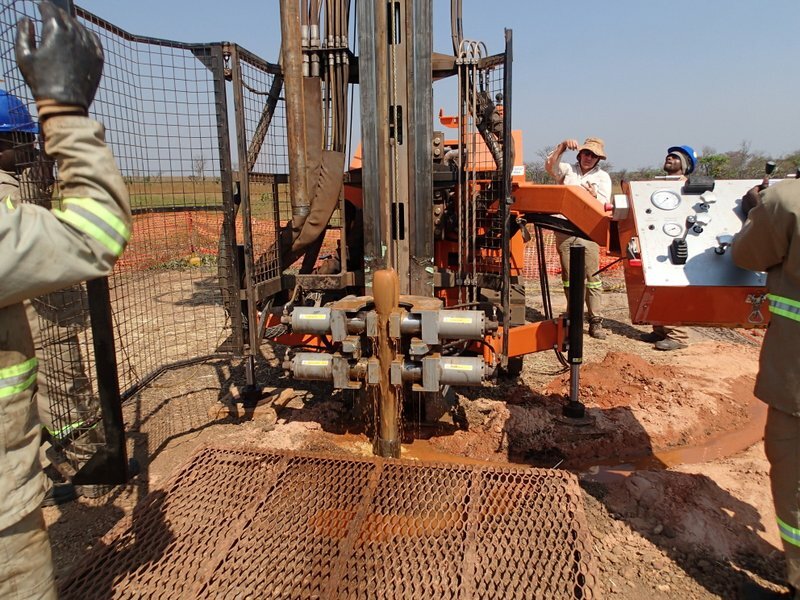 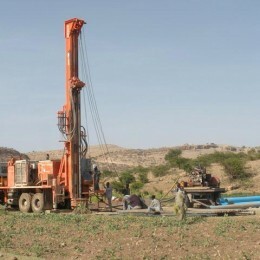 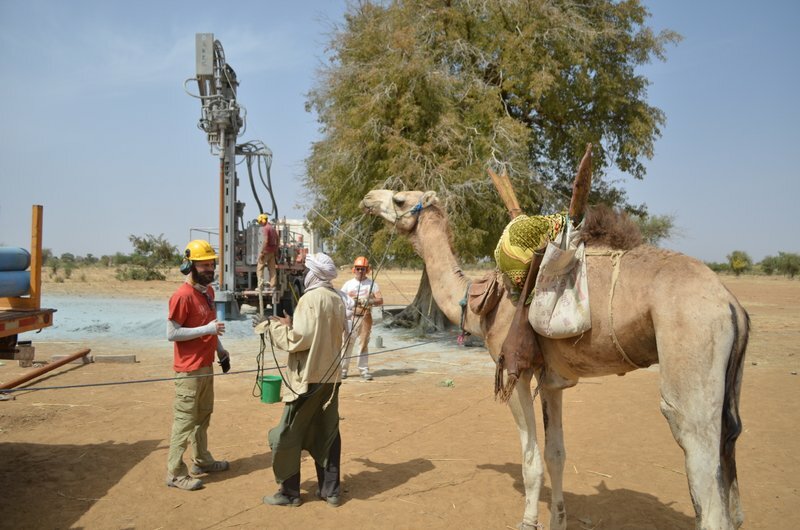 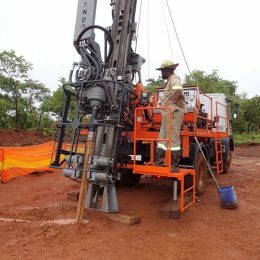 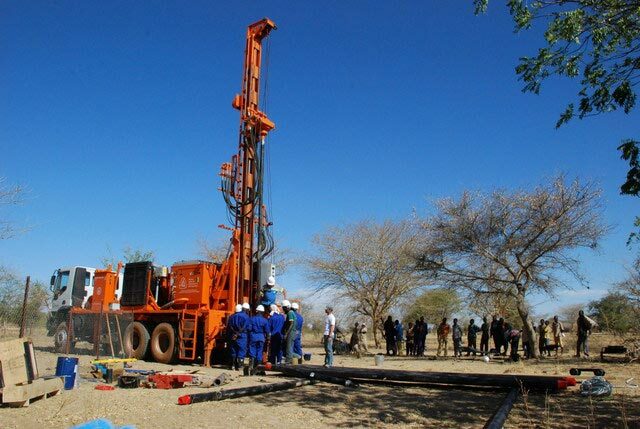 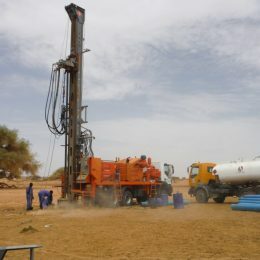 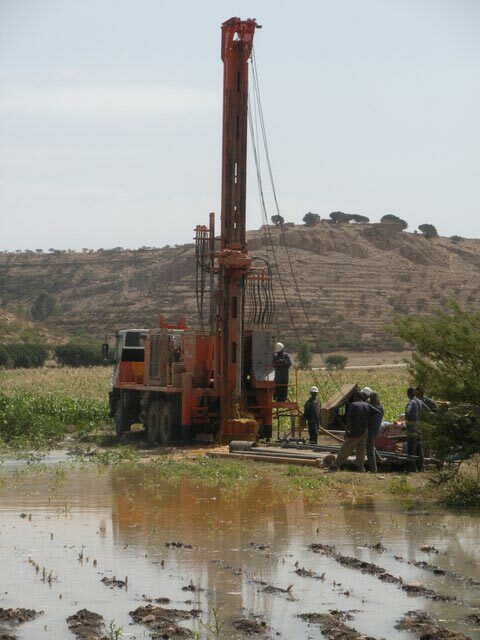 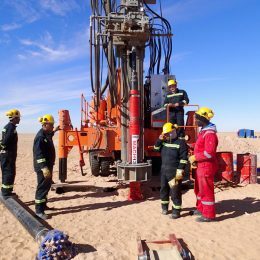 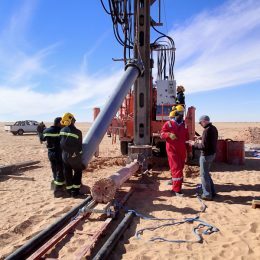 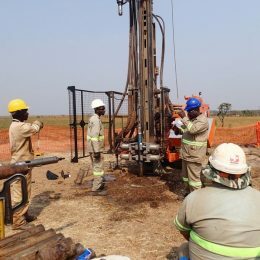 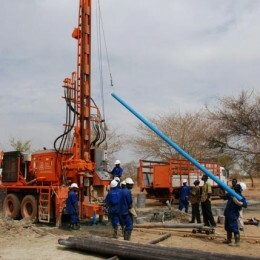 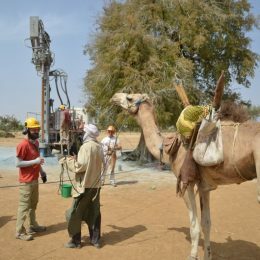 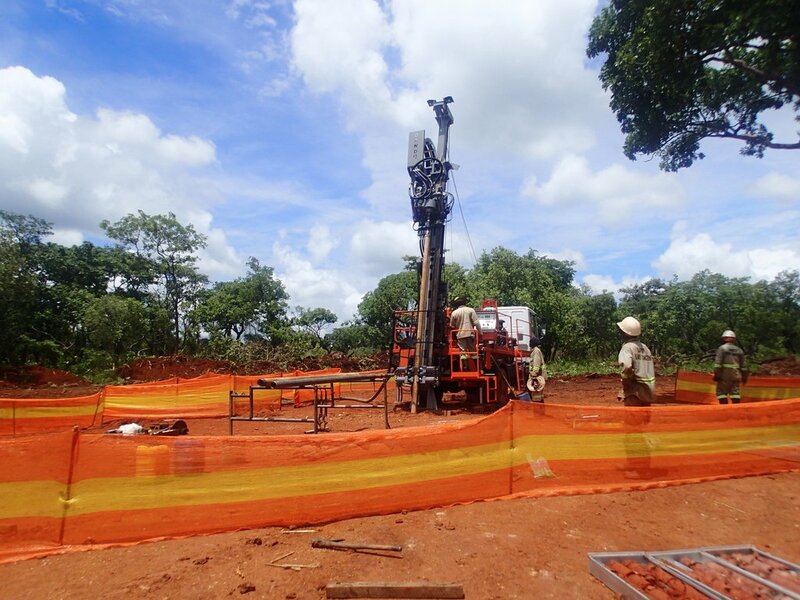 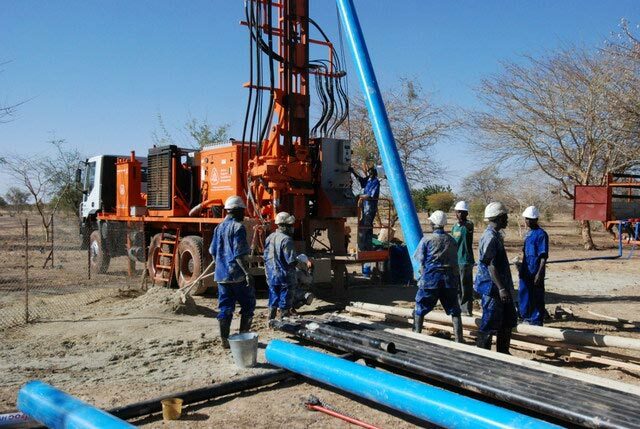 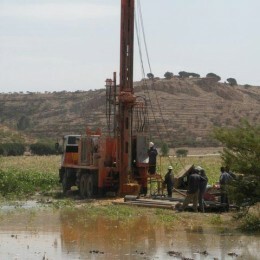 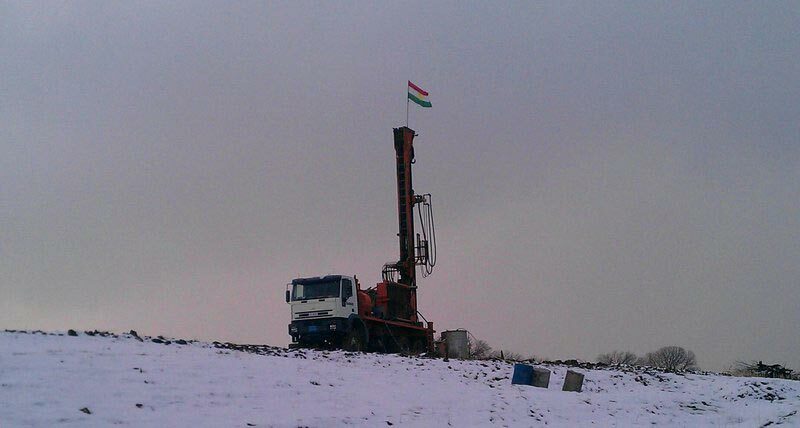 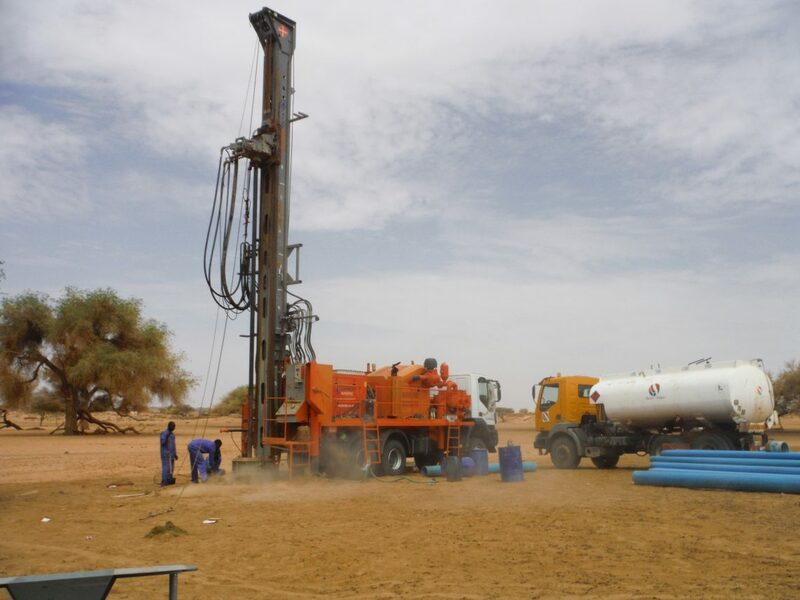 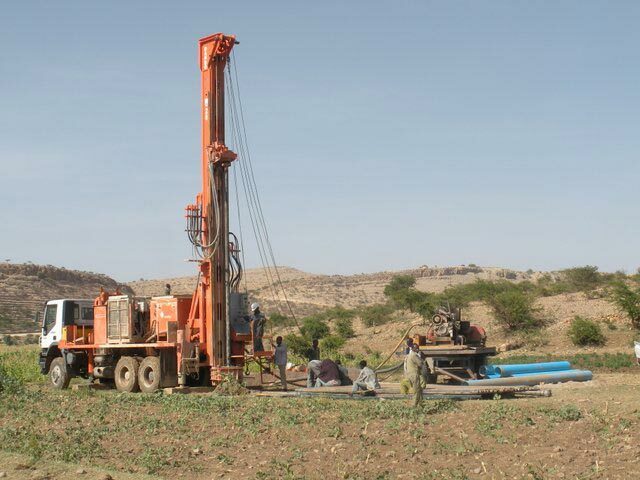 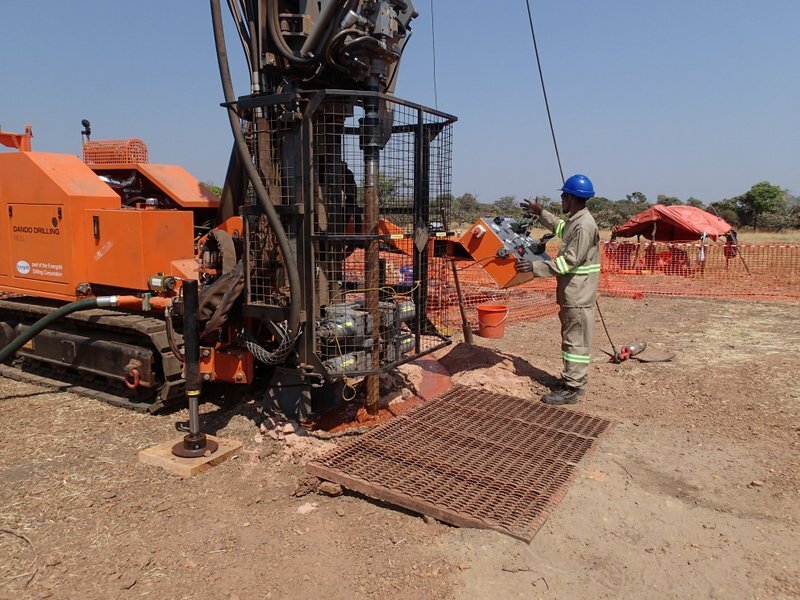 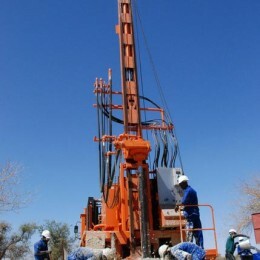 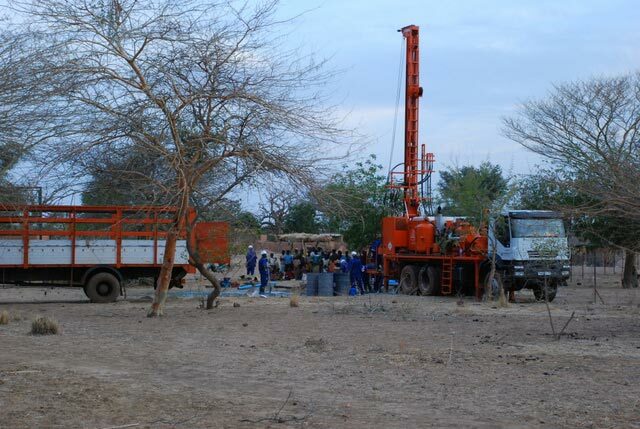 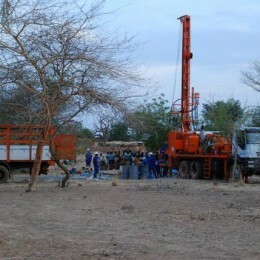 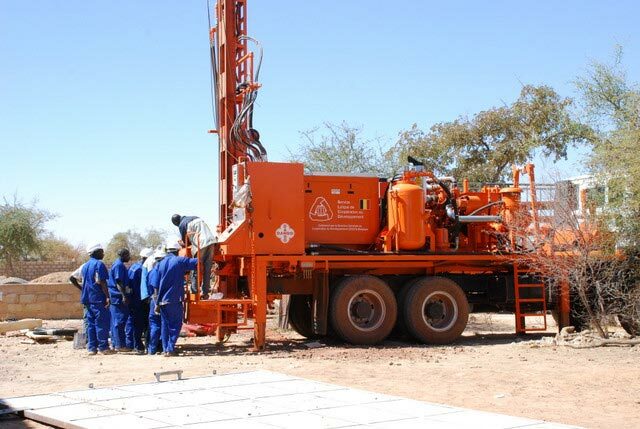 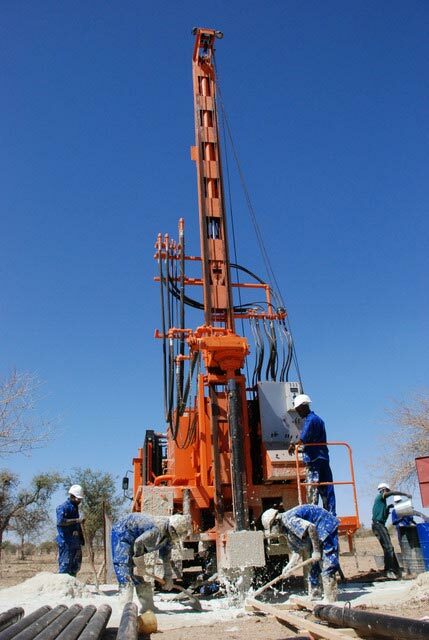 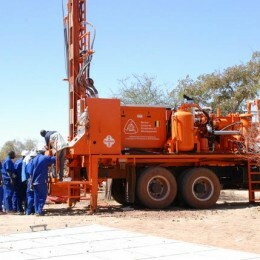 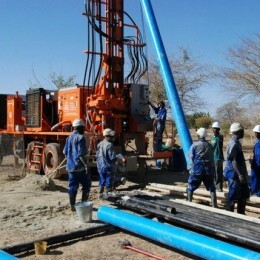 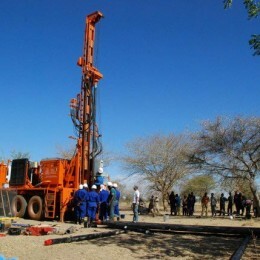 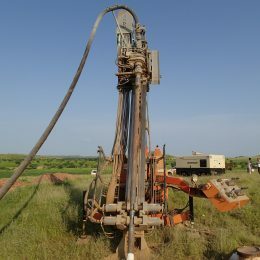 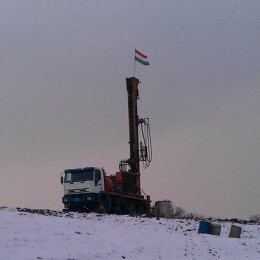 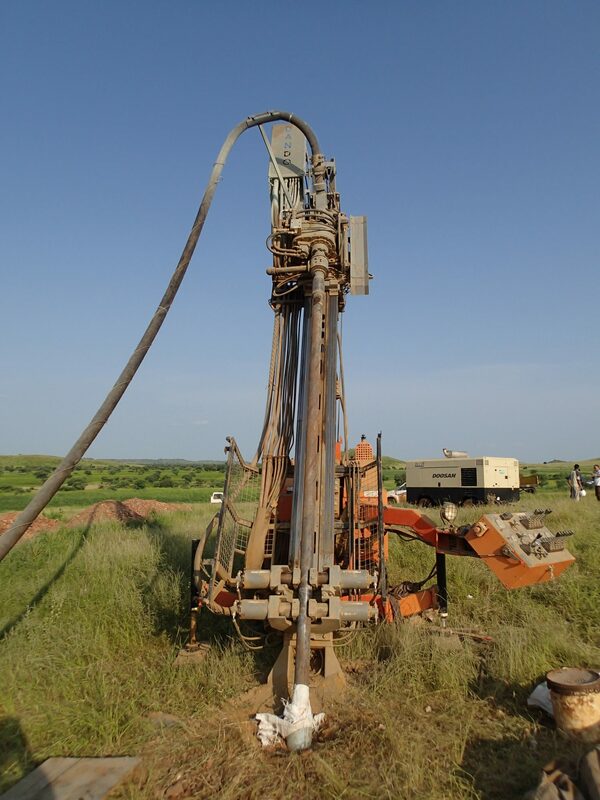 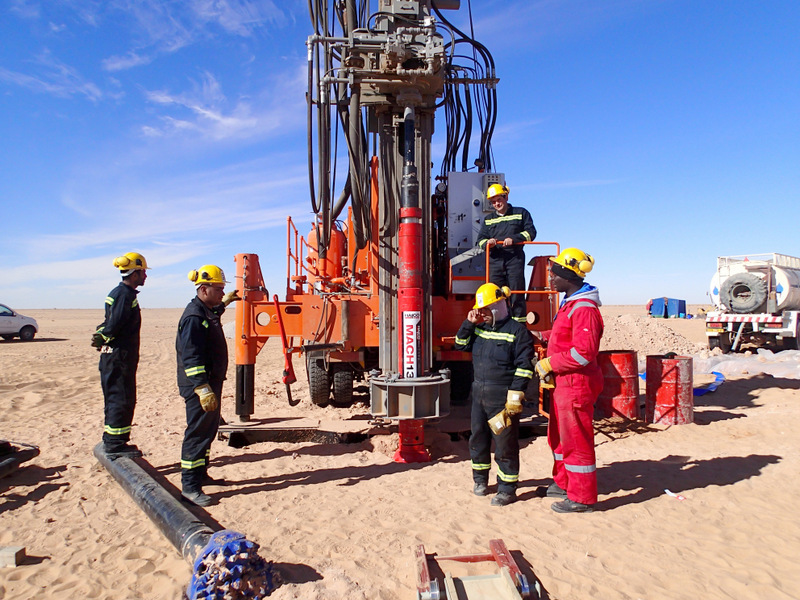 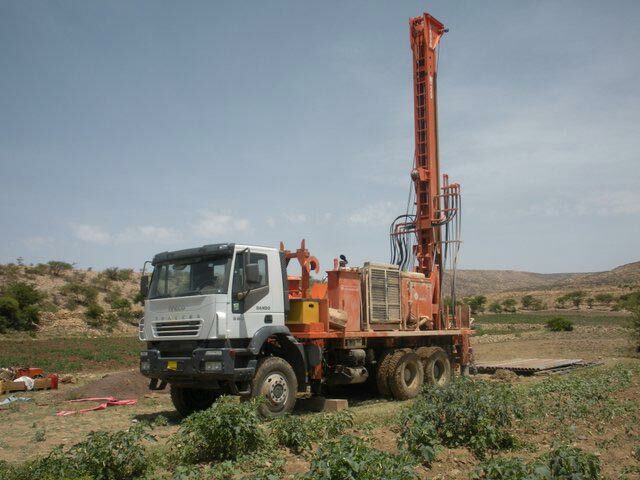 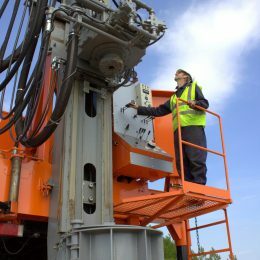 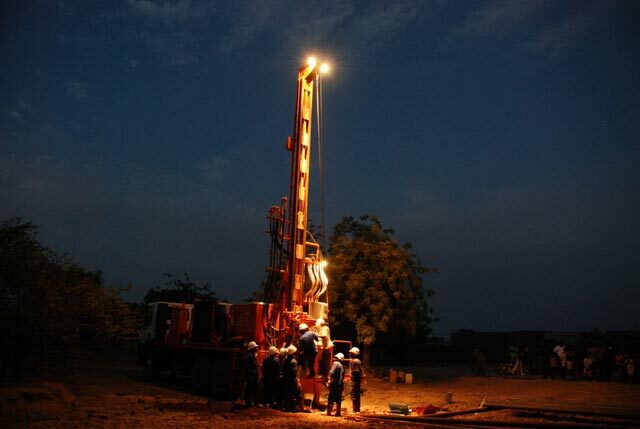 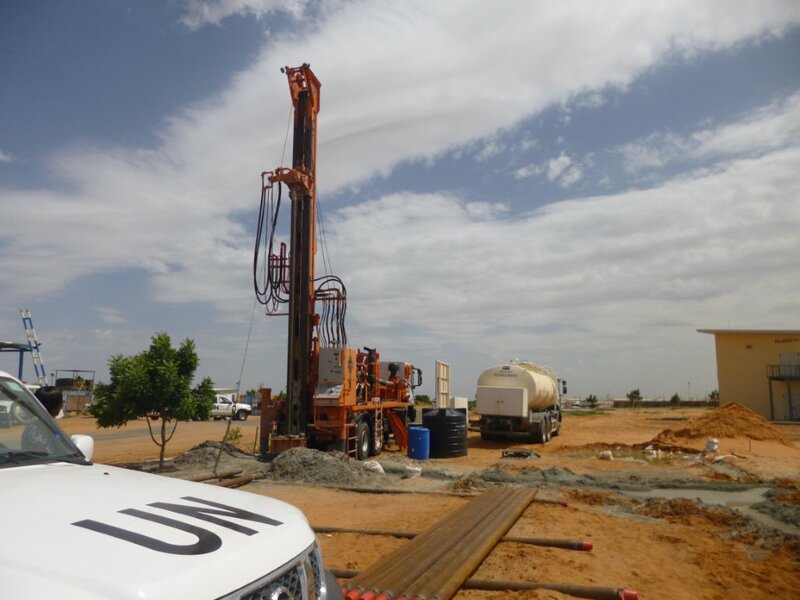 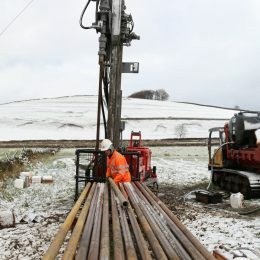 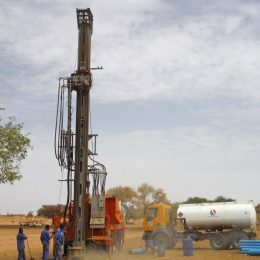 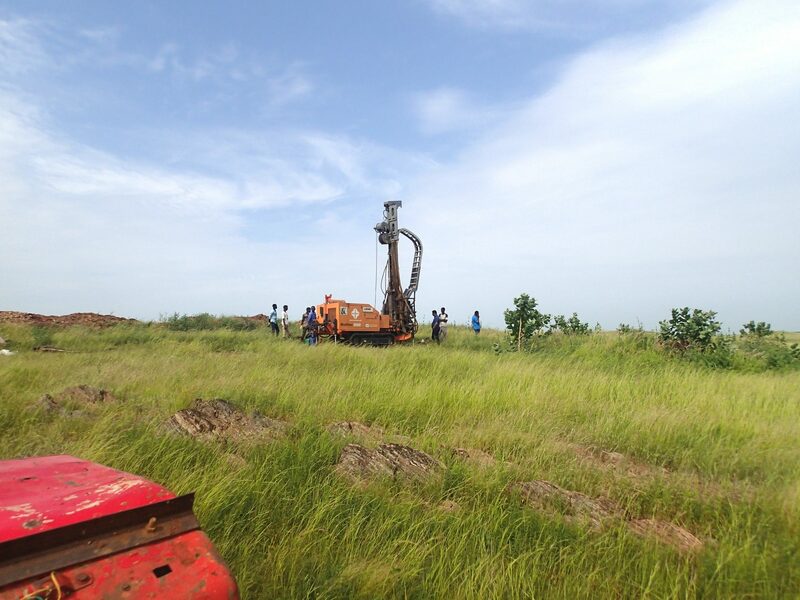 The rig is also conducting H wireline core drilling to provide further information in select areas. 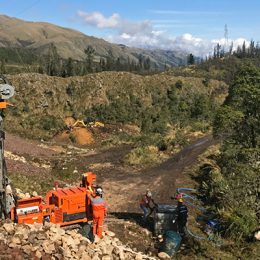 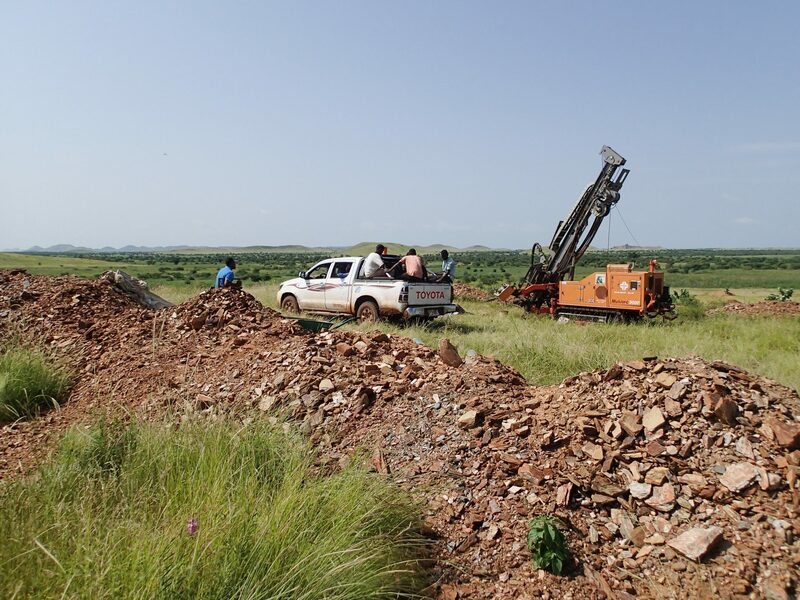 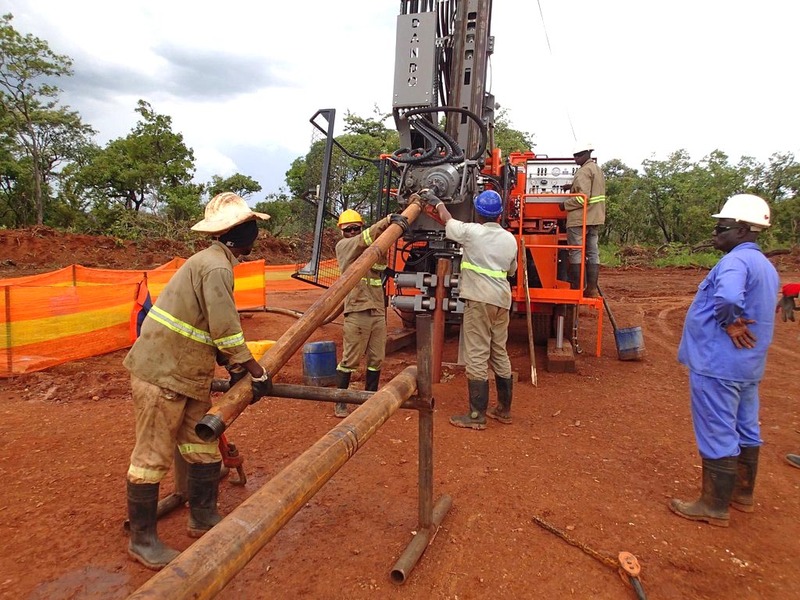 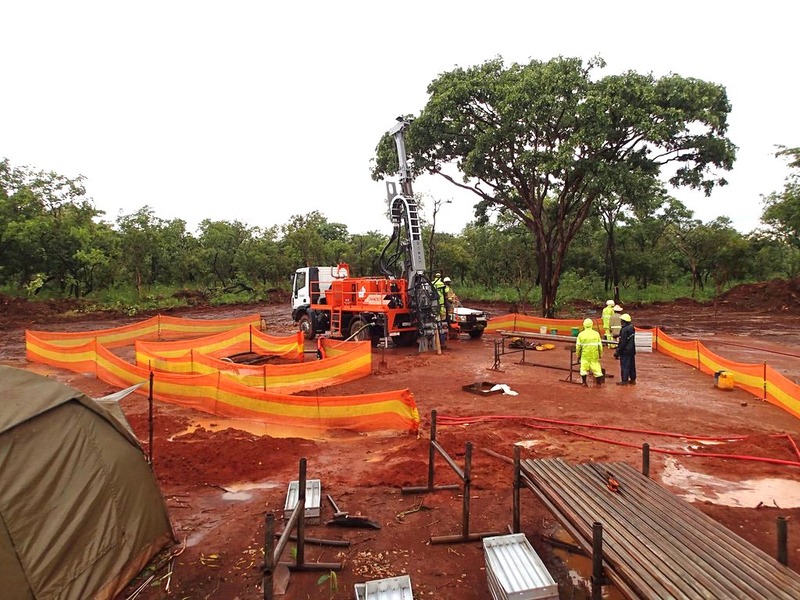 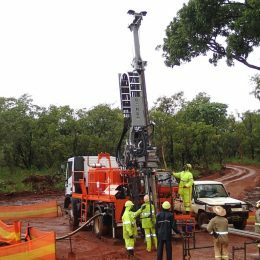 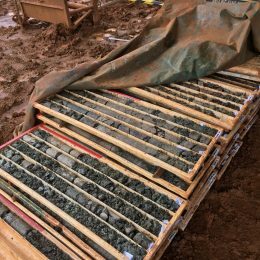 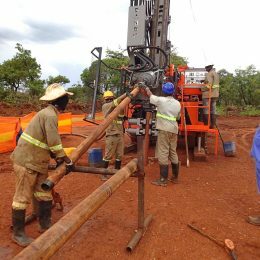 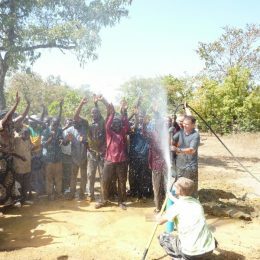 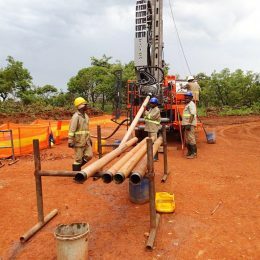 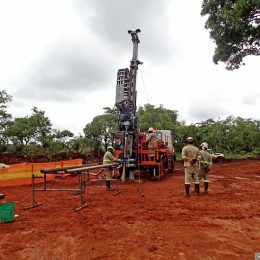 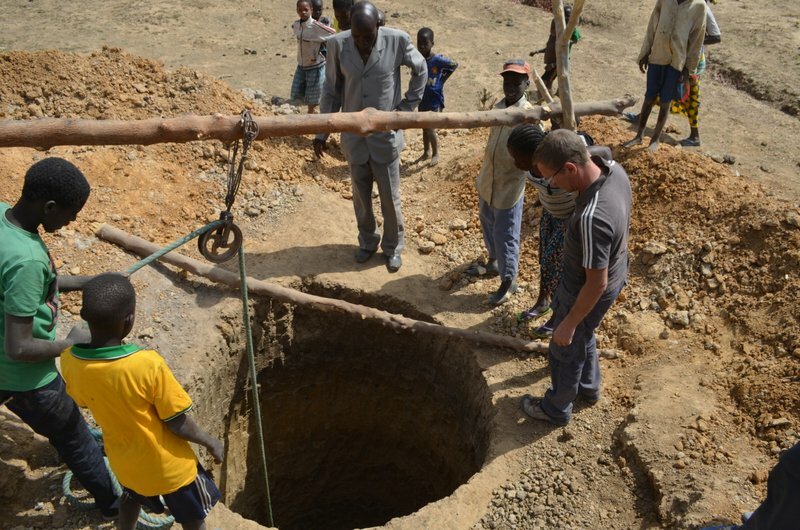 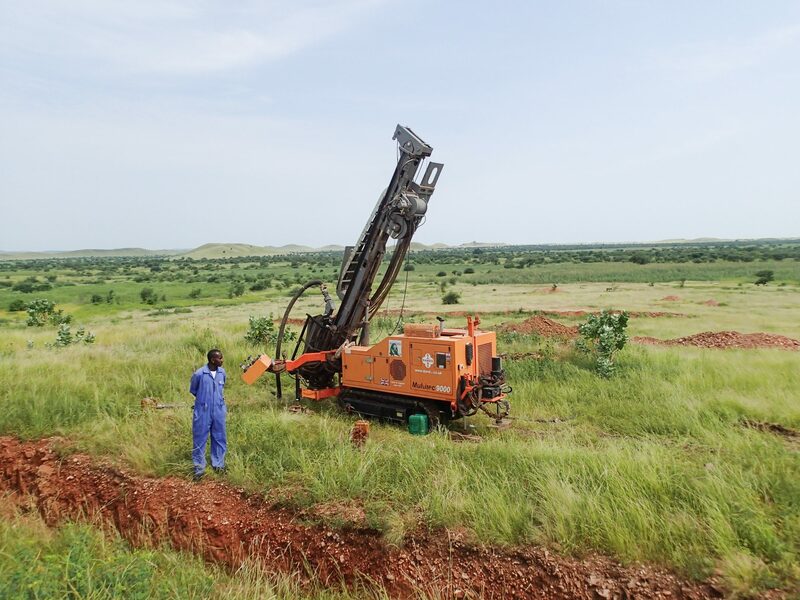 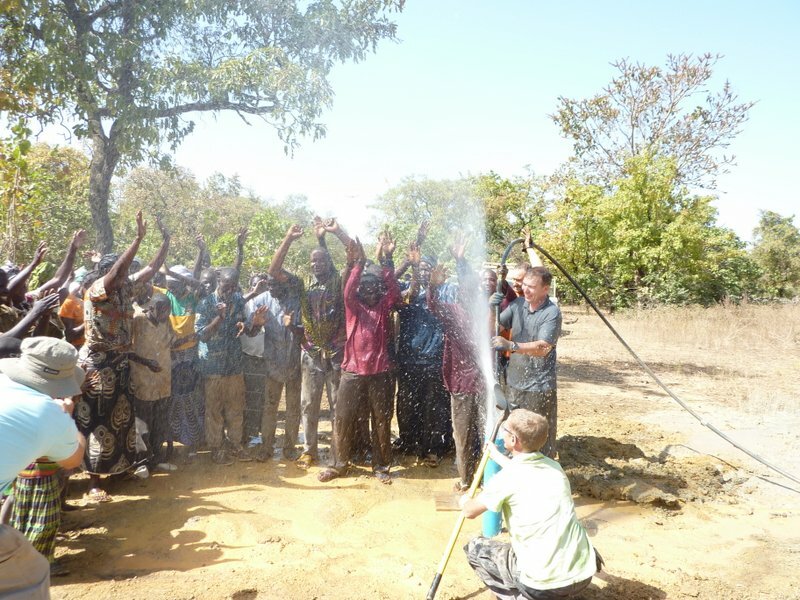 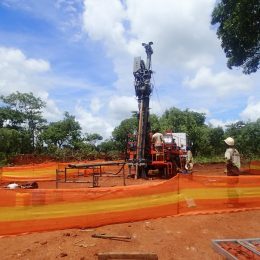 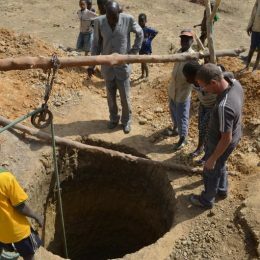 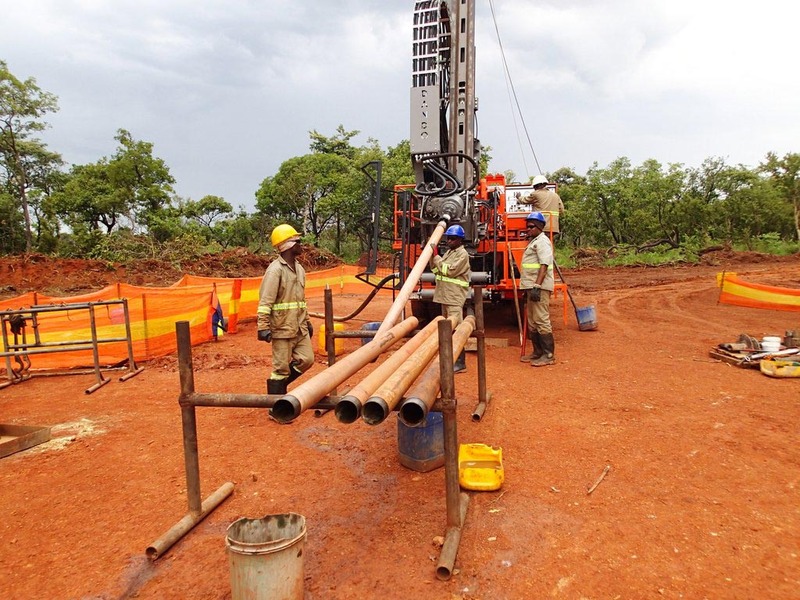 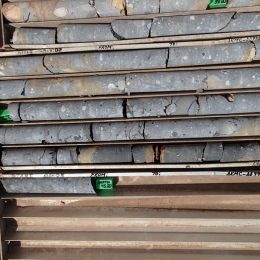 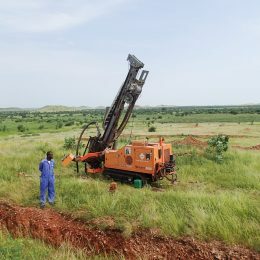 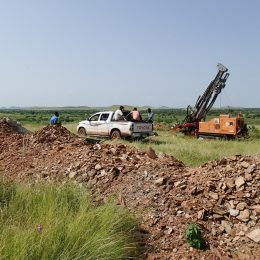 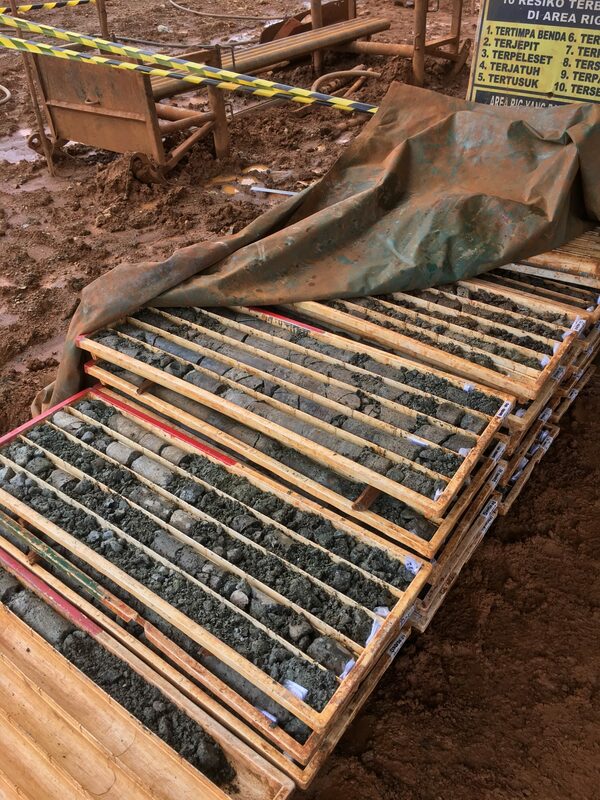 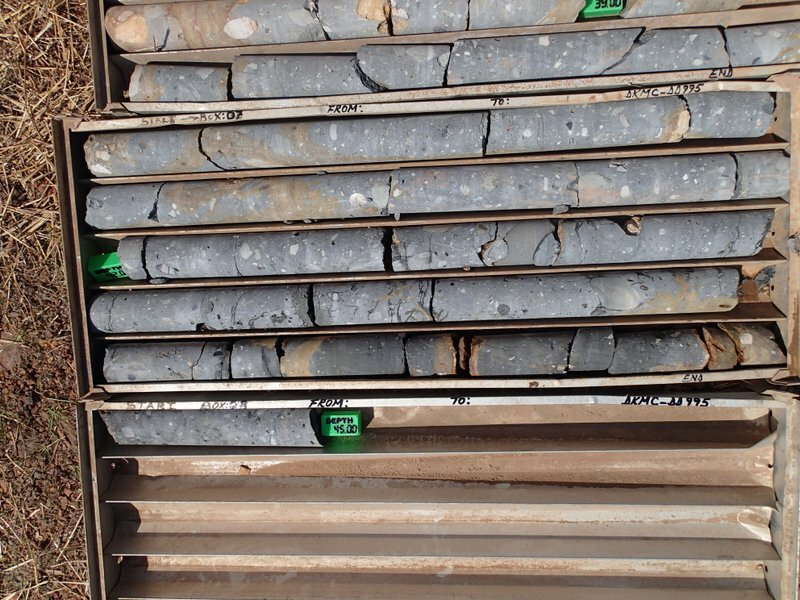 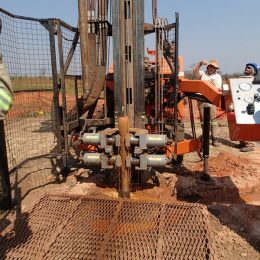 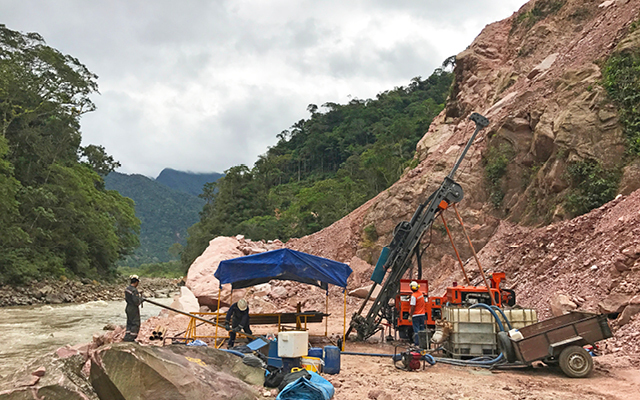 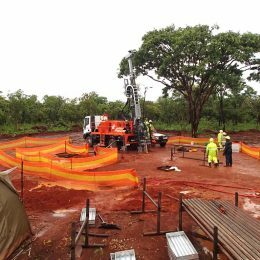 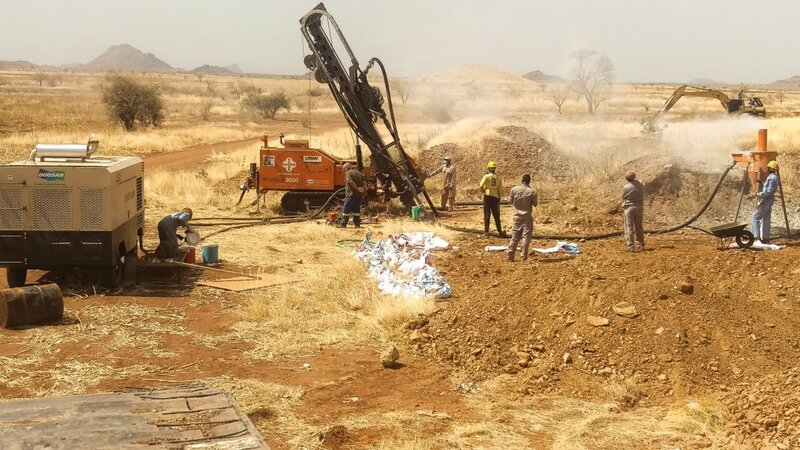 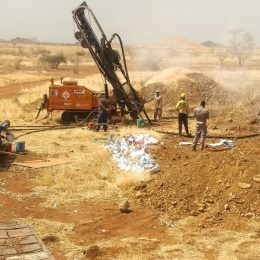 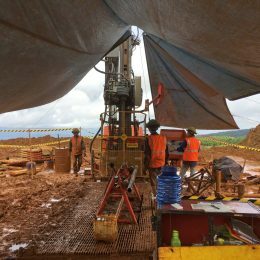 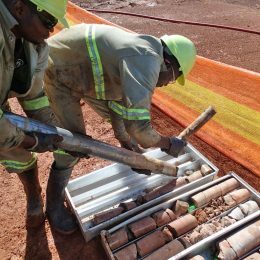 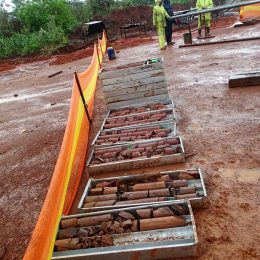 A mining project independently ranked as the world’s largest discovery of undeveloped, high-grade copper. 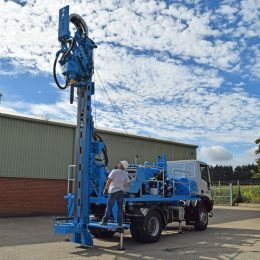 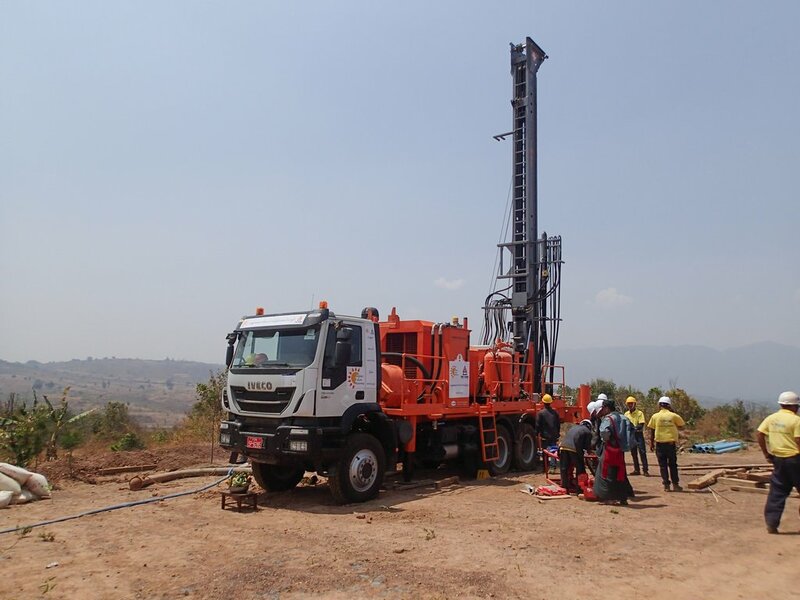 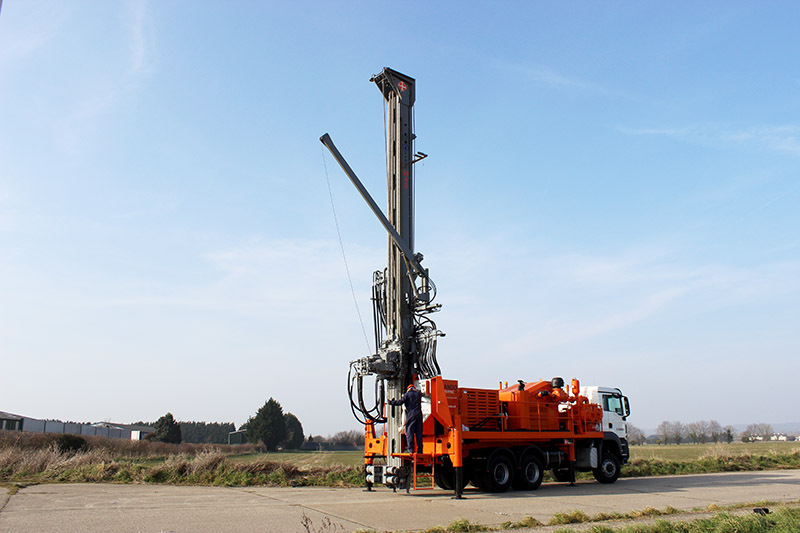 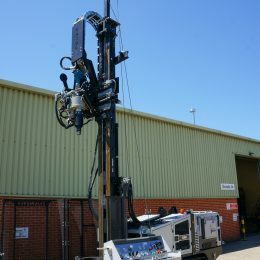 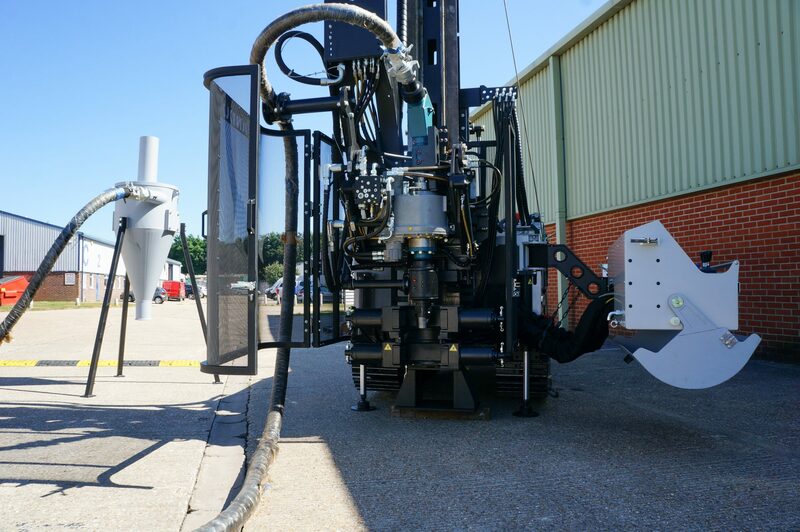 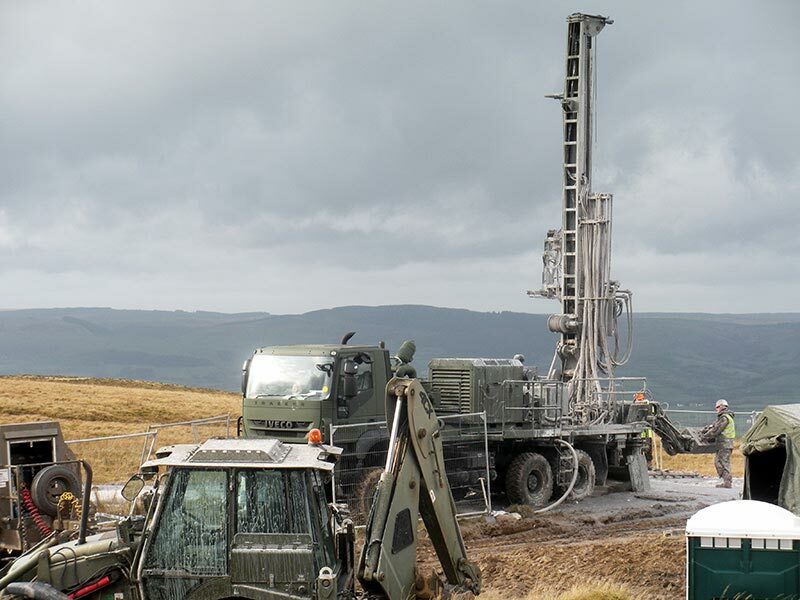 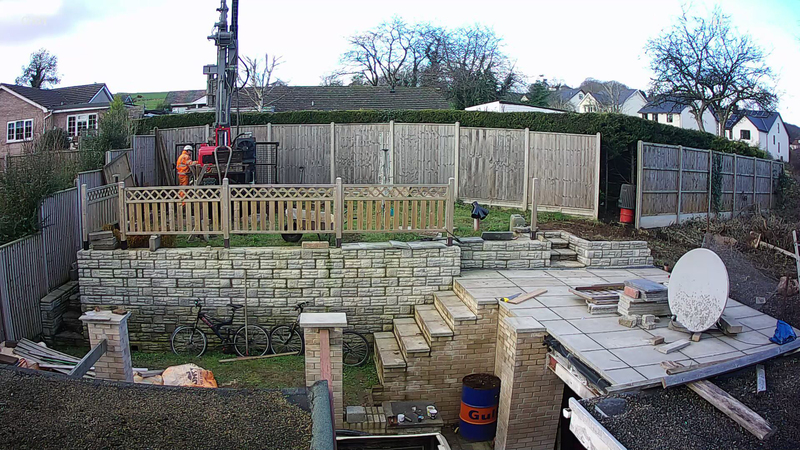 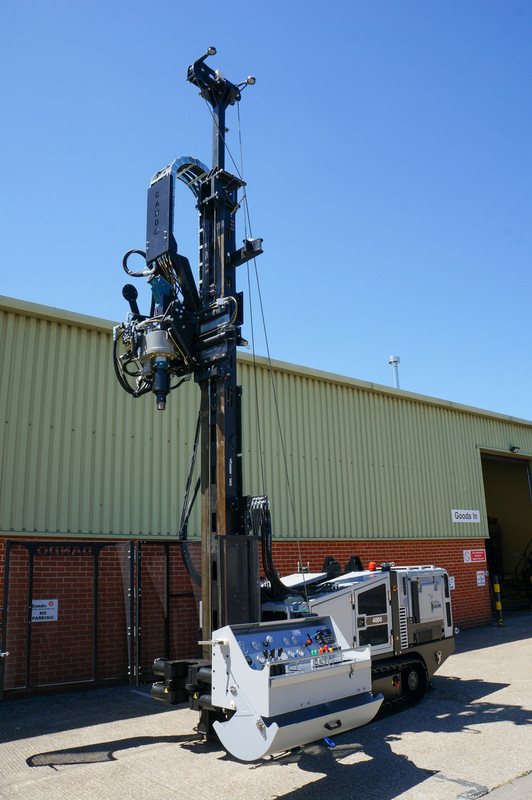 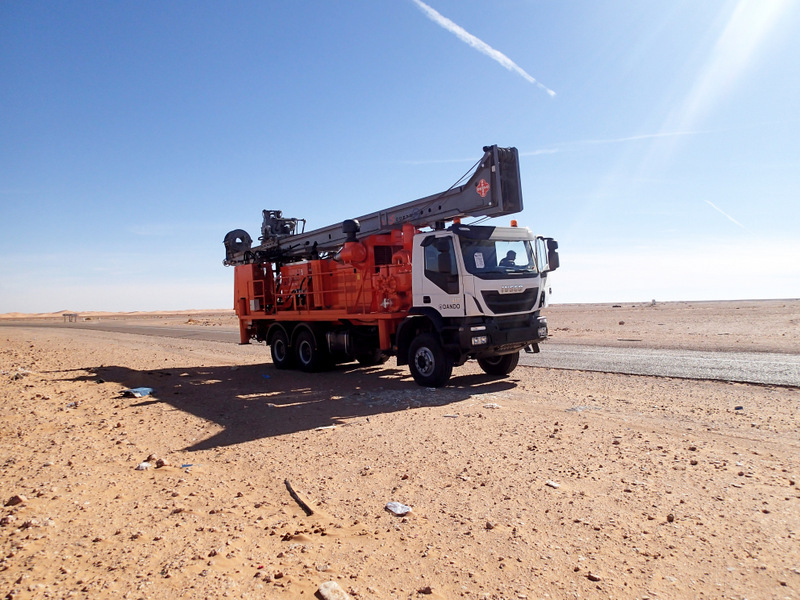 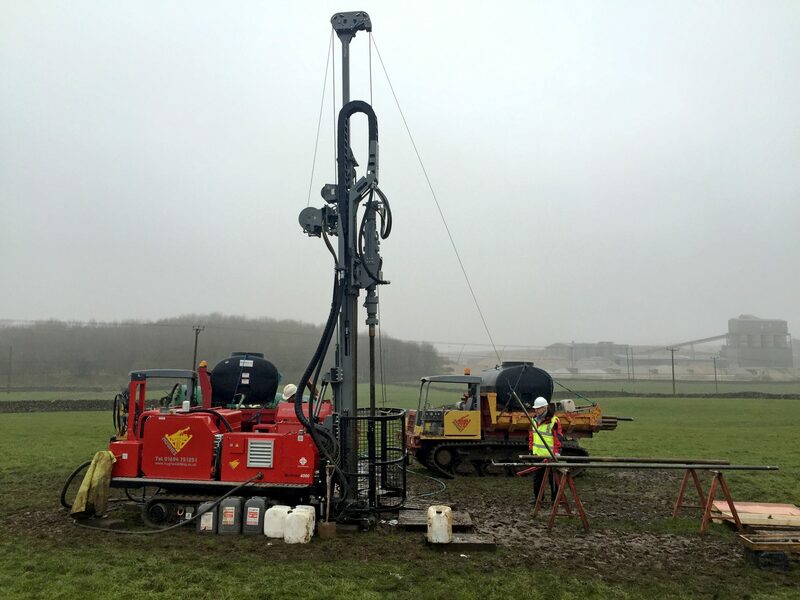 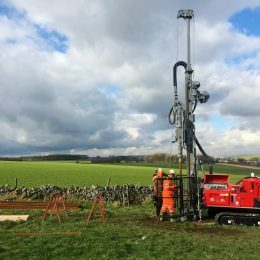 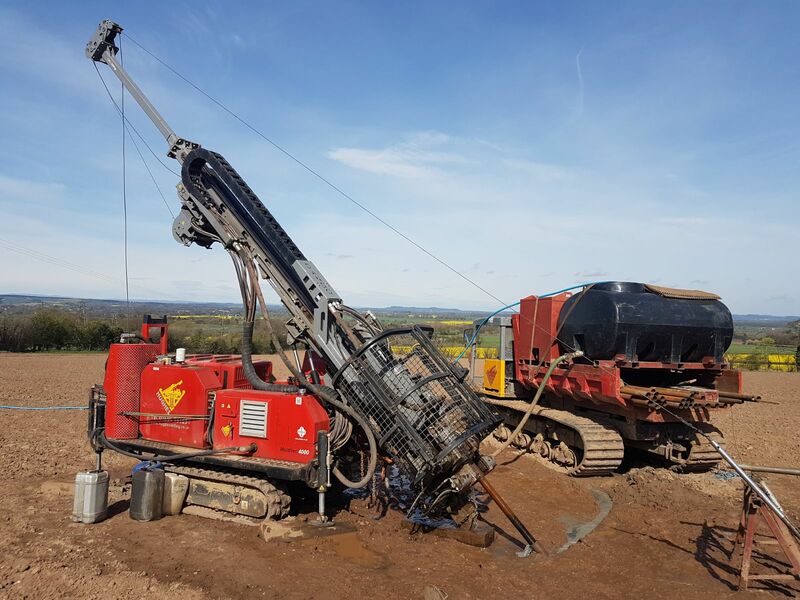 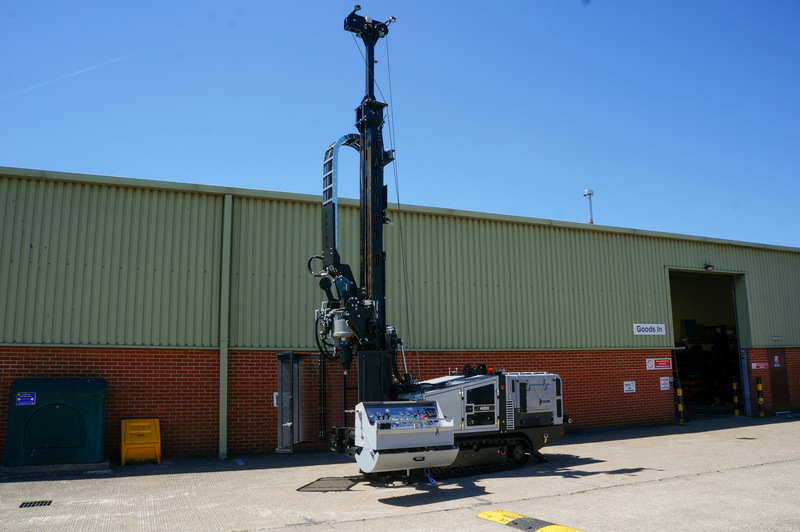 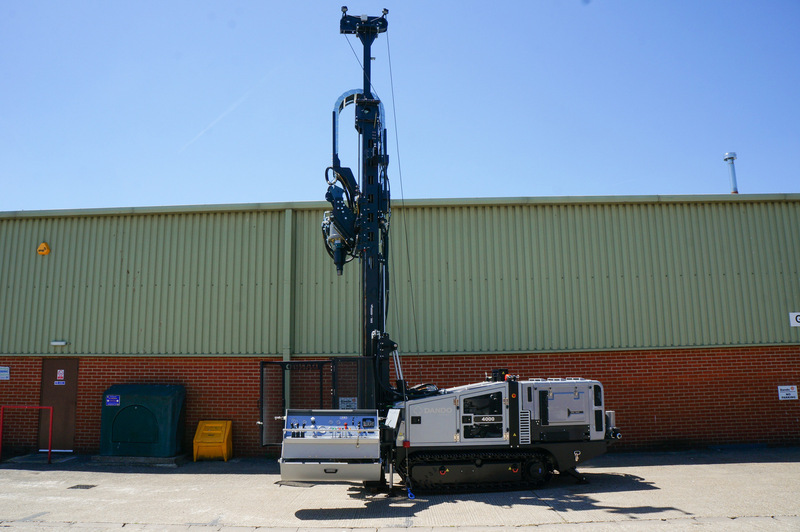 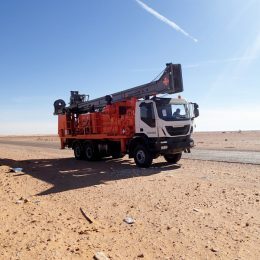 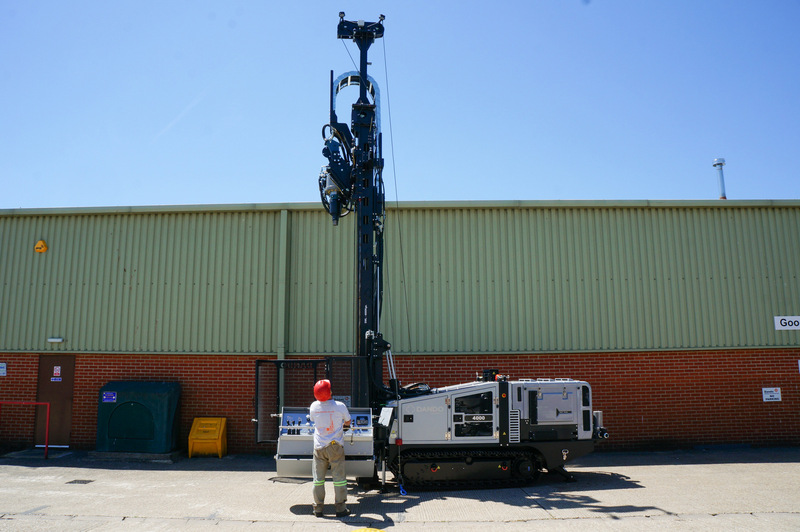 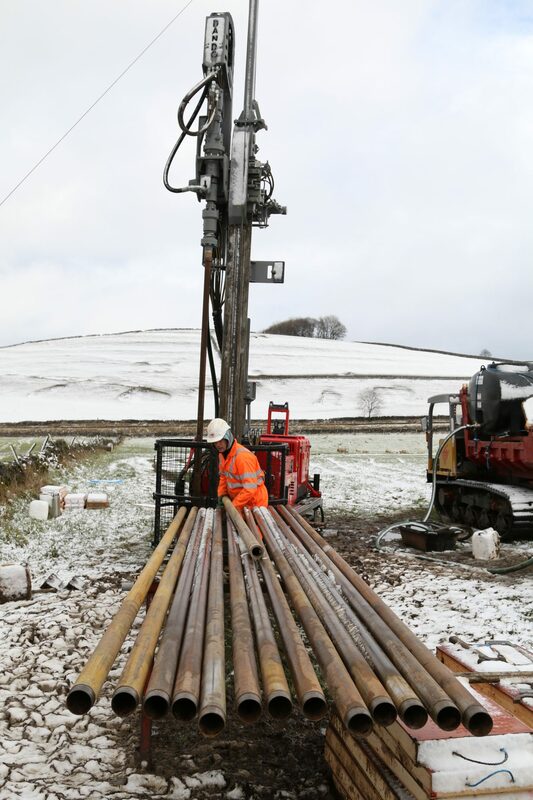 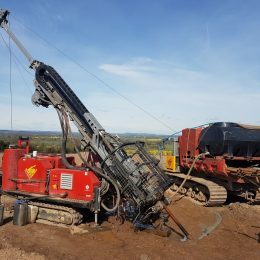 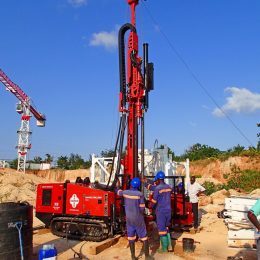 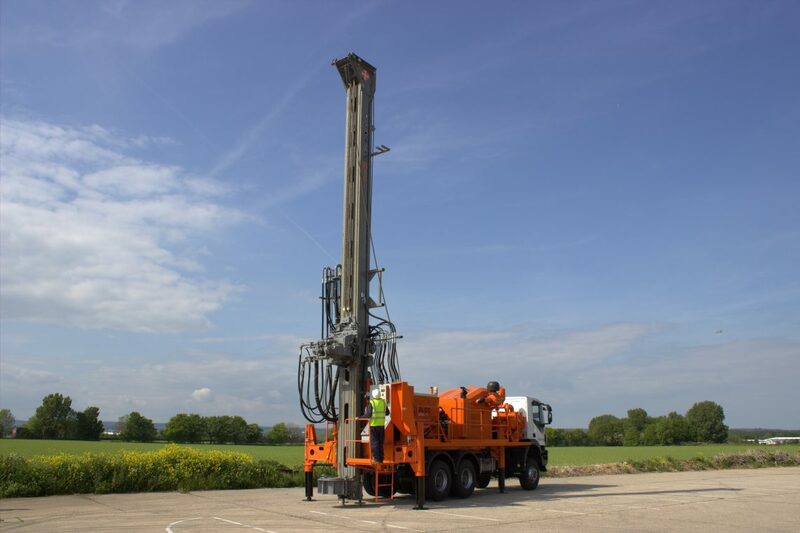 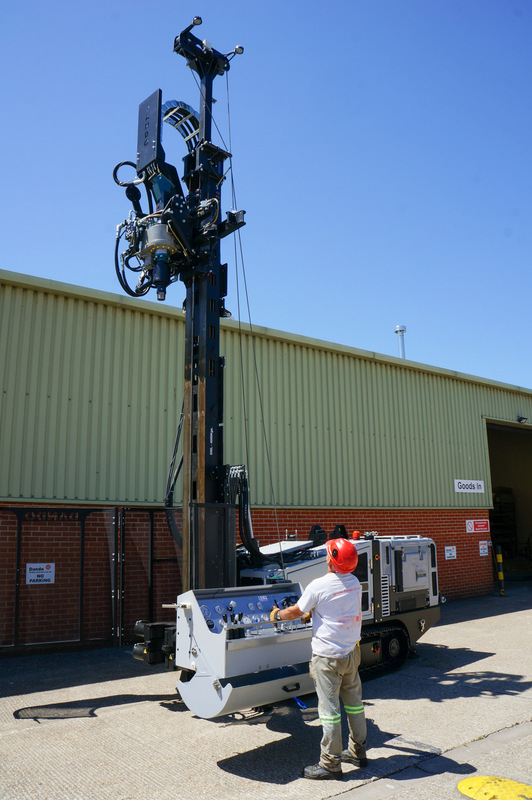 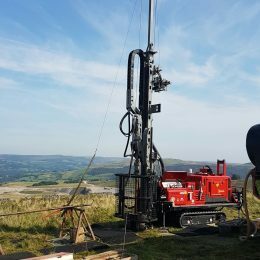 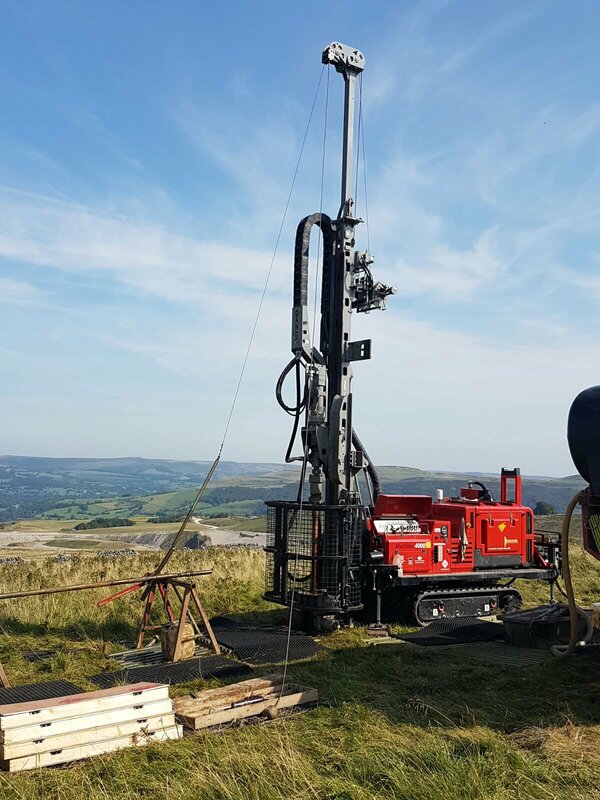 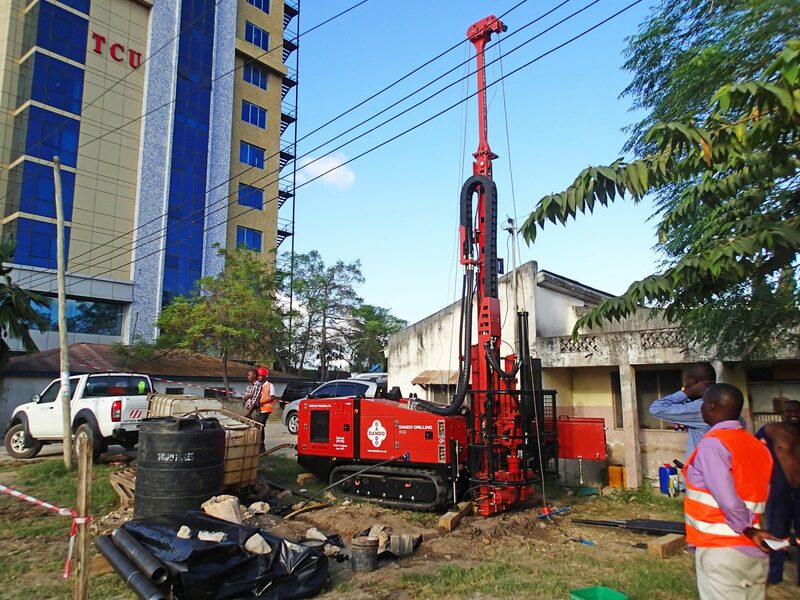 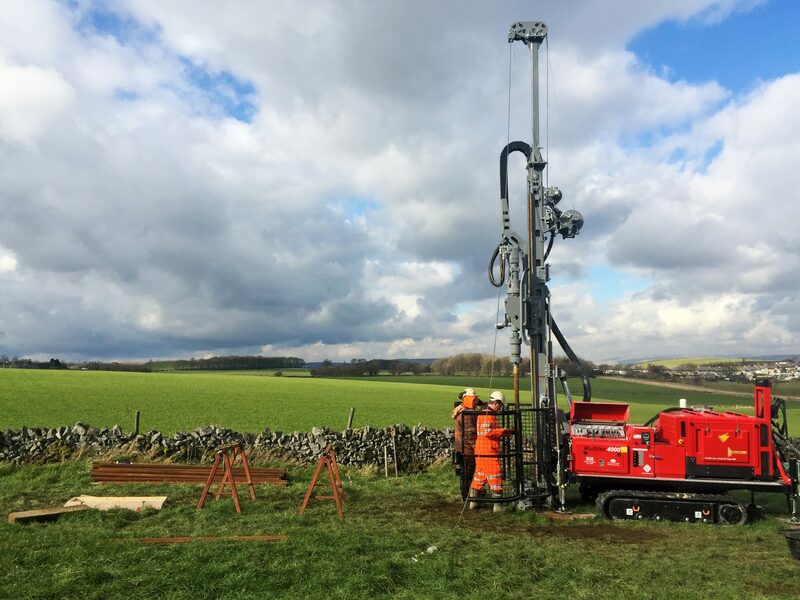 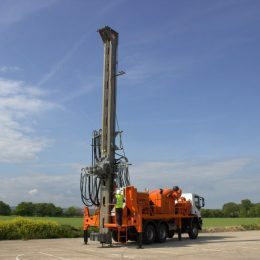 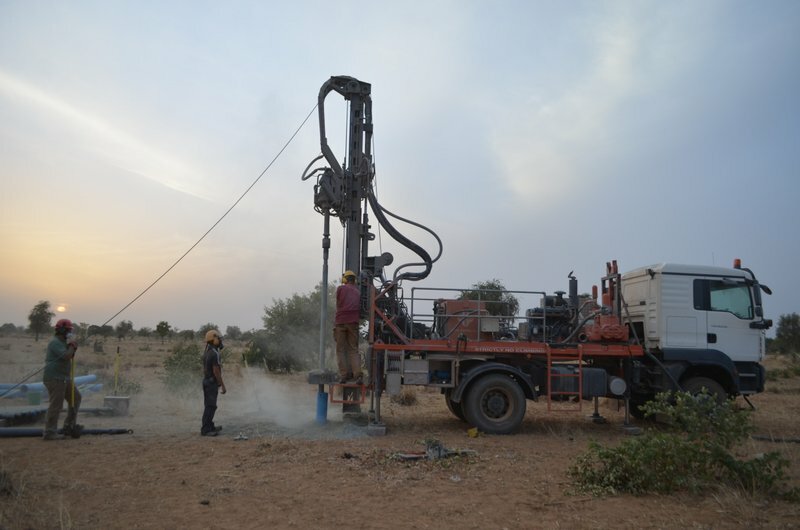 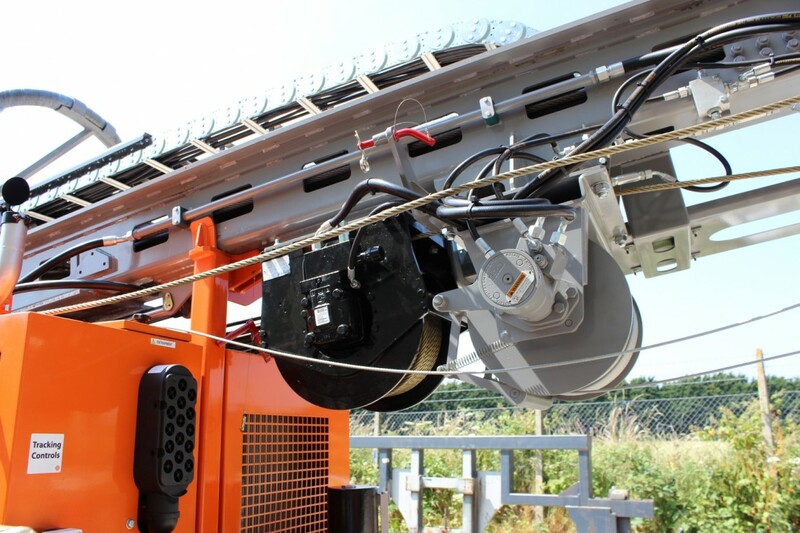 Featuring the CH400 high speed rotary head and truck mounted for increased mobility, the Jackal 9000 (formerly the Multitec 9000) drilled 10 degrees from vertical with a PWL wireline system to 60m before continuing to 250m with HWL equipment.